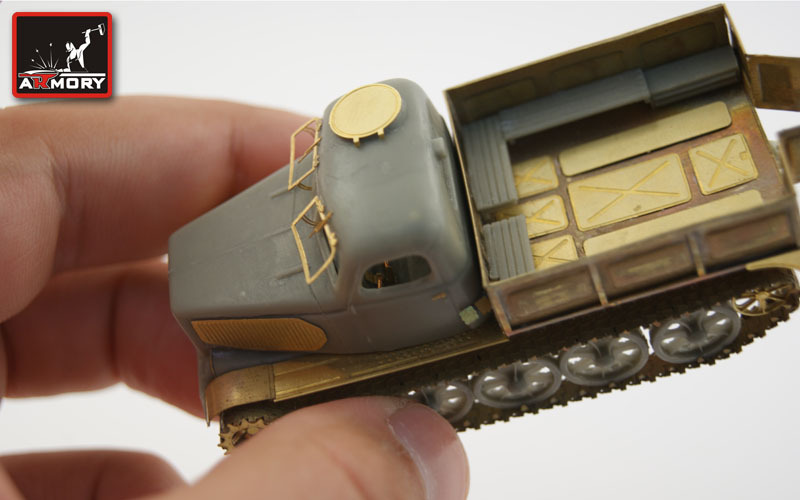 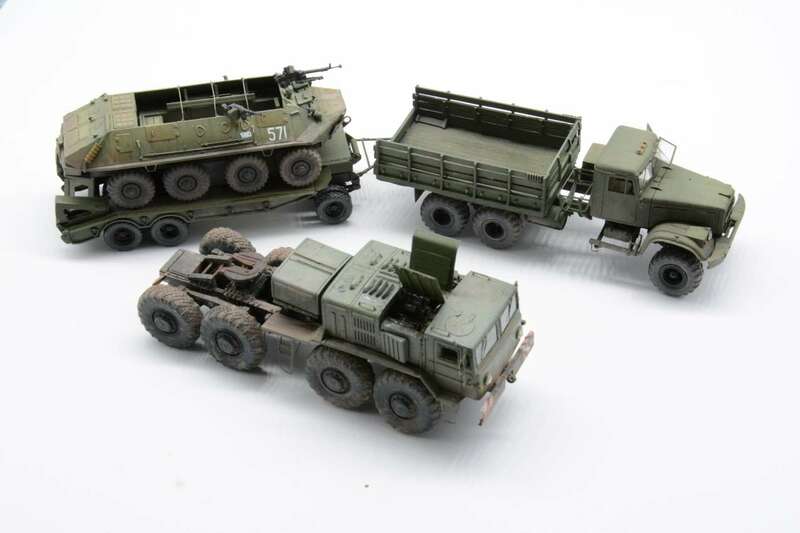 Review of 1/72 Armory, Ukraine. 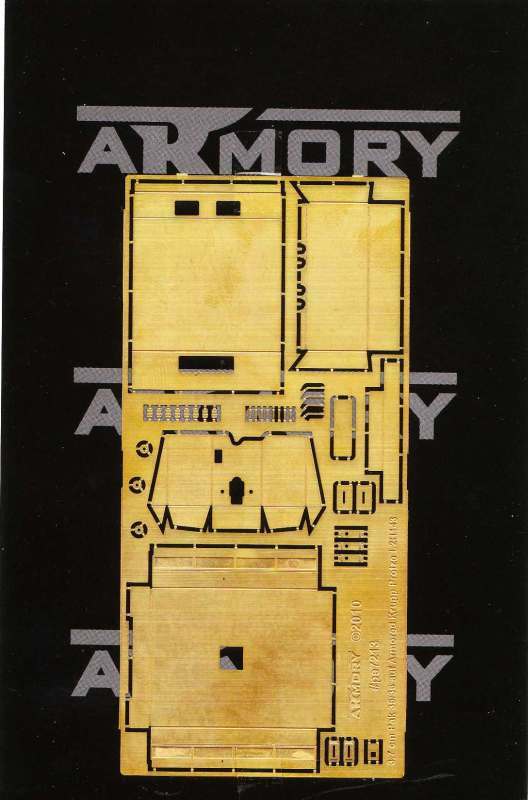 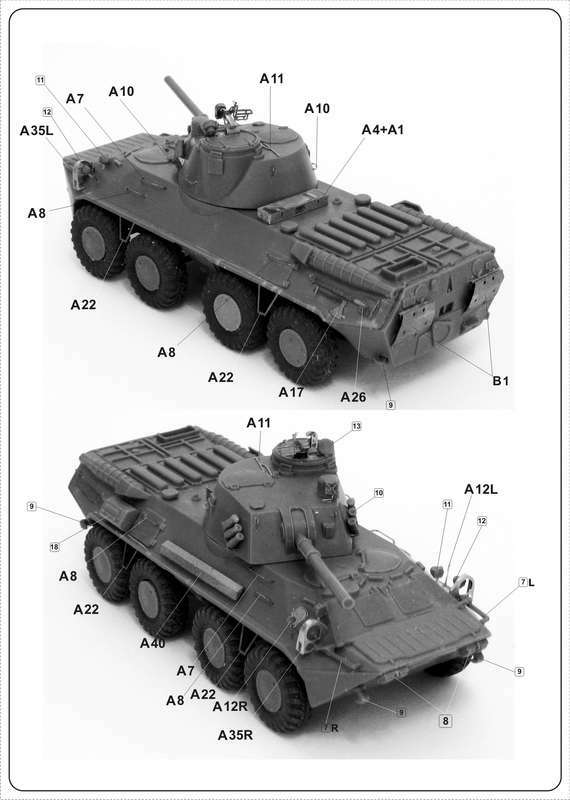 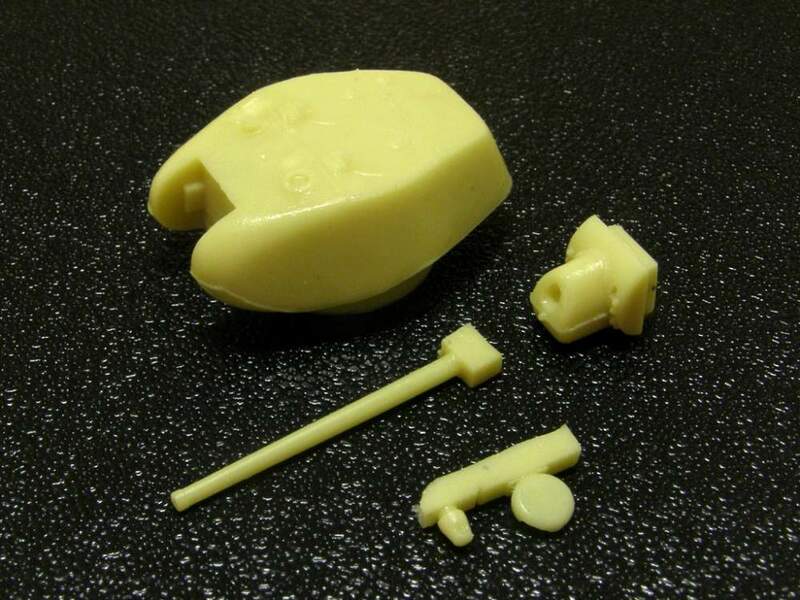 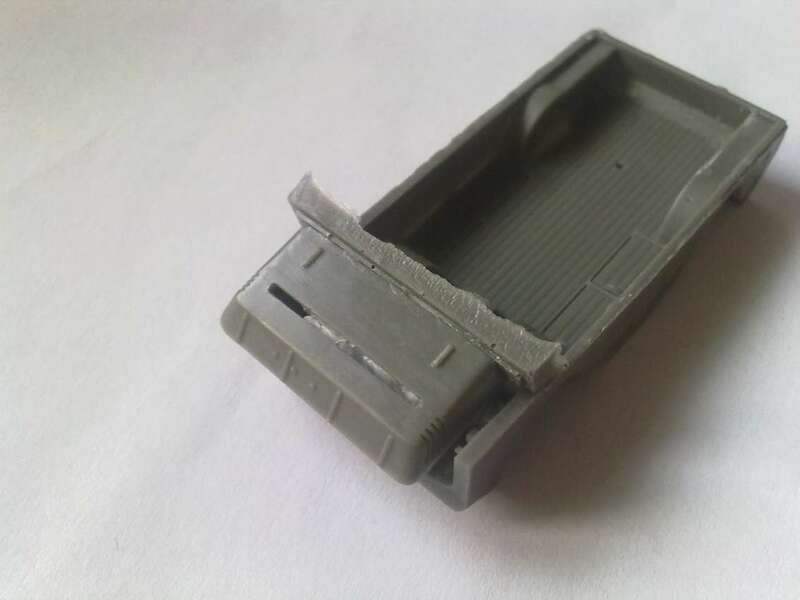 Armory specializes in 1/72 Soviet AFV accesories and correction sets for the kits from manufacturers as Ace, MW, UM, PST and others. 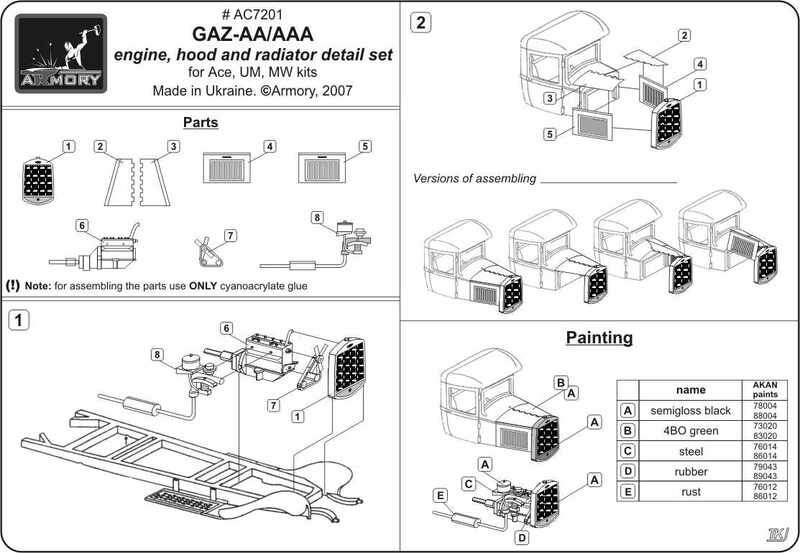 Kit AR AC7201 GAZ-M engine with opened hood and radiator (resin) for GAZ-AA/AAA kits. 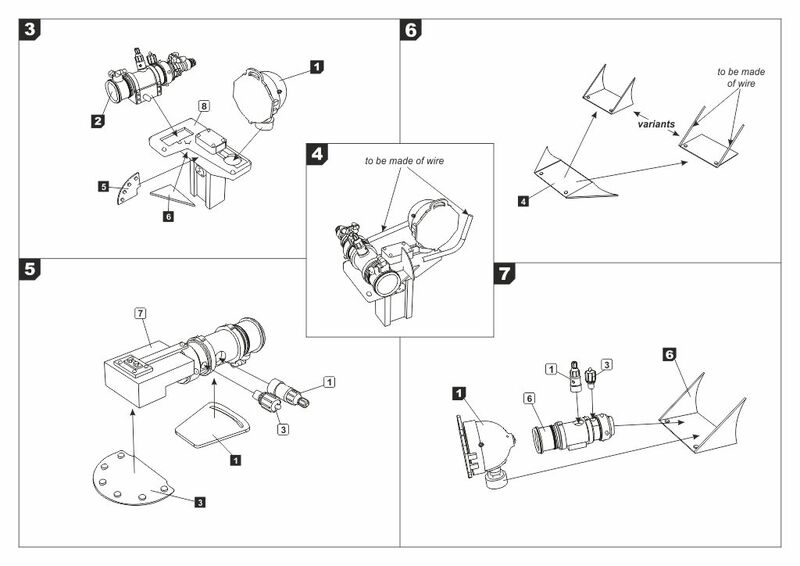 Recommended kits - ACE, MW, UM. 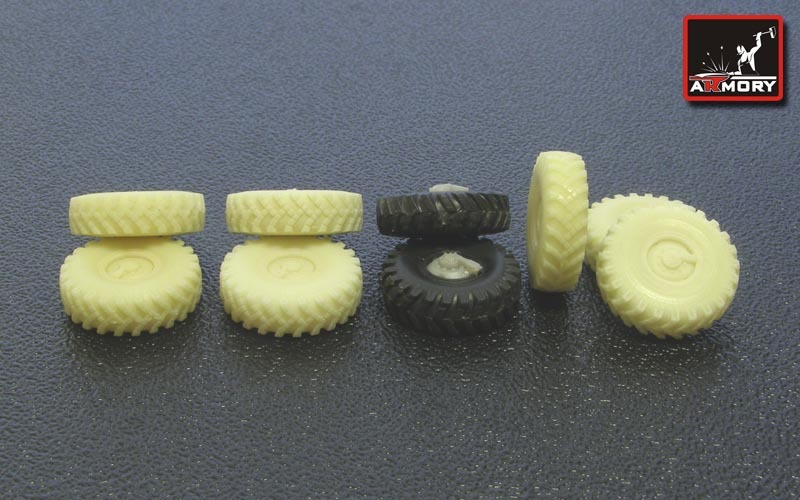 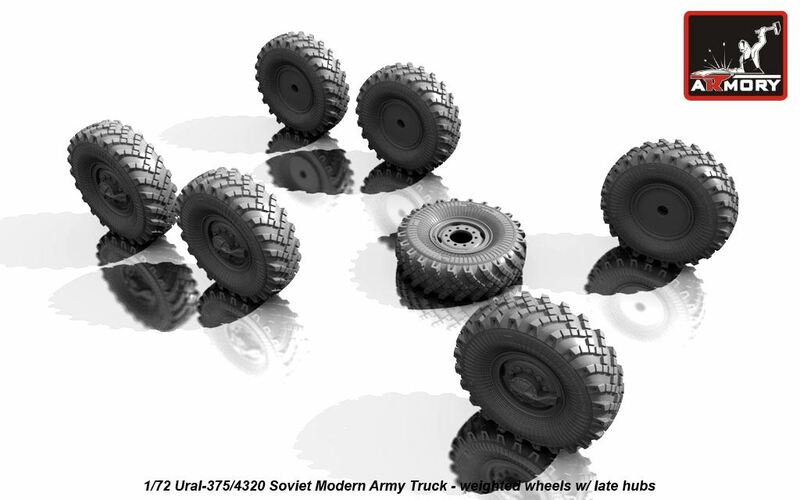 Kit AR AC7202 - GAZ-AA wheels (7 pieces) for MW, UM. 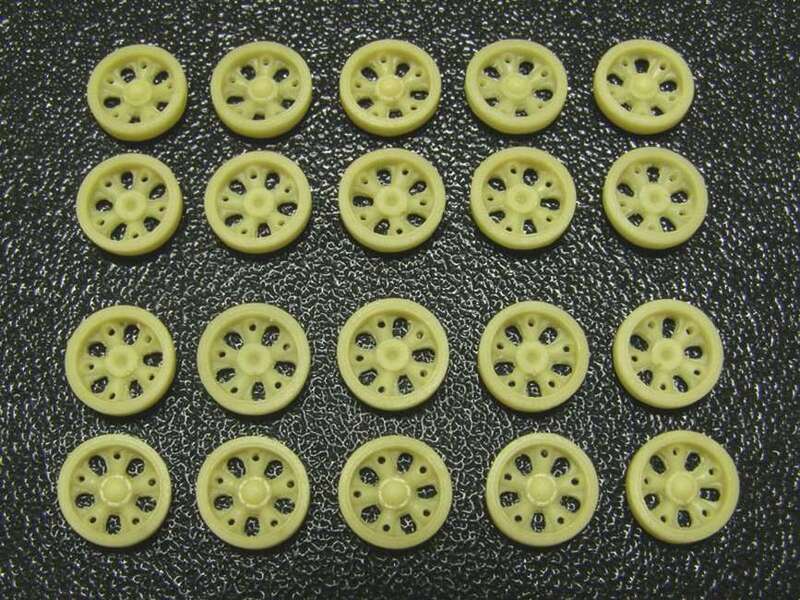 Kit AR AC7203 - GAZ-AAA / BA-3/6/9/10 wheels set (12 pieces) for ACE, MW, UM. 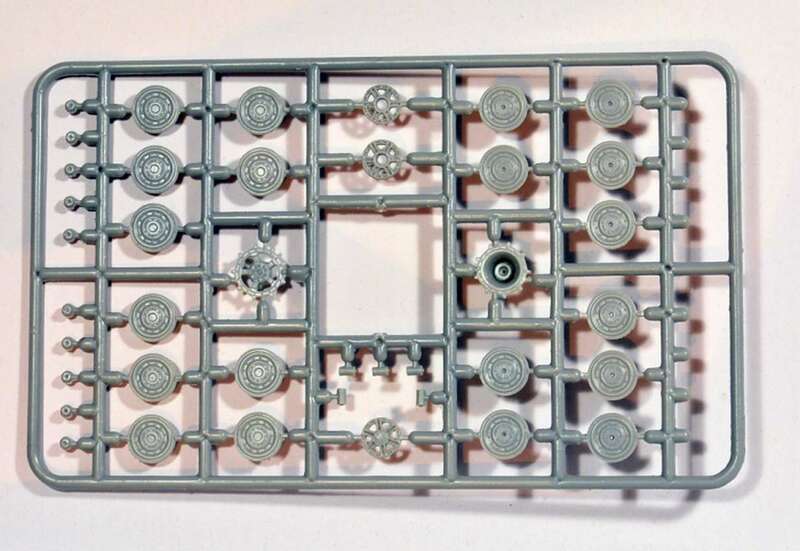 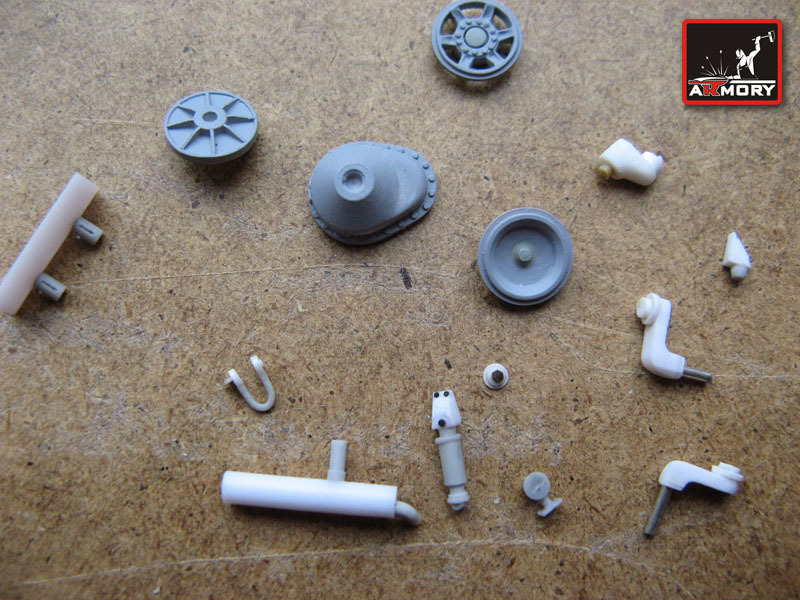 Kit AR AC7204A - GAZ-AA wheels for ZiS-2/3 guns (2 pieces) for ACE, UM. 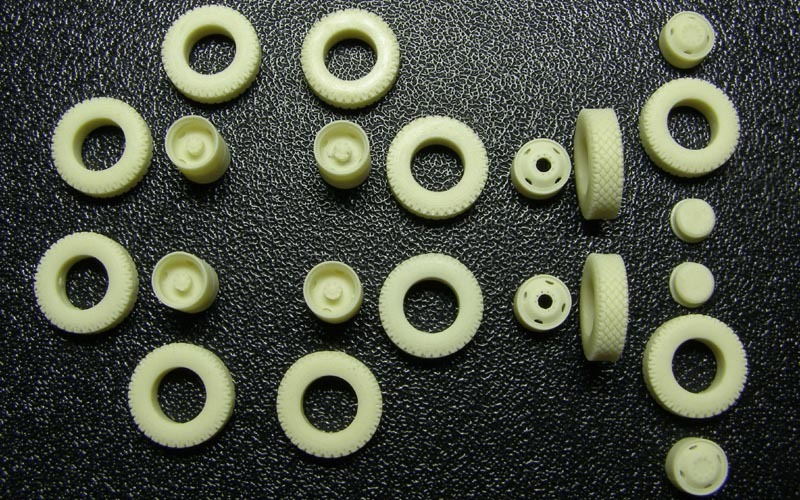 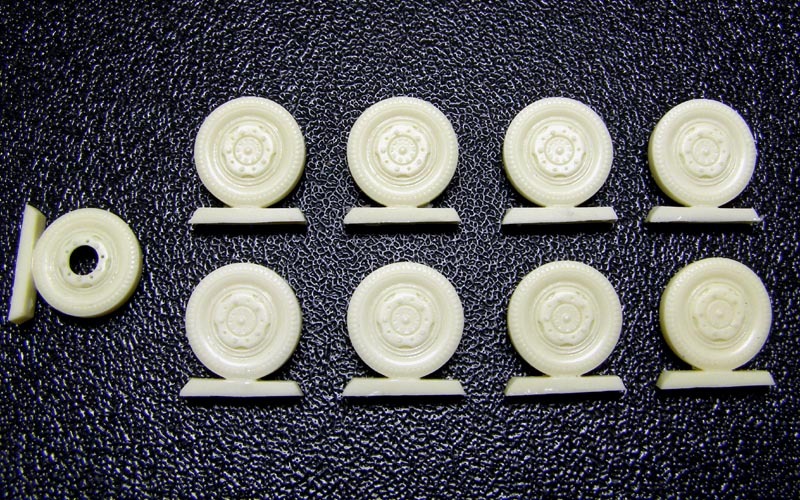 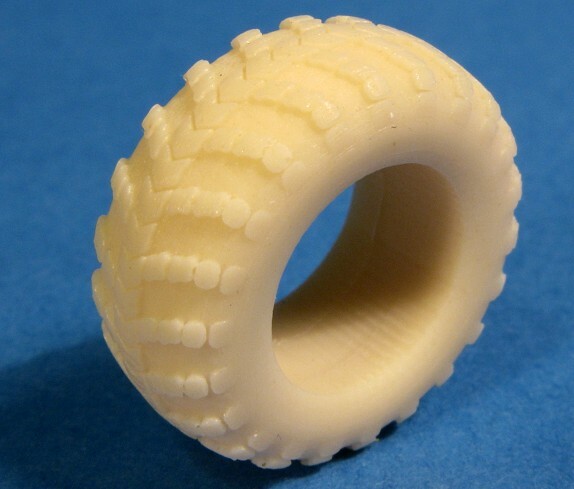 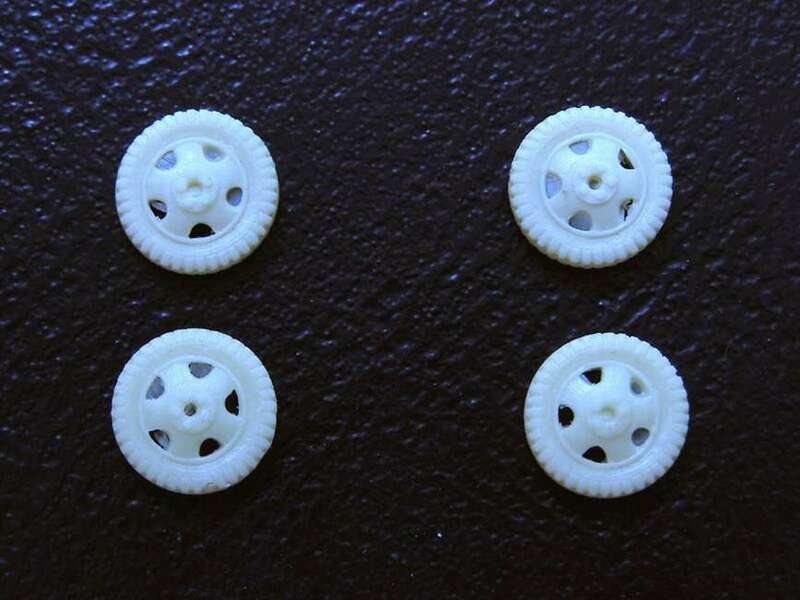 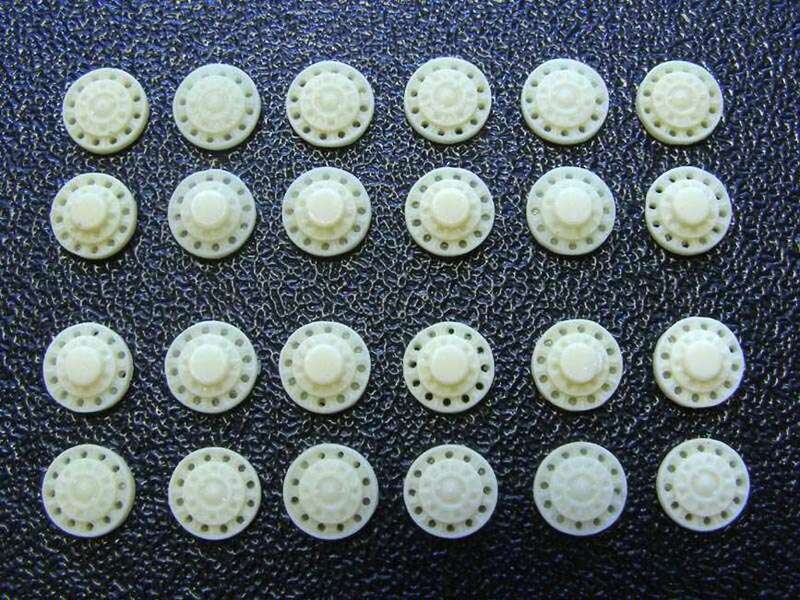 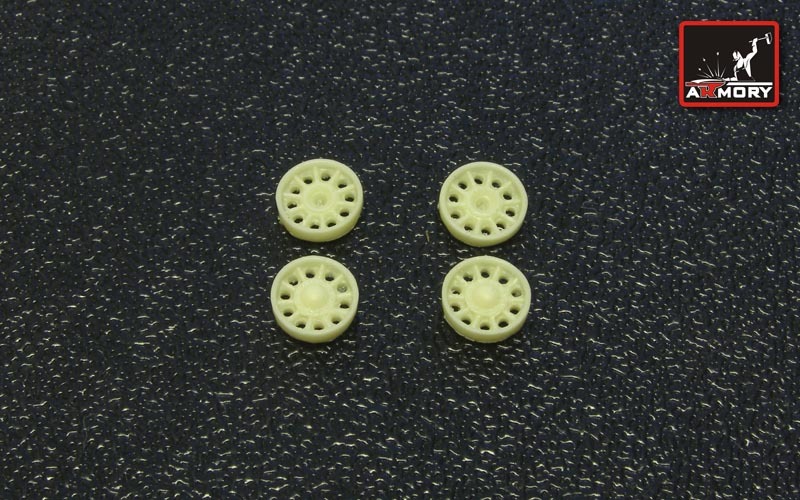 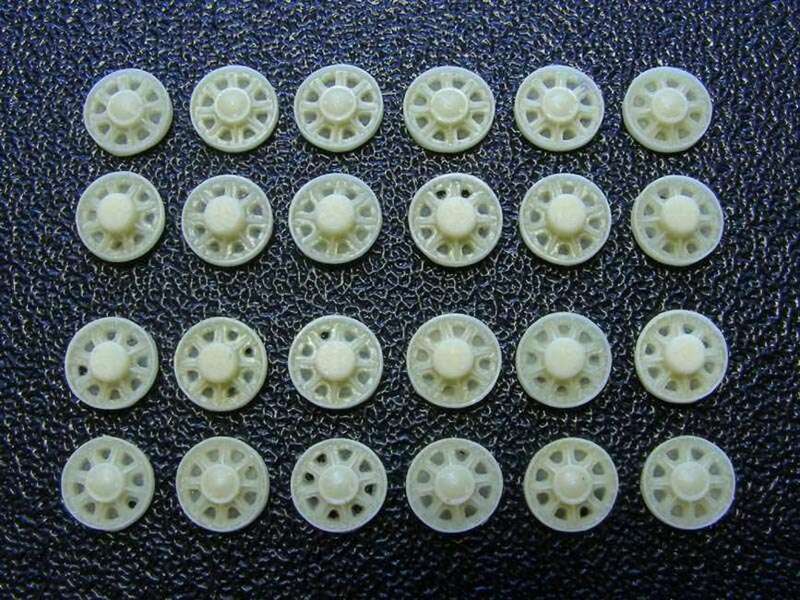 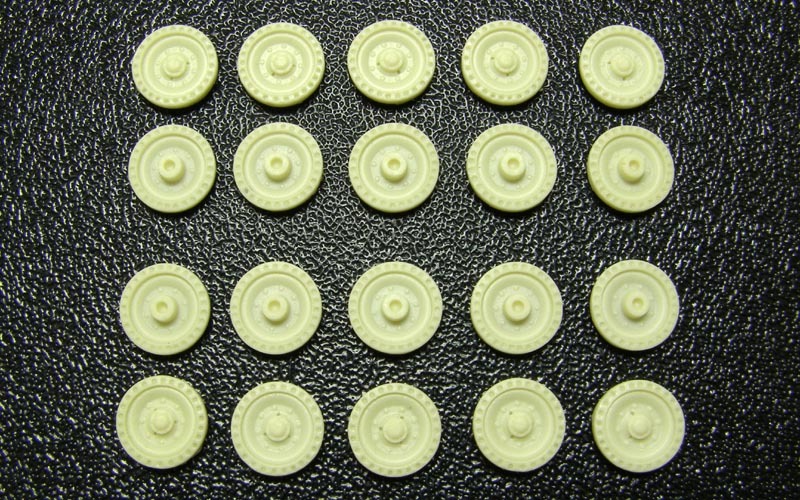 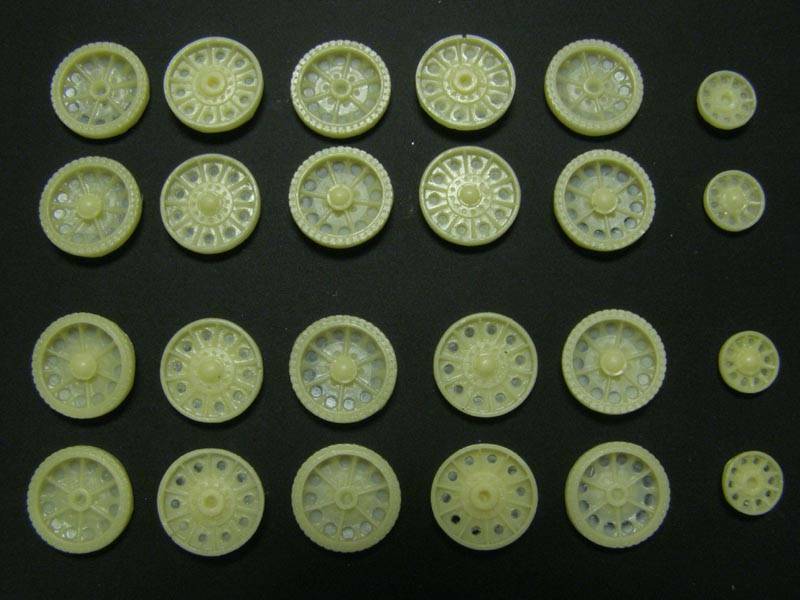 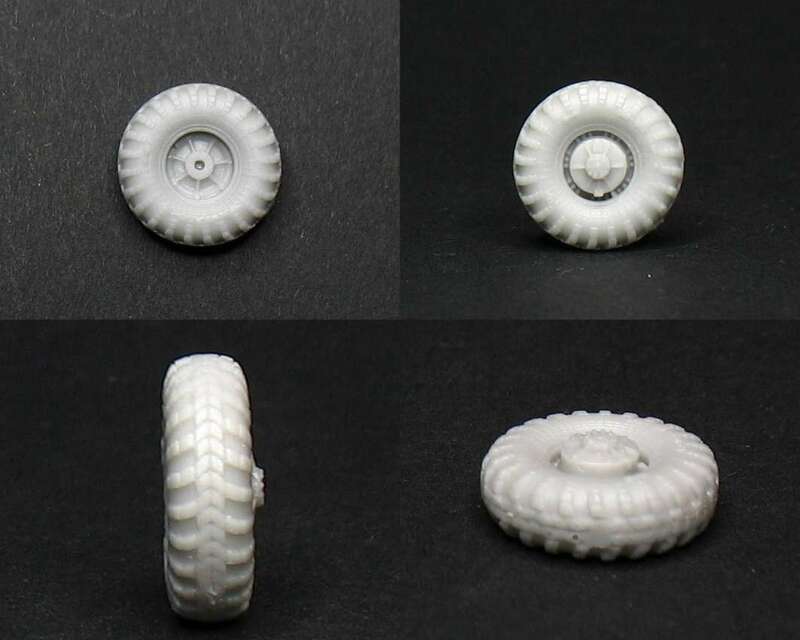 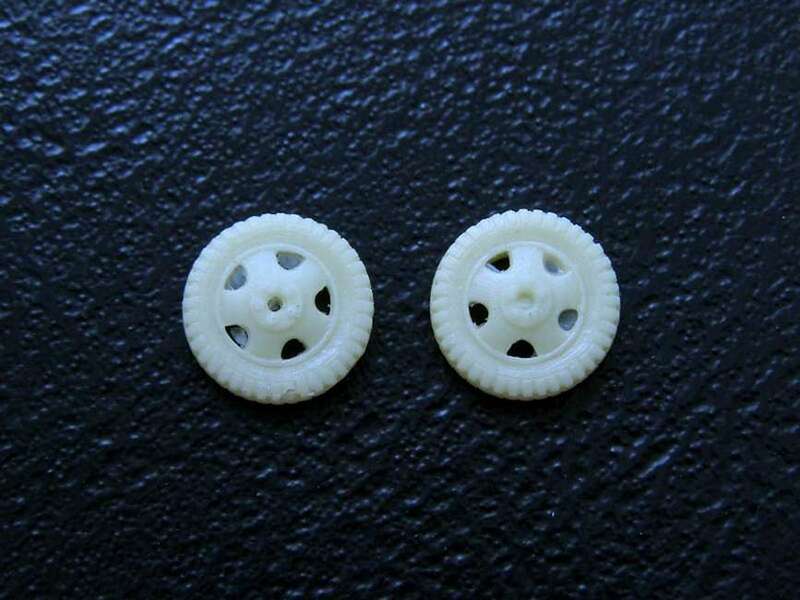 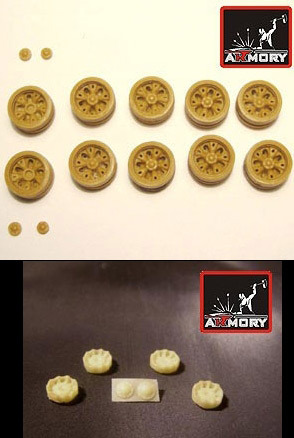 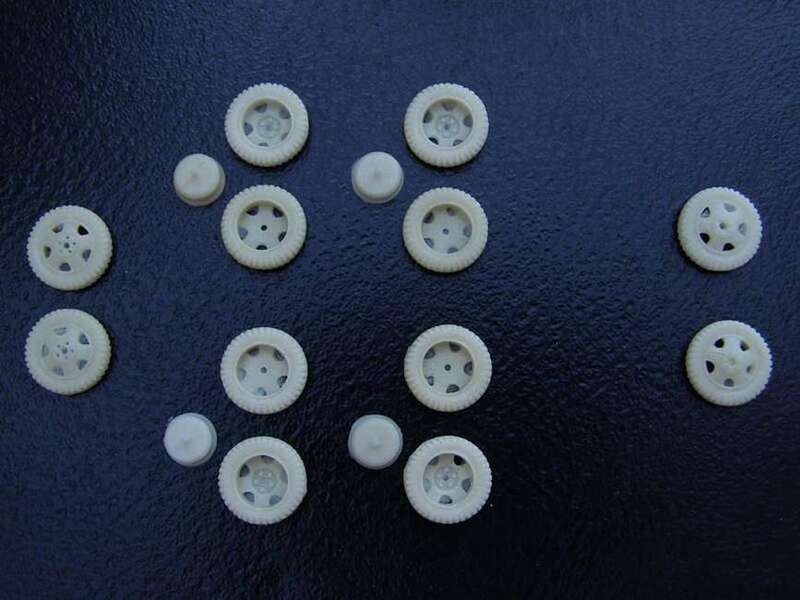 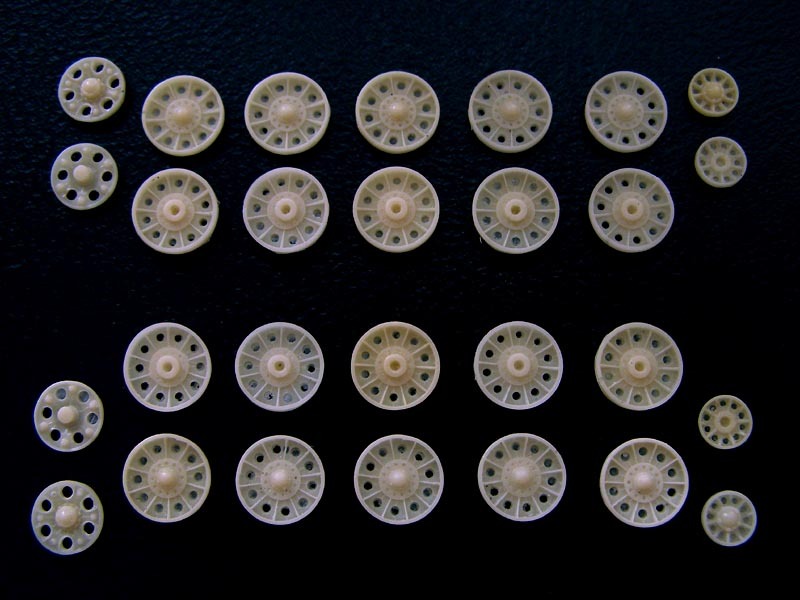 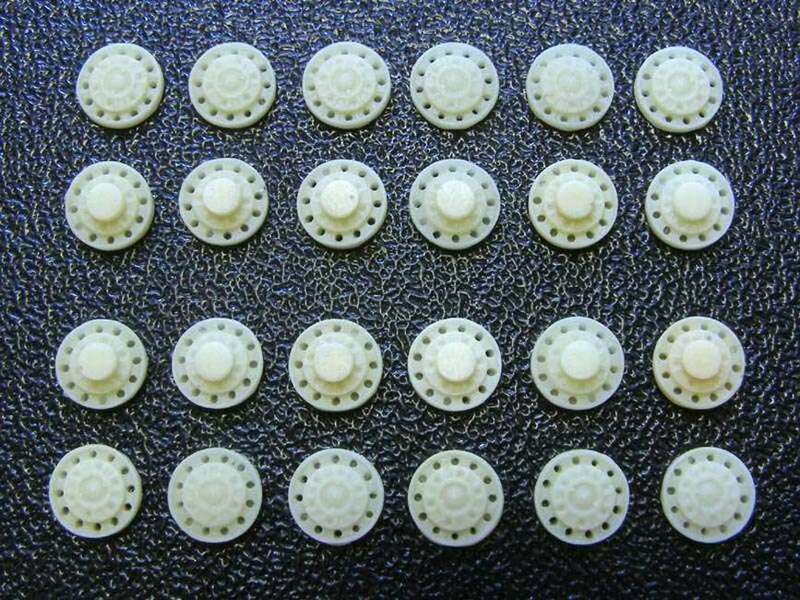 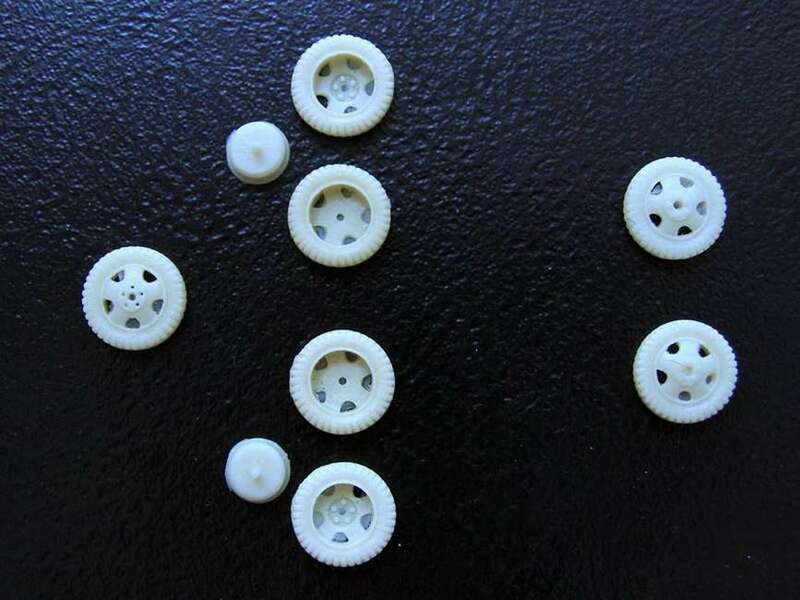 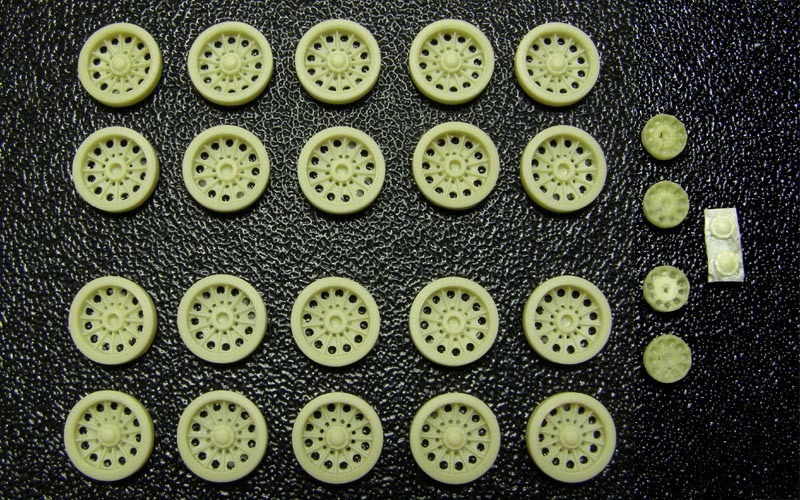 Kit AR AC7204c - GAZ-AA wheels for AA guns (4 pieces) for PST kit. 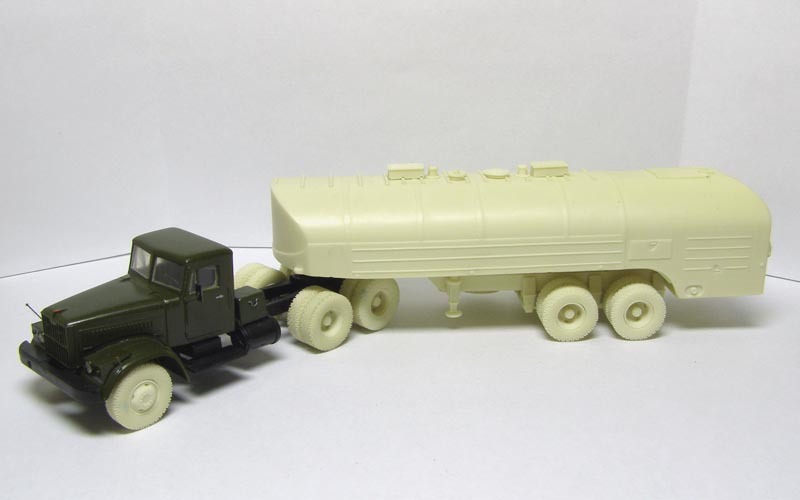 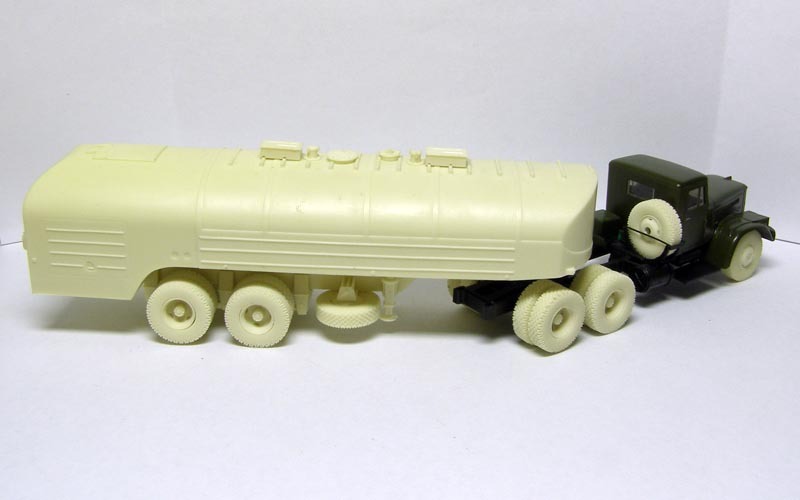 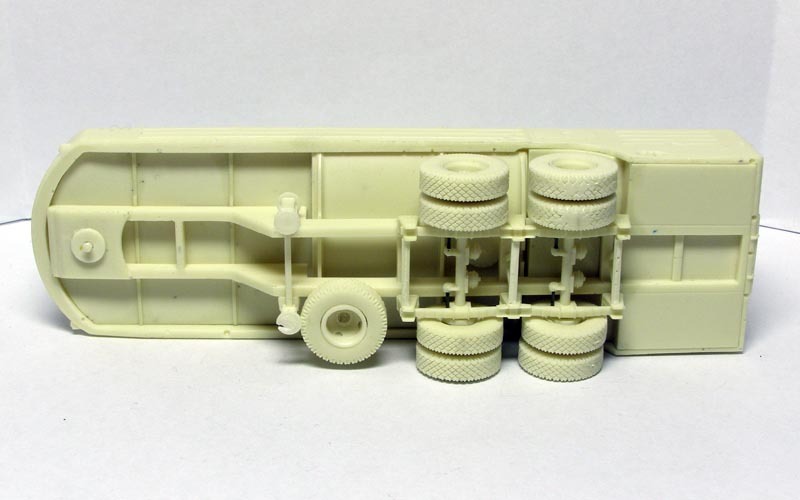 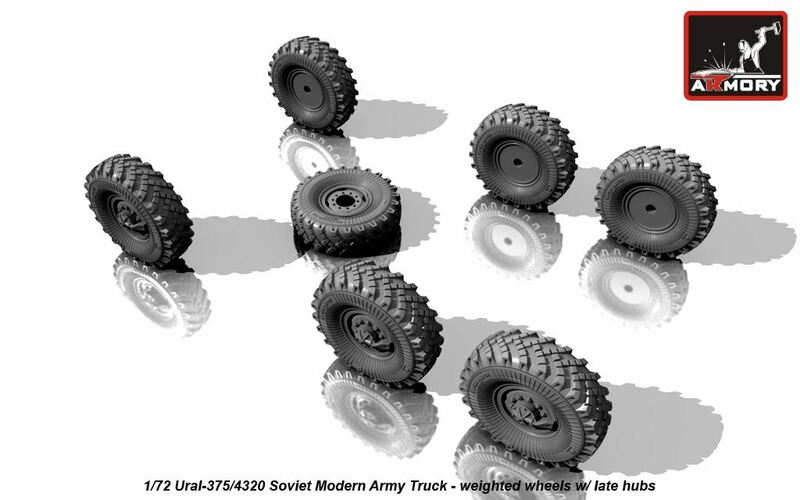 Kit AR AC7224 - ZiL-157K/BTR-152 wheels (6 + 1 spare) - for ICM. 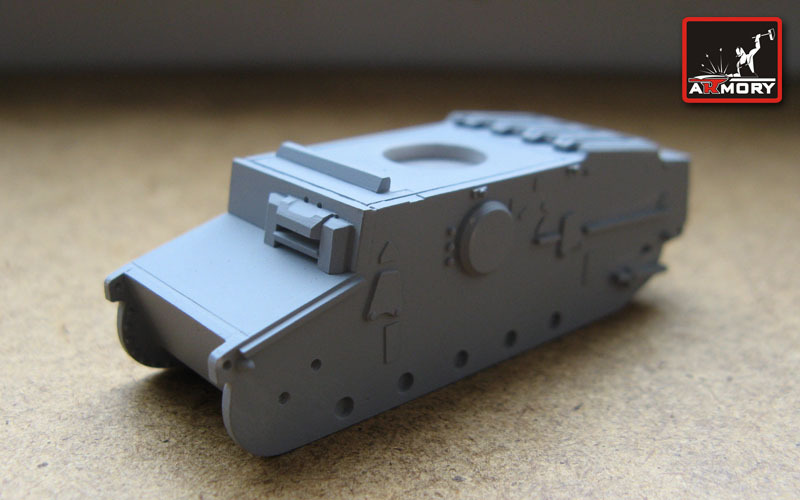 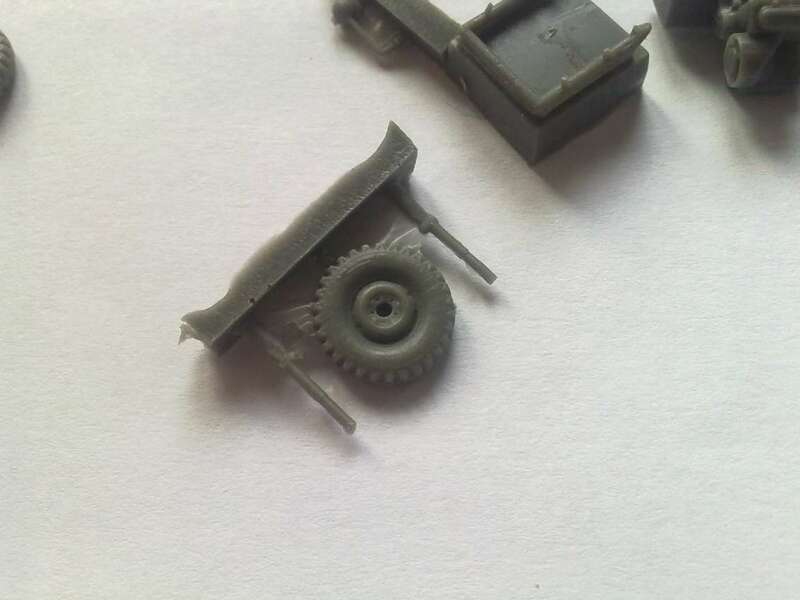 Kit AR AC7225 - T-34M casted turret mod.1942 (plant No183) - Dragon, UM. 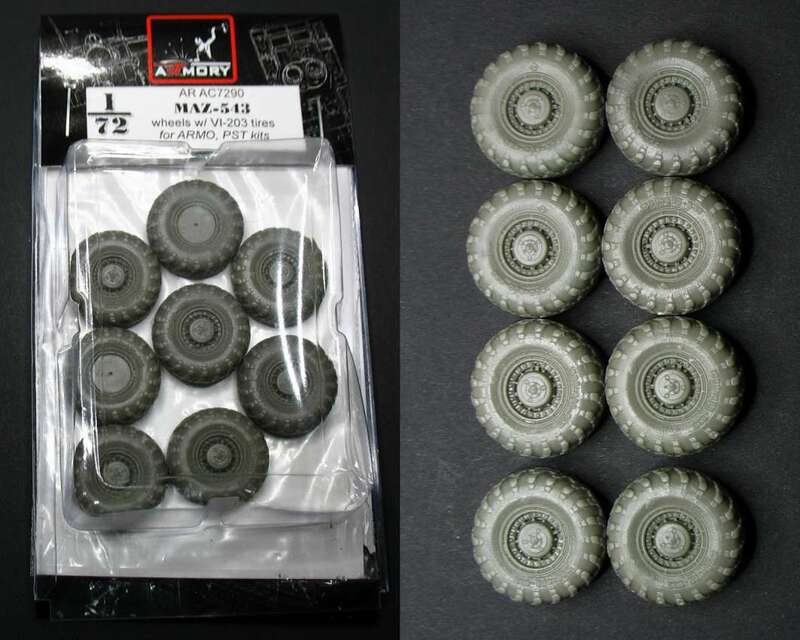 Kit AR AC7226 - M113 APC roadwheels for Italeri, Trumpeter kits. 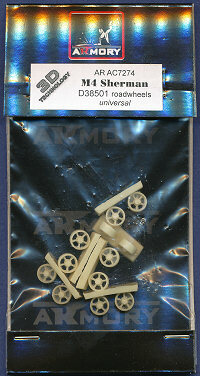 Kit AR AC7227 - M48 Patton-II roadwheels with torque arms - for Italeri, Revell kits. 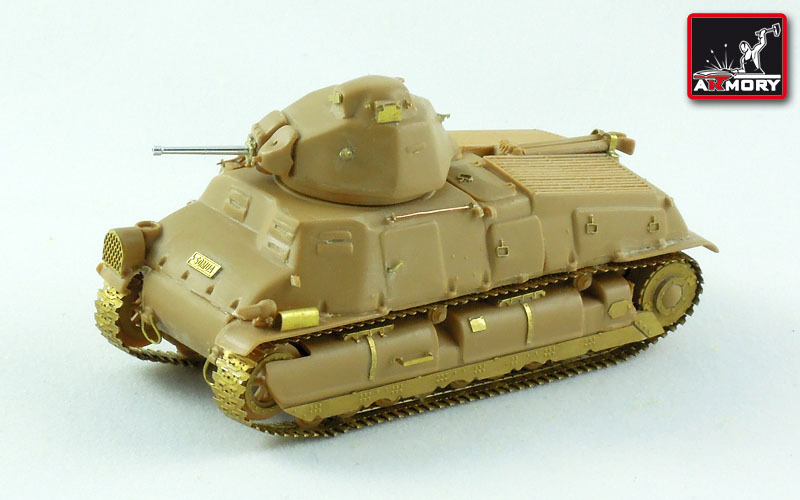 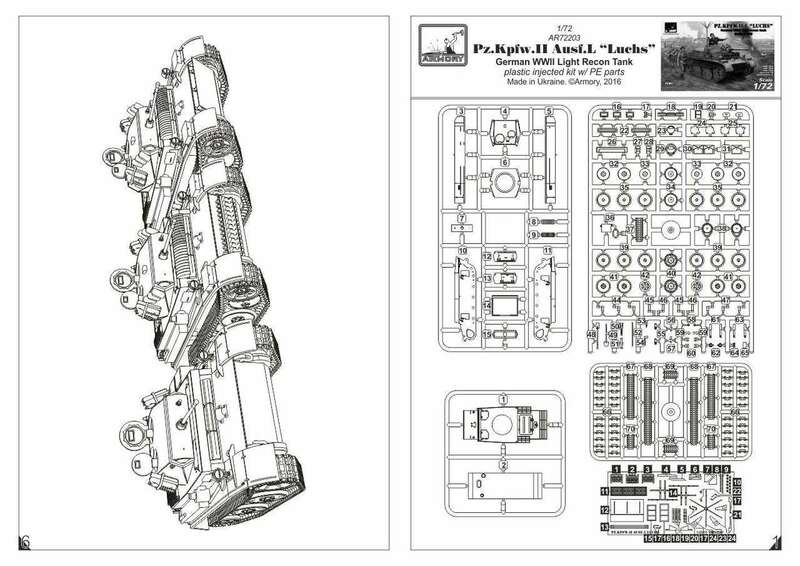 Kit AR AC7228 - M48 Patton-II for Italeri, Revell. 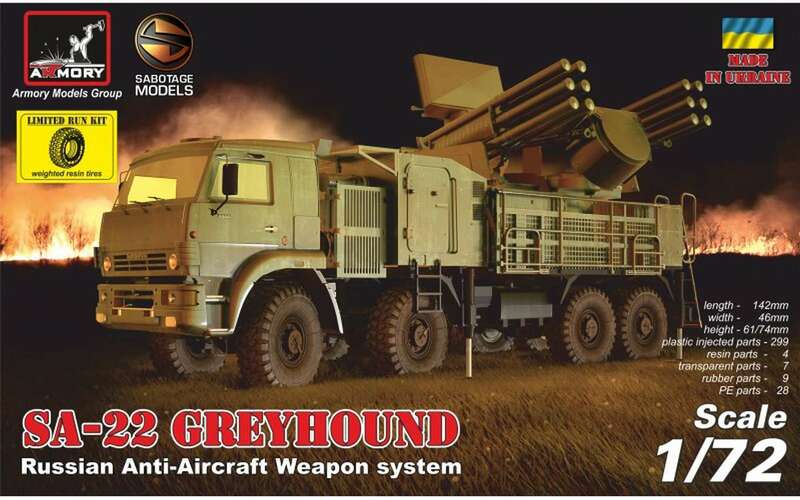 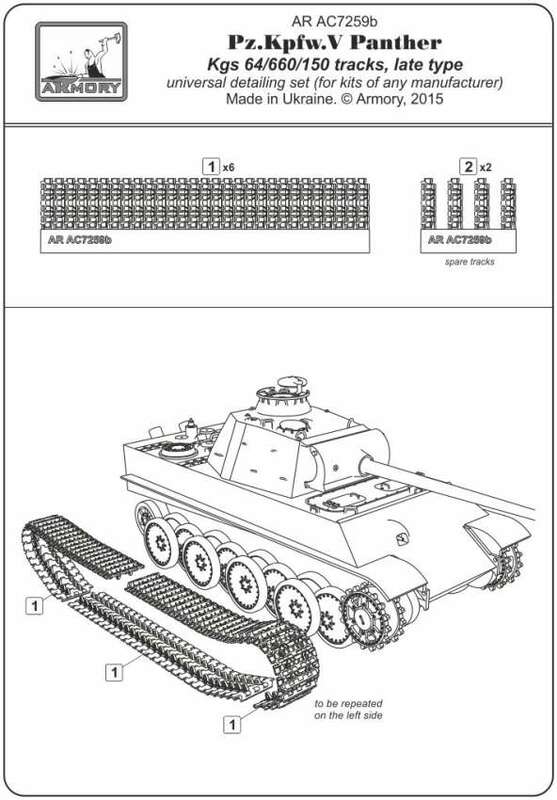 Kit AR AC7229 - T-34/85 for Dragon and UM. 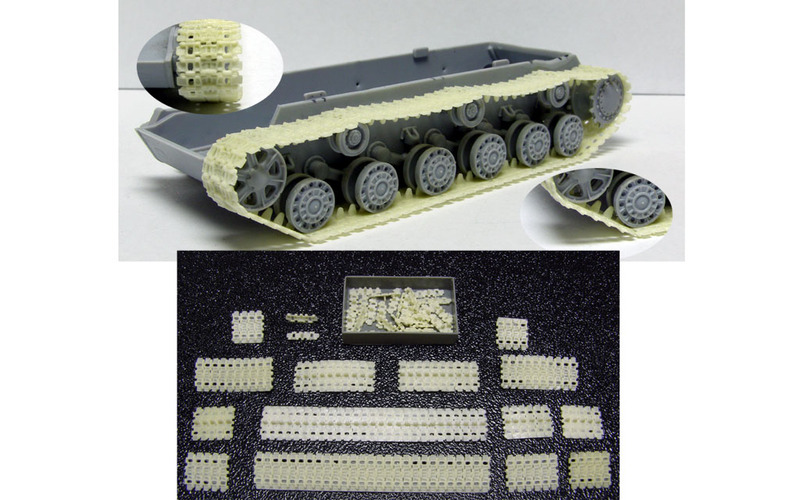 Kit AR AC7230 - T-34 for Dragon and UM. 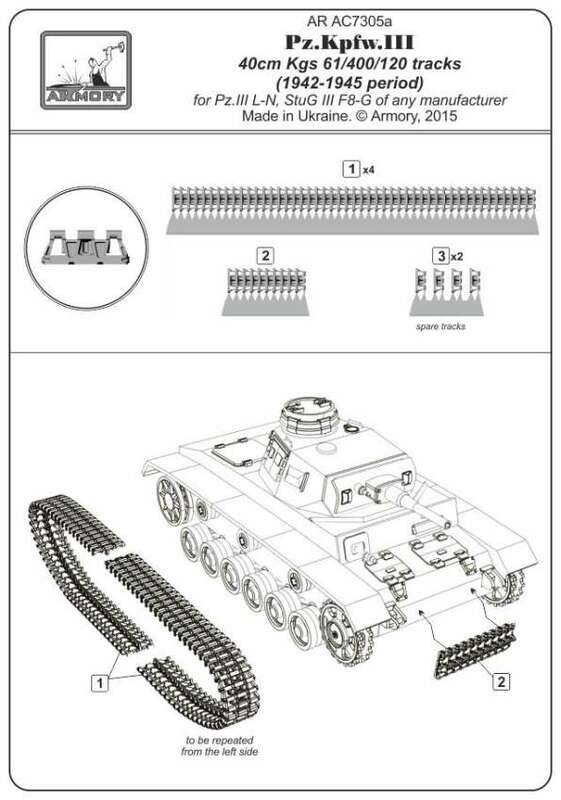 Kit AR AC7231 - KV-1 - KV-2 1940 for Trumpeter and PST. 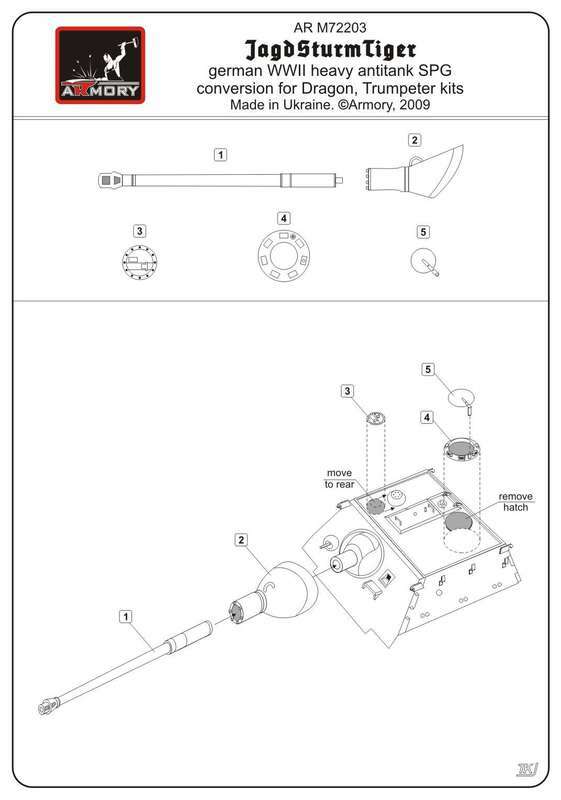 Kit AR AC7232 - KV-1 1941 for Trumpeter and PST. 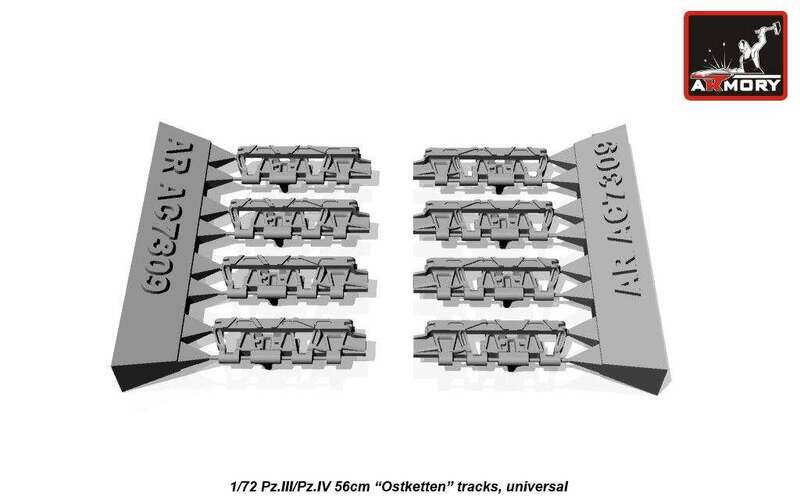 Kit AR AC7234 - KV-1 1942 for Trumpeter and PST. 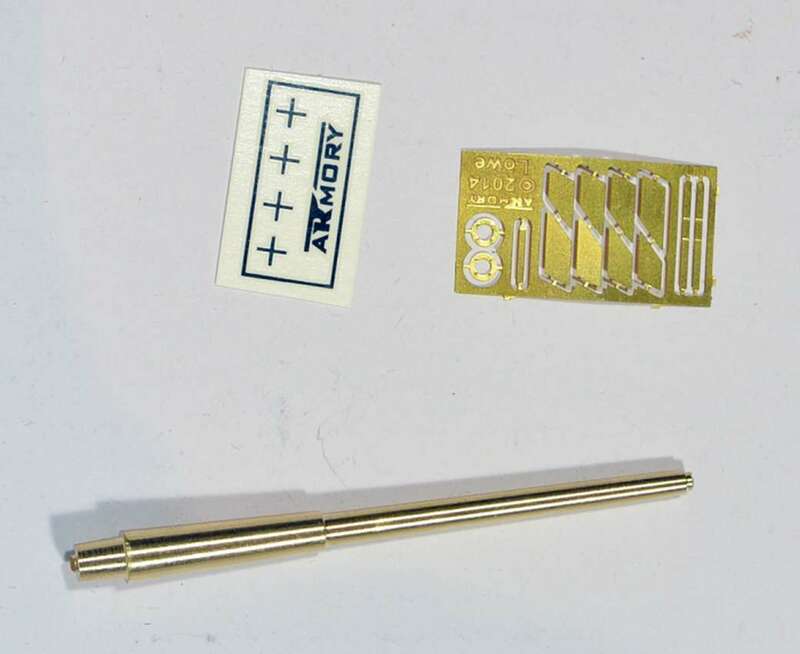 Kit AR AC7235 - KV-1 1942 for Trumpeter and PST. 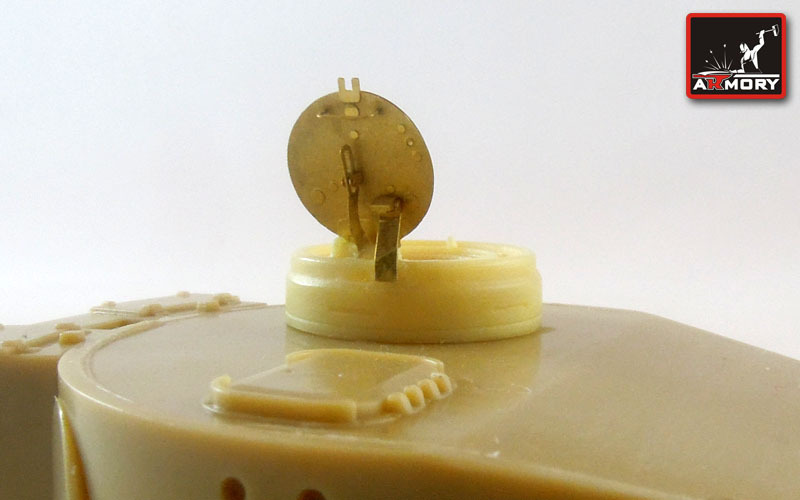 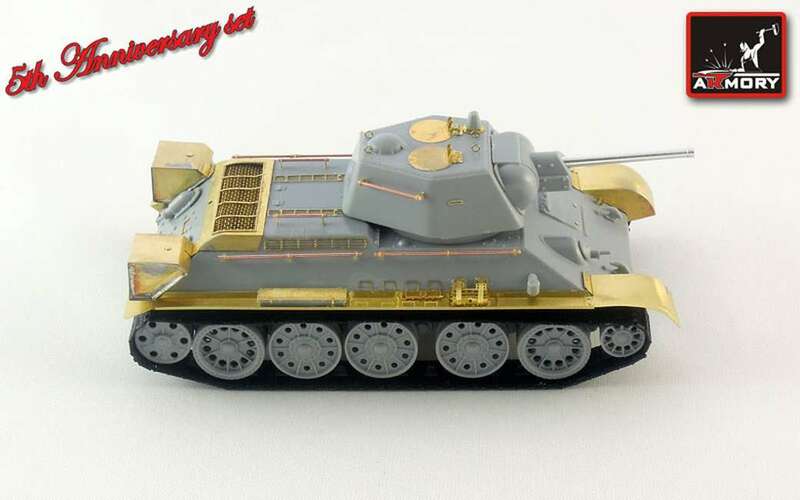 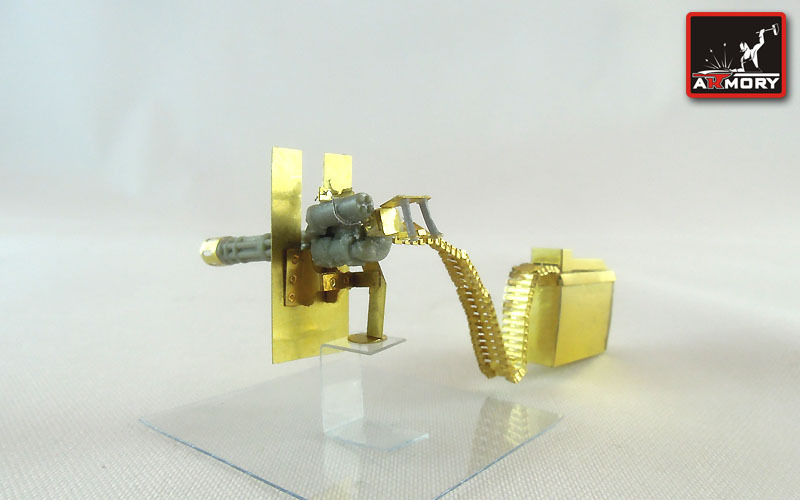 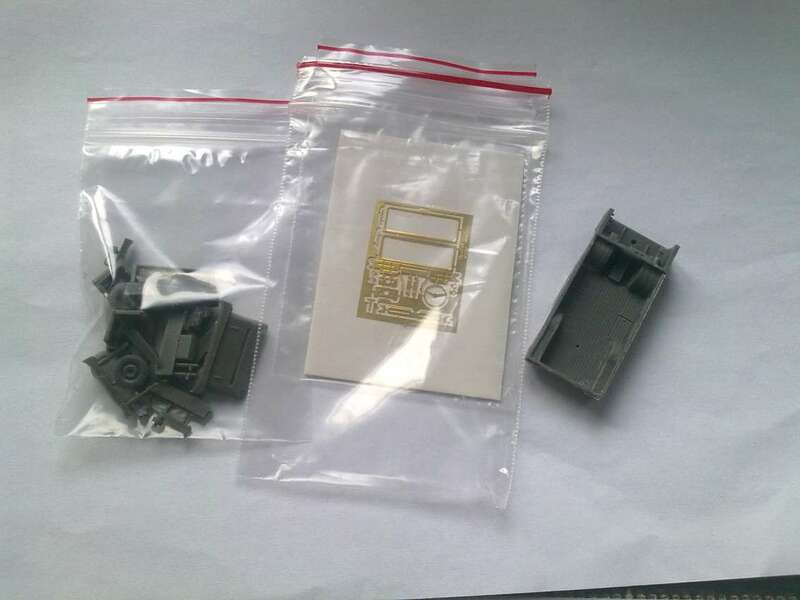 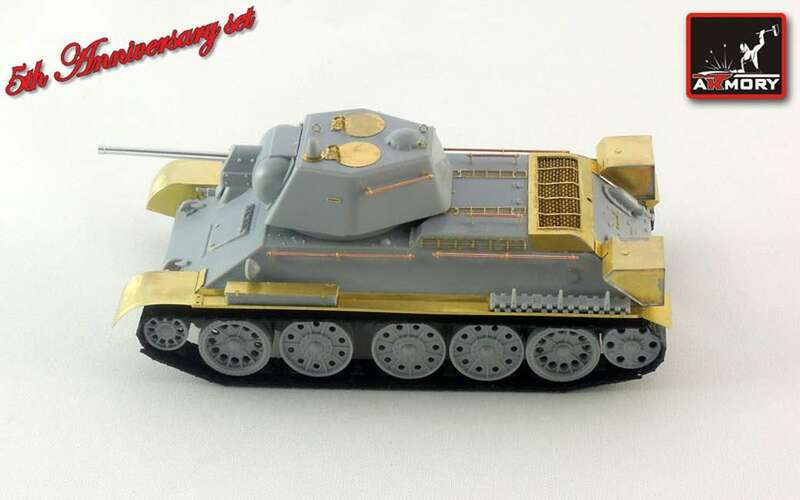 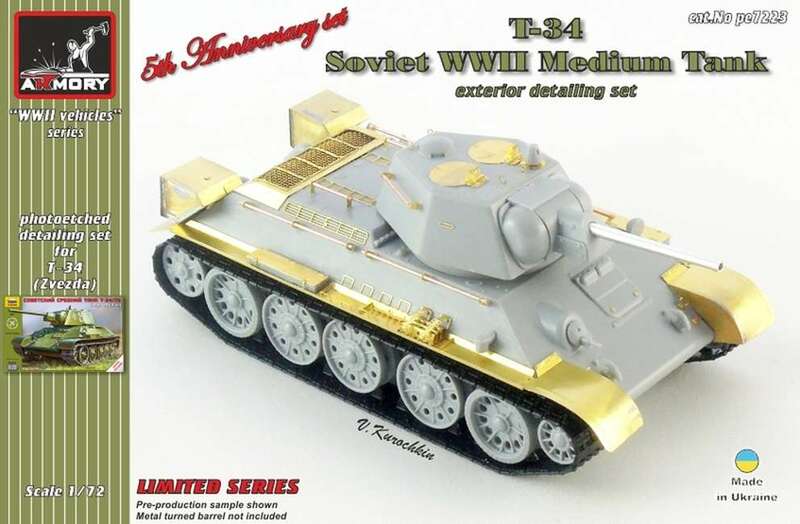 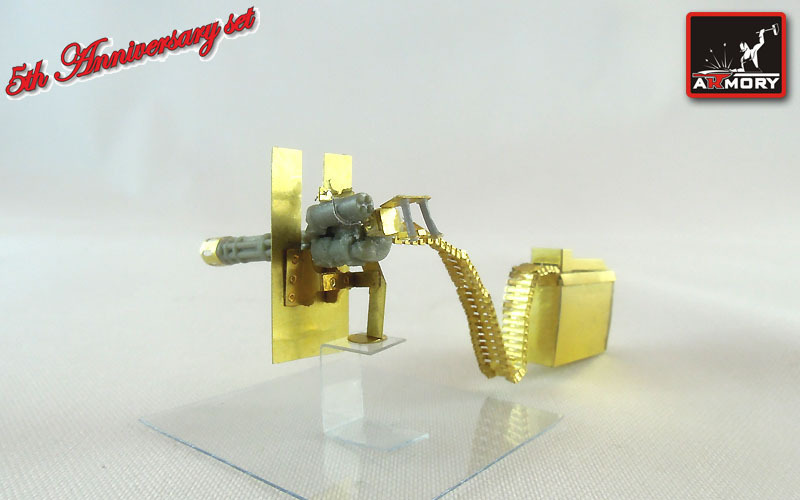 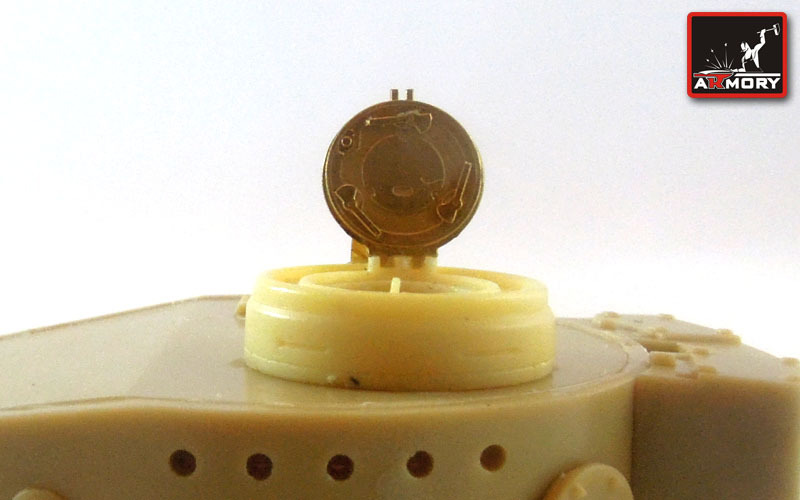 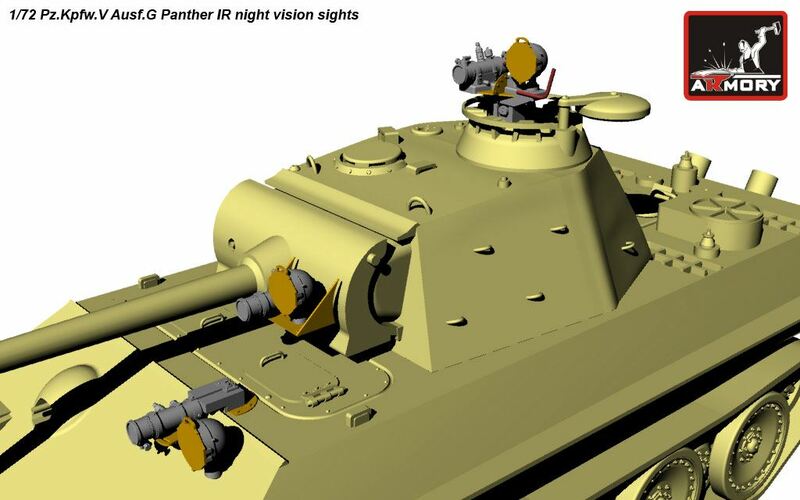 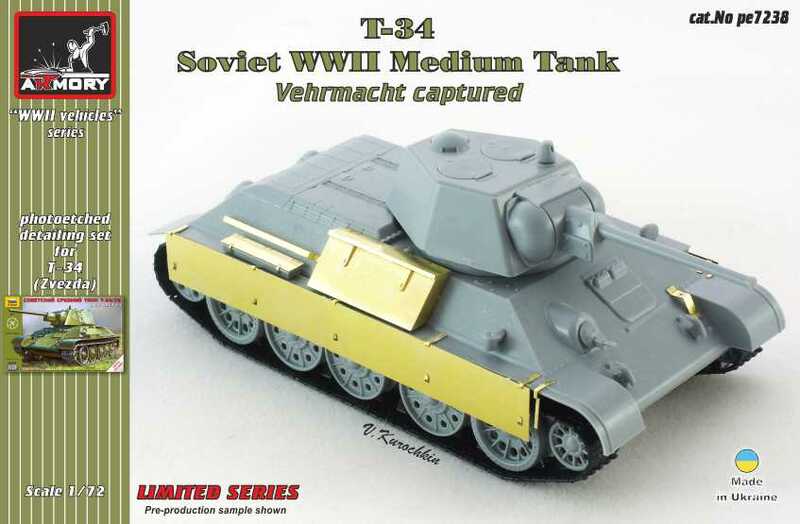 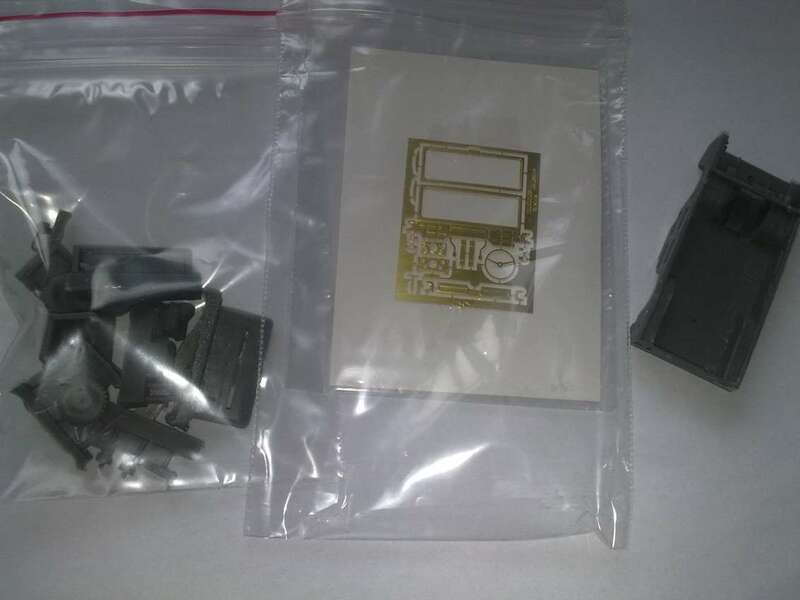 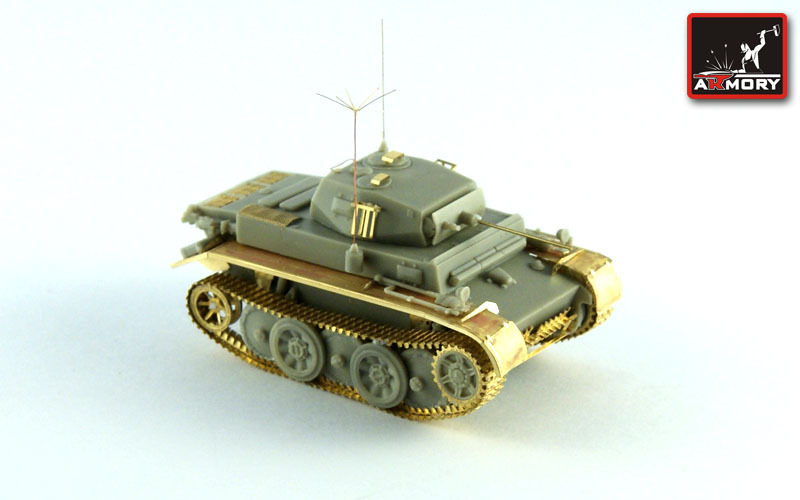 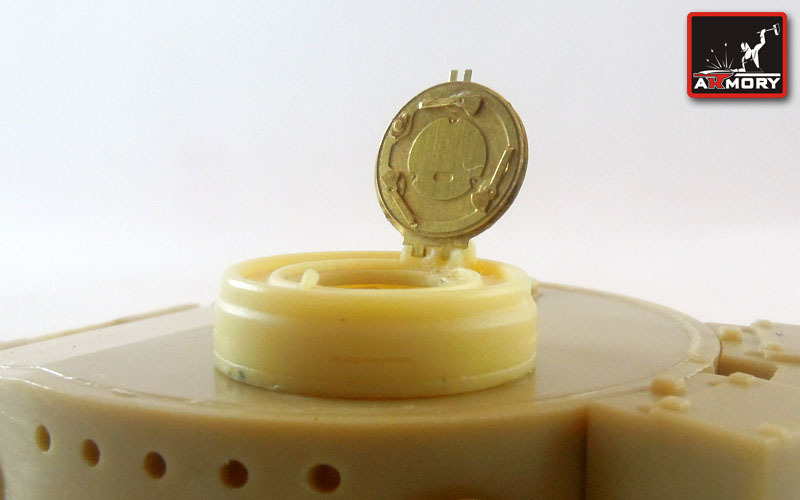 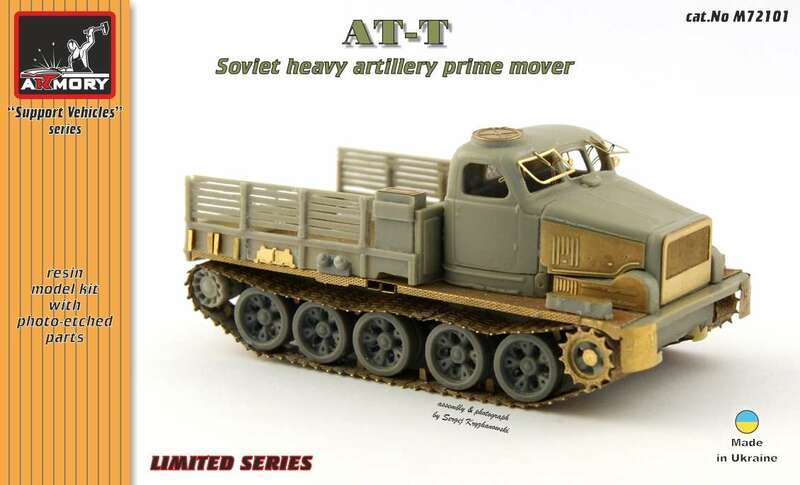 - "temporary not available - in reworking"
Kit AR AC7236 - KV-1 1942 for Trumpeter and PST. 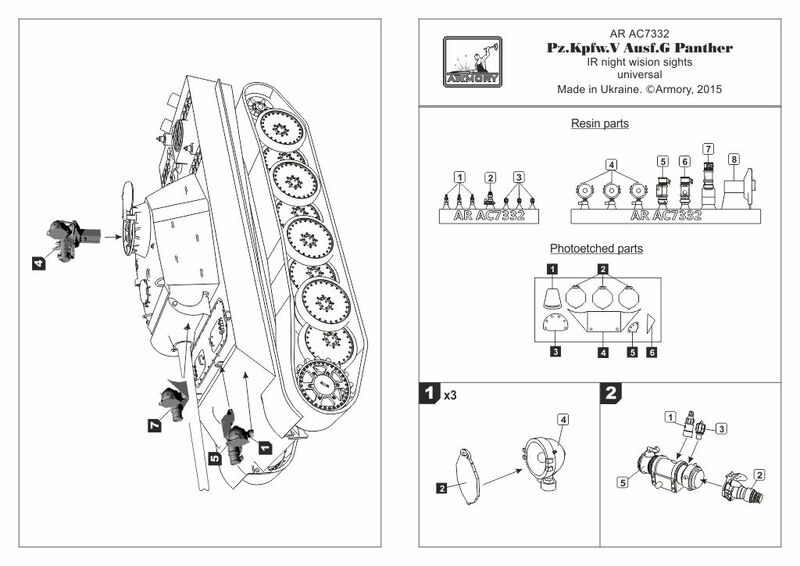 Kit AR AC7237 - KV-1 1942 for Trumpeter and PST. 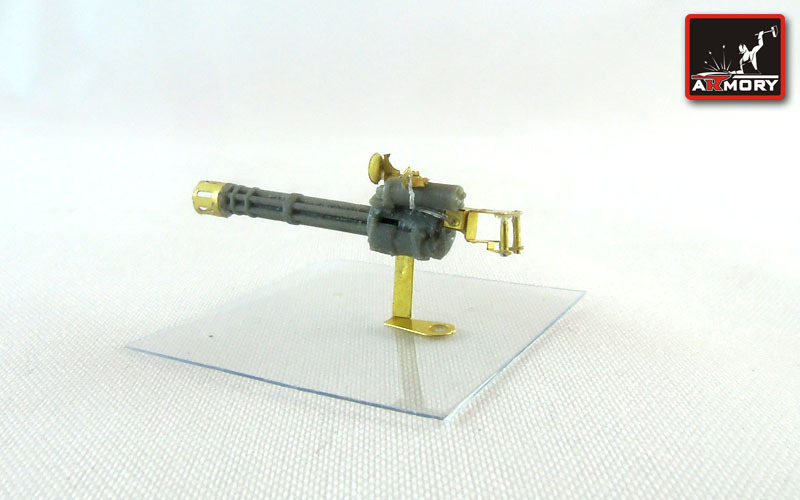 Kit AR AC7239 - 12.7mm DShk AA MG. 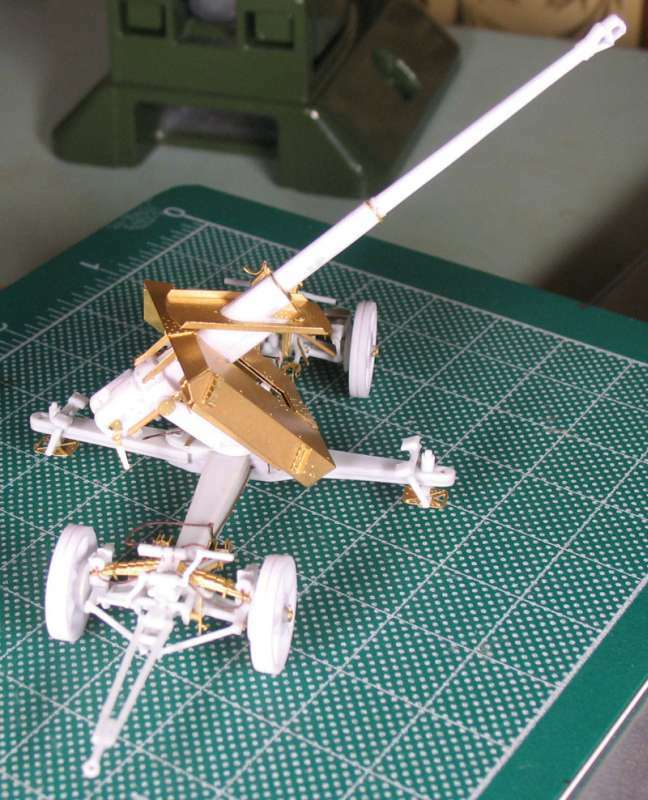 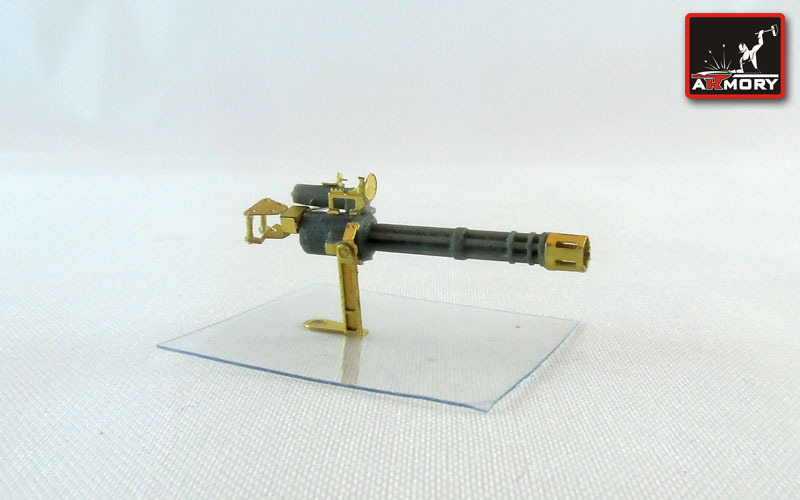 Kit AR AC7241 - M134 "Minigun" 0.3 cal. 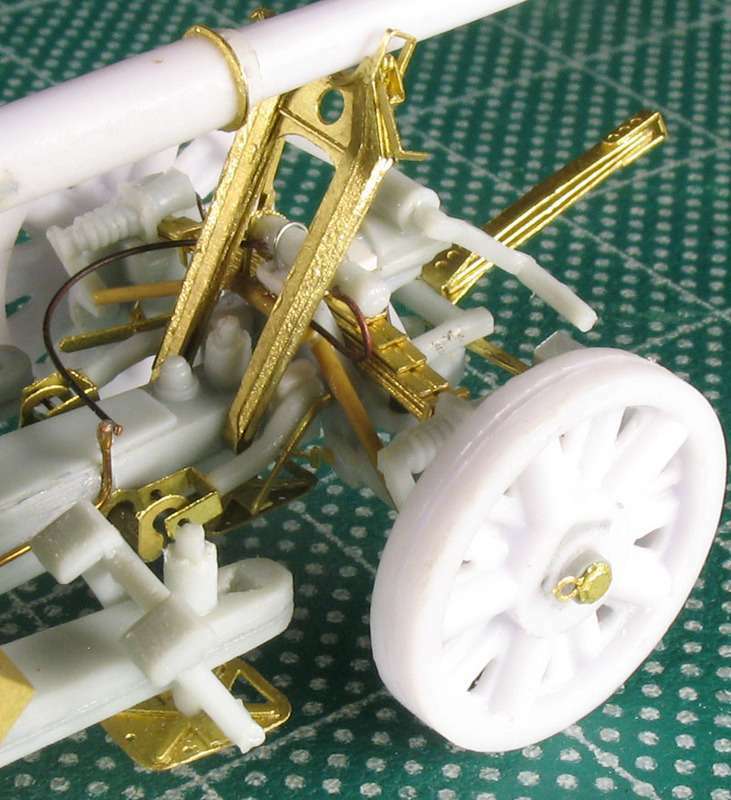 6-barreled machine gun - AFV version. 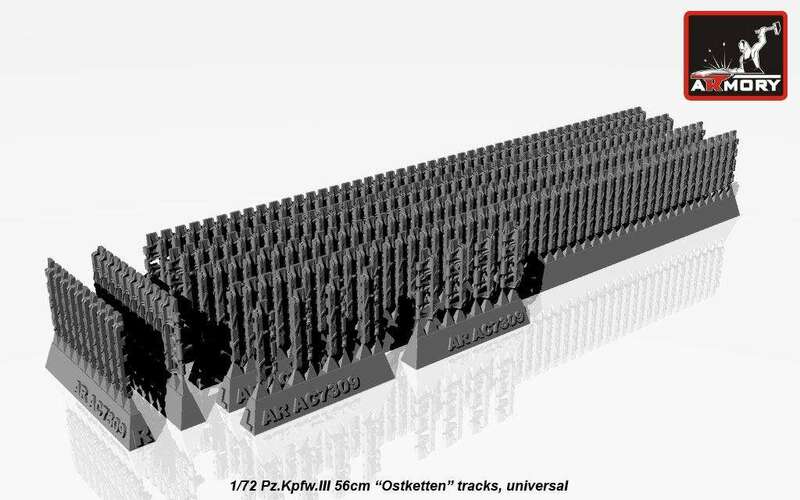 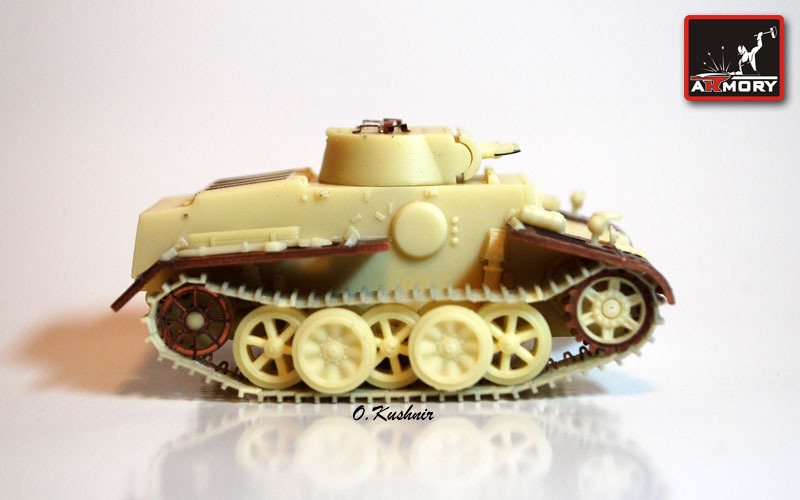 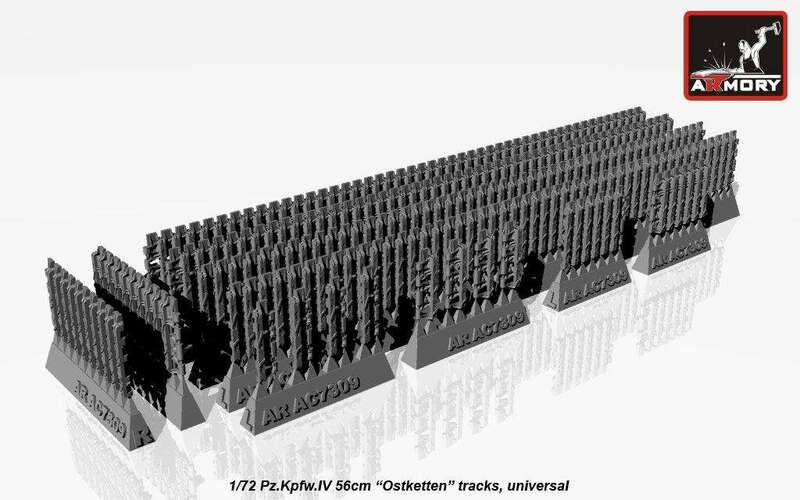 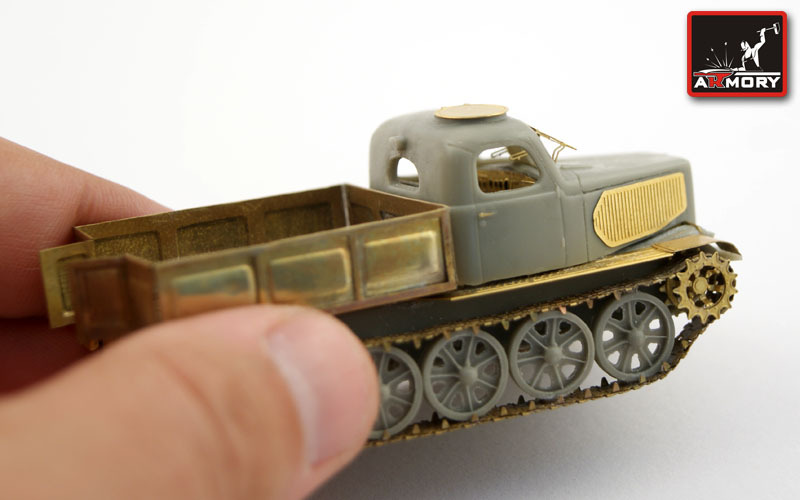 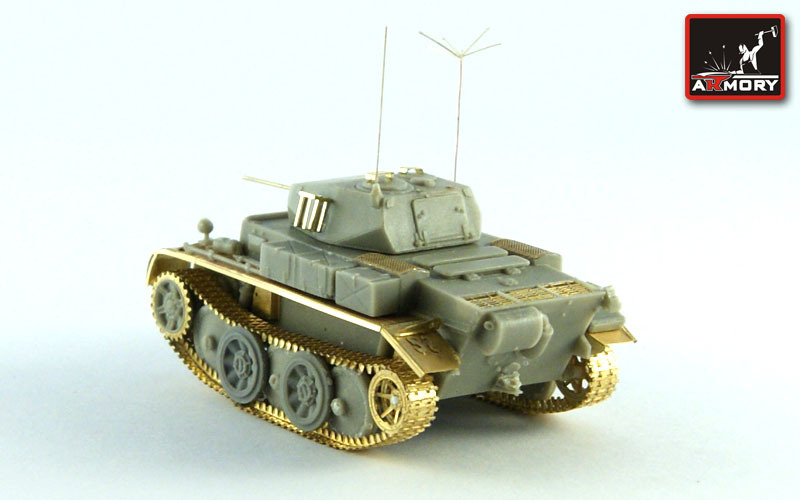 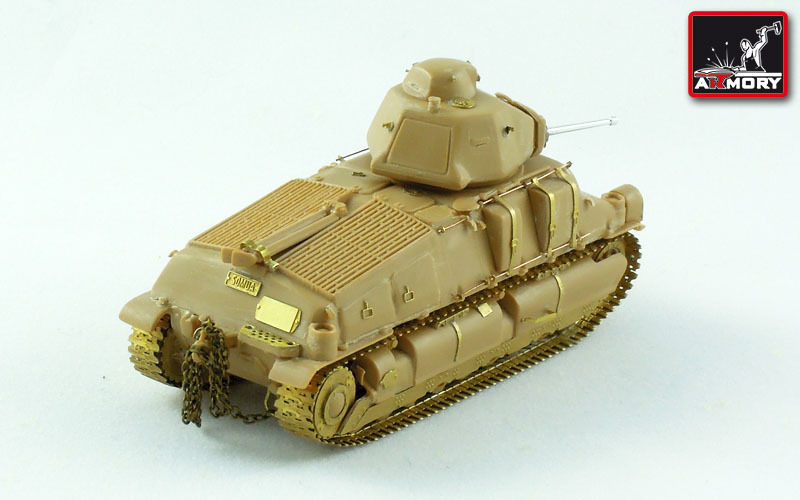 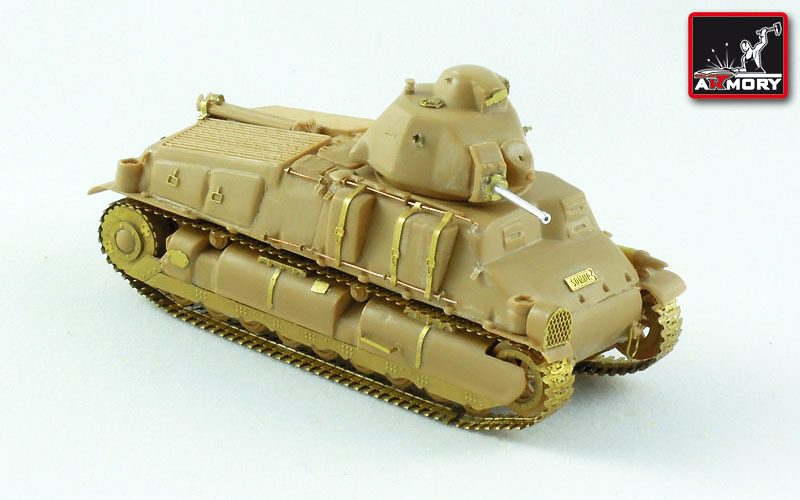 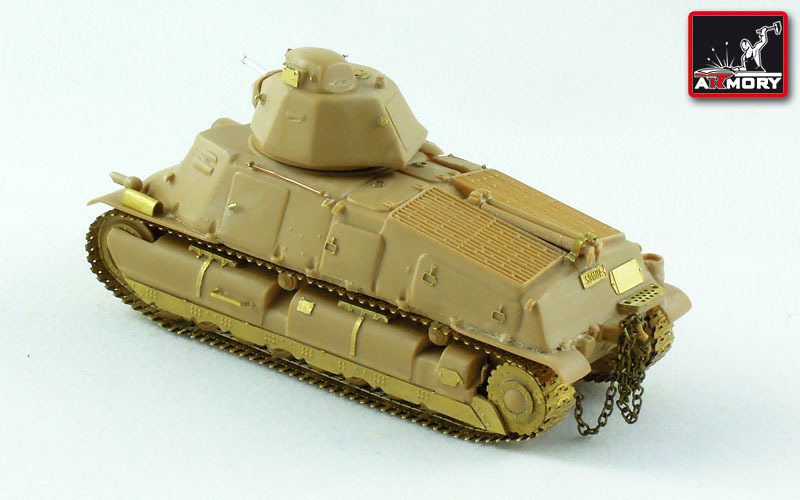 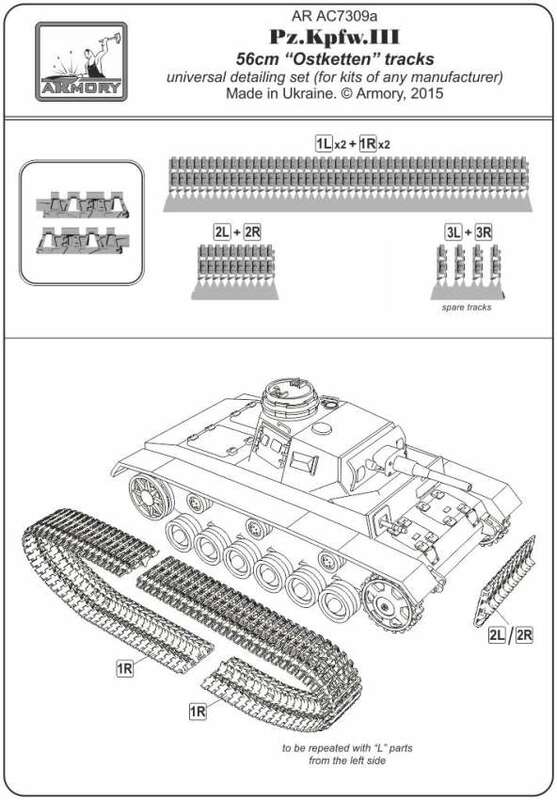 Kit AR AC7242a - 700mm KV-1/2 tracks mod.1940 for PST, Trumpeter kits. 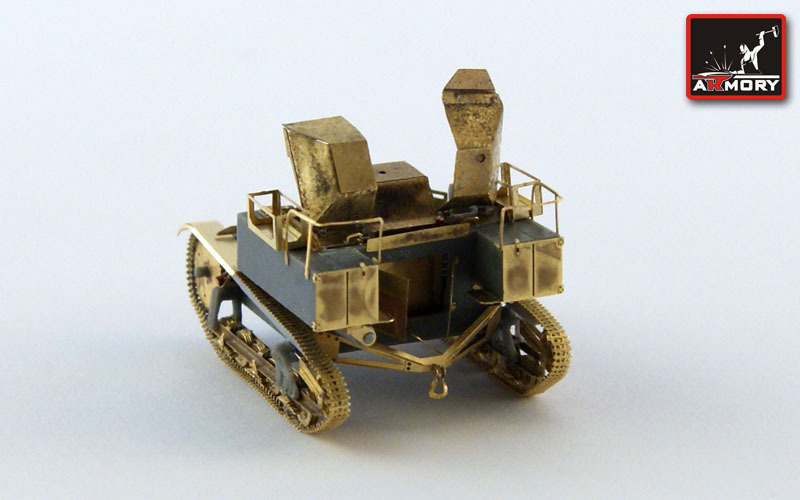 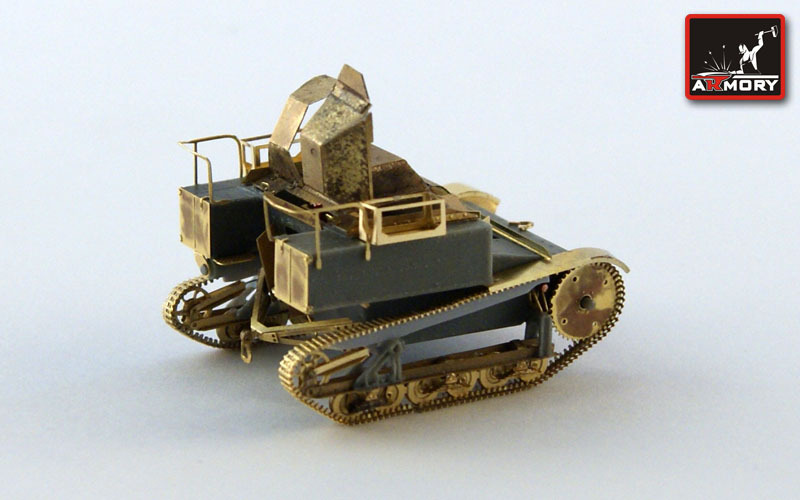 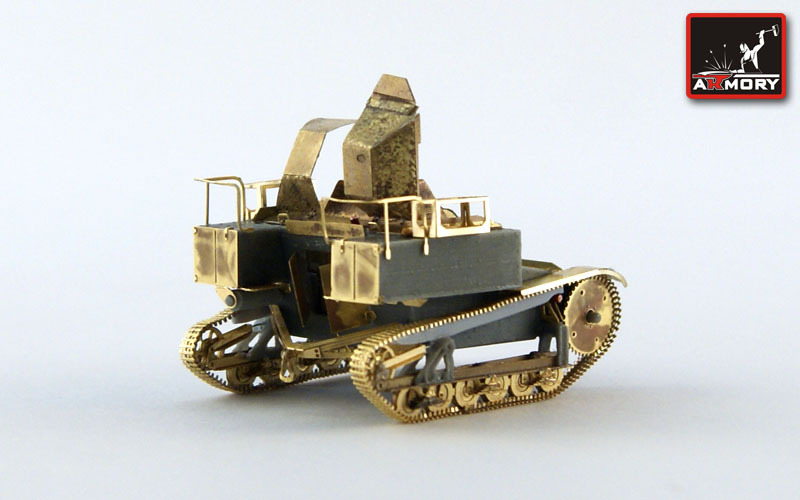 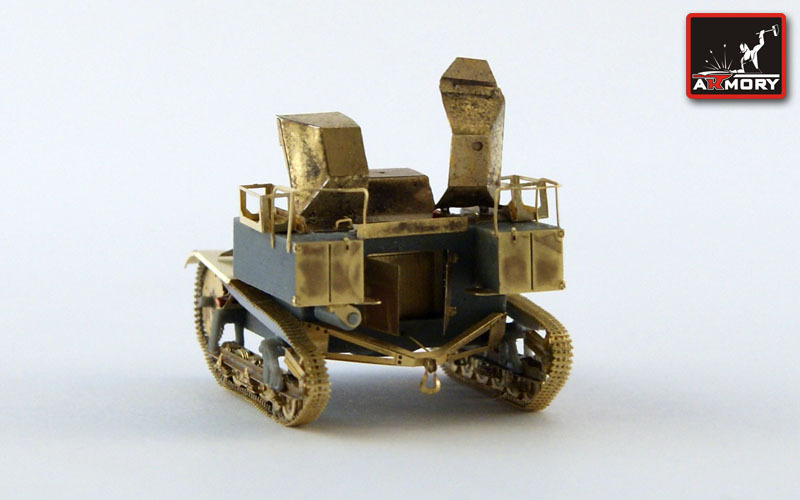 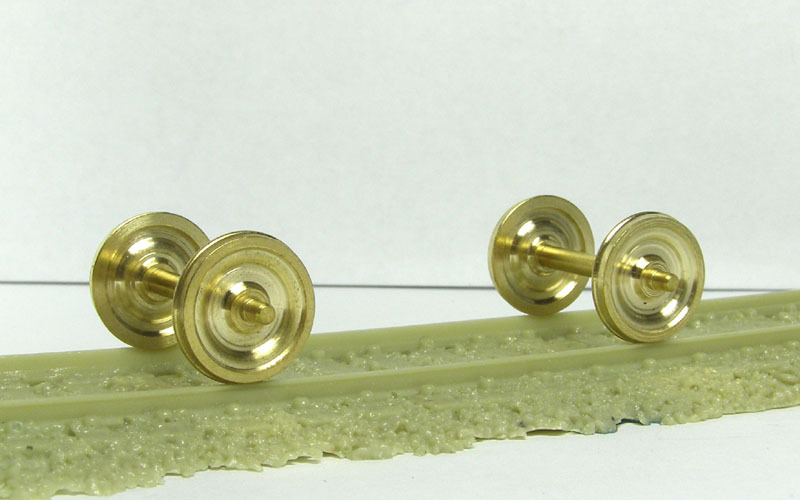 Kit AR AC7247 - Wheel paires for WWII 2-axled German railroad cars turned brass (2 pieces). 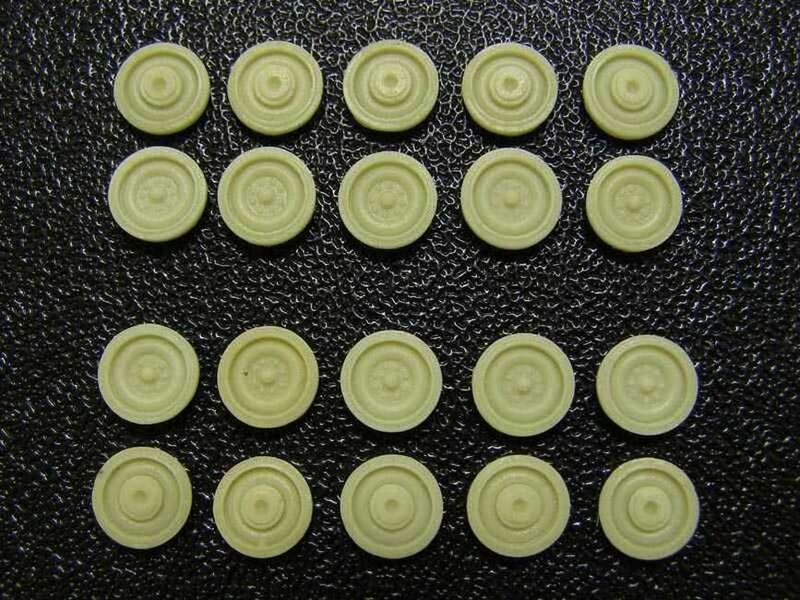 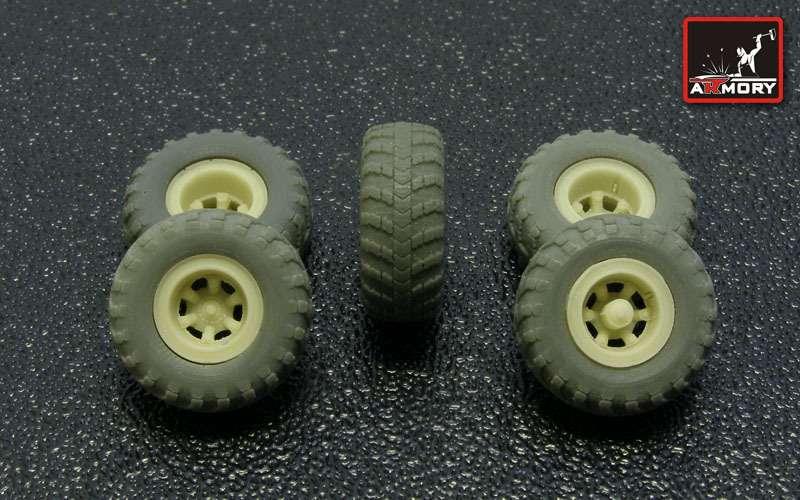 Kit AR AC7252a - Sd.Kfz.234 series armoured cars wheels set (8 + 1 spare). 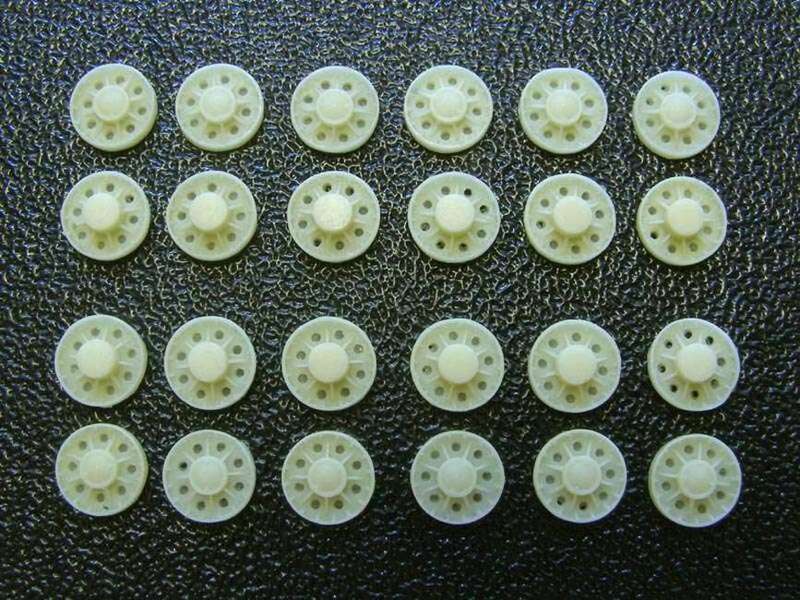 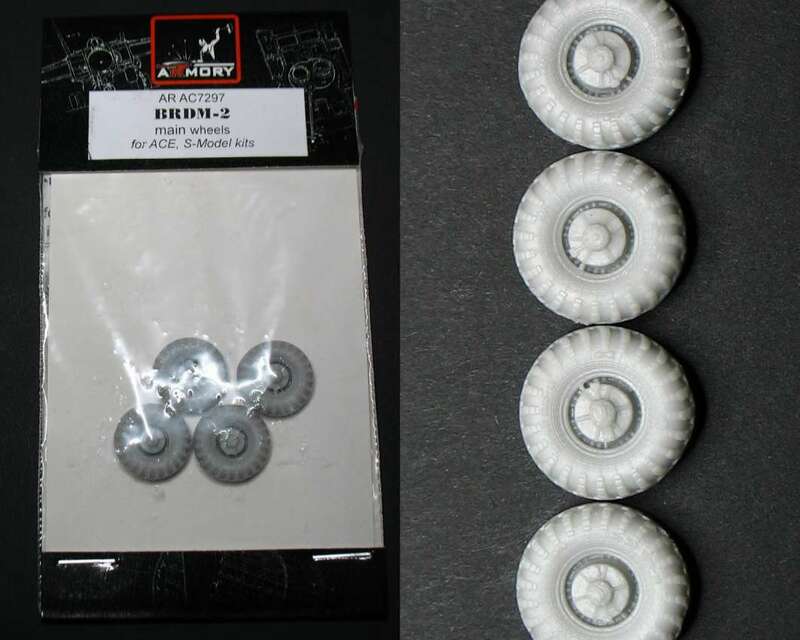 Kit AR AC7253 - Crusader Mk.III roadwheels - for Revell Crusader. 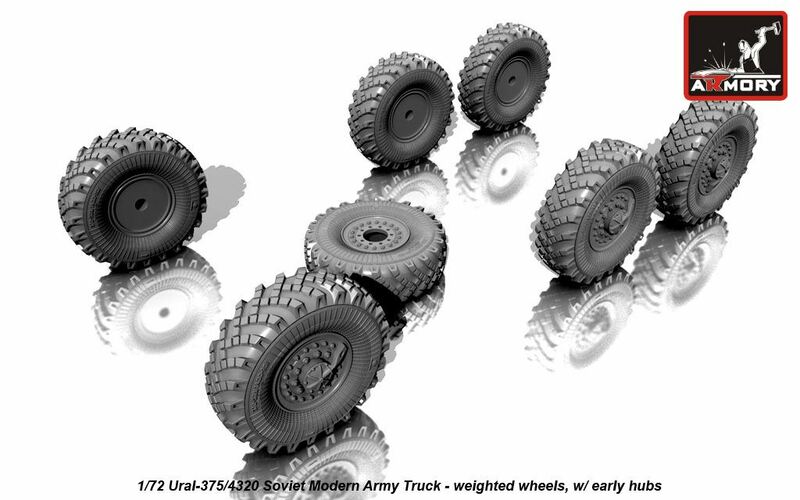 Kit AR AC7254 - KrAZ-258 wheels correction set (2 front, 4 doubled rear, 2 spare wheels) for E-Class kit. 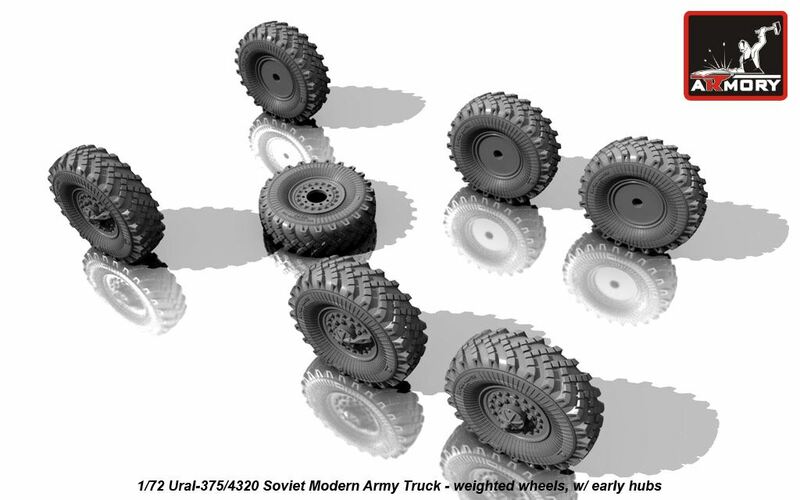 Kit AR AC7255 - KrAZ-258 wheels for 2-axled semitrailer (4 double rear + 1 spare) for E-Class kit. 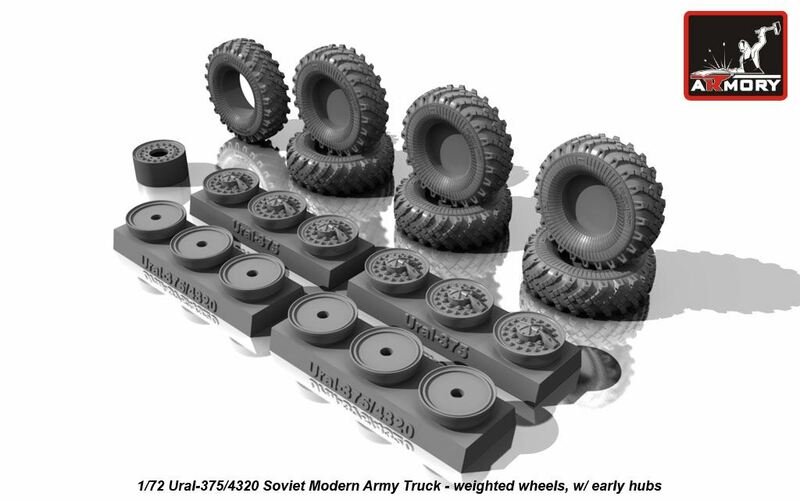 Kit AR AC7256 - KrAZ-255B wheels VI-3 Type, for E-Class kit. 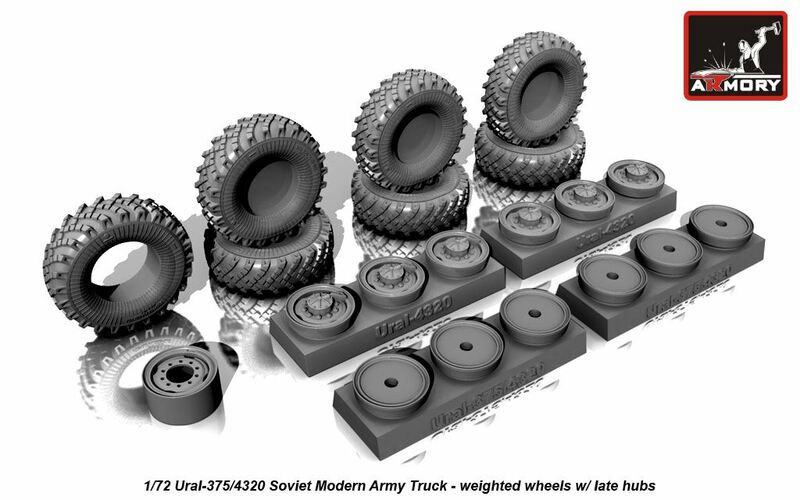 Kit AR AC7258 - Ural-4320 wheels with OI-25 type tires correction set for ICM kits. 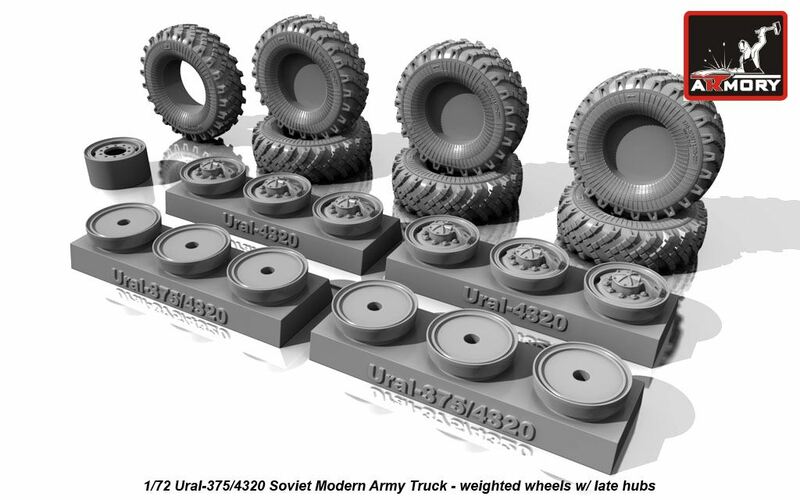 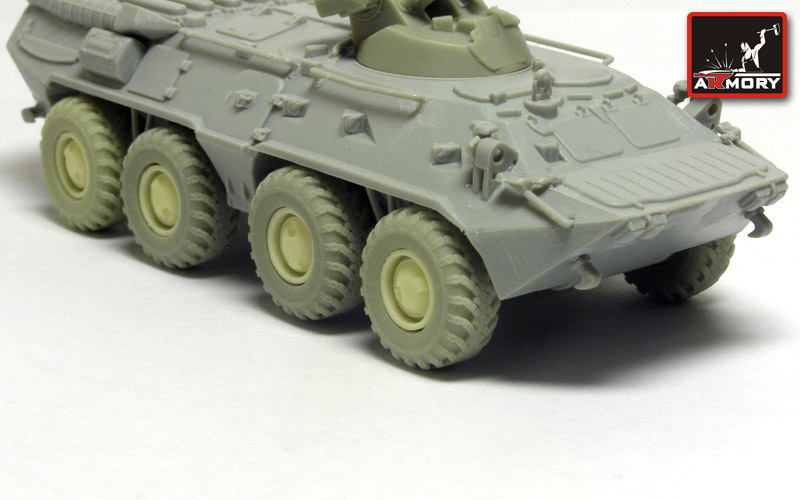 Kit AR AC7272 - BTR-80A wheels with tires mod. 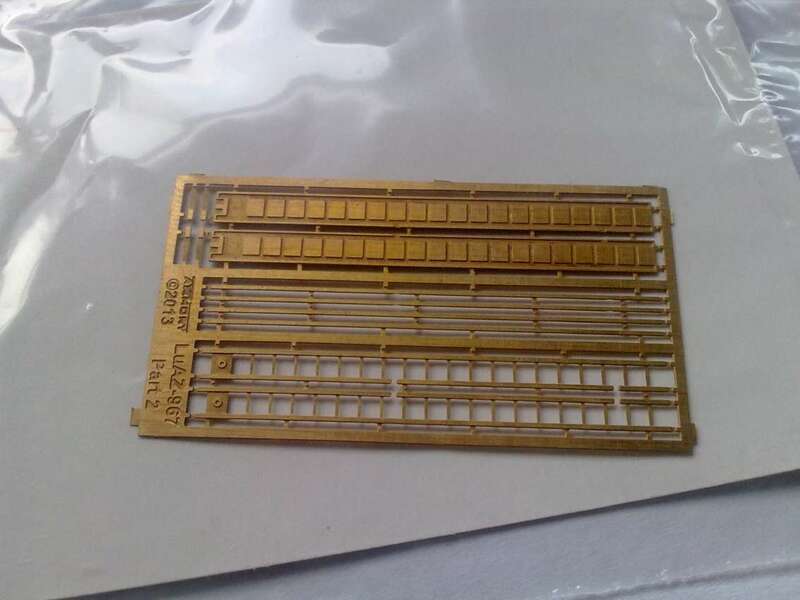 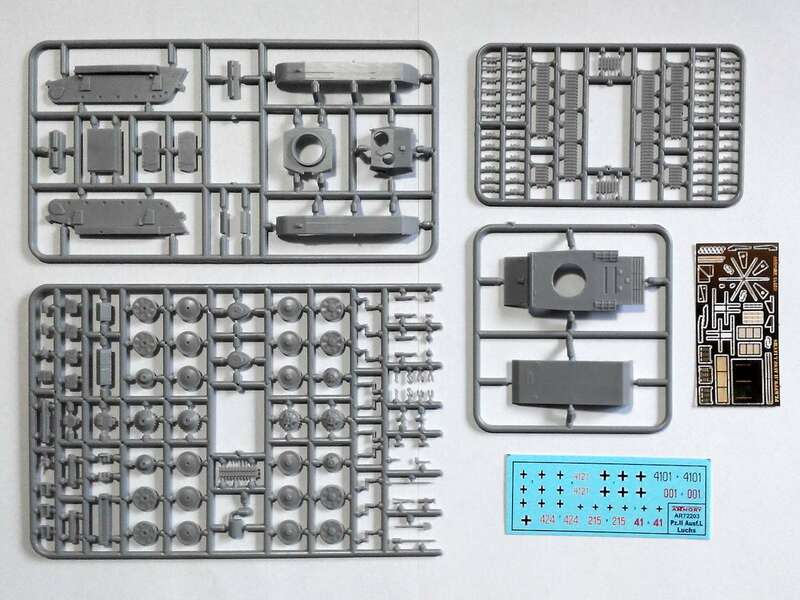 KI-126 for Trumpeter kit. 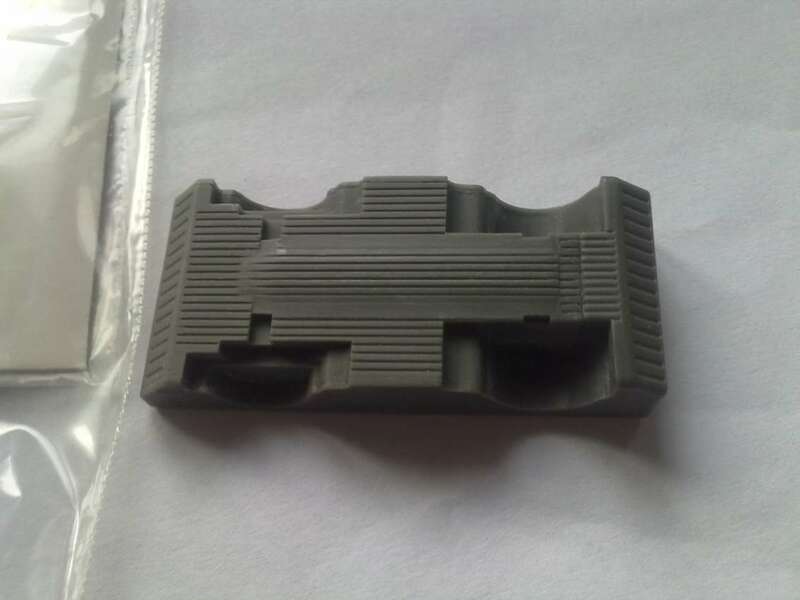 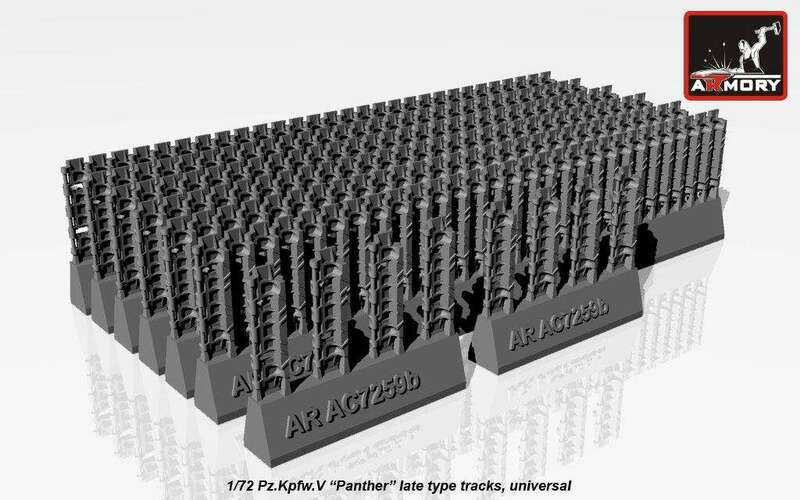 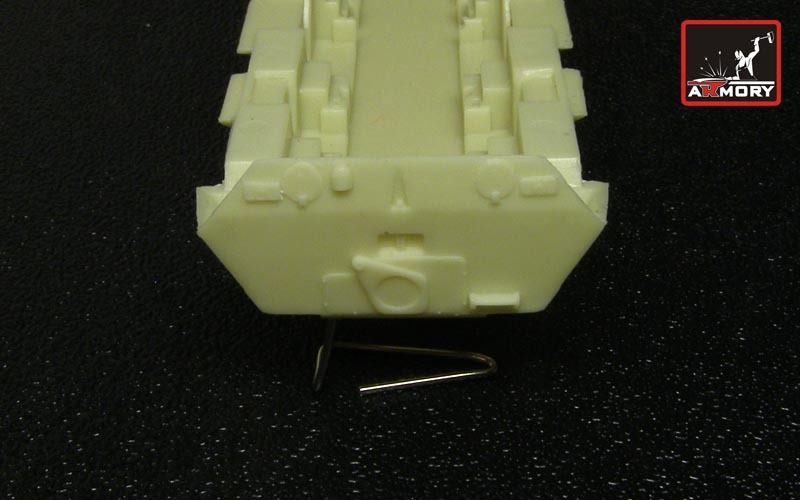 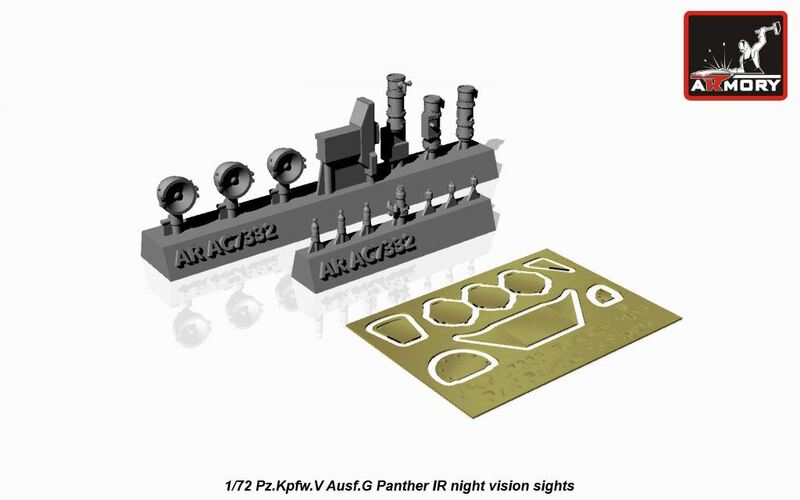 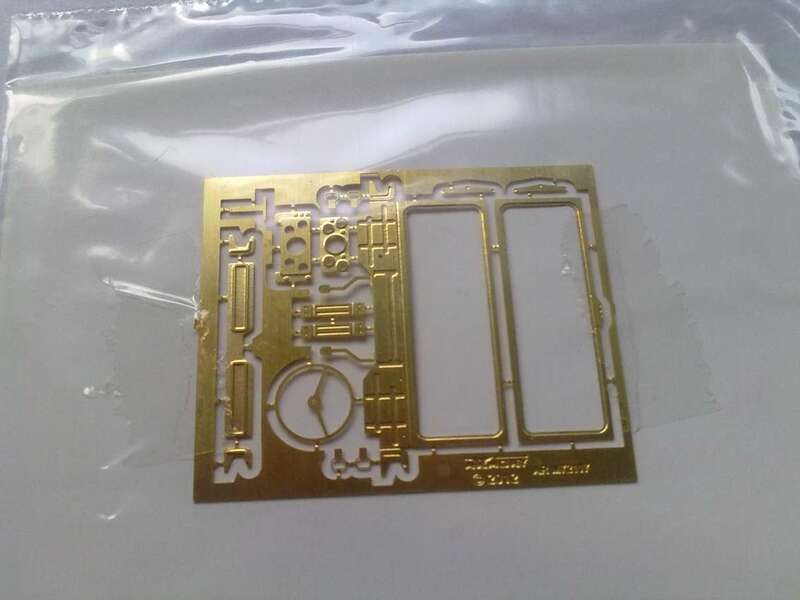 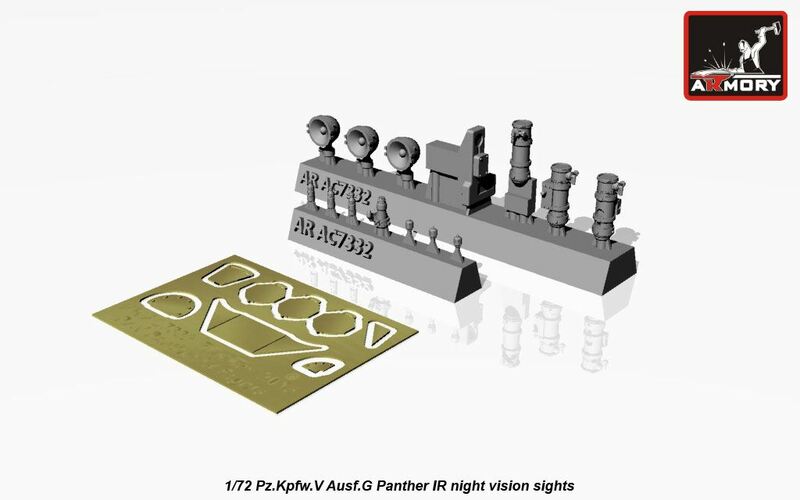 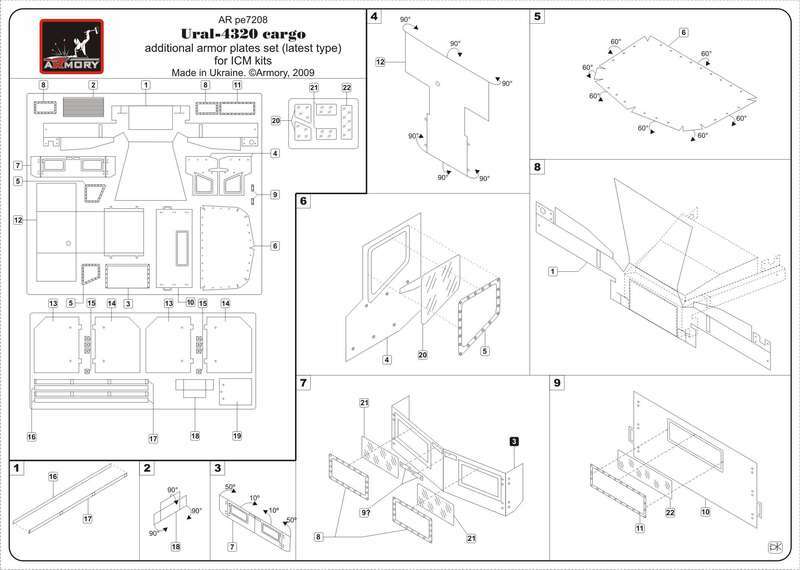 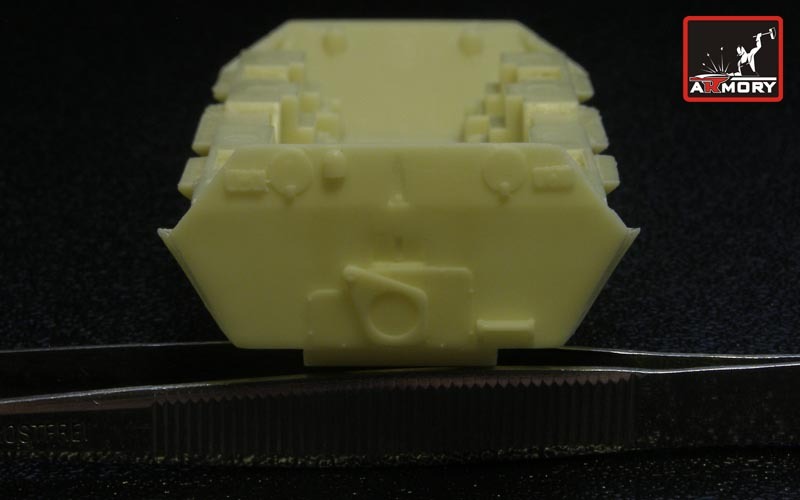 Kit AR AC7273 - BTR-80 Hull Bottom - correction set for Trumpeter kit. 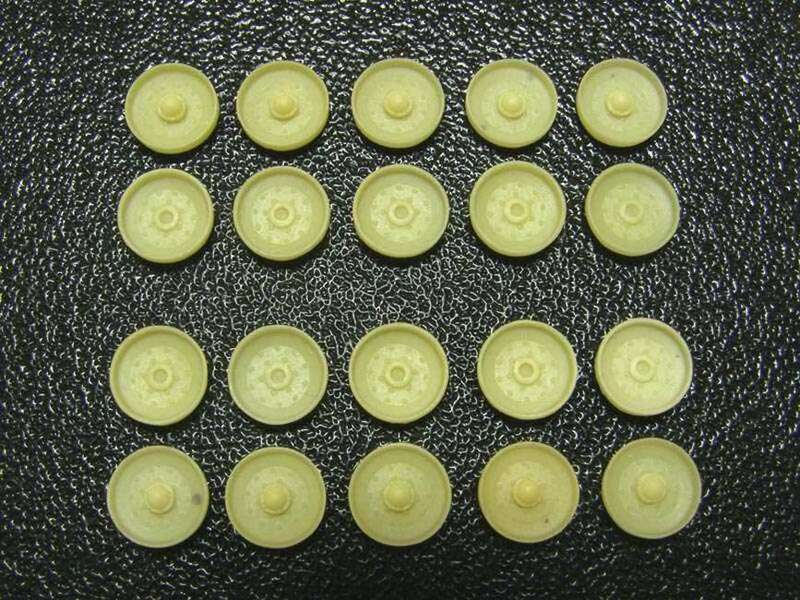 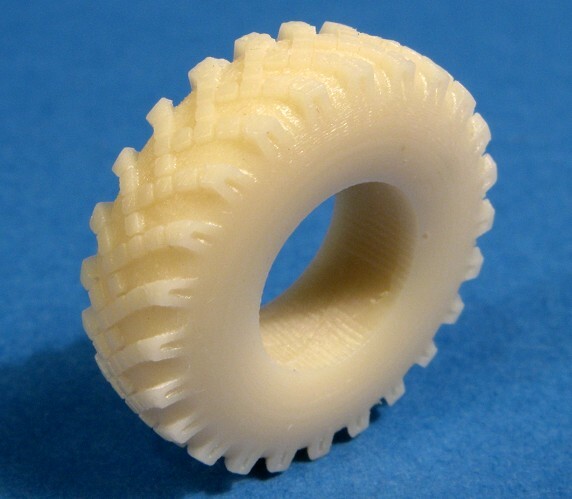 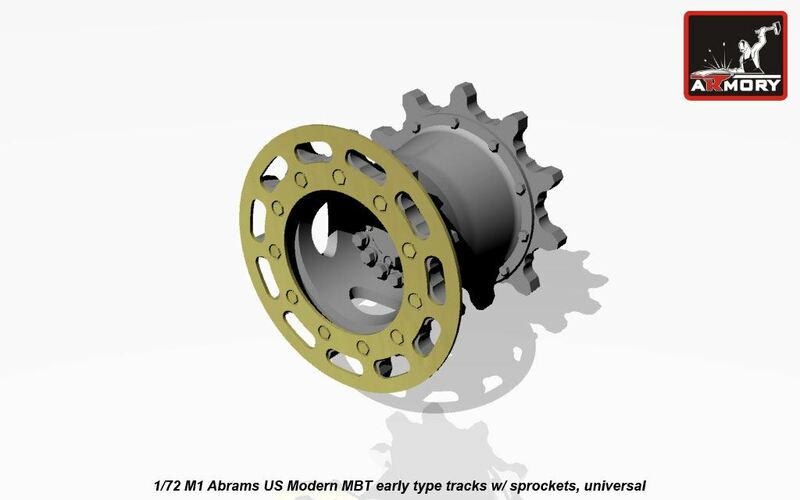 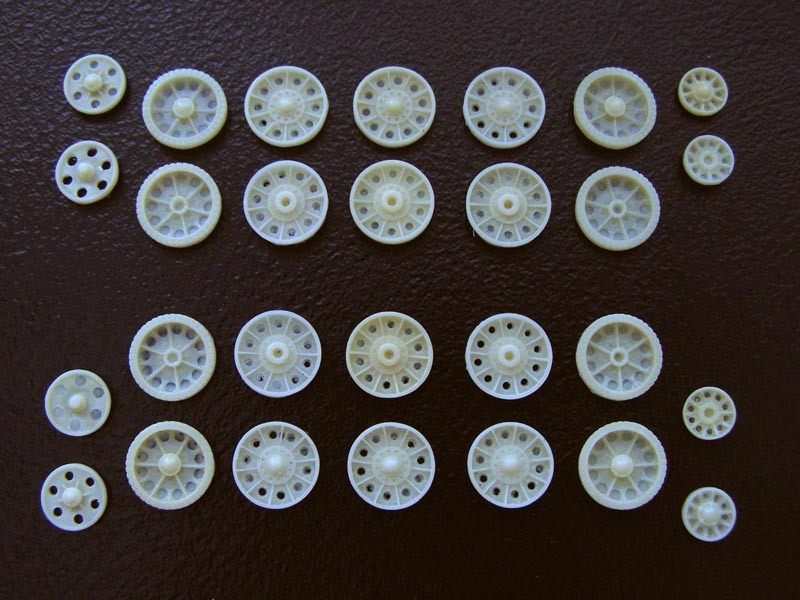 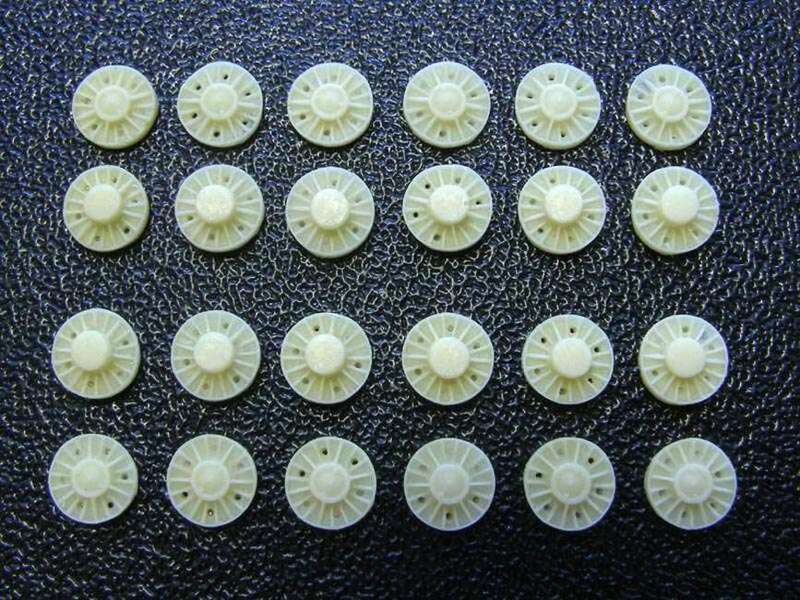 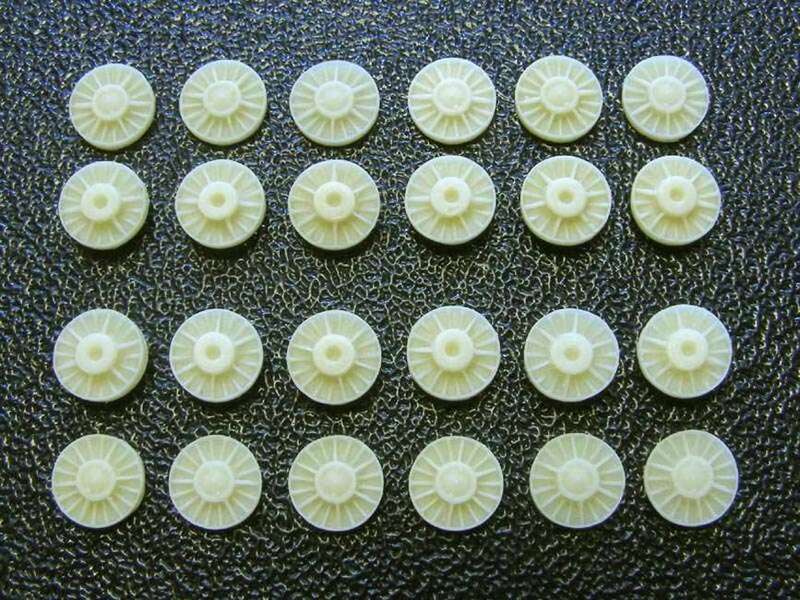 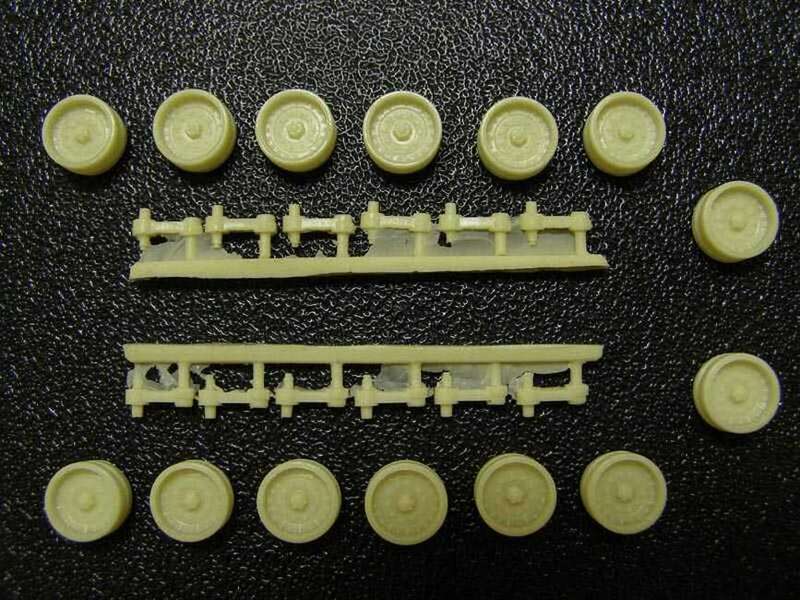 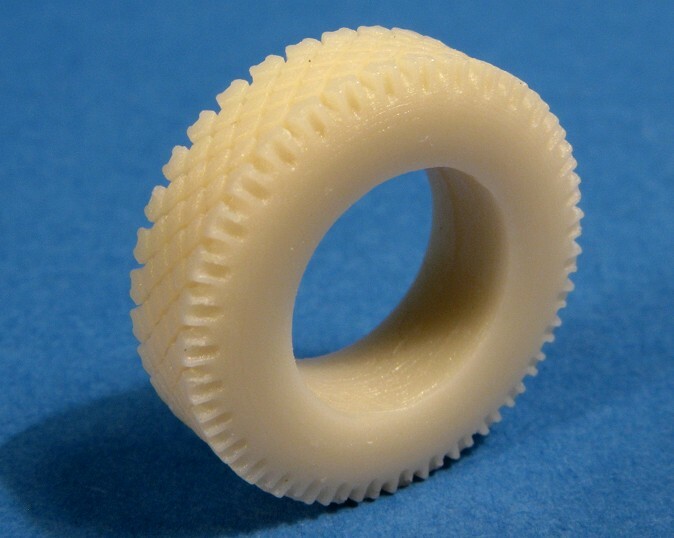 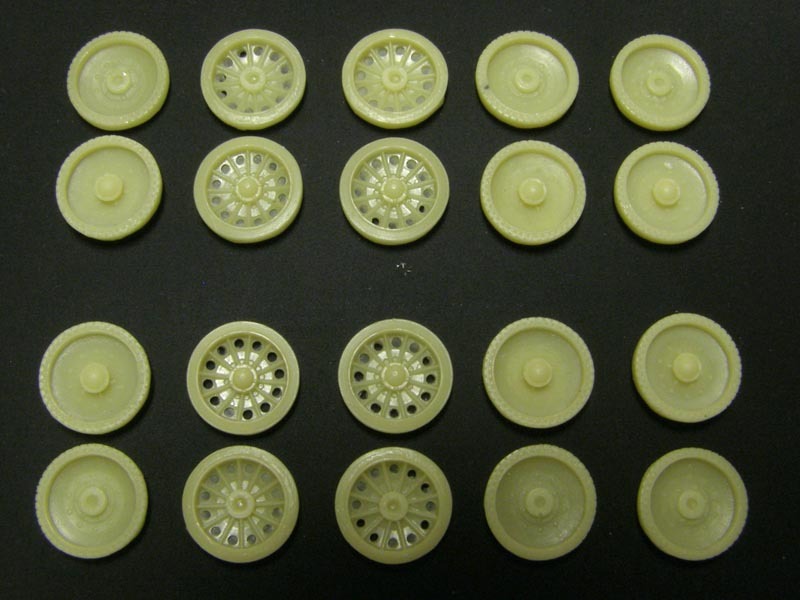 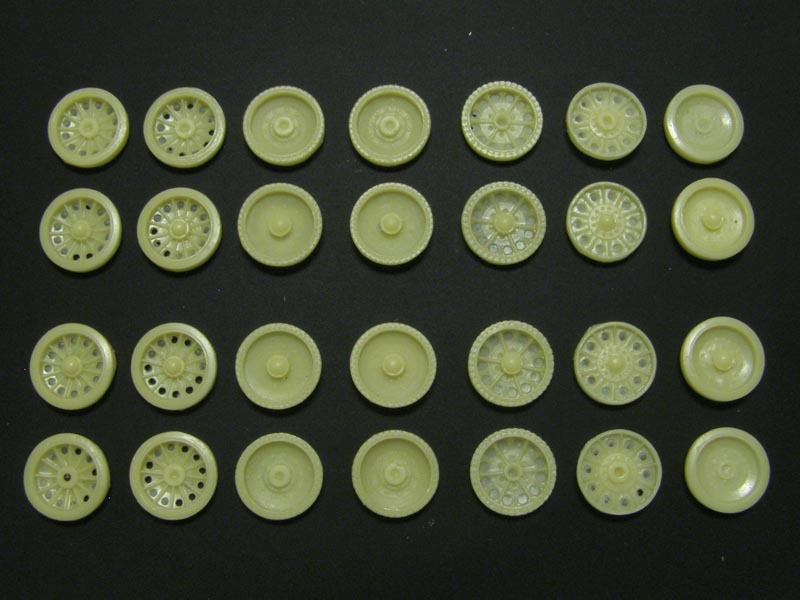 Kit AR AC7274 - M4 Sherman open-spoked roadwheels. 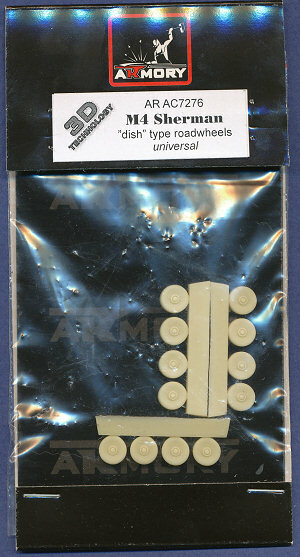 Kit AR AC7276 - M4 Sherman Dish" roadwheels. 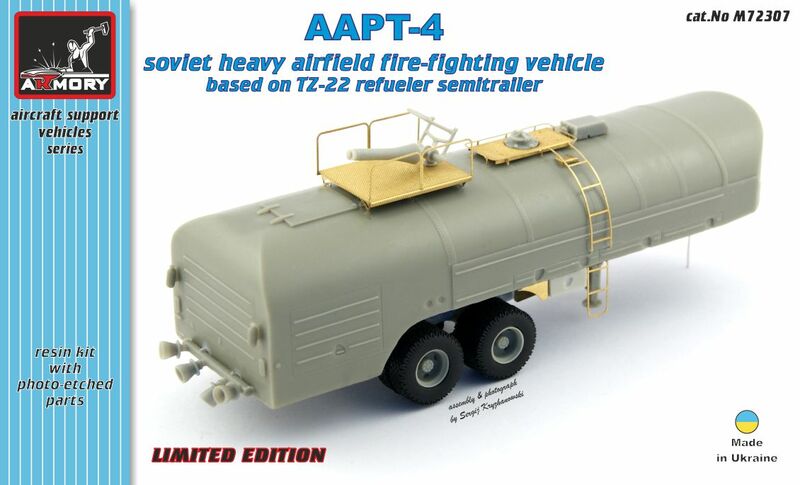 Kit AR AC7278 - Pz. 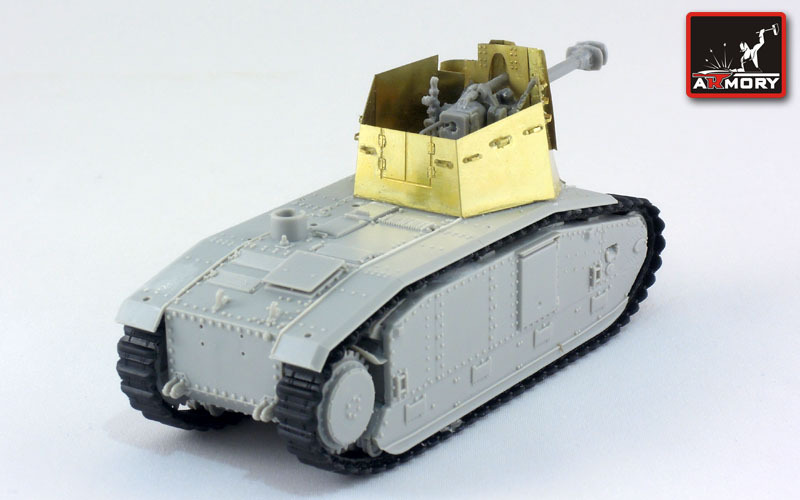 VI Tiger commander cupola (early). 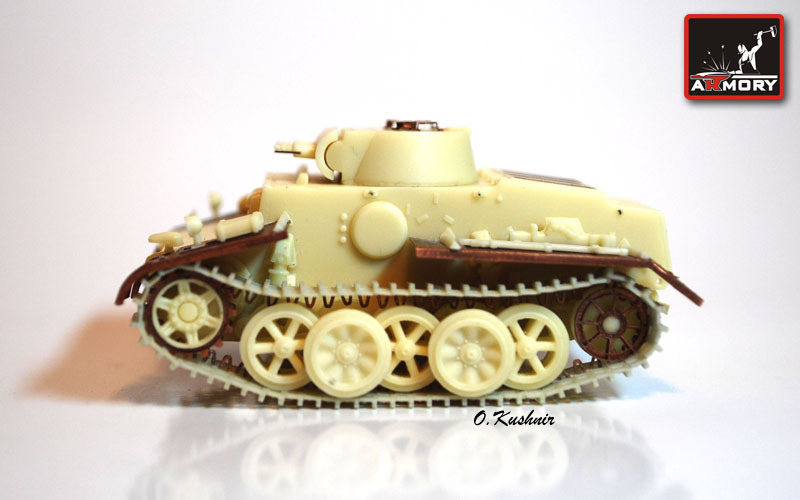 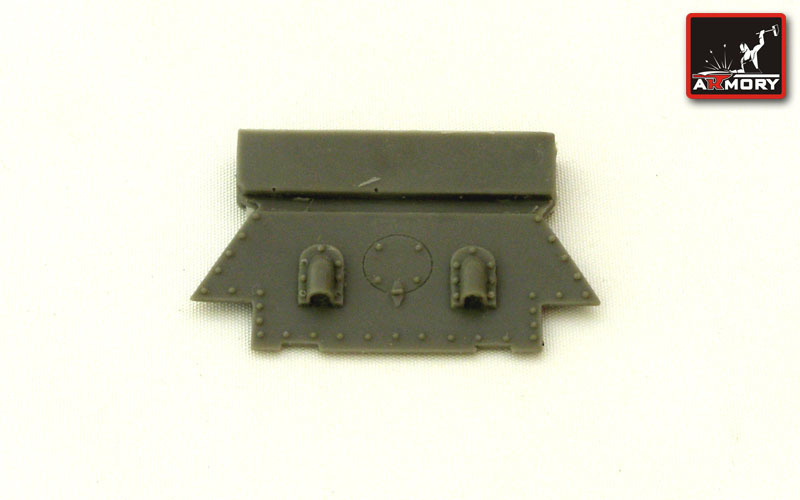 T34 rear hull plate mod 1940 (KhPZ plant). 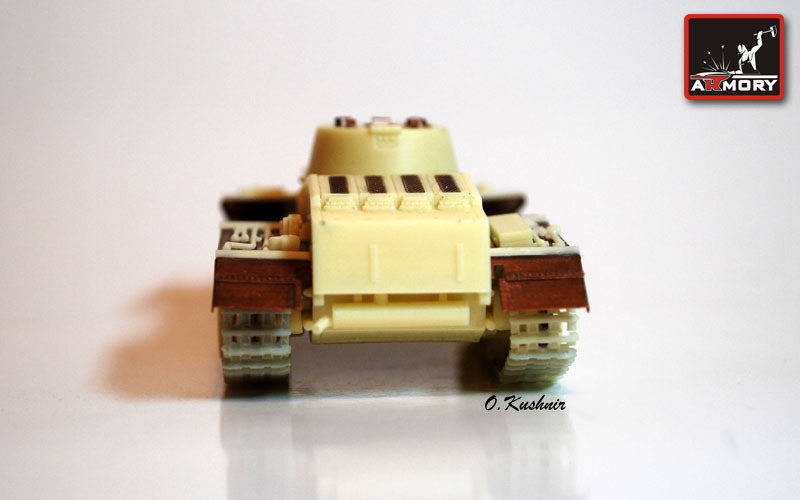 T34 rear hull plate mod 1942 (plant 112). 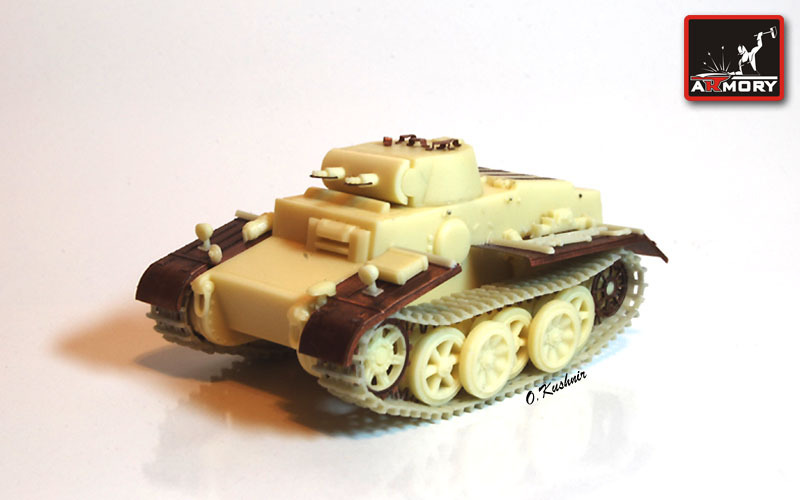 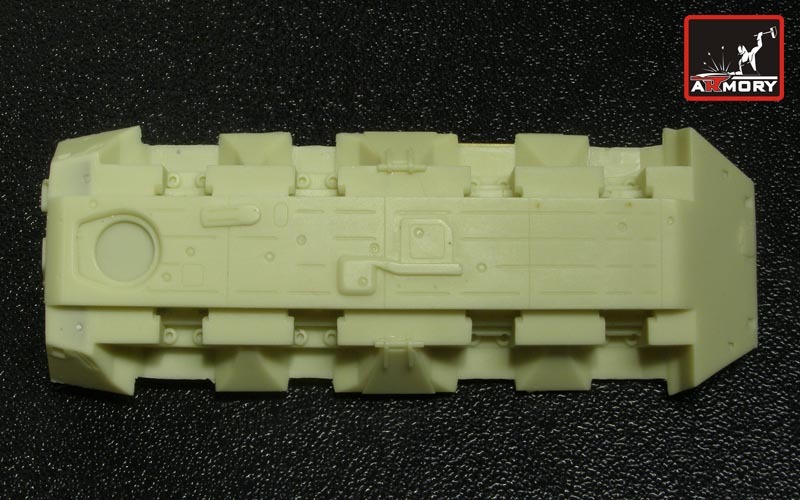 T34 rear hull plate mod 1942 (plant 183). 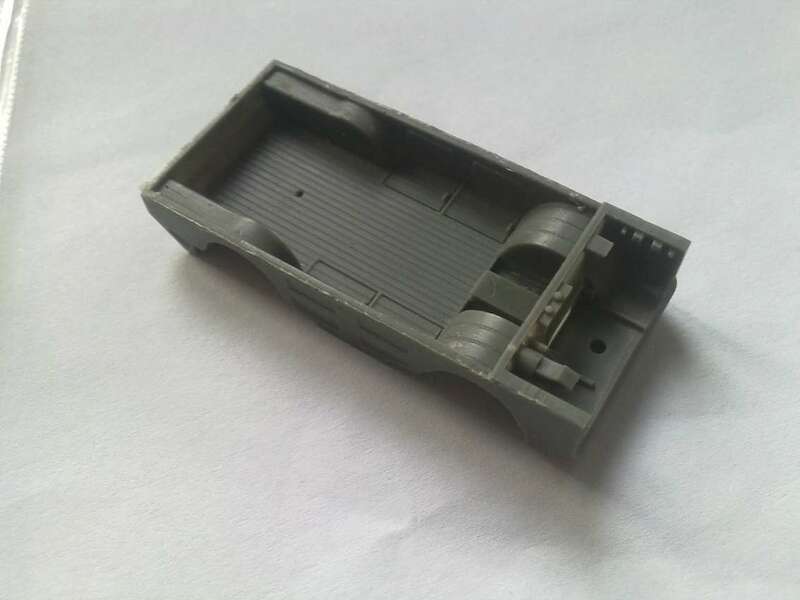 T34 rear hull plate mod 1944 (plant 112). 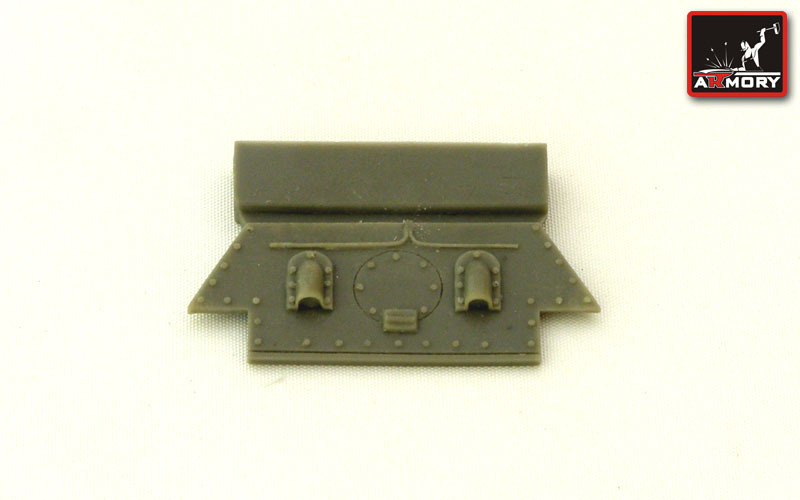 T34 rear hull plate mod 1944 (plant 183). 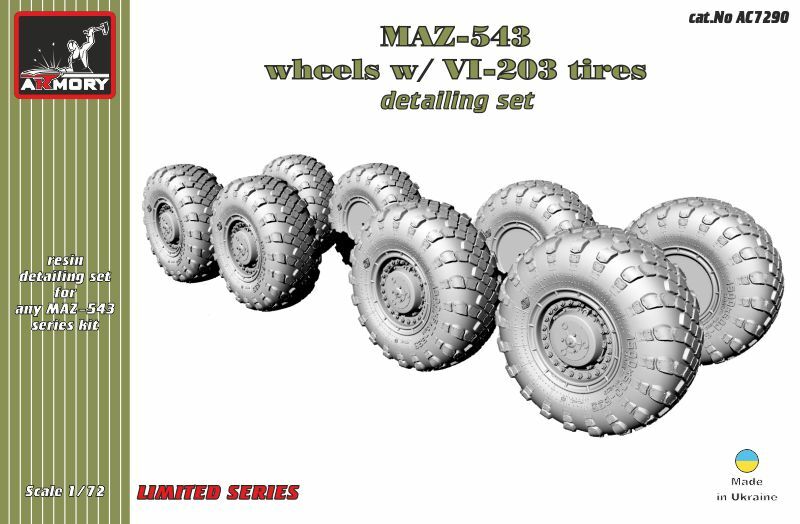 Kit AR AC7290 - MAZ-543 wheels w/ BI-203 tires (solid resin wheels version - for Armo / PST). 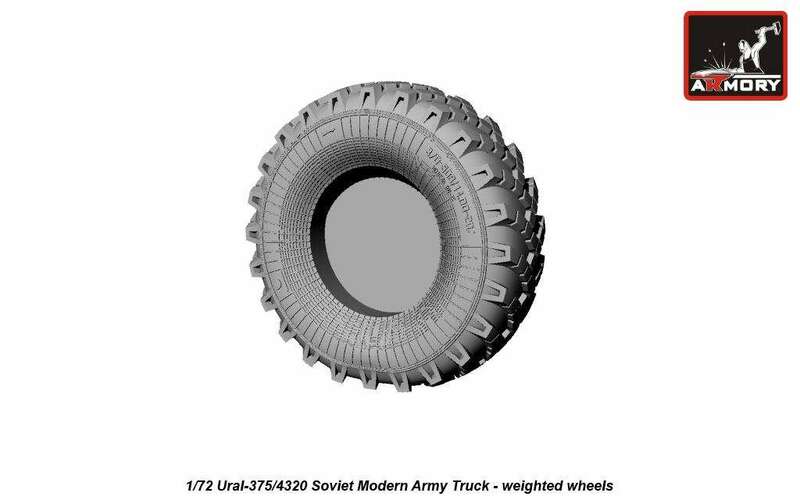 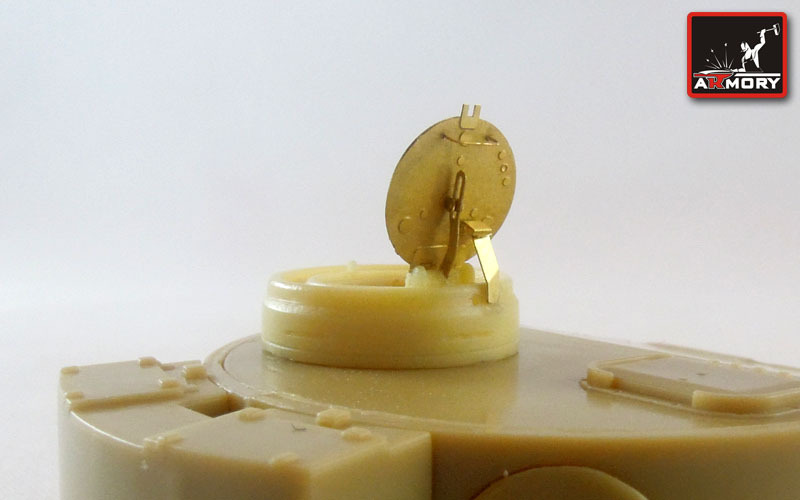 Kit AR AC7297 - BRDM - 2 (solid resin wheels version - for Ace / sModel). 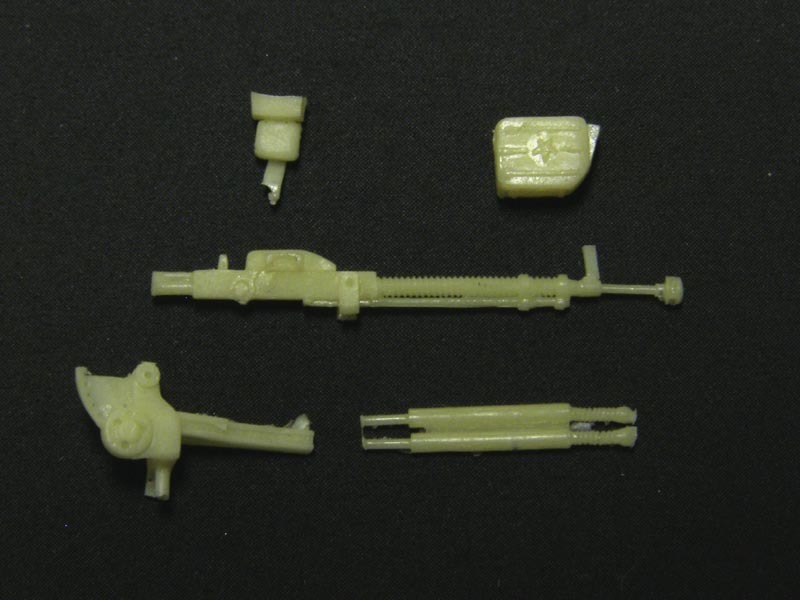 Kit Code: AR ACA - weaponsets. 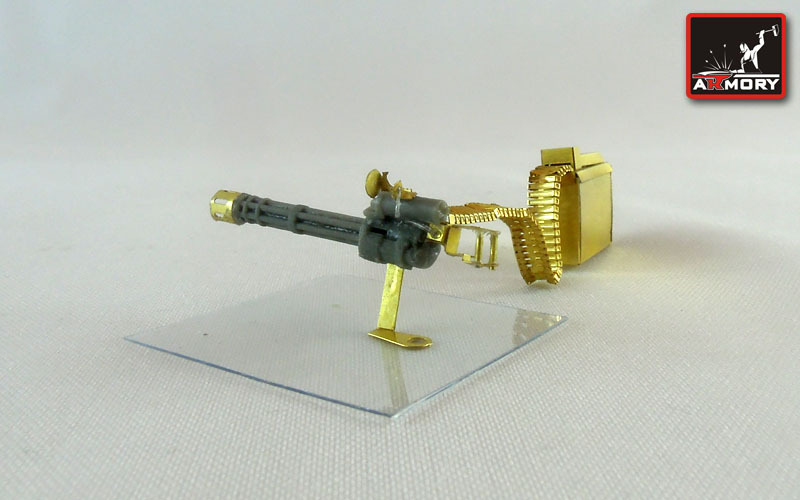 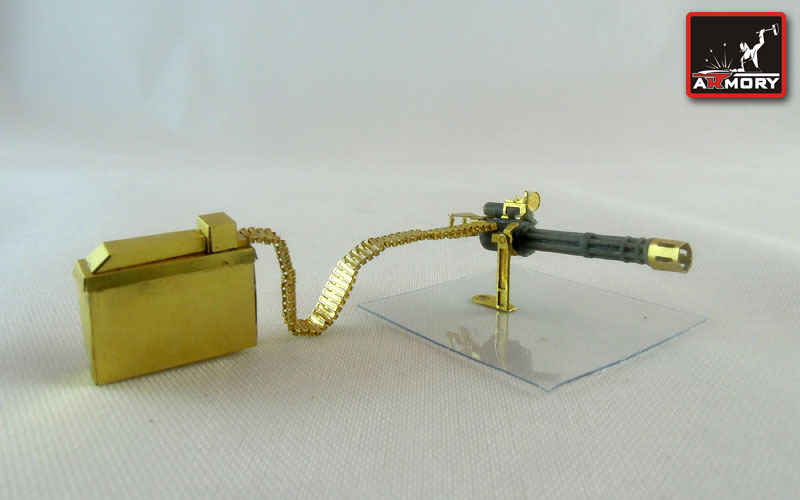 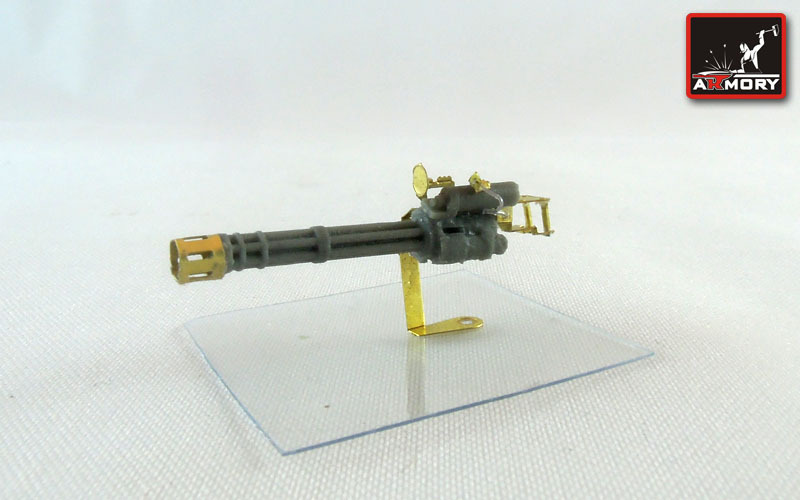 Kit AR ACA 7305 - M134 Miniguns 0.3cal. 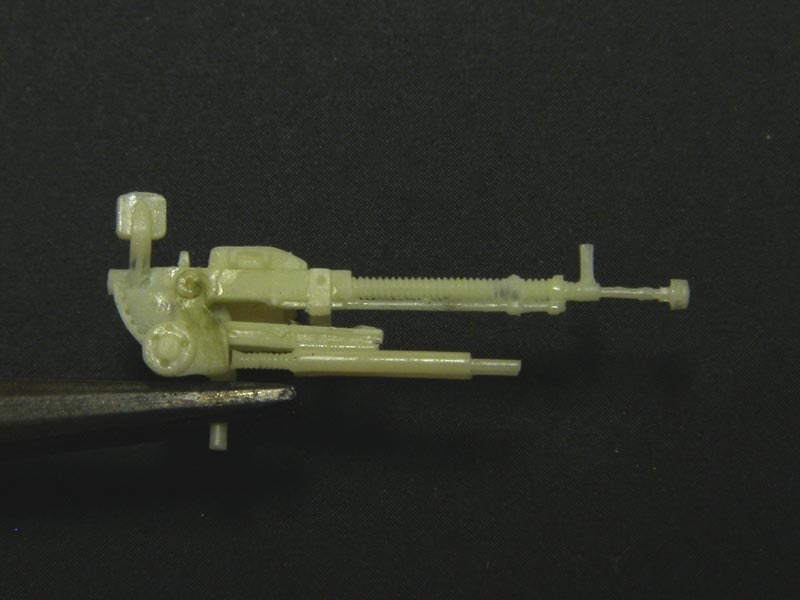 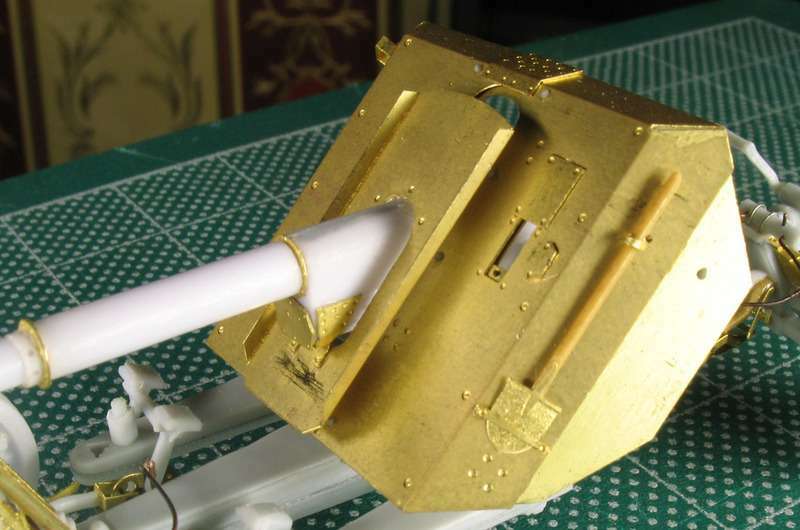 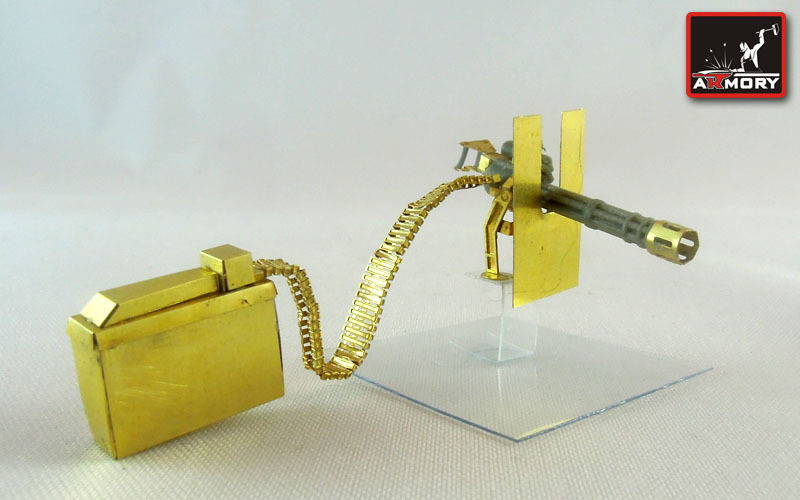 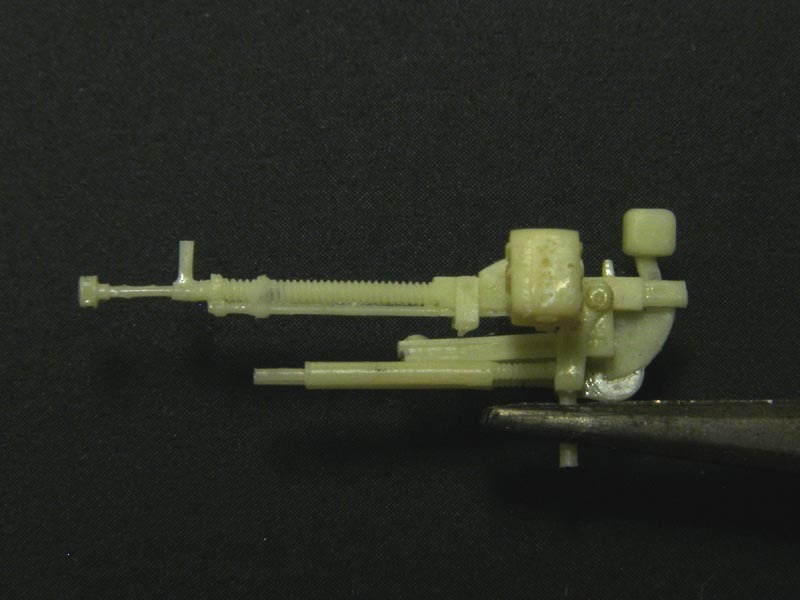 6-barreled machine gun, Aircraft turret version (2 pieces). 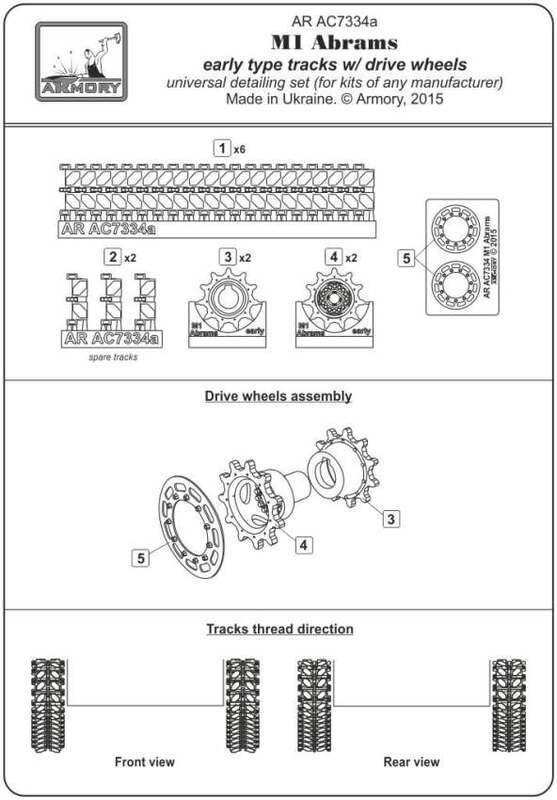 Kit AR ALL7201 - T-54/55/62 running gear complete correction set (roadwheels and idlers) for ACE, PST kits. 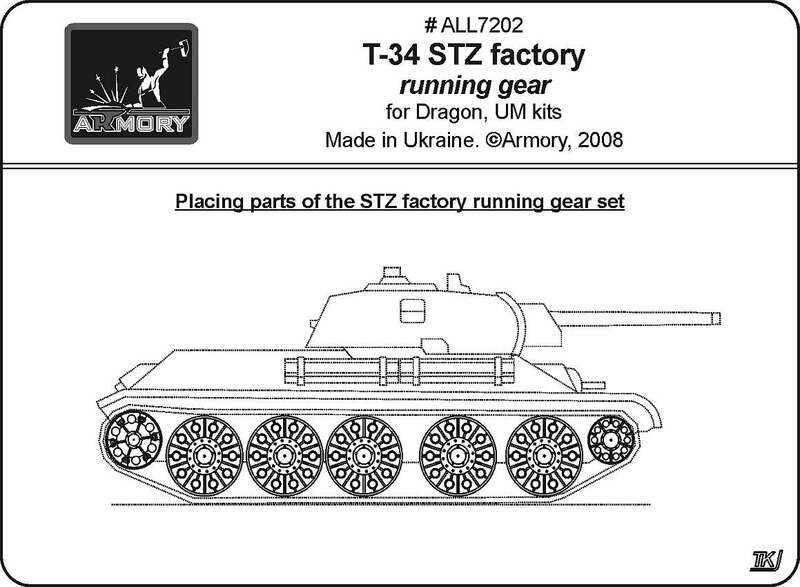 Kit AR ALL7202 - T-34 STZ Running Gear - for Dragon, UM kits. 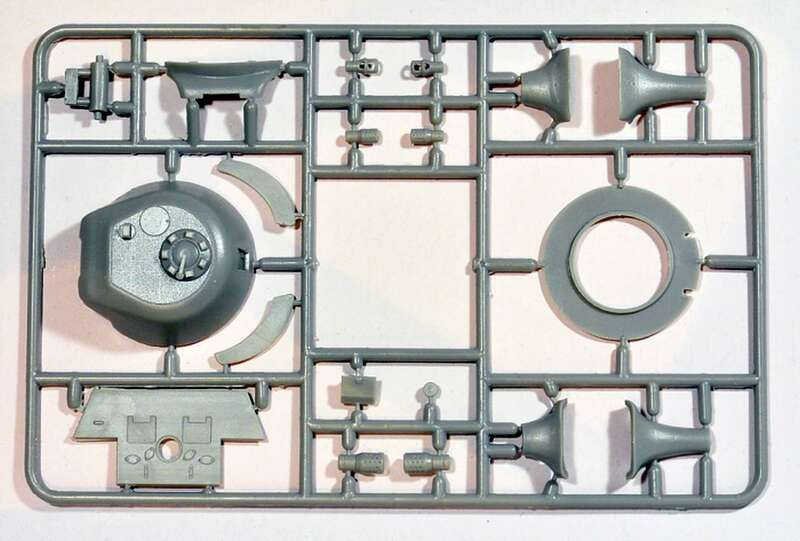 Kit AR ALL7203 - T-34 running gear - early 1943 - 4x half spider" roadwheels, 6x all-steel Stalingrad" roadwheels, all-steel idlers casted drive wheels w/o rollers for Dragon, UM kits. Kit AR ALL7204 - T-34 running gear - late 1943 - 6x half spiders roadwheels, 4x all-steel Stalingrad" roadwheels, all-steel idlers - for Dragon, UM kits. 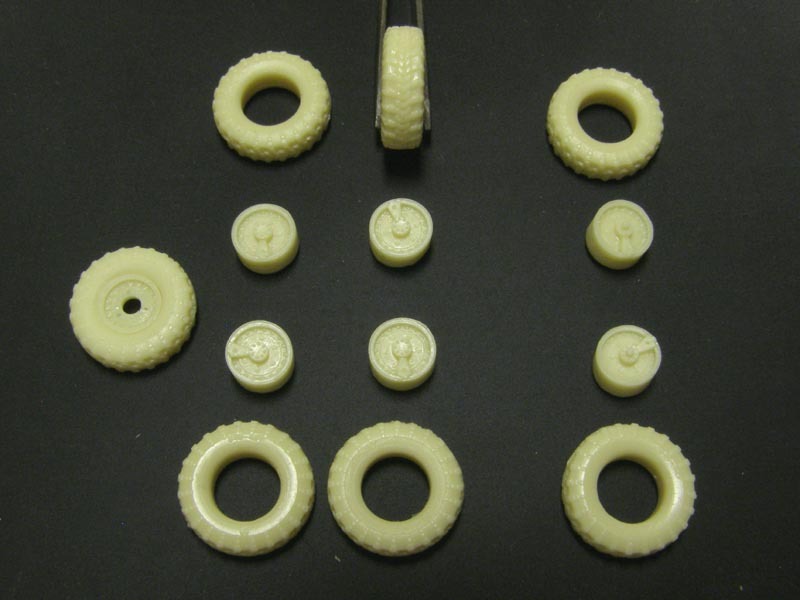 Kit AR ALL7205 - T-34/85 running gear - 6x early stamped roadwheels, 4x full-spiders roadwheels - for Dragon, UM kits. 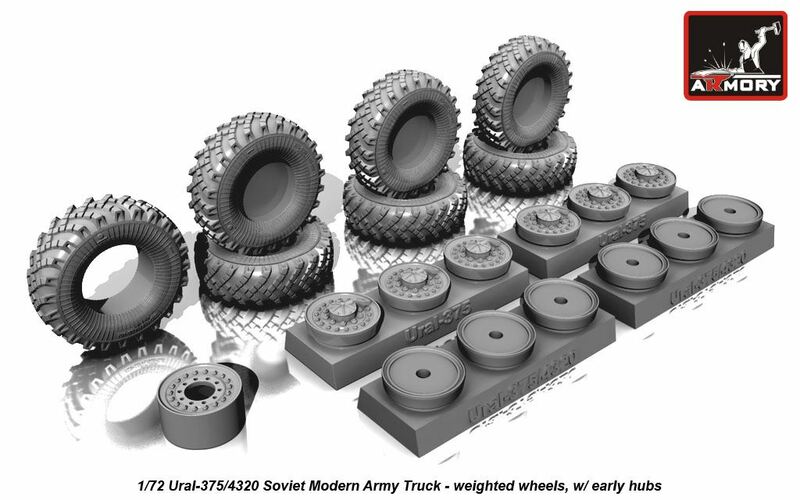 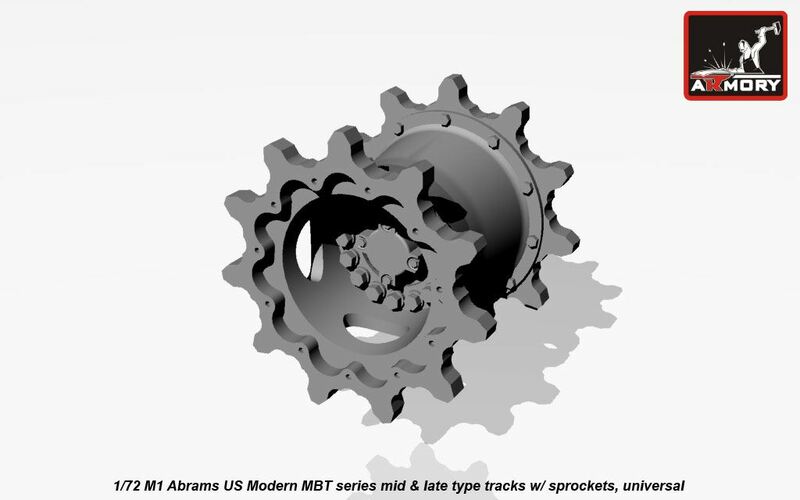 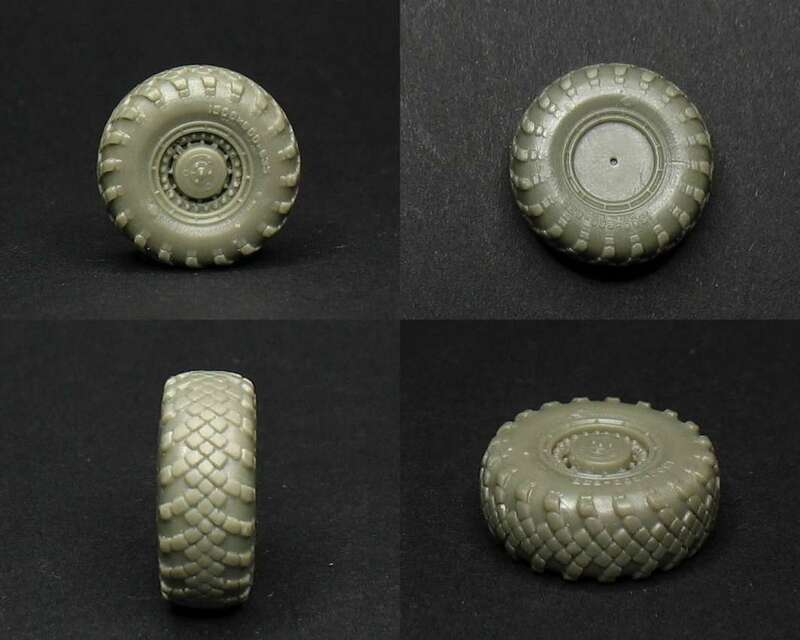 Kit AR ALL7206 - T-34 wild running gear - 2x all-steel Stalingrad" roadwheels, 2x "half-spiders casted roadwheels, 4x early stamped roadwheels, 2x late stamped roadwheels, 4x full spiders casted roadwheels - for Dragon, UM kits. 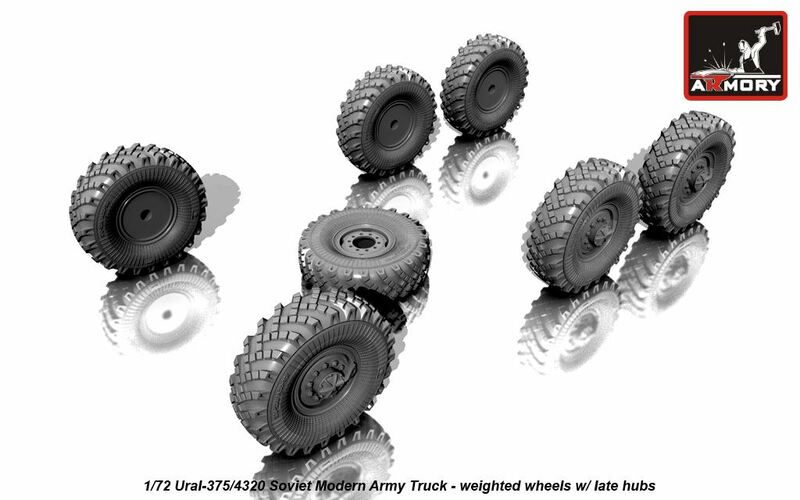 Kit AR ALL7207 - T-54/55< - running gear complete correction set spiders roadwheels, idlers. 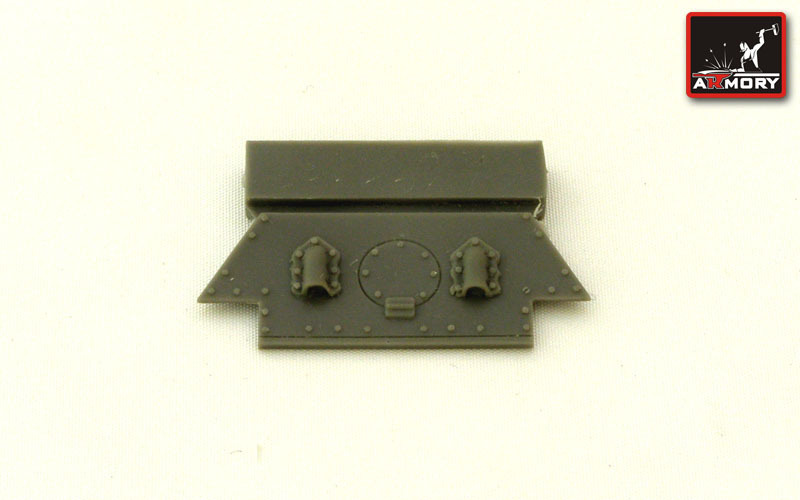 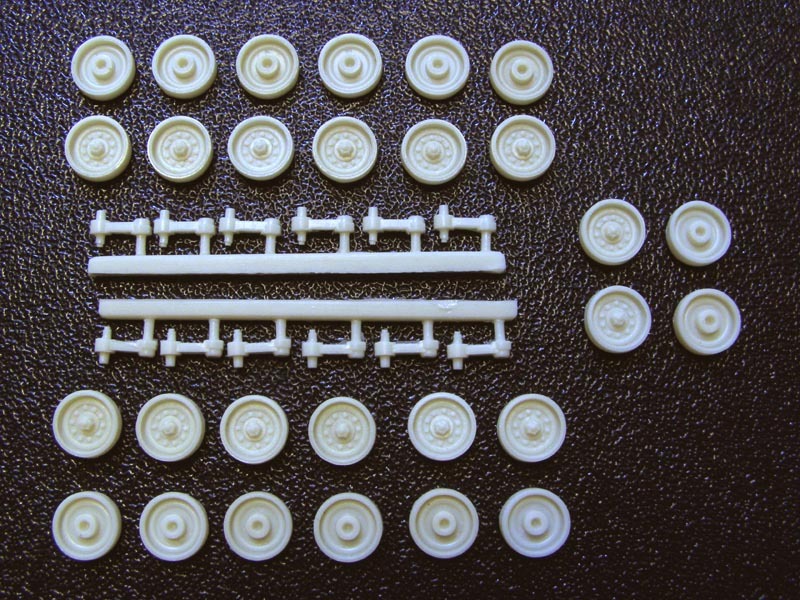 Kit AR MIN7201 - Char B1bis driver" hatch correction set for Trompeter kit. 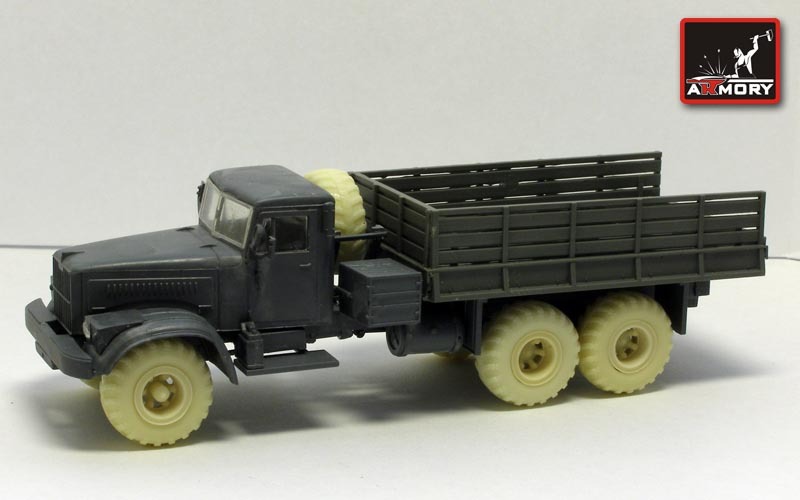 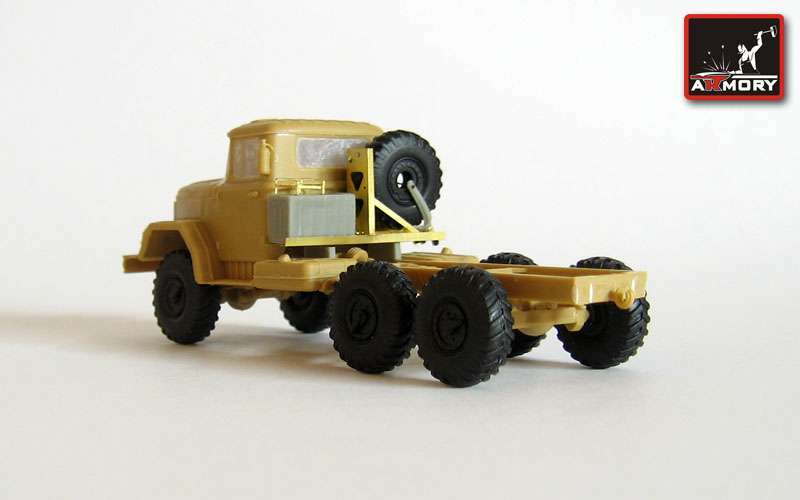 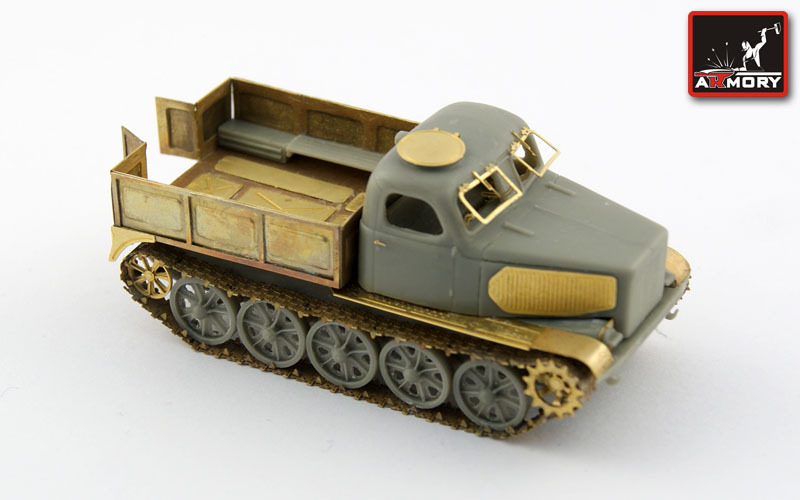 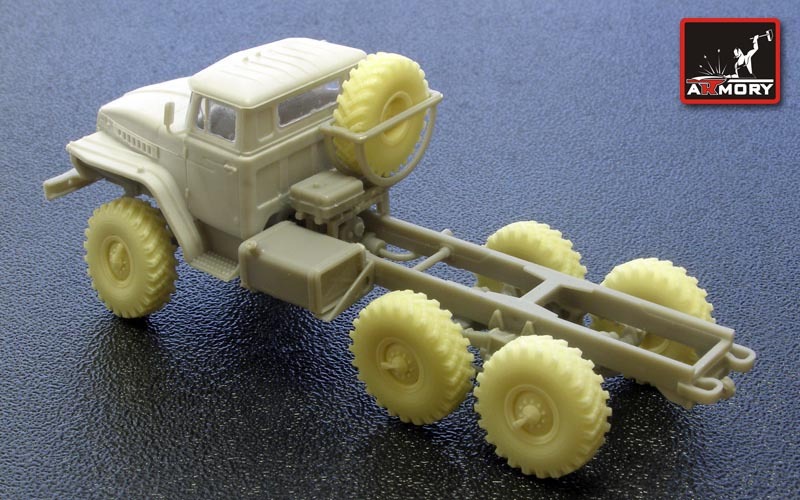 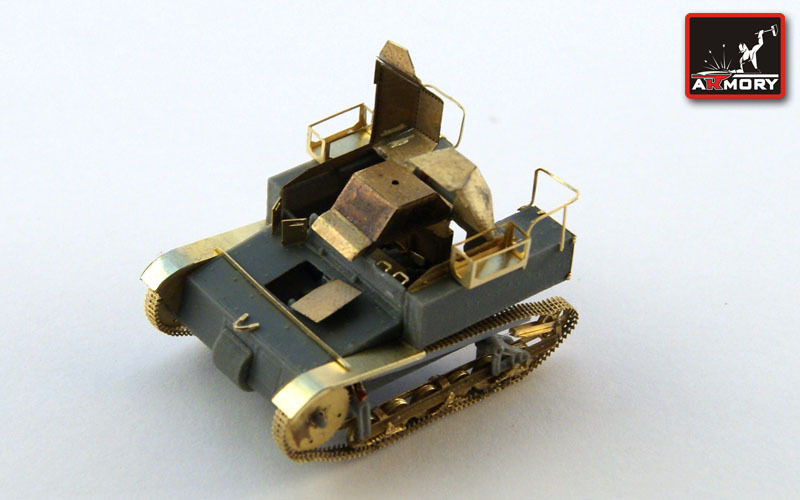 Kit AR MIN7202 - T-34 mod.1942-43 idlers. 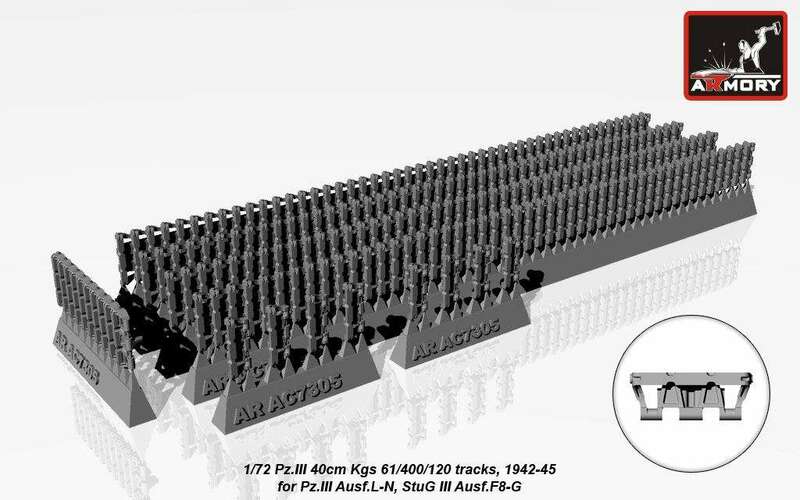 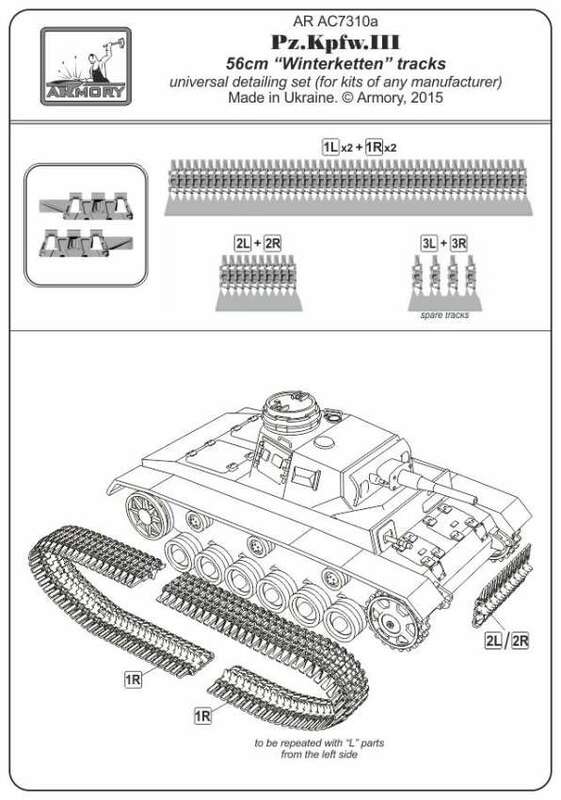 Kit Code: AR F72XX - Figures sets. 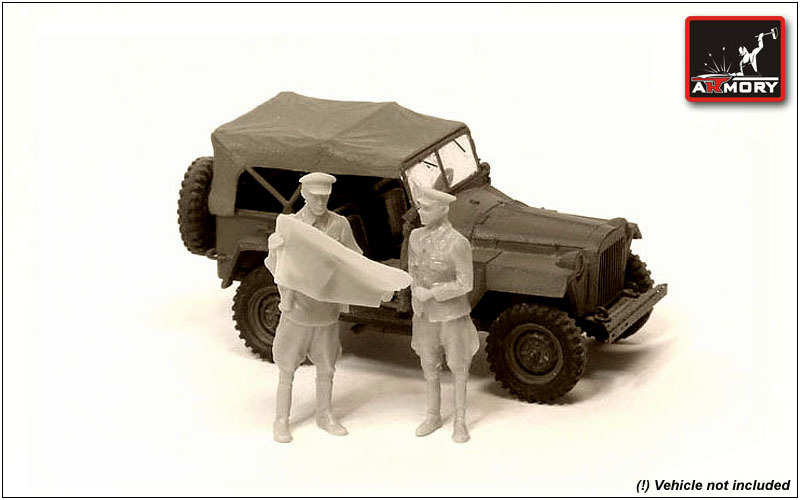 Kit AR F7201 - Soviet officers with map - WWII. 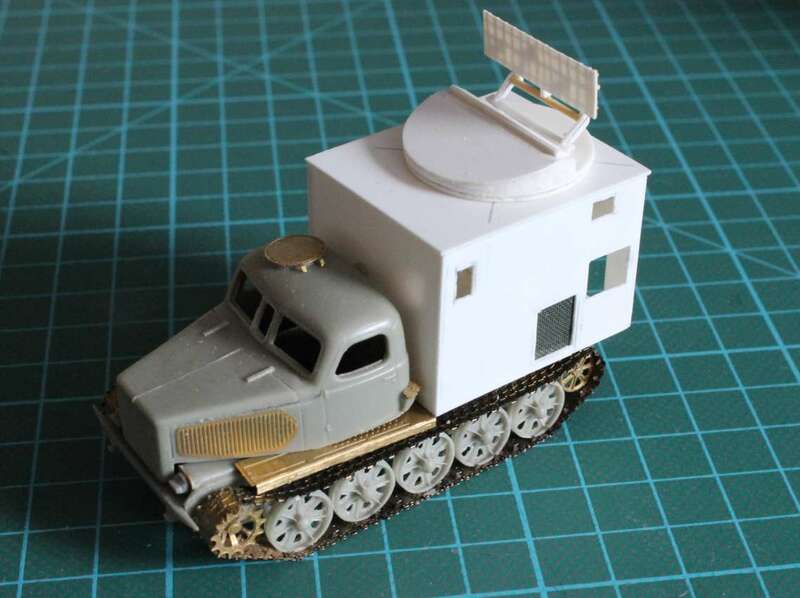 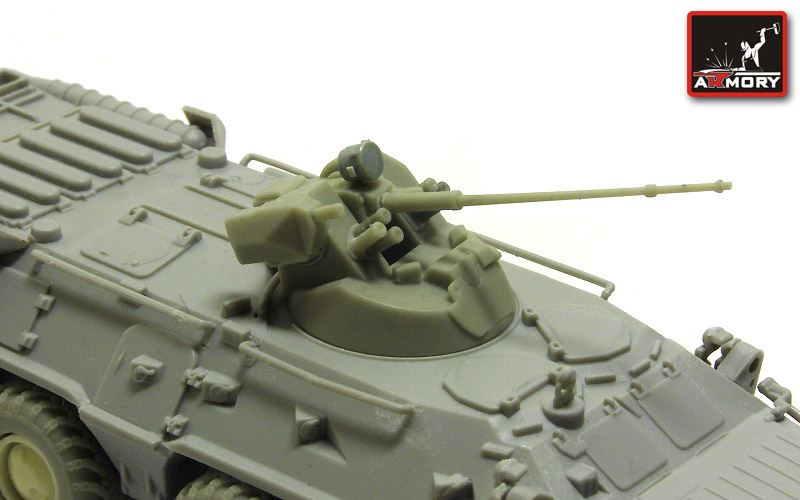 Kit AR F7202 - Soviet/Russian tank crew (modern). 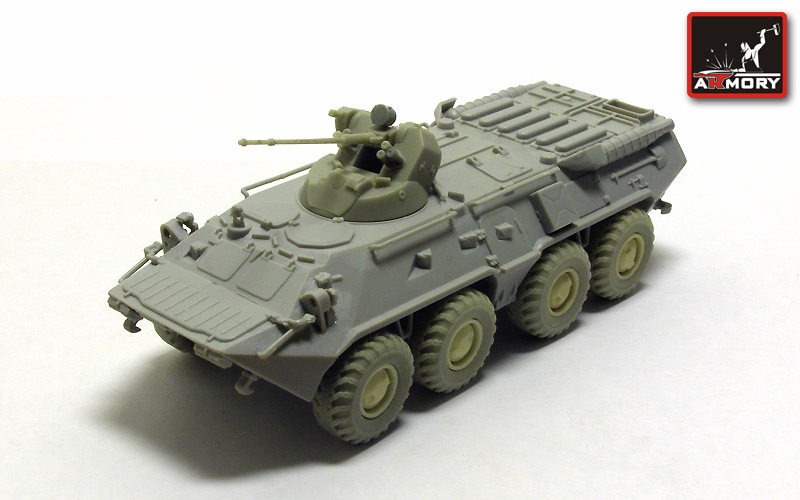 Kit AR F7203 - Soviet/Russian APC crew (modern). 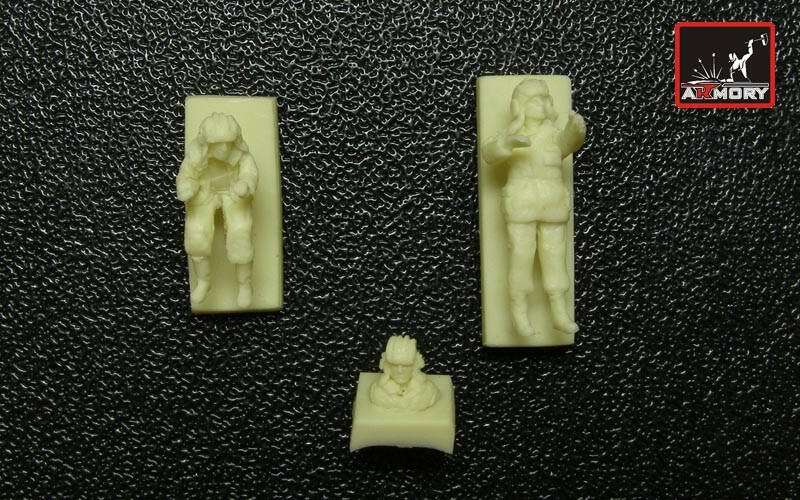 Kit AR F7207 - ZU-23-2 crew - 3 figures. 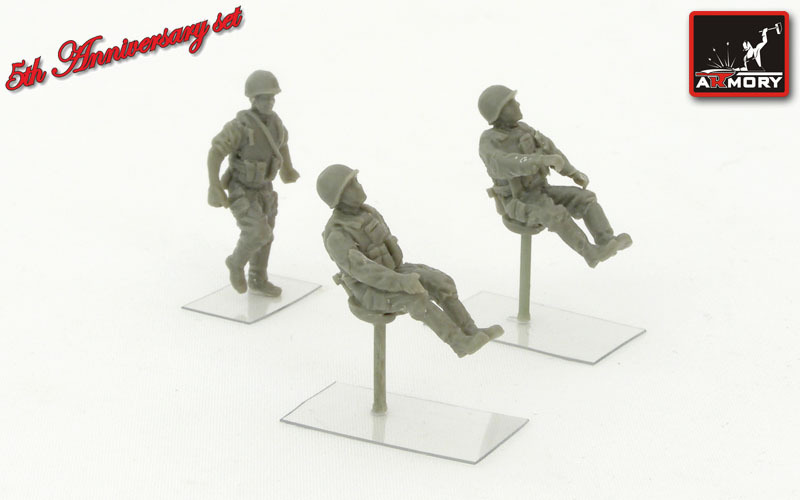 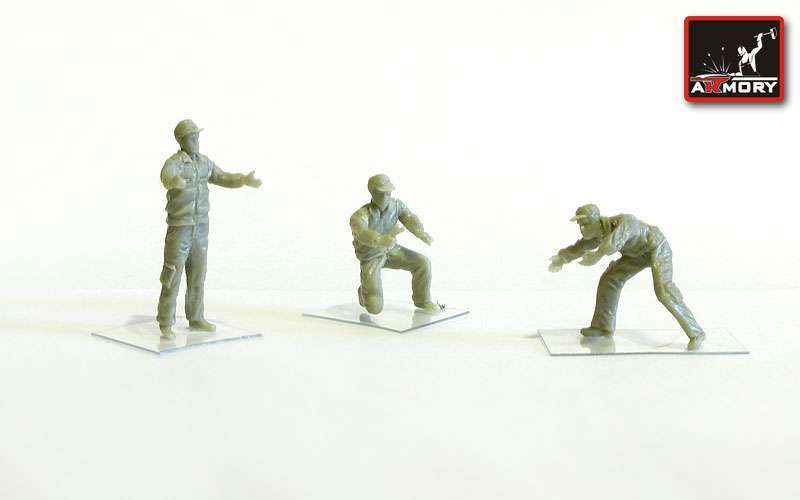 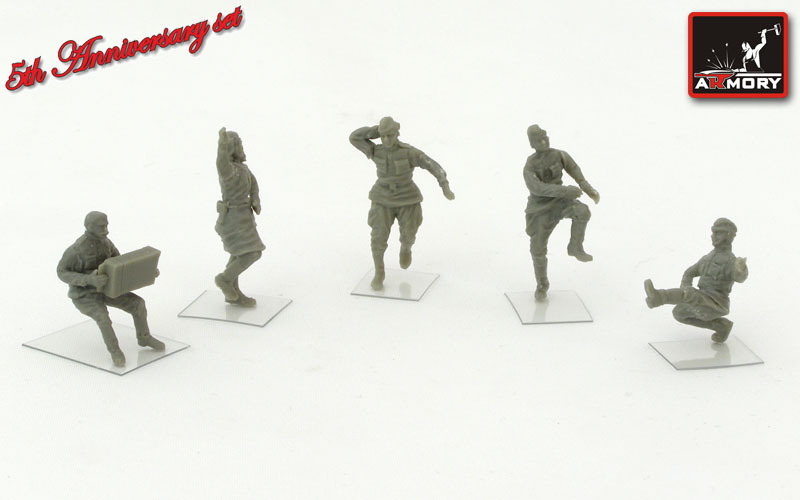 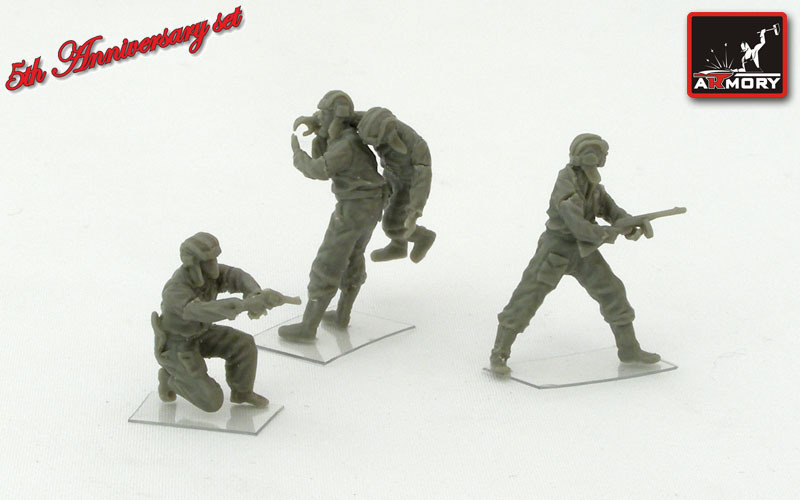 Kit AR F7214 - Soviet/Russian modern airfield ground personnel (3 figures). 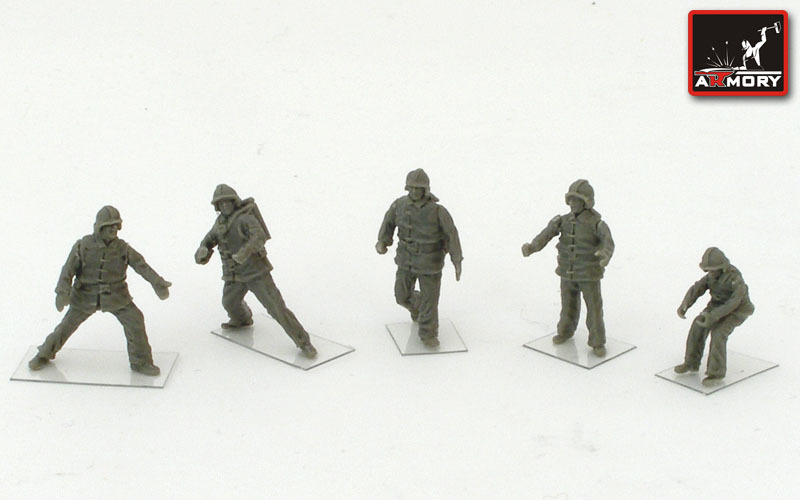 Kit AR F7215 - Soviet/Russian Airfield firefighters (modern) - 5 figures. 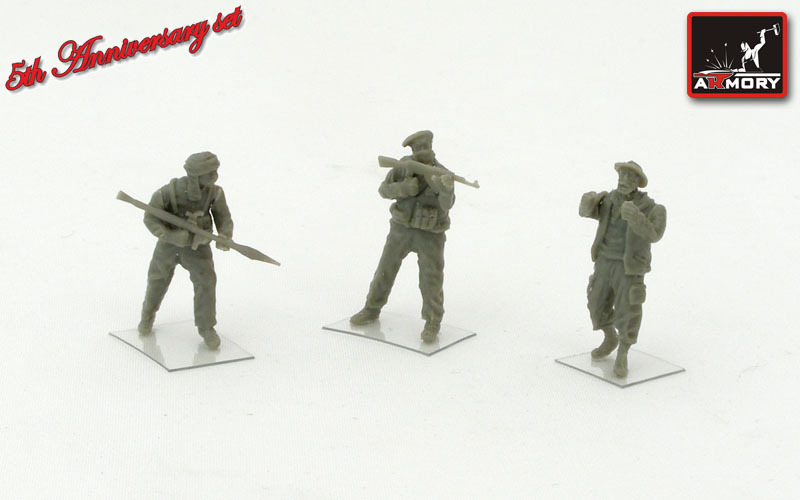 Kit AR F7219 - Libyan rebels - 3 figures. 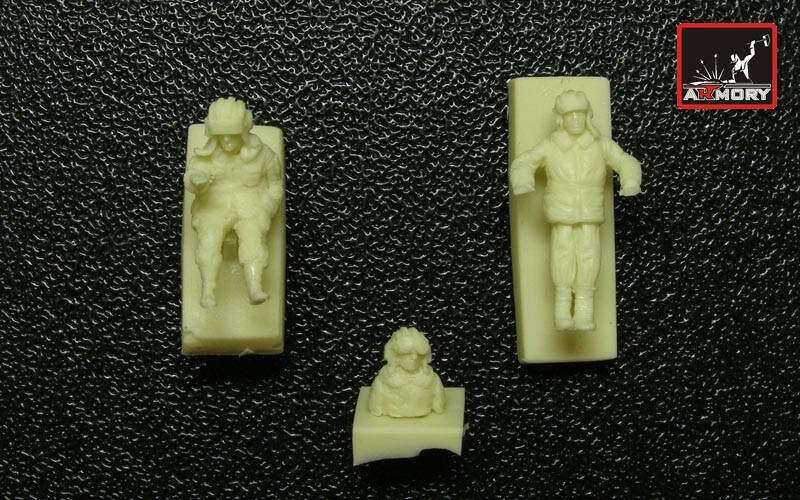 Kit AR F7220 - T-34 crew evacuation - 4 figures. 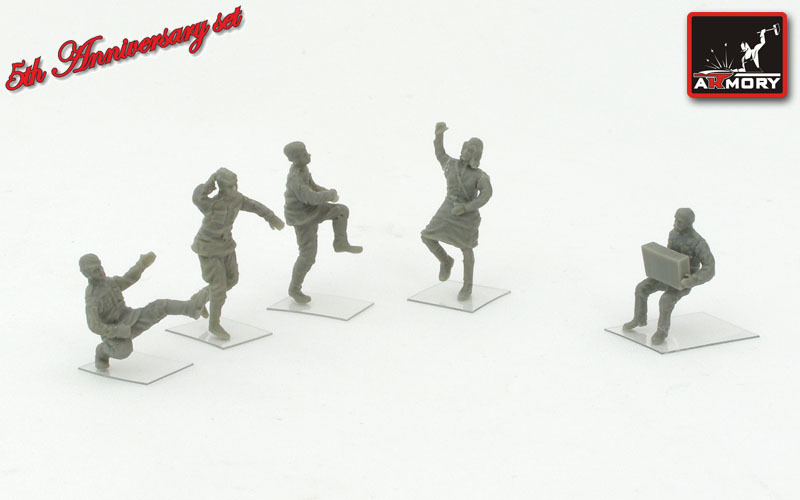 Kit AR F7221 - Soviet soldiers at party - 5 figures. 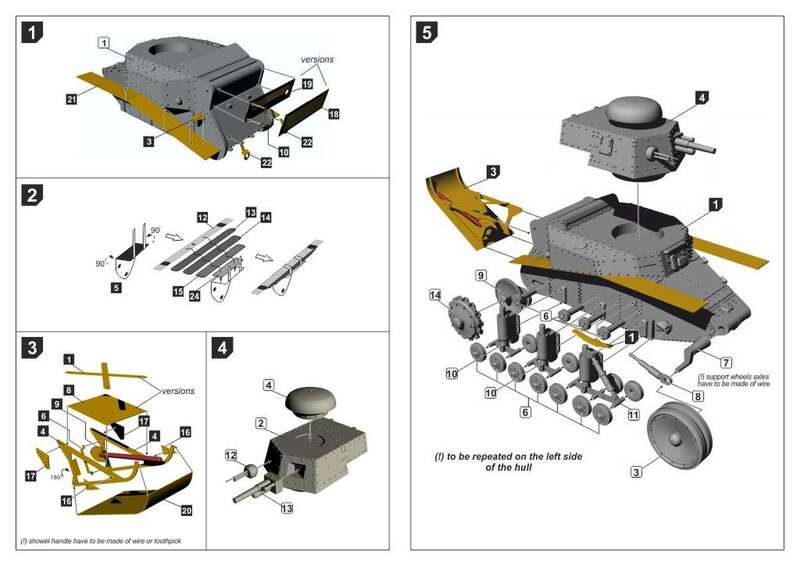 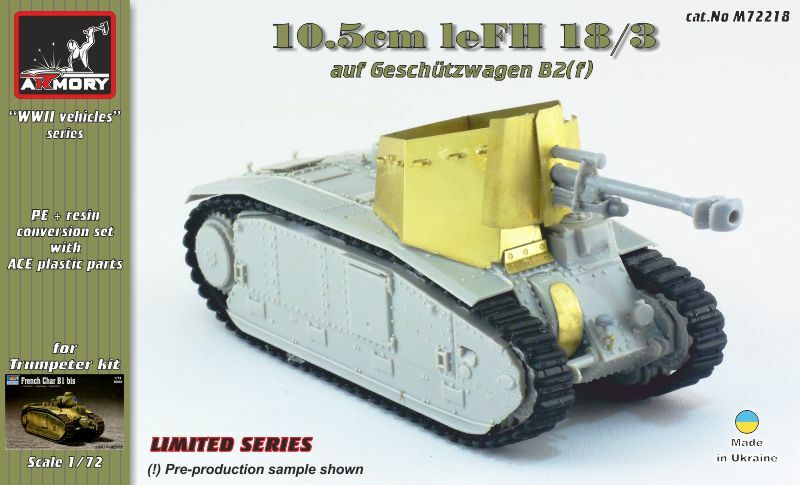 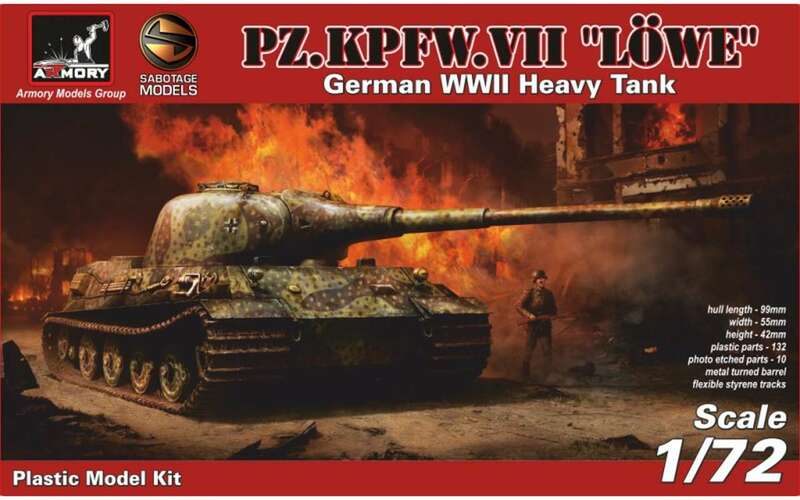 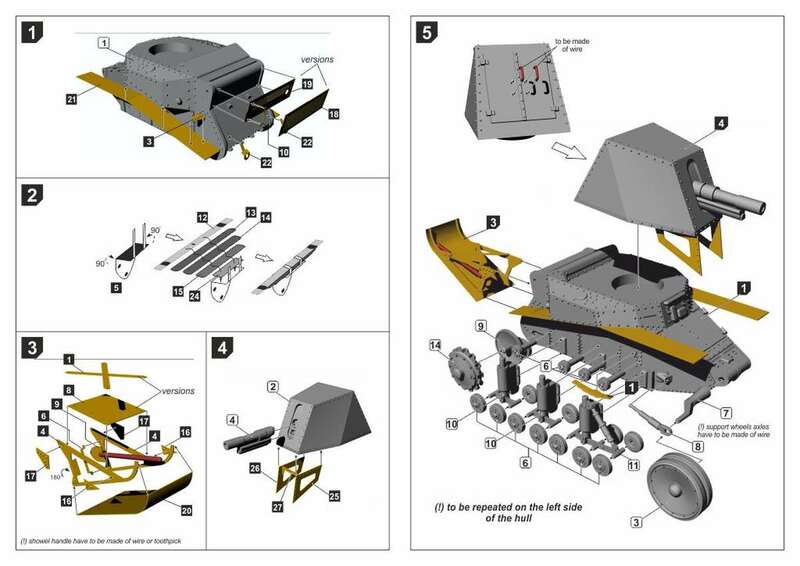 Kit AR72201 - Pz.VII Lowe - German WWII heavy prototype tank (full plastic kit). 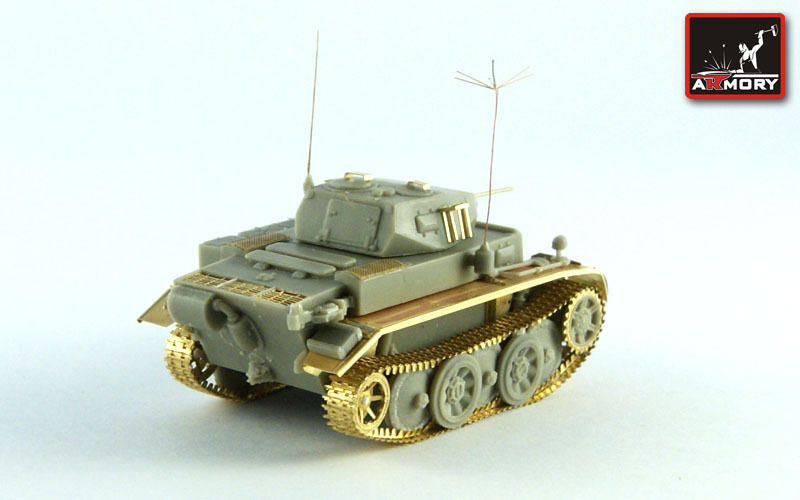 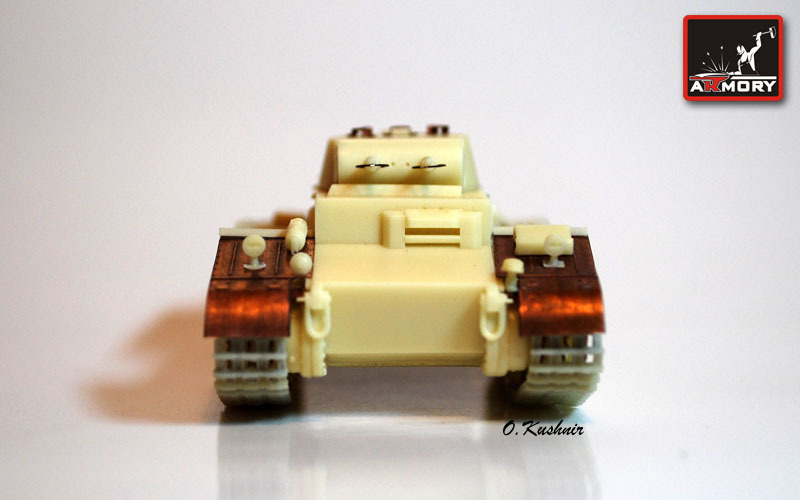 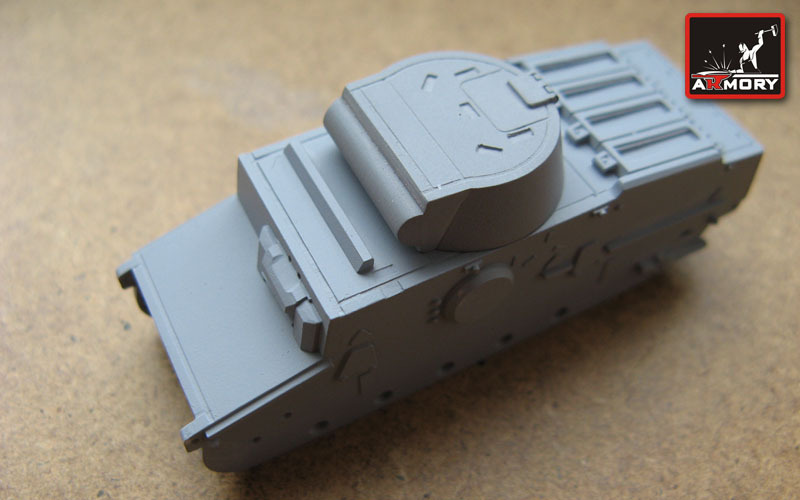 Kit AR72203 - Panzer II Ausf. 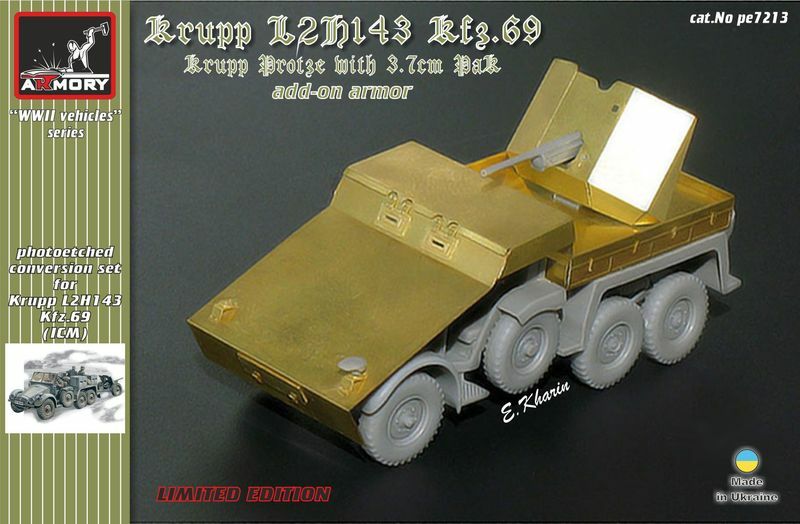 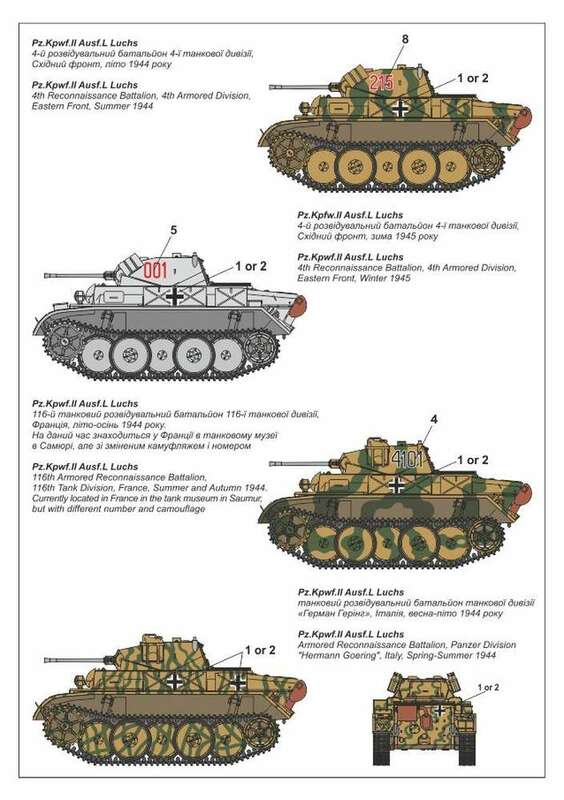 L "Luchs" - (early and late) (full plastic kit). 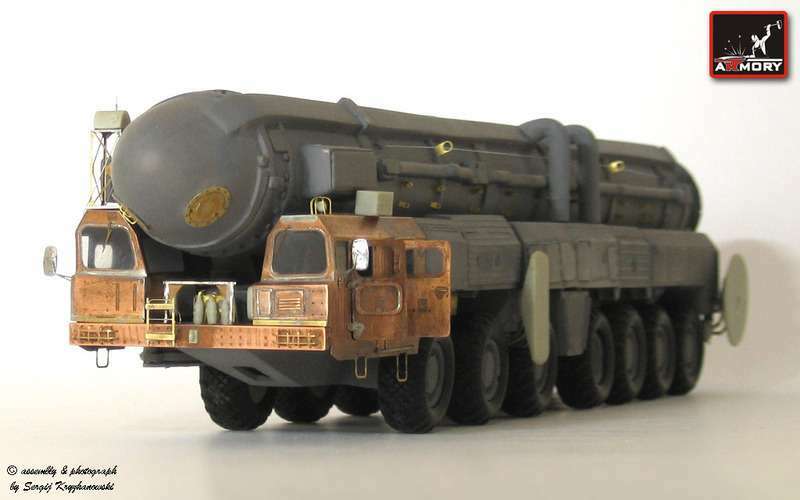 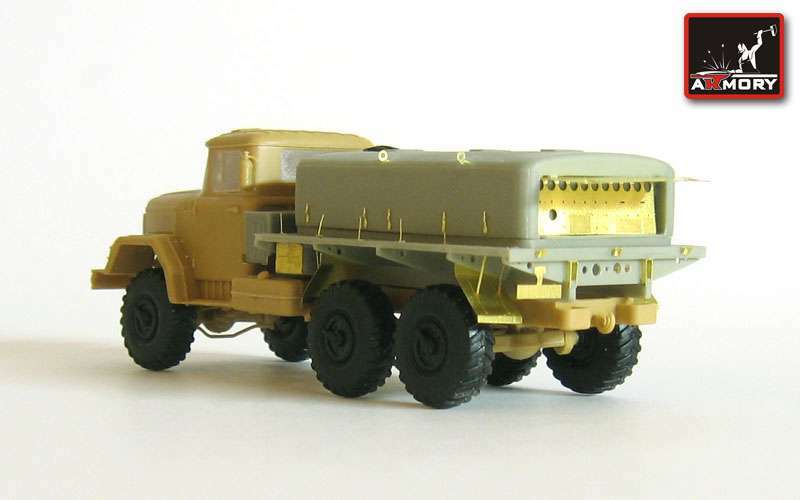 Kit Code: AR M721XX - "Support Vehicles"
Kit AR M72101 - AT-T Soviet heavy artillery prime-mover (full kit). 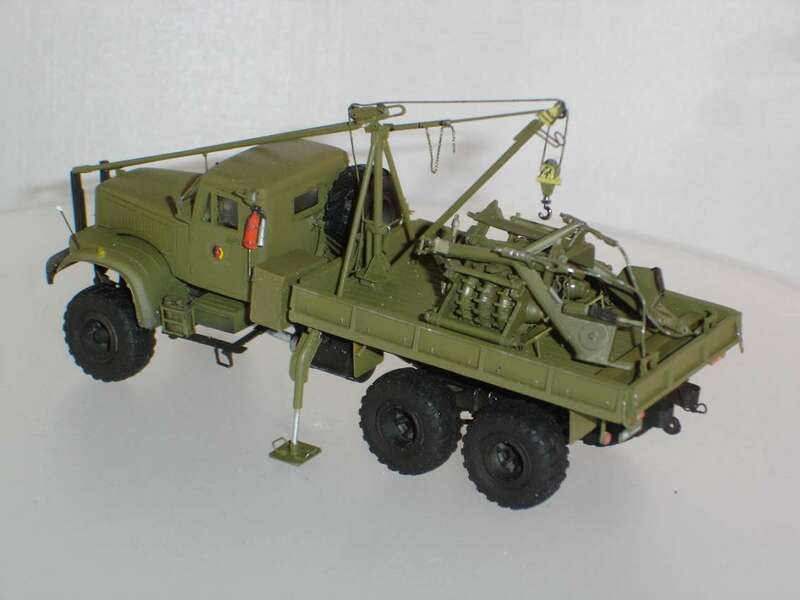 Kit AR M72102 - AT-L light artillery prime-mover. 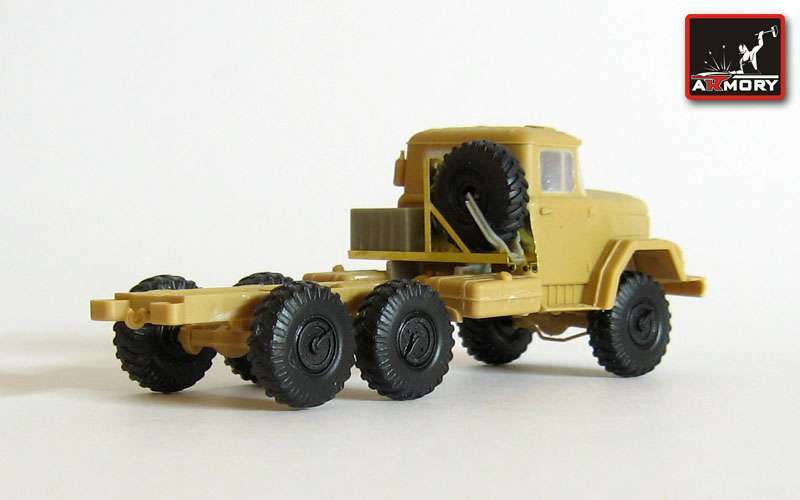 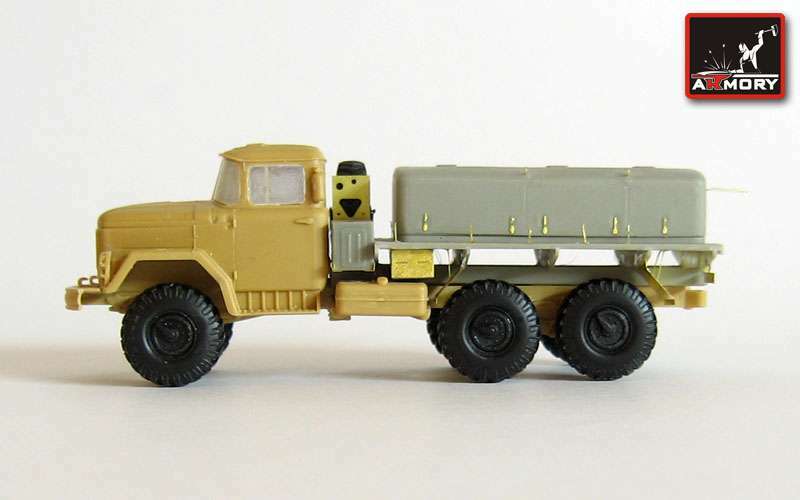 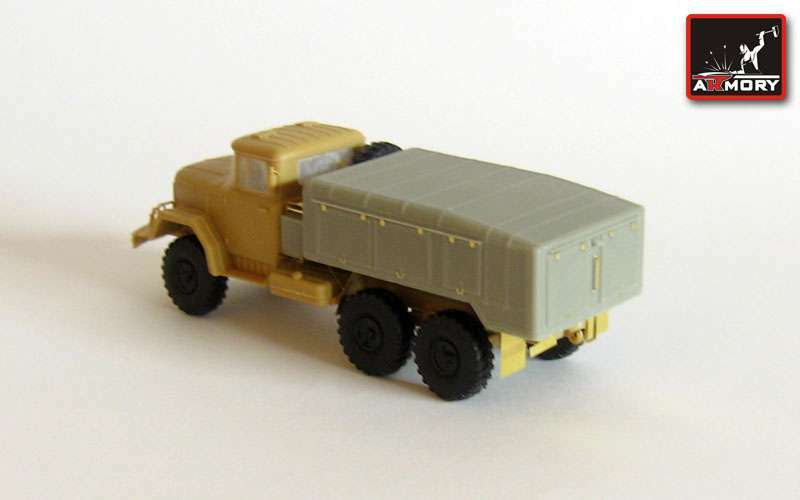 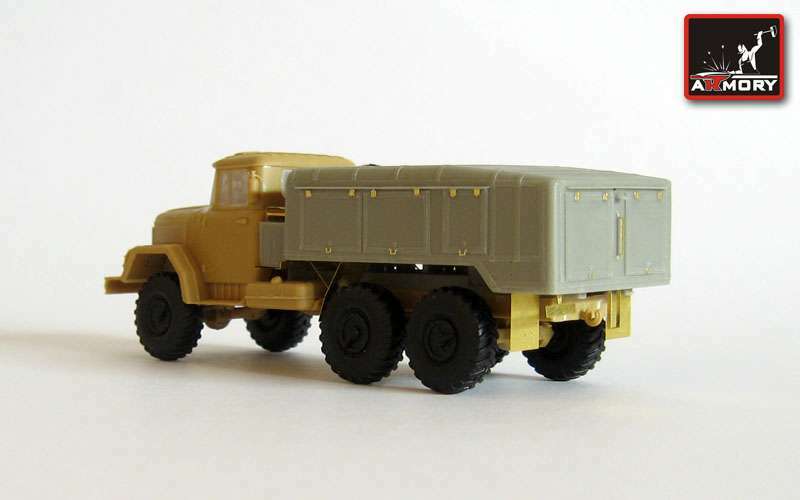 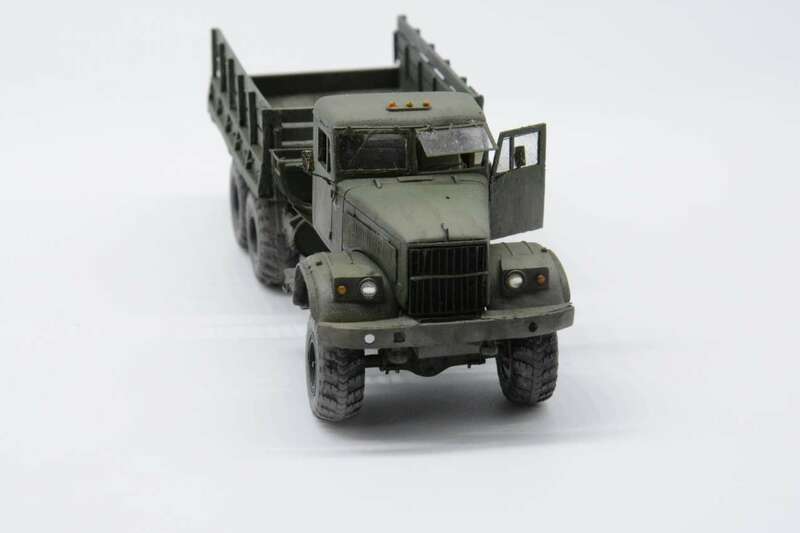 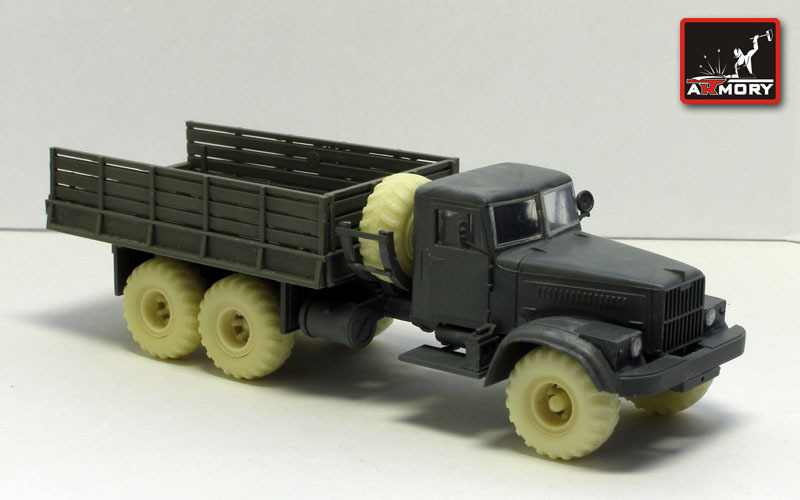 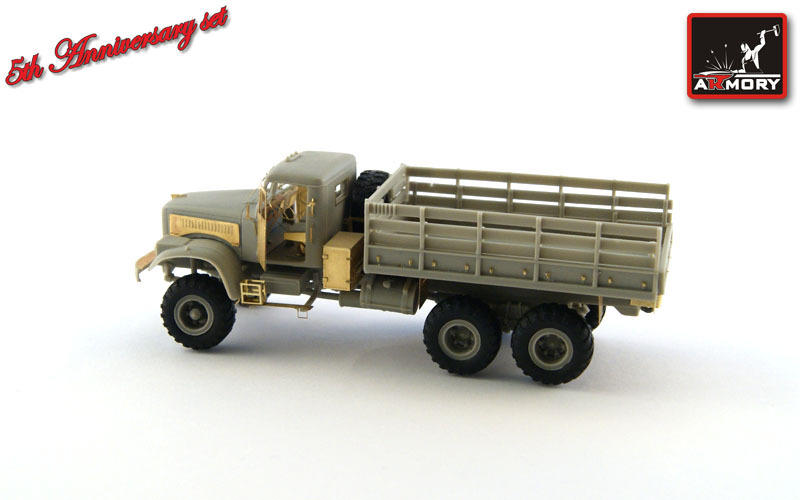 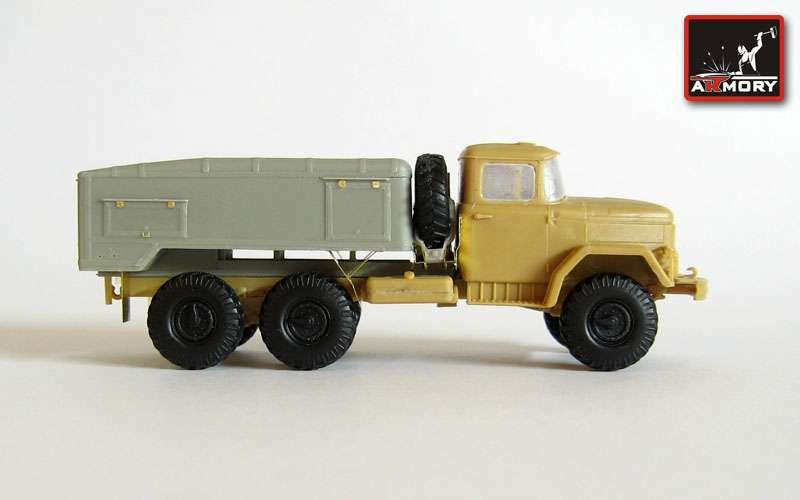 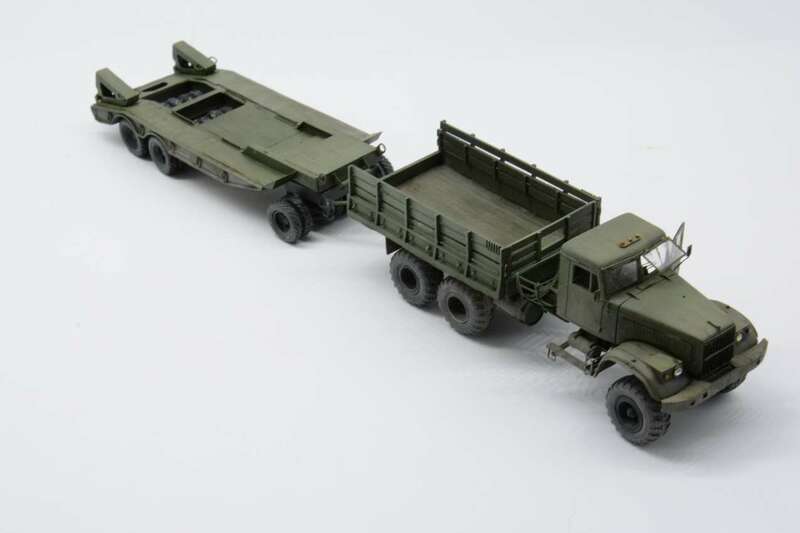 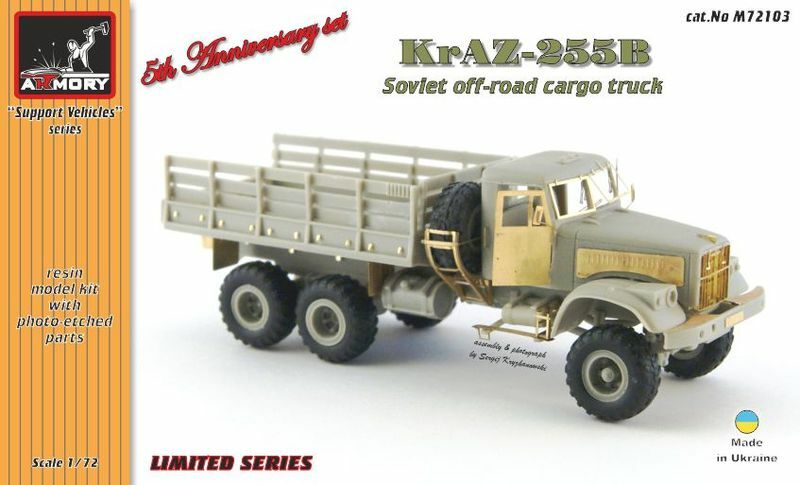 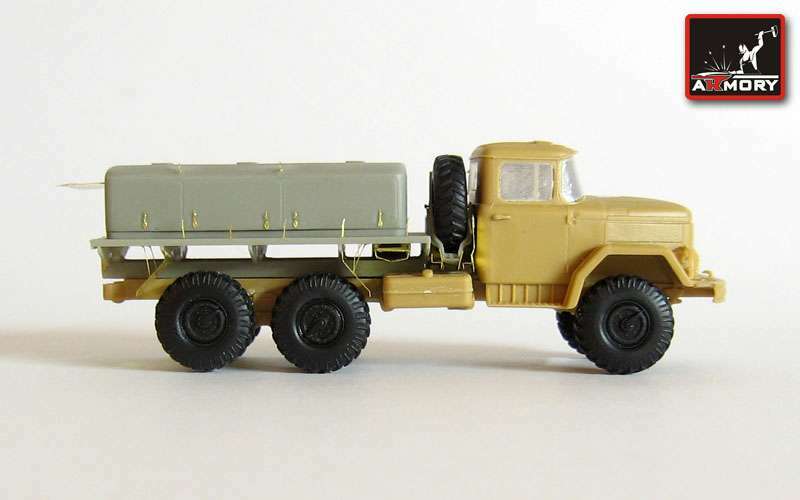 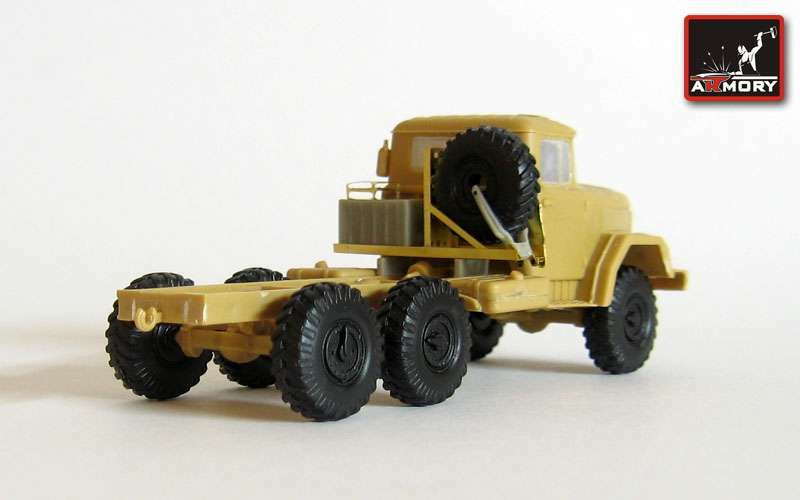 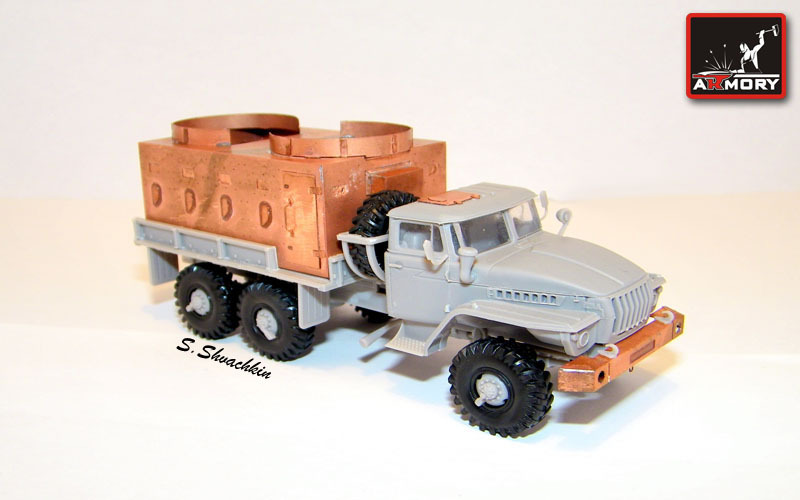 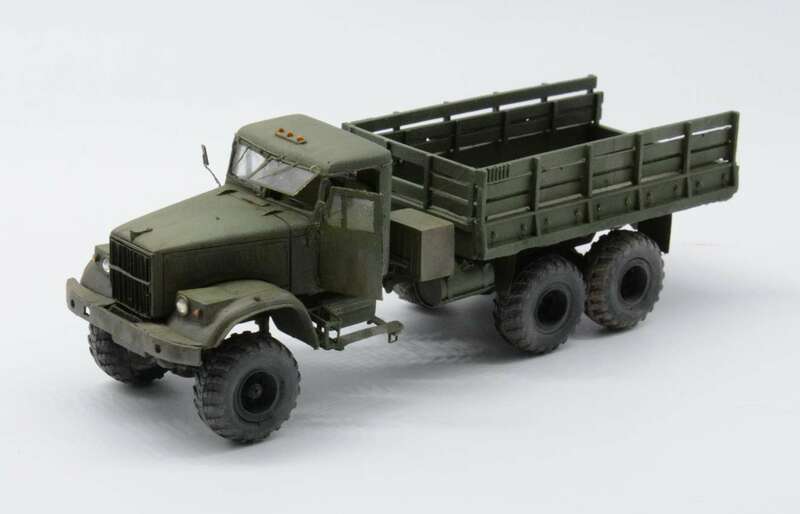 Kit AR M72103 - KrAZ-255B Soviet off-road cargo truck. 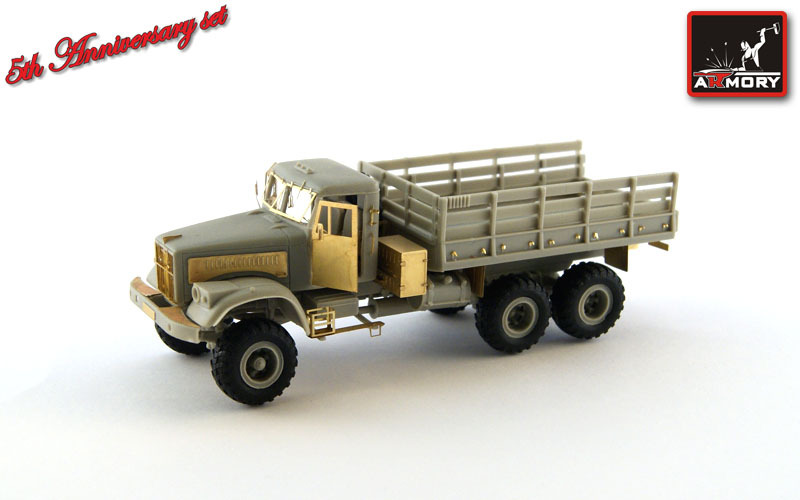 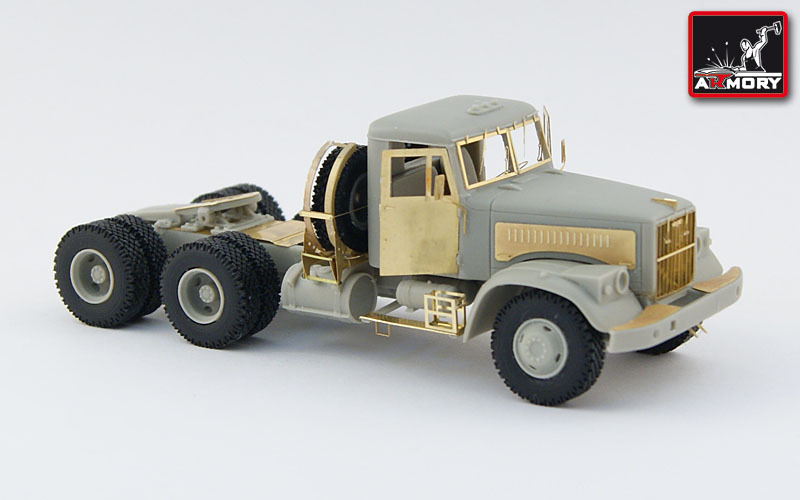 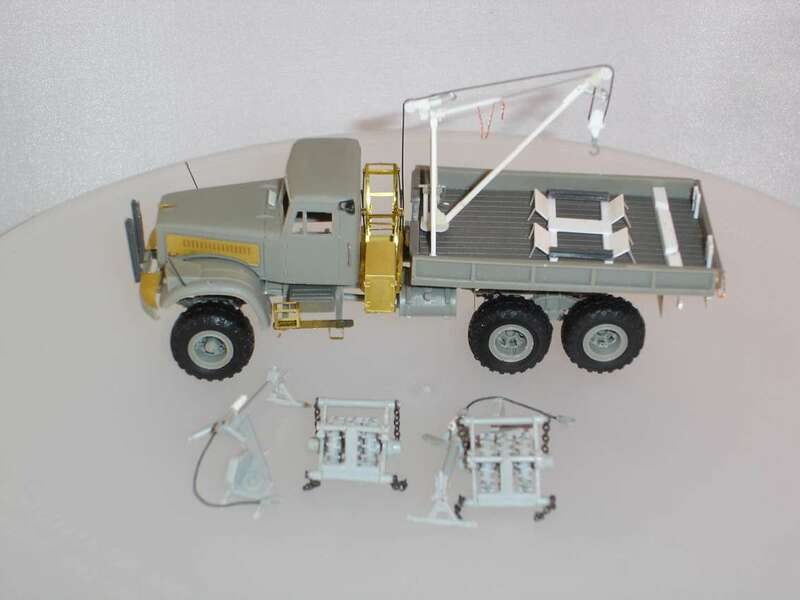 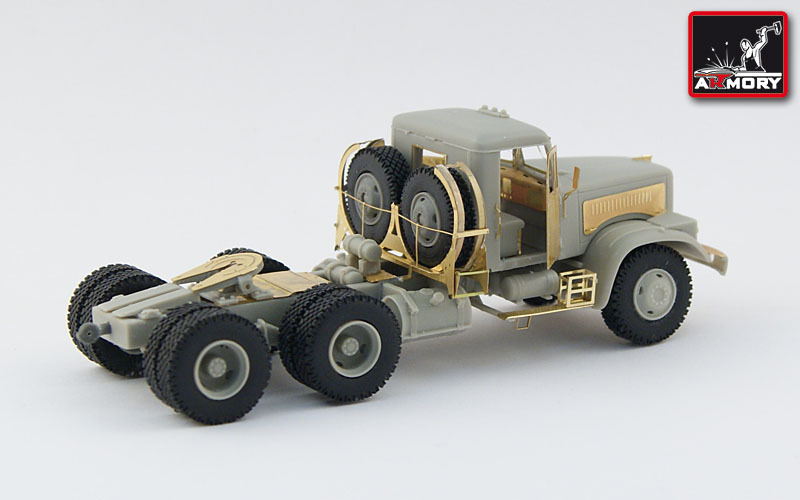 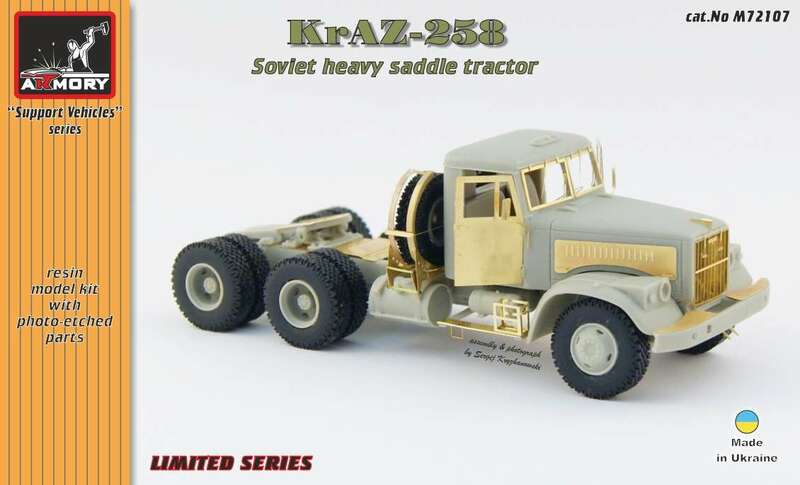 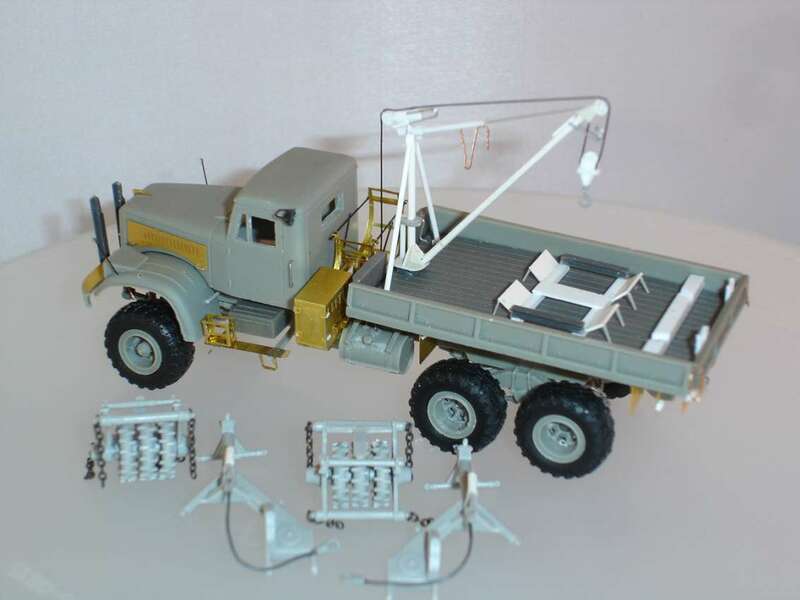 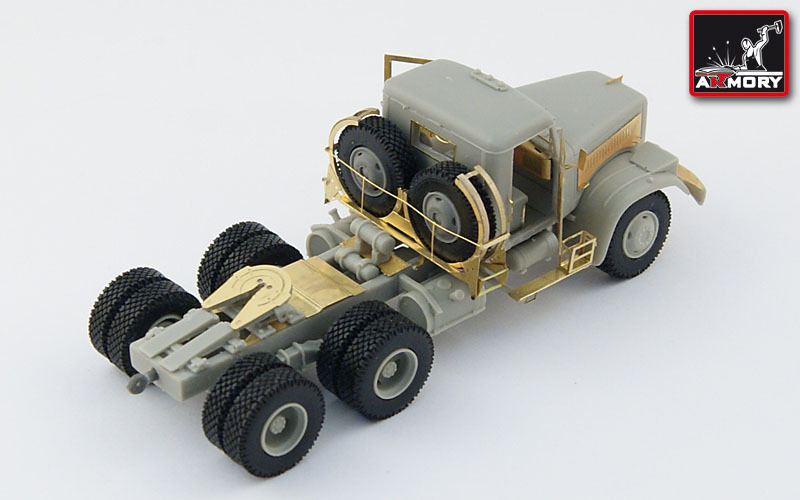 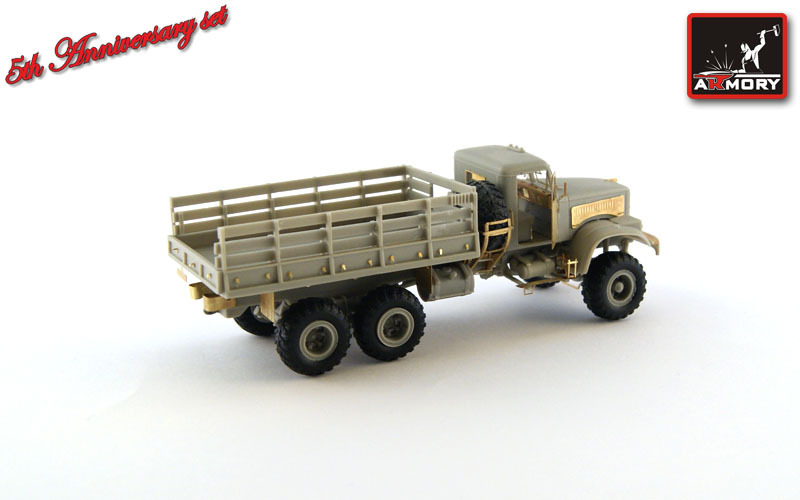 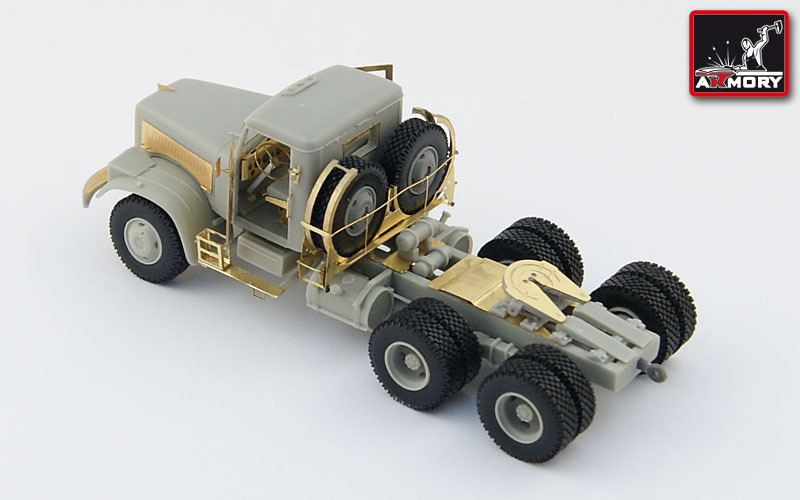 Kit AR M72107 - KrAZ-258 saddle tracktor (full kit). 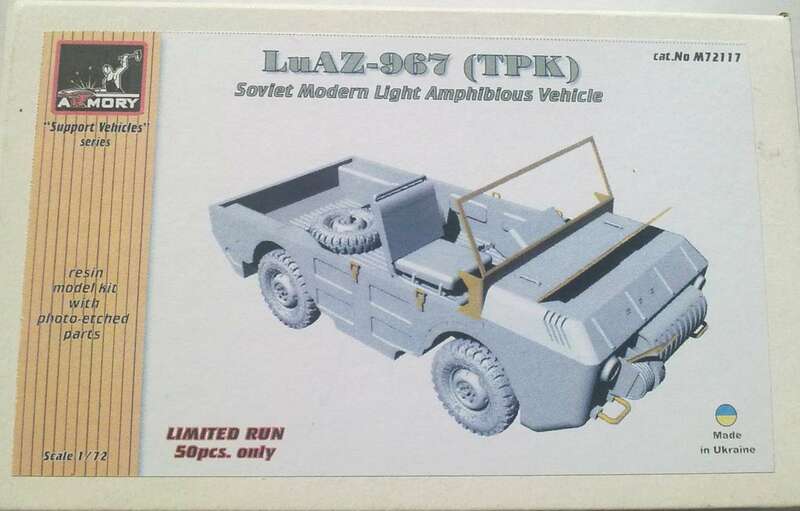 Kit AR M72117 - TPK (LuAZ-967) - early version - Limited Edition. 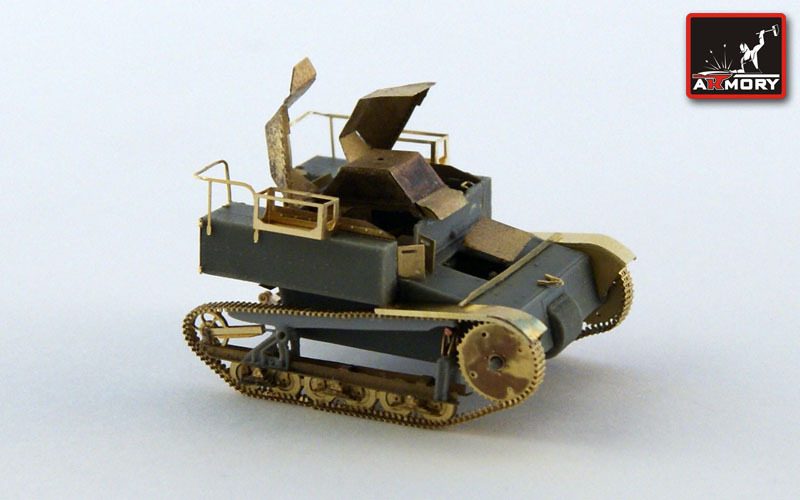 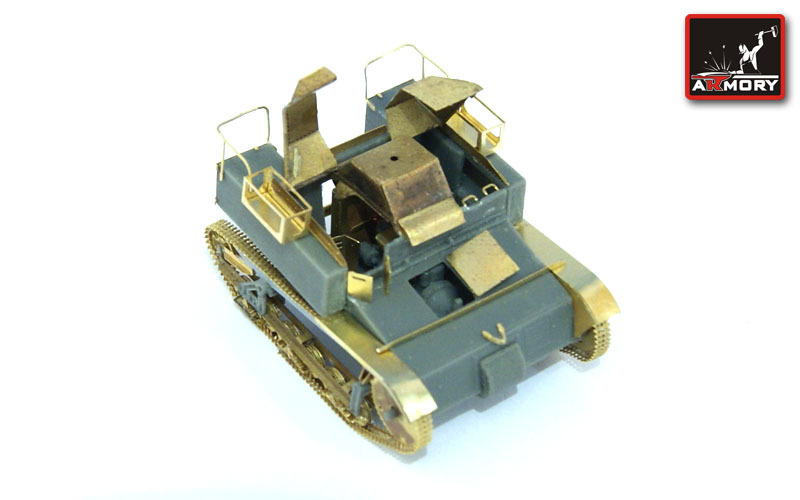 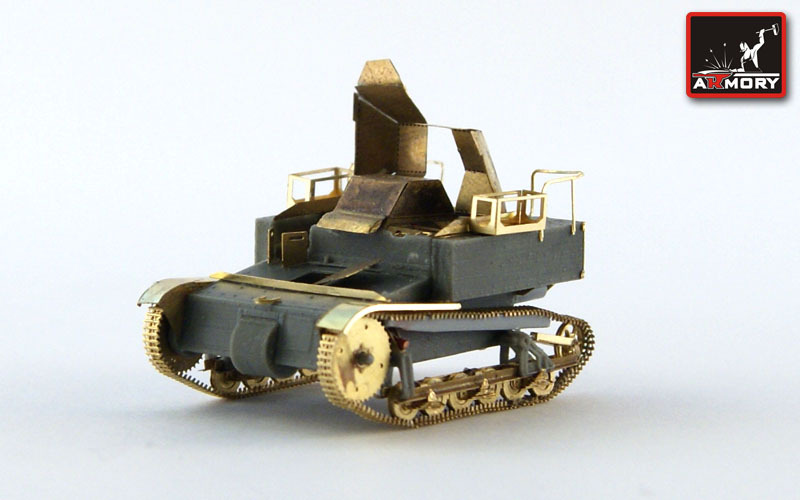 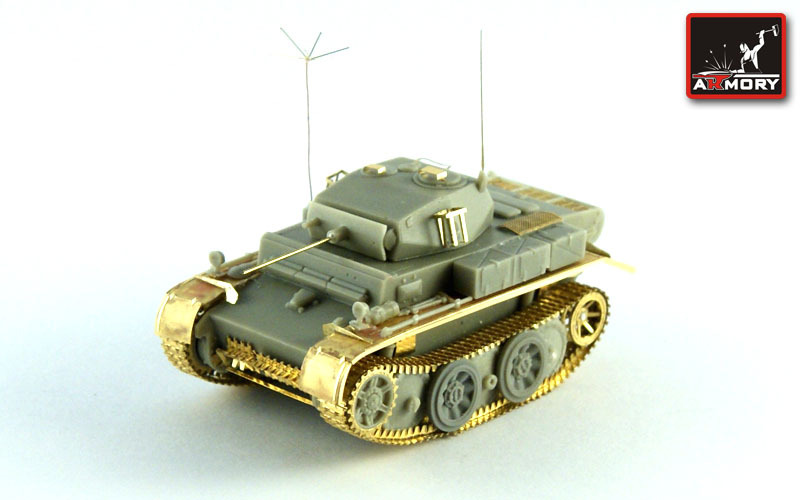 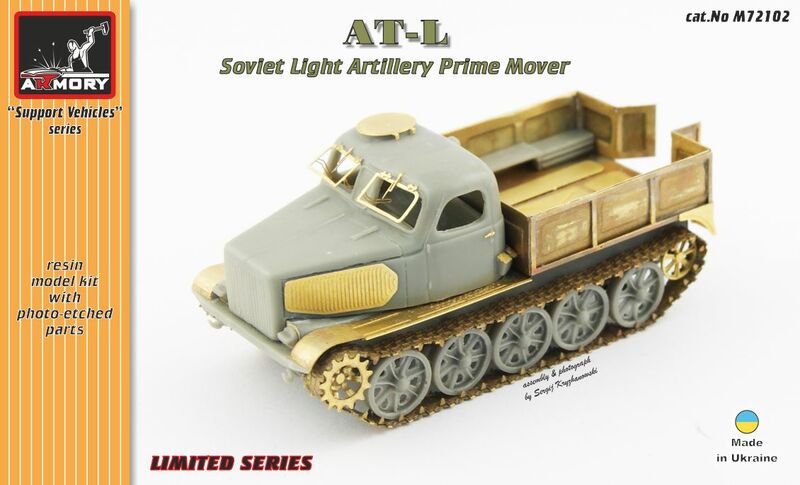 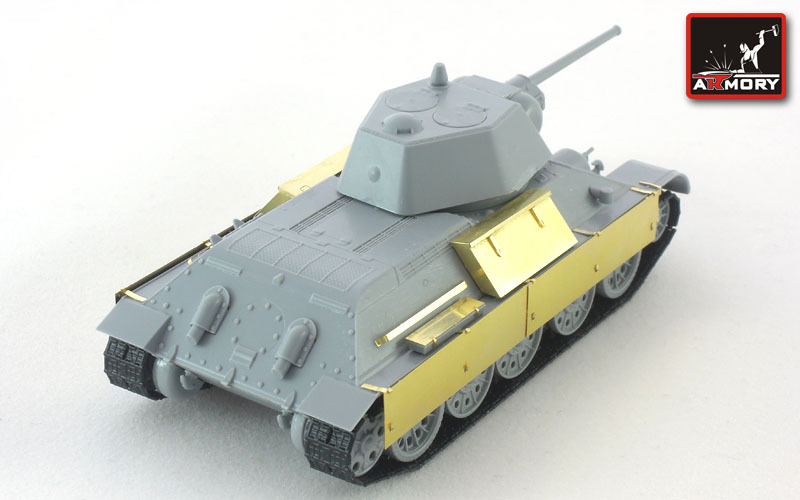 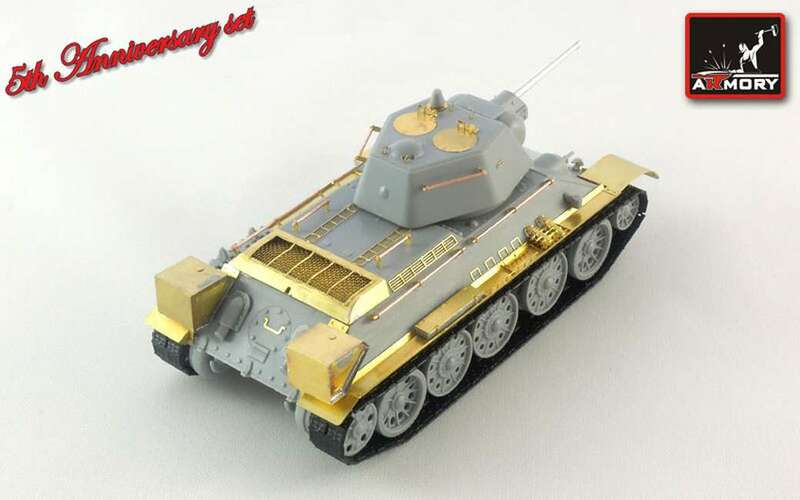 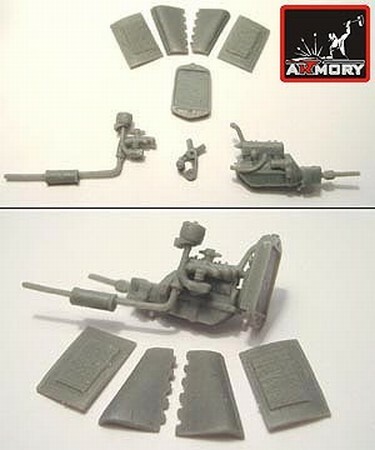 Kit Code: AR M722XX - "WWII Vehicles"
Kit AR M72201 - T-27 light tank. 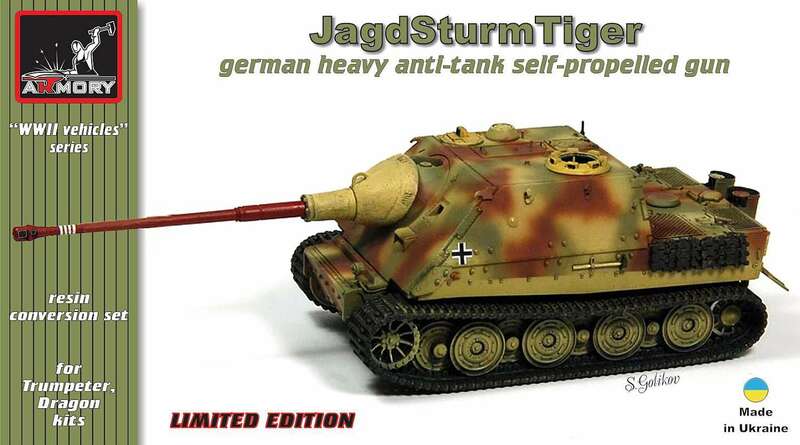 Kit AR M72203 - Jagd Sturmtiger German heavy antitank SPG (conversion set for Dragon, Trumpeter kits). 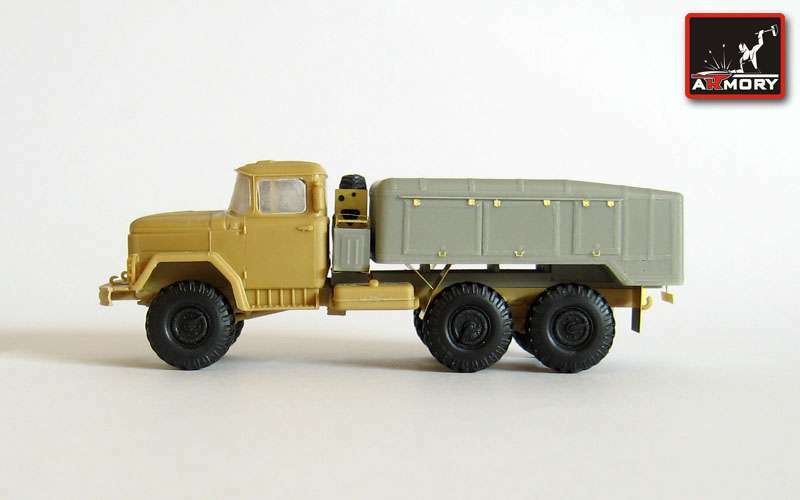 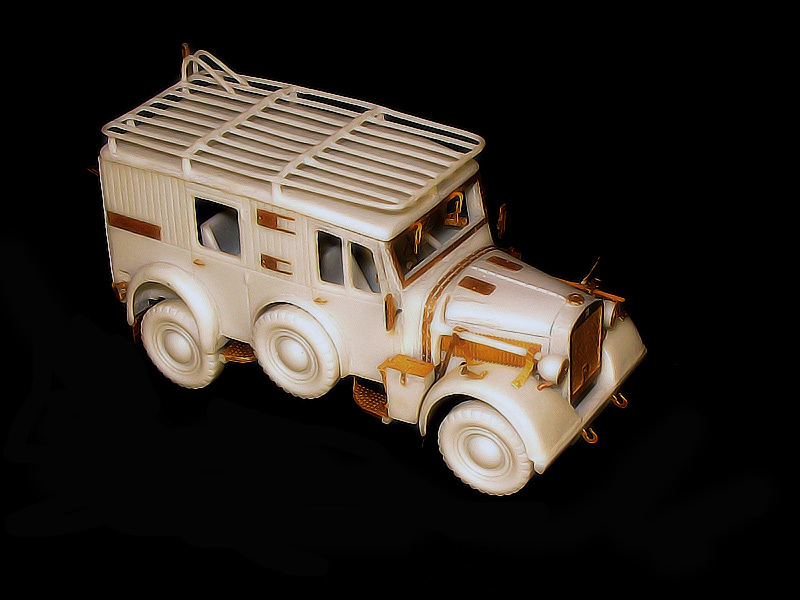 Kit AR M72204 - GAZ-AA autozaks Soviet militia prisoners transporter. 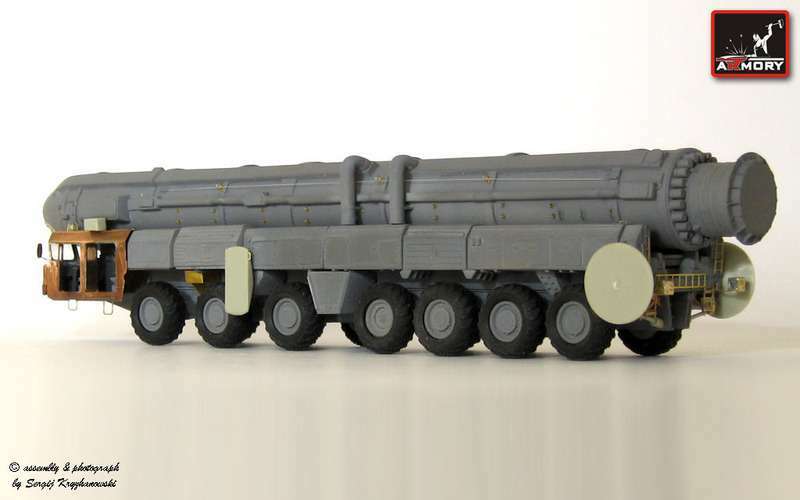 Kit AR M72210 - Pz. 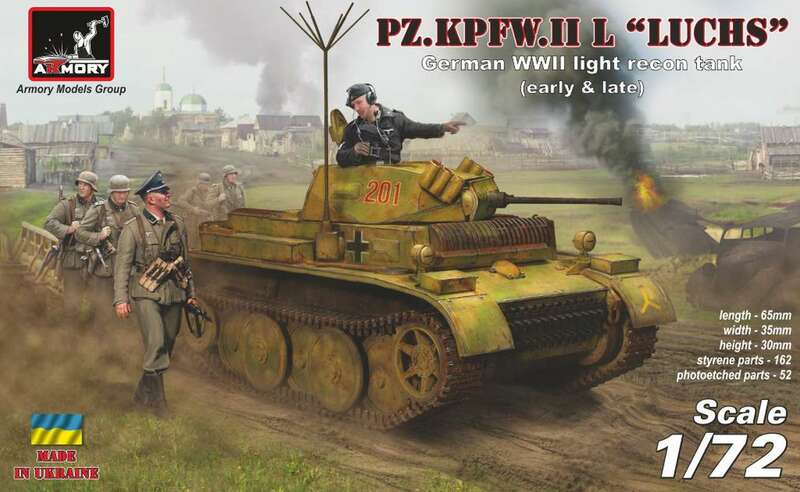 Kpfw. 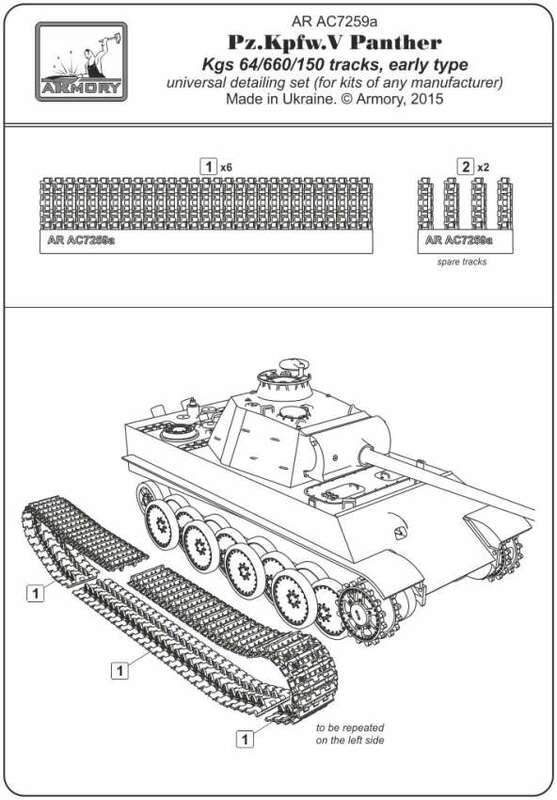 II Ausf. 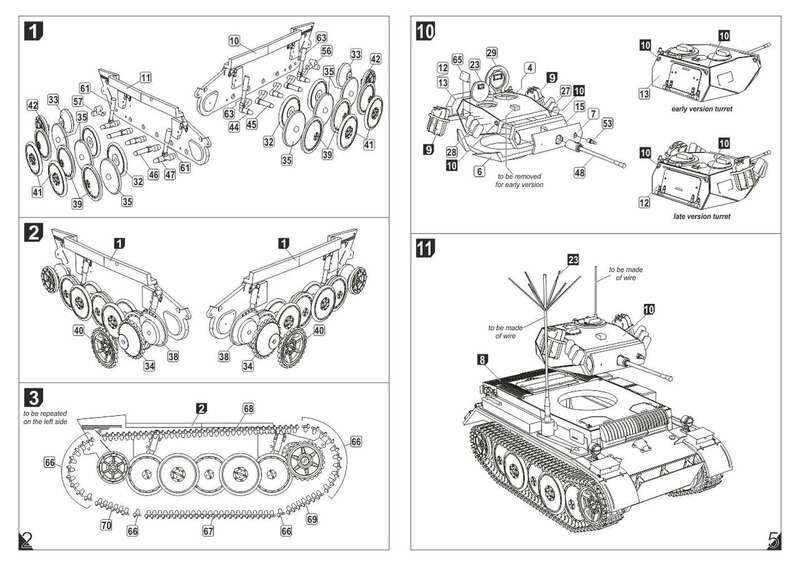 Luchs. 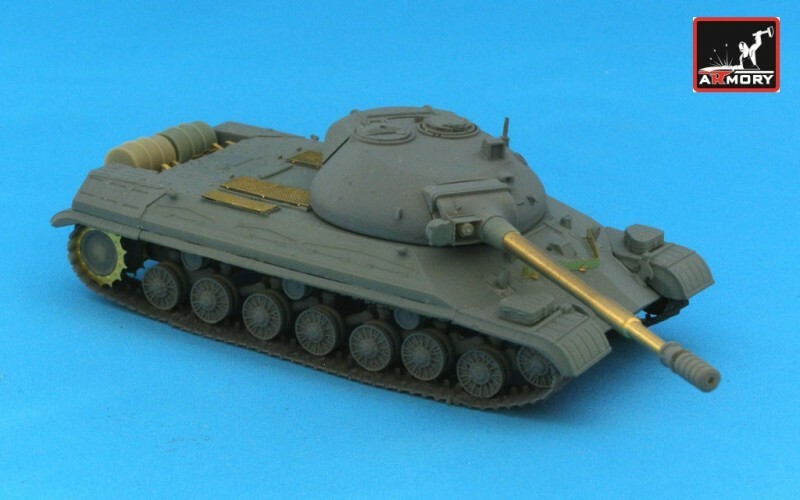 Kit AR M72211 - T-18 (MS-1) - Soviet 1st serial light tank. 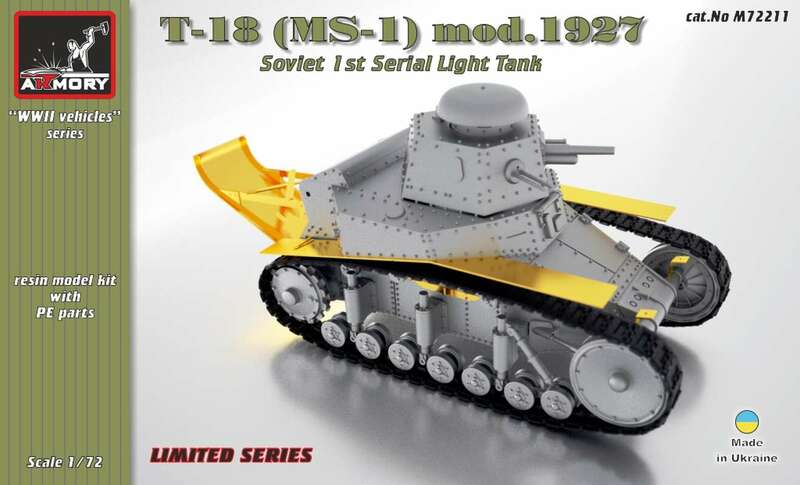 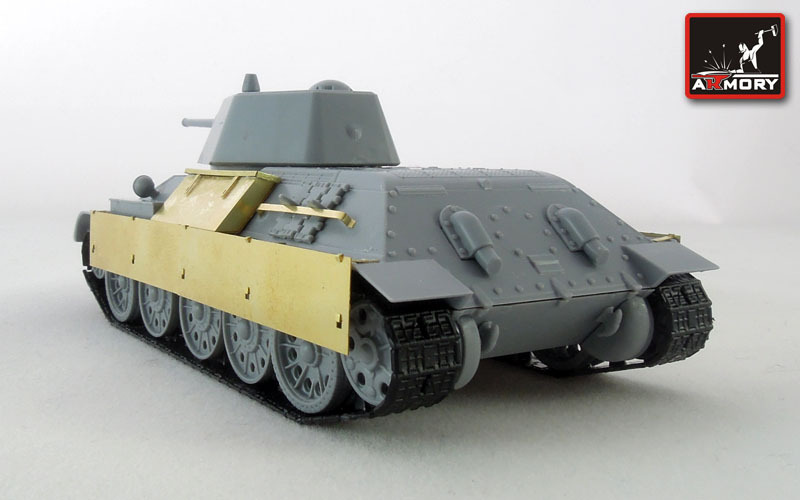 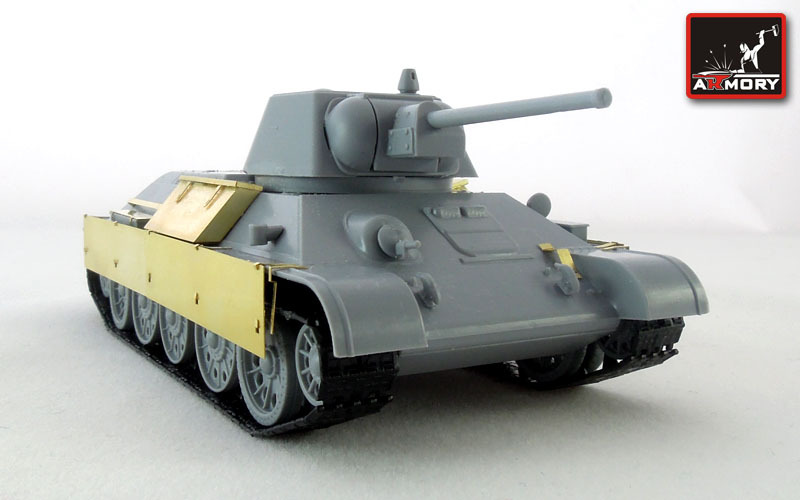 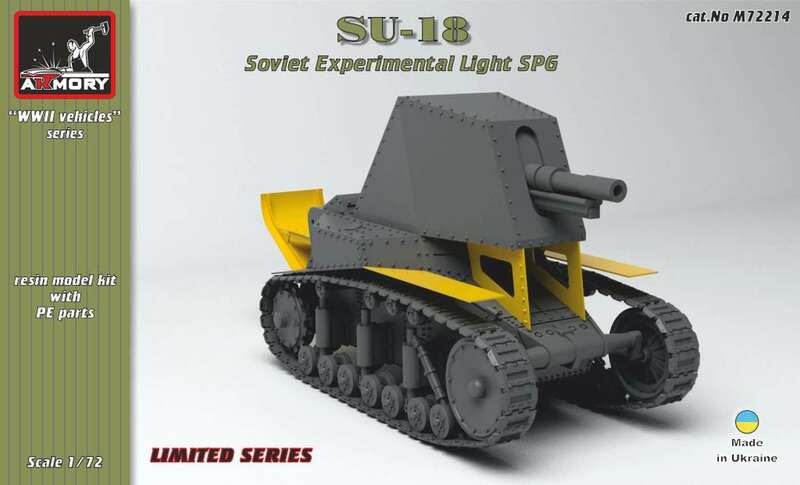 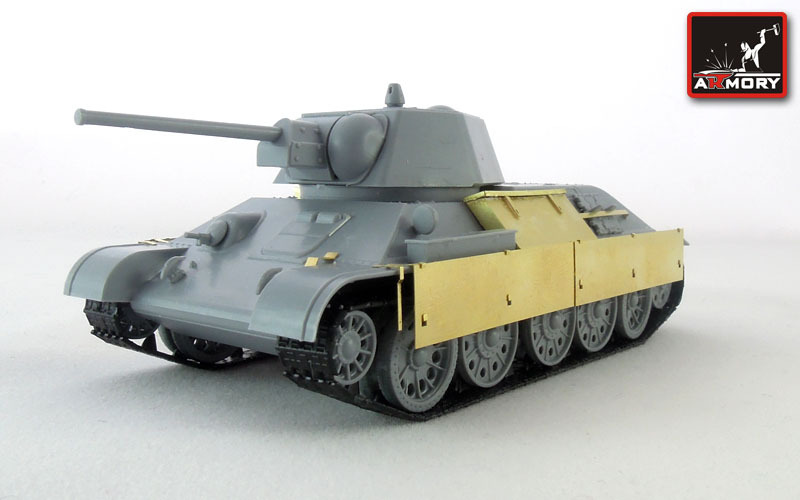 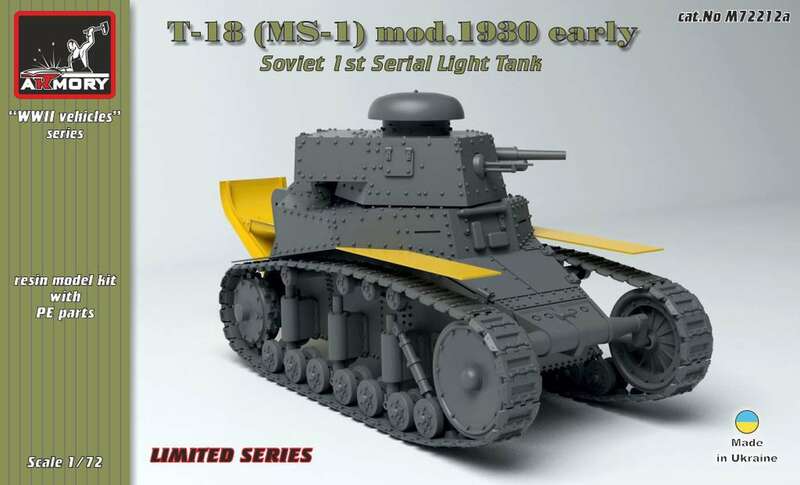 Kit AR M72212 - T-18 (MS-1) - Model 1930 Early - Soviet 1st serial light tank. 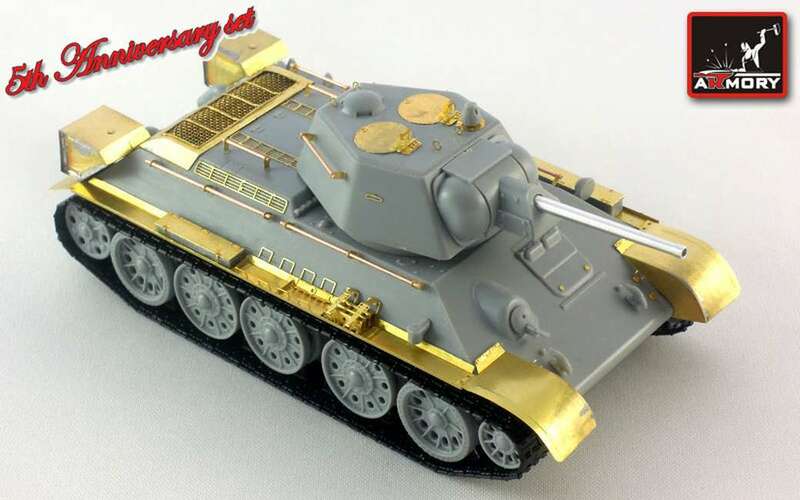 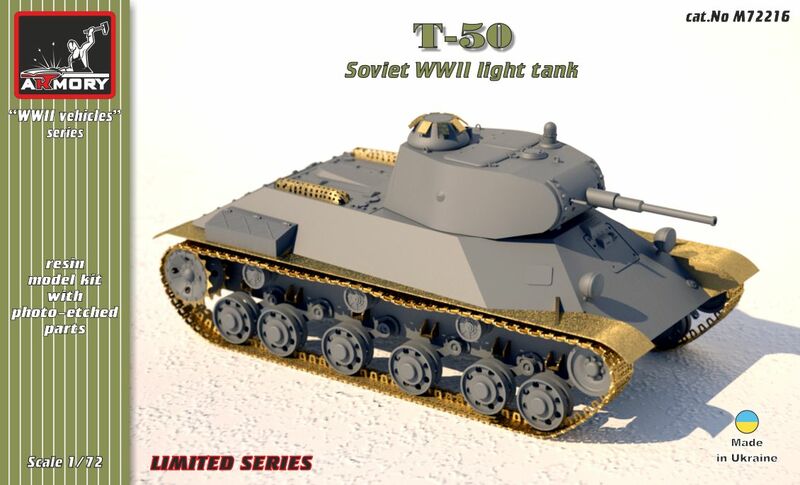 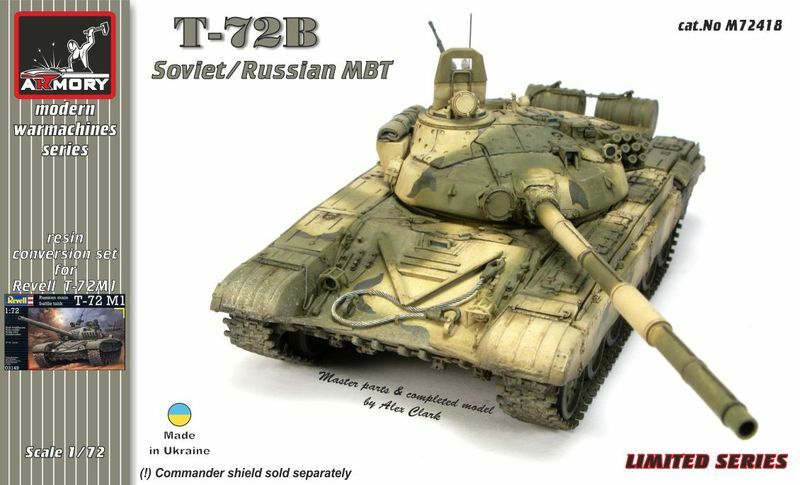 Kit AR M72216 - T-50 Soviet WWII light tank - full resin + PE kit. 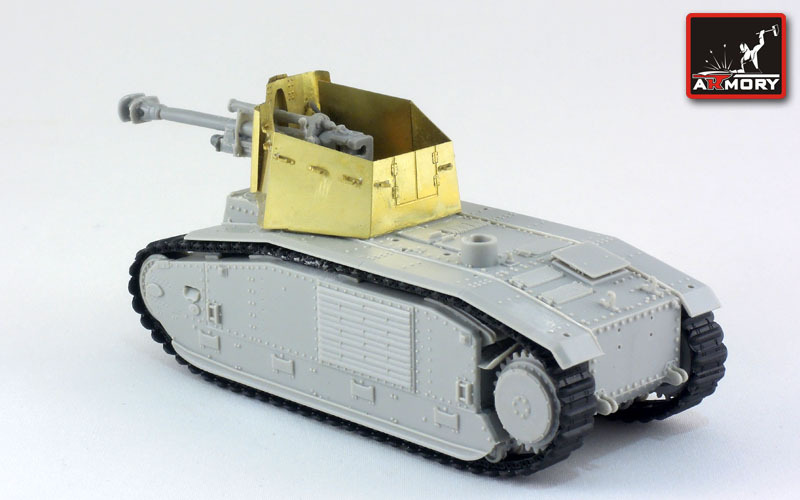 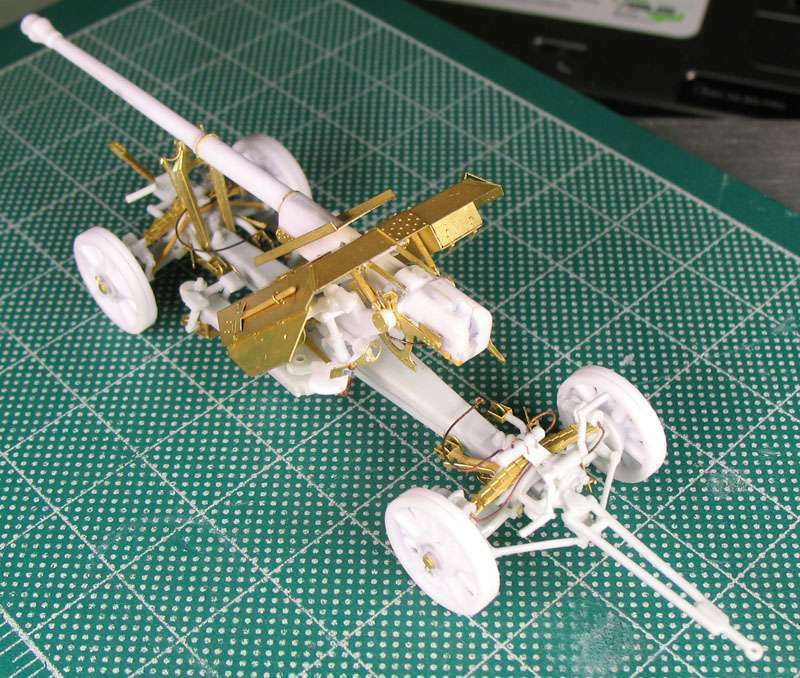 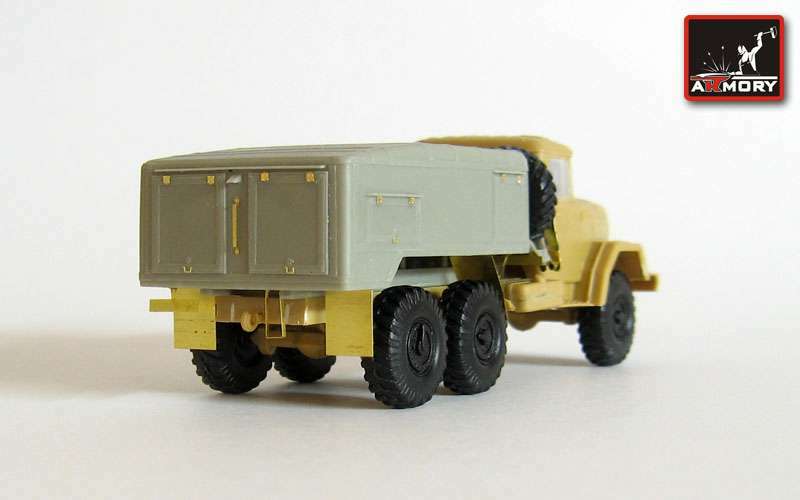 Kit AR M72218 - 10,5cm leFH 18-3 auf Geschuetzwagen B2(f) conversion set for Trumpeter kit. 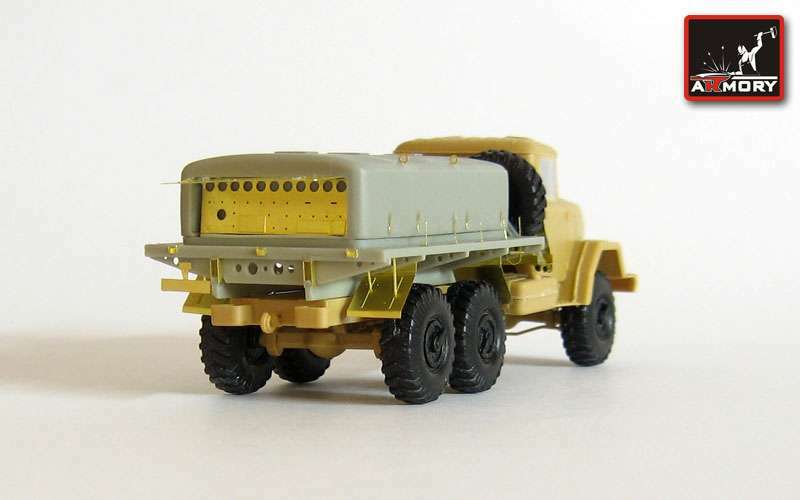 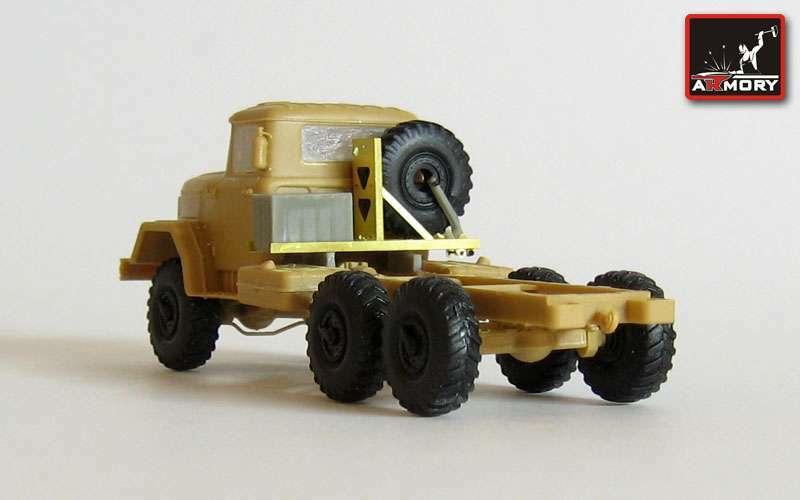 Kit Code: AR M723XX - airfield vehicles. 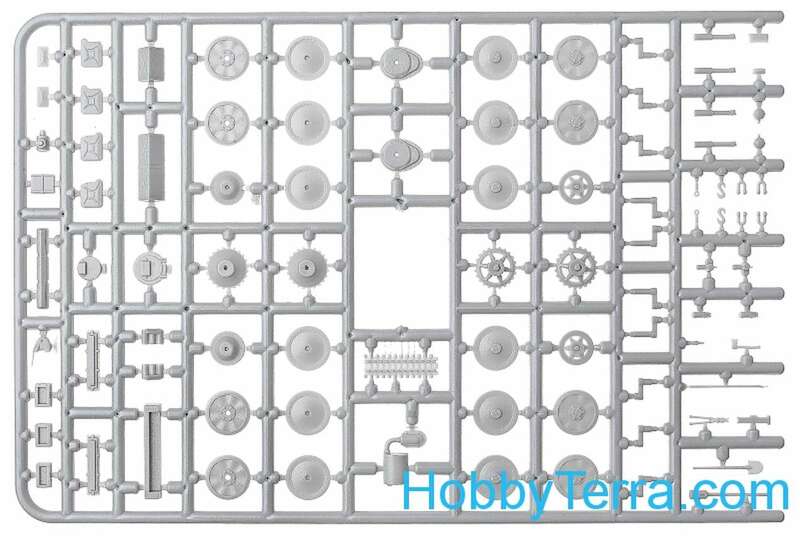 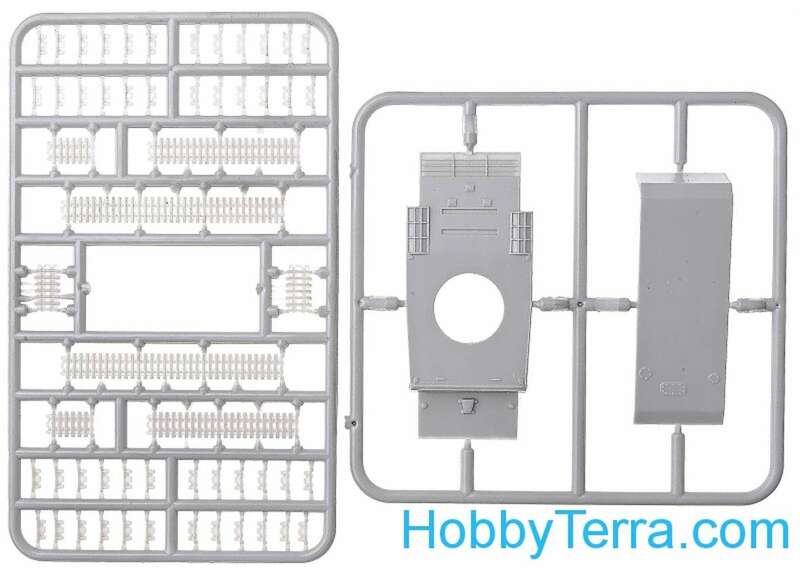 Kit AR M72301b - TZ-22 heavy airfield bowzer - conversion set for E-Class kit. 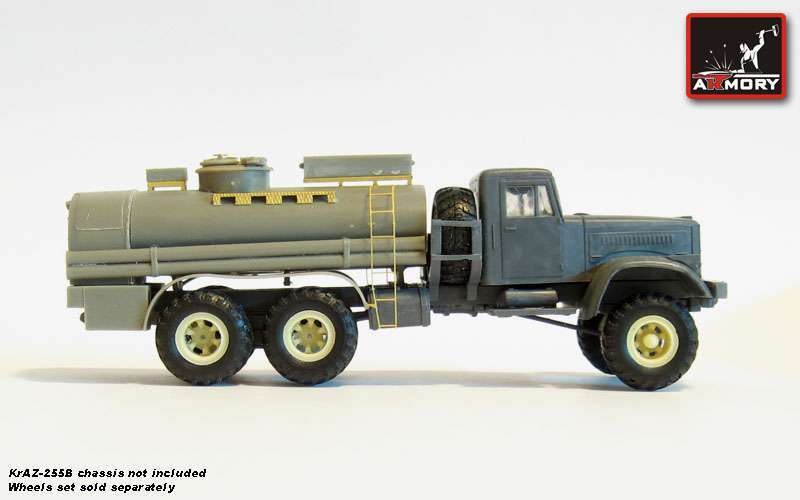 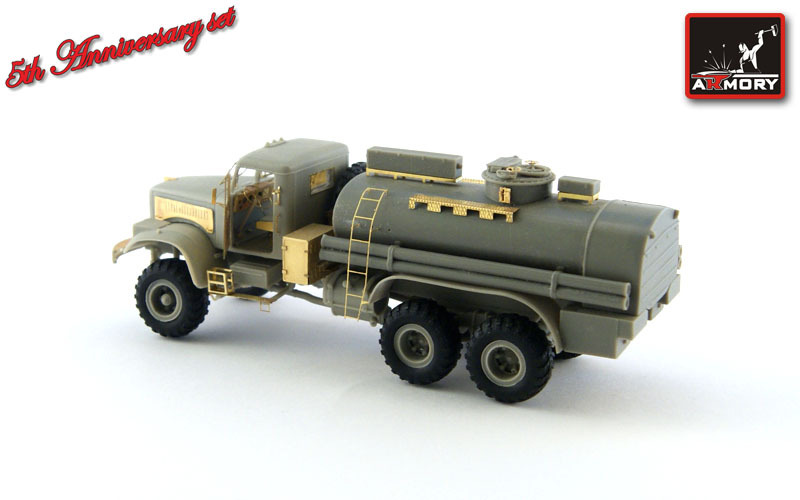 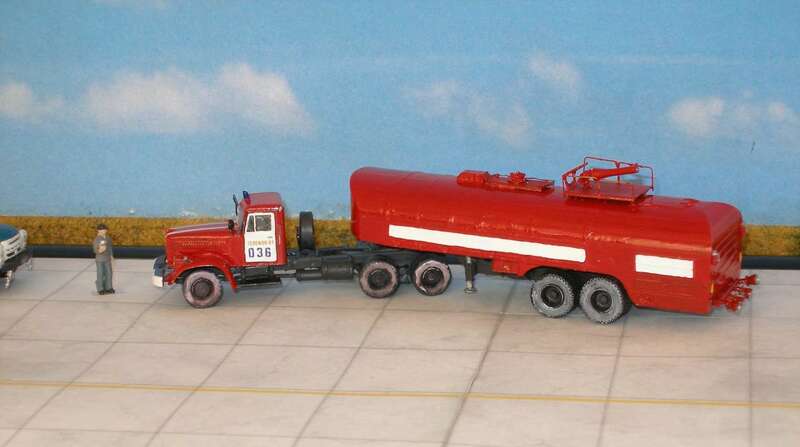 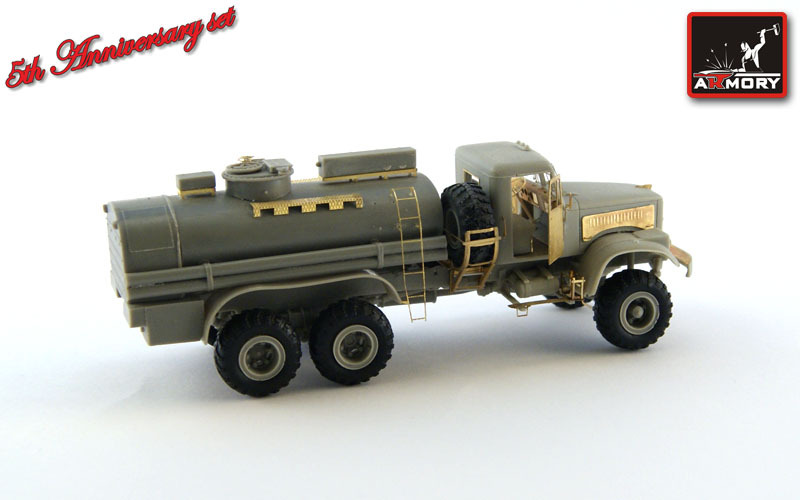 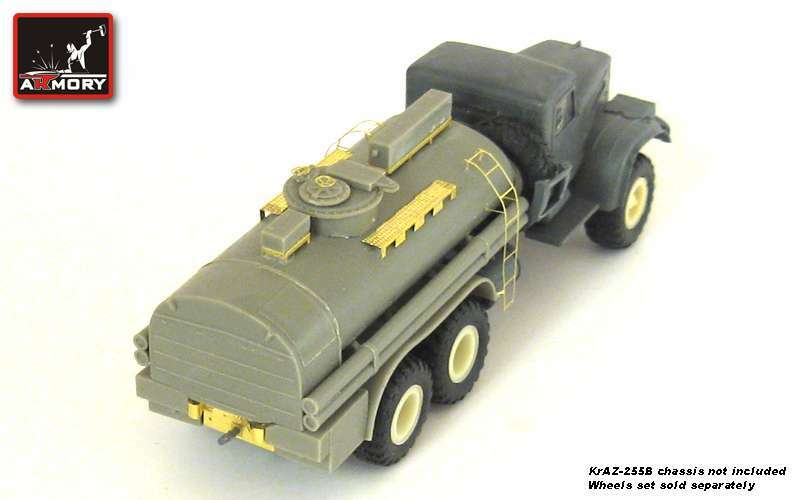 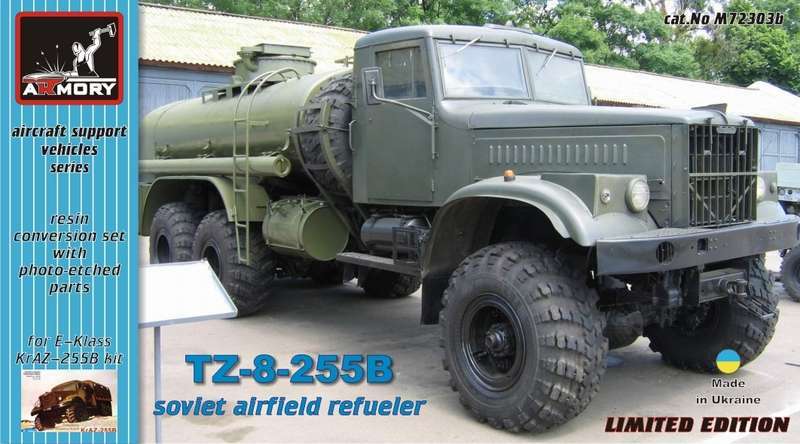 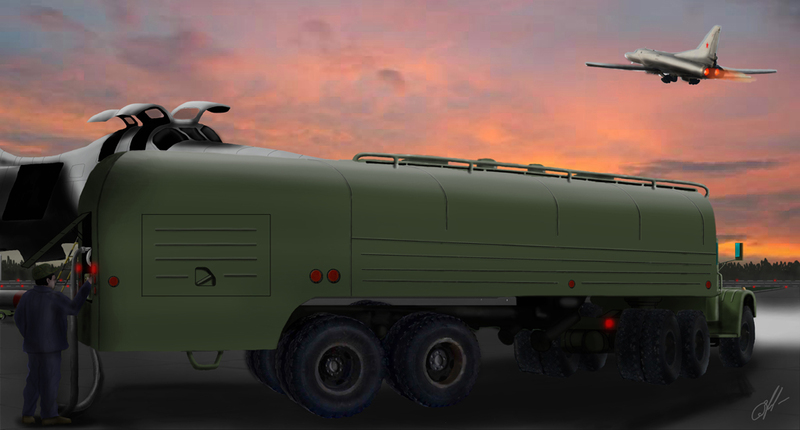 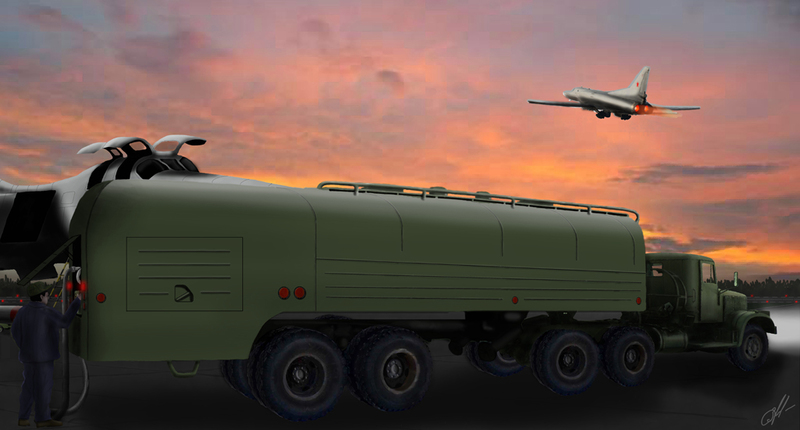 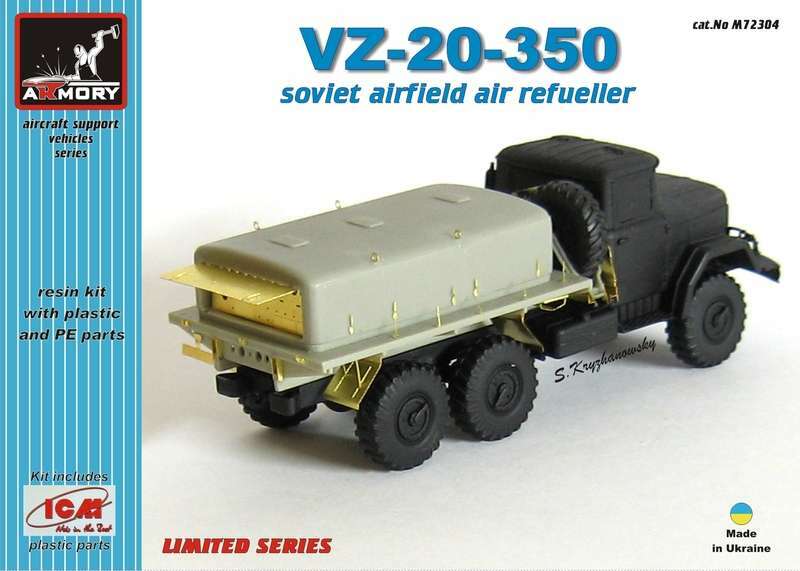 Kit AR M72303a - TZ-8-255B airfield refueler on KrAZ-255B chassis. 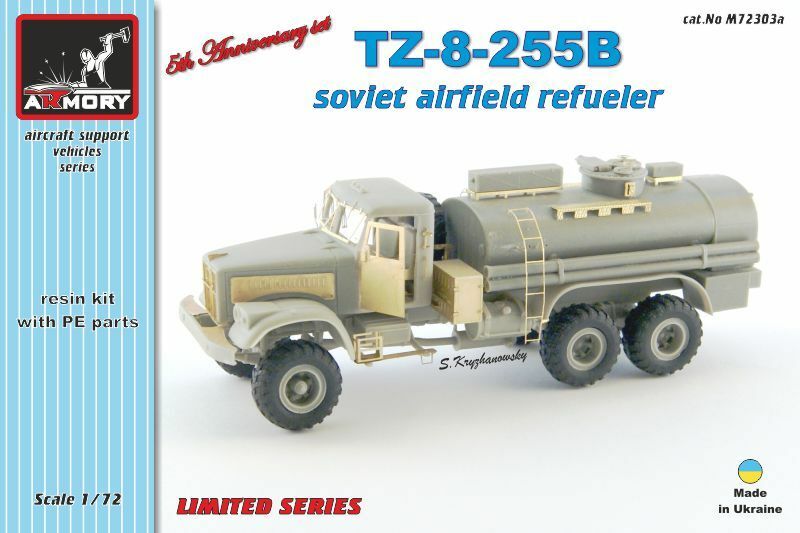 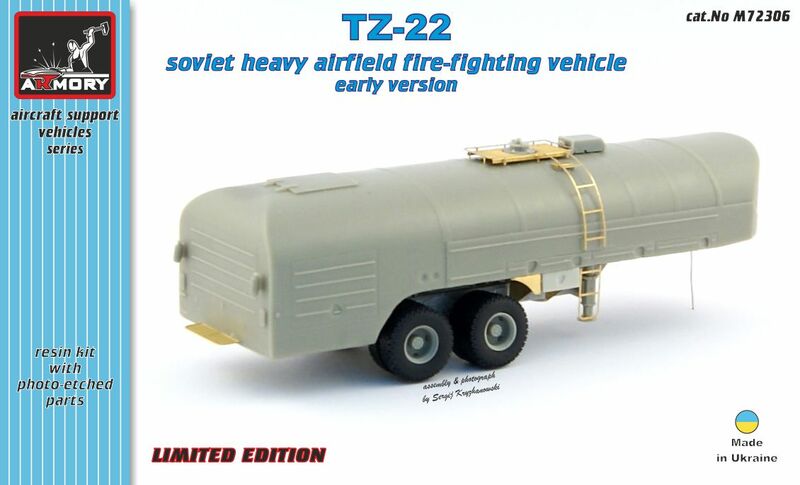 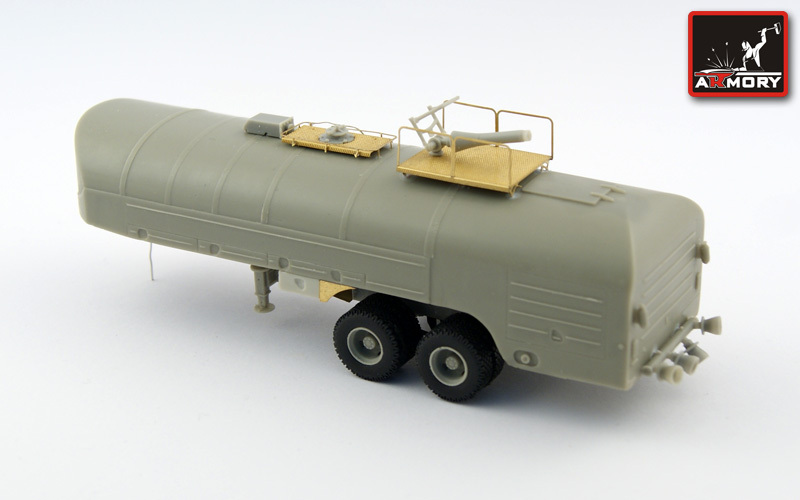 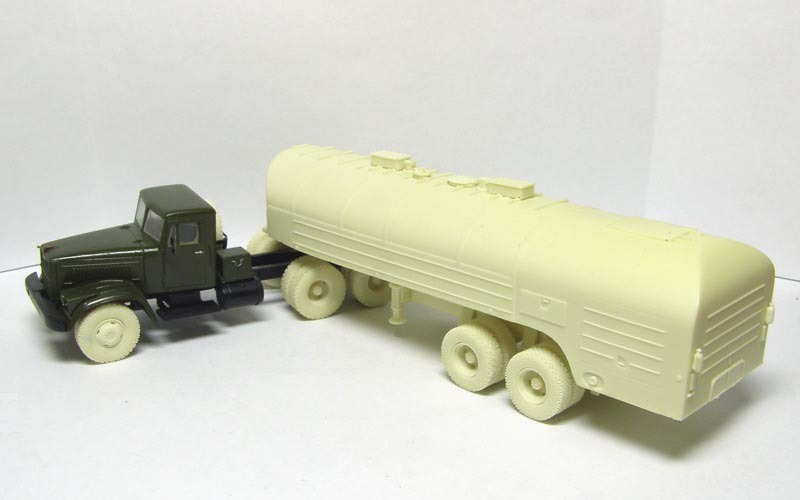 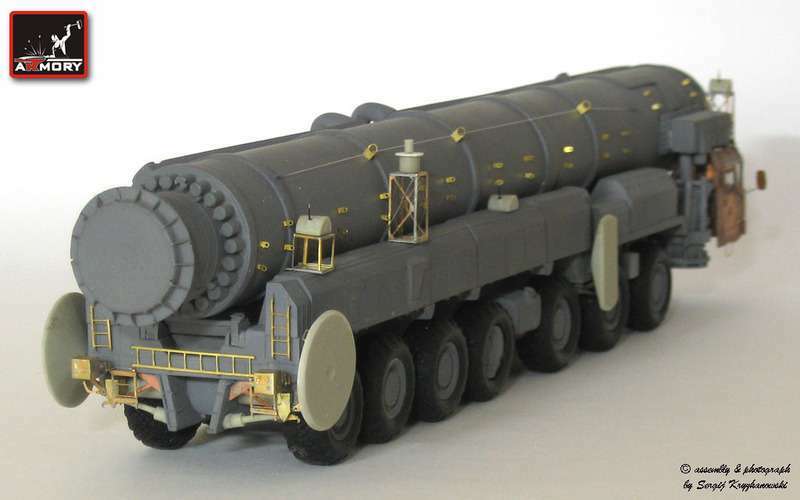 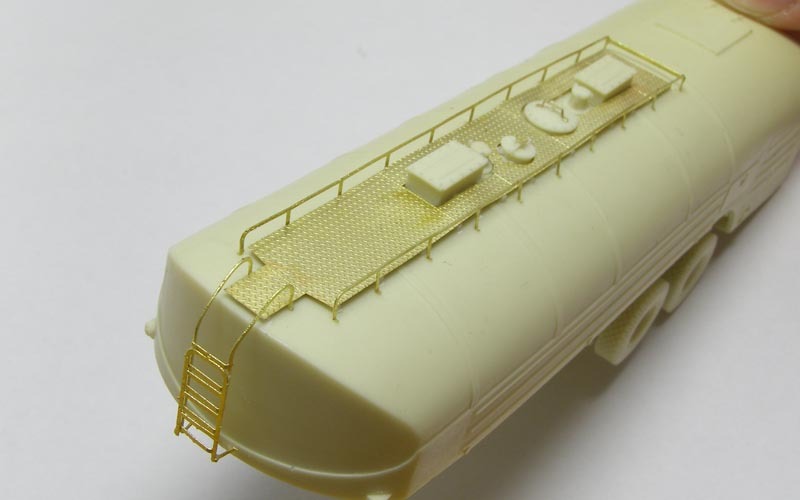 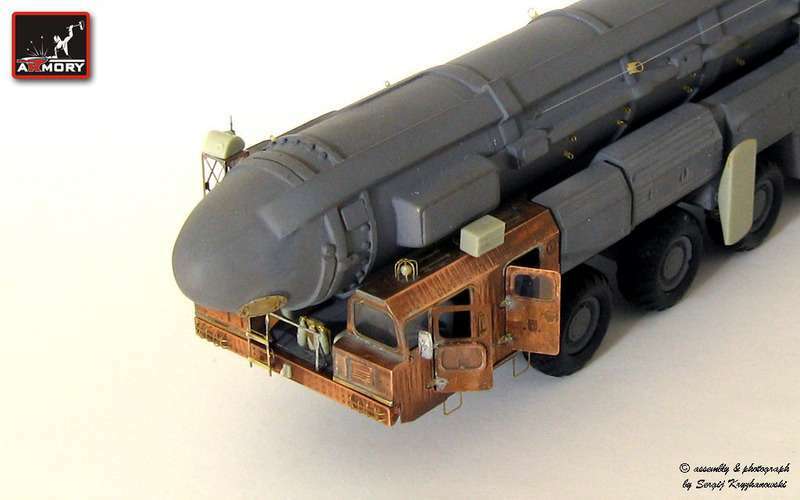 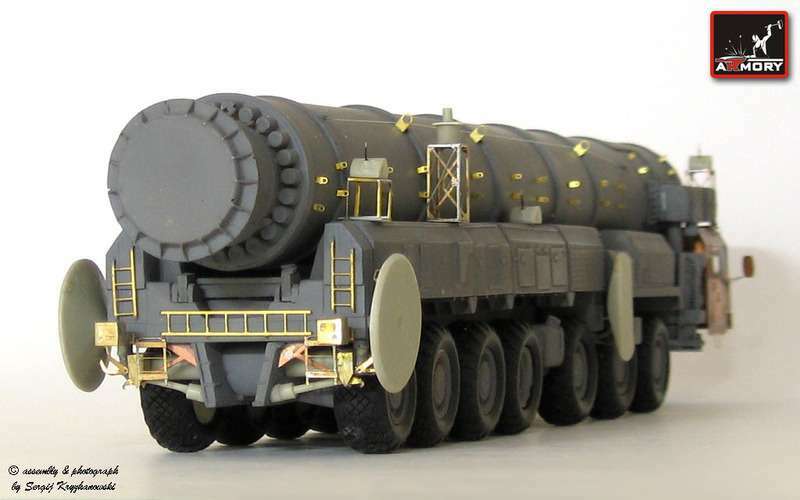 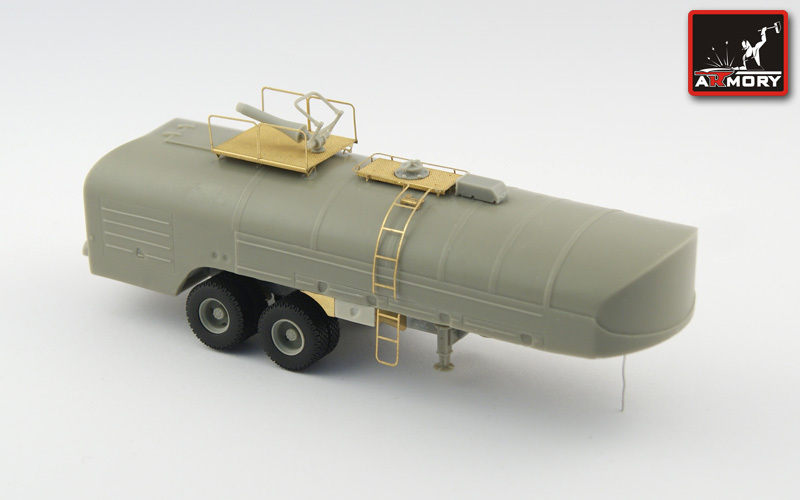 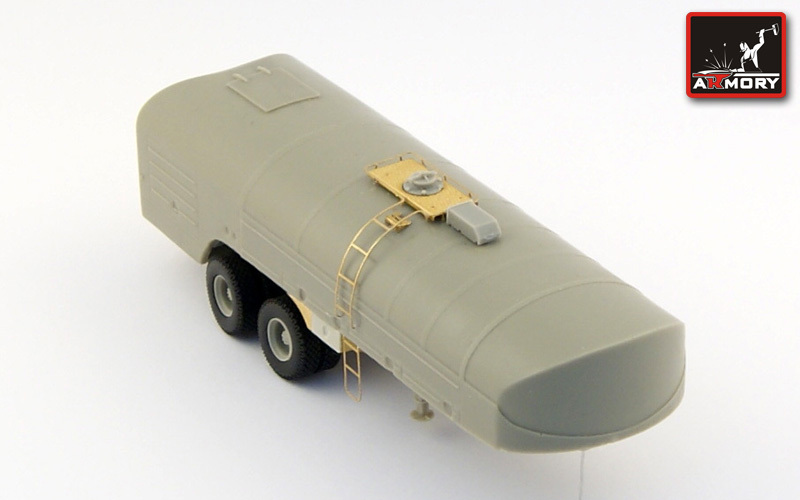 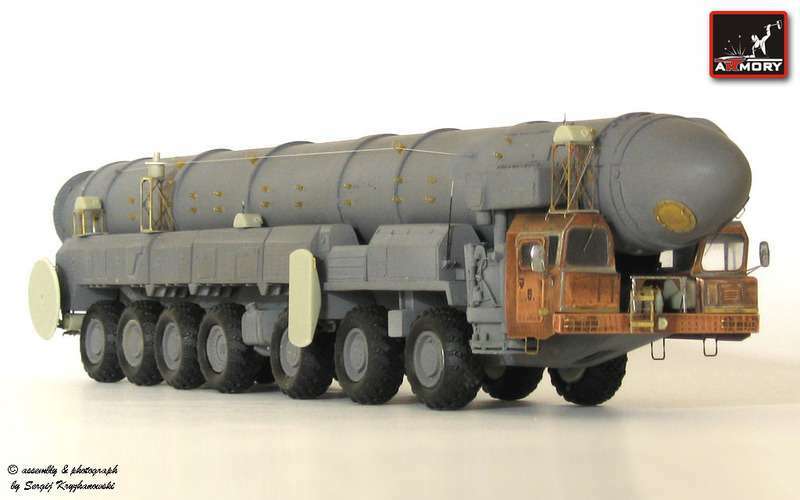 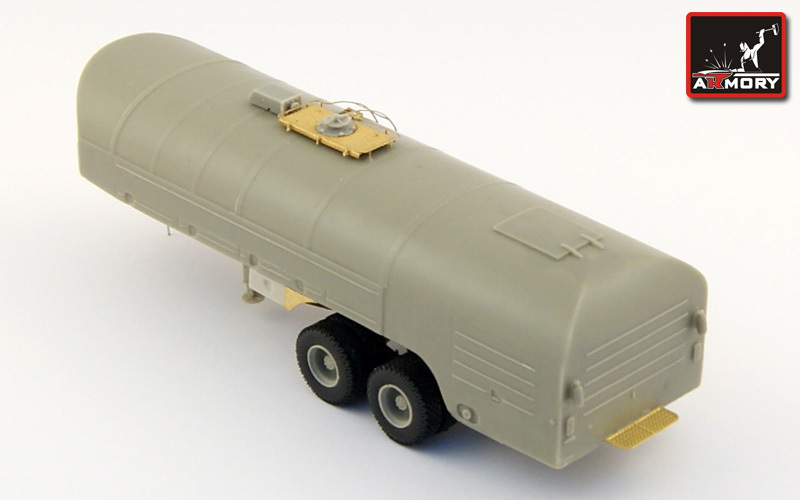 Kit AR M72303b - TZ-8-255B Soviet airfield refueler - conversion set for E-Class kit. 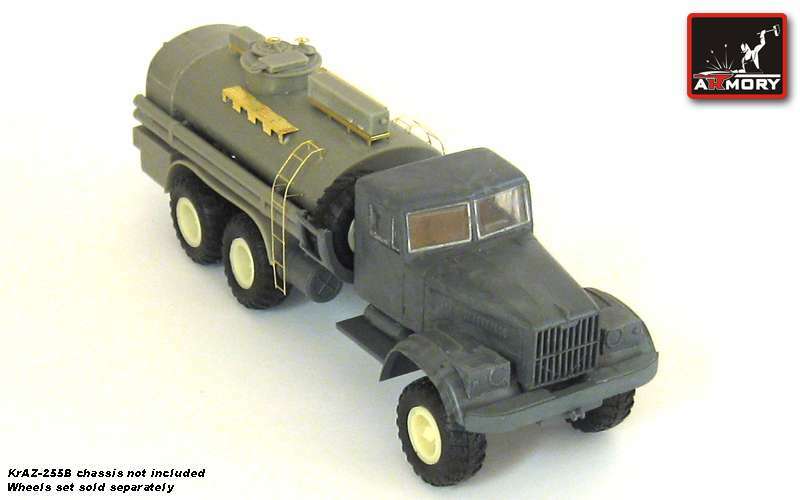 Kit AR M72304 - VZ-20-350 Soviet airfield refueler - with ICM parts. 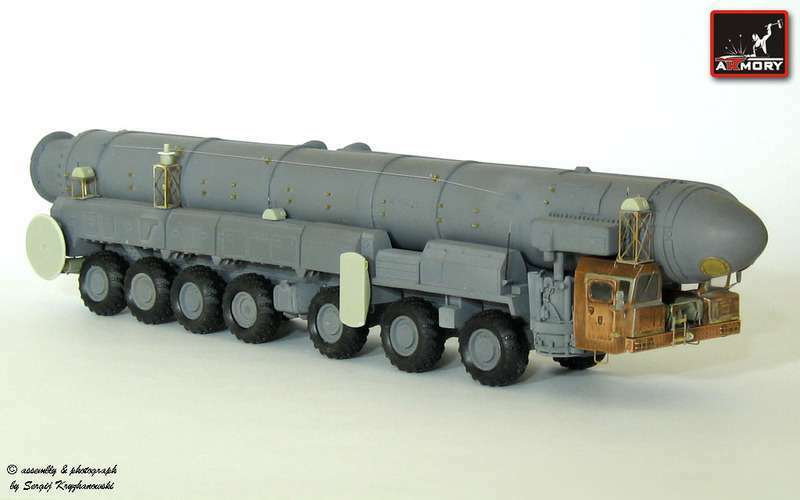 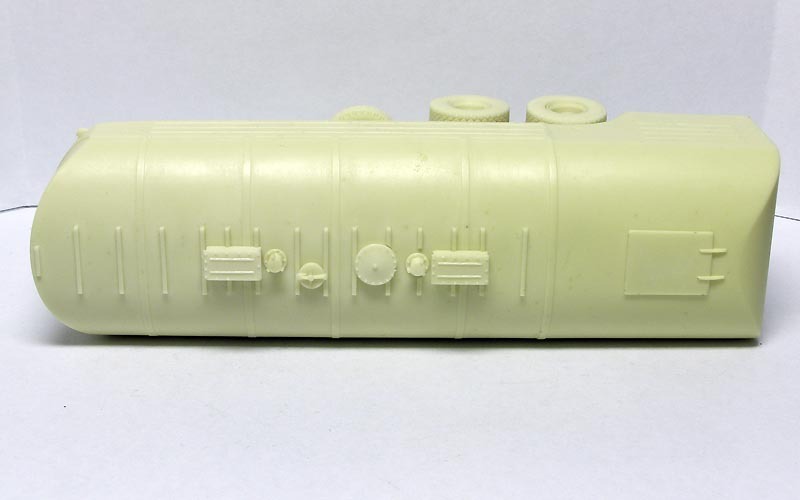 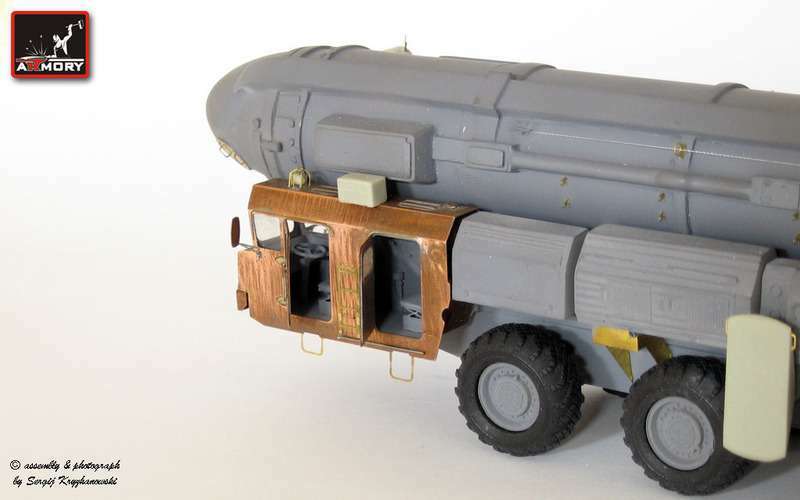 Kit AR M72305 - AKZS-75M-131-P Soviet oxygen airfield refueler - with ICM parts. 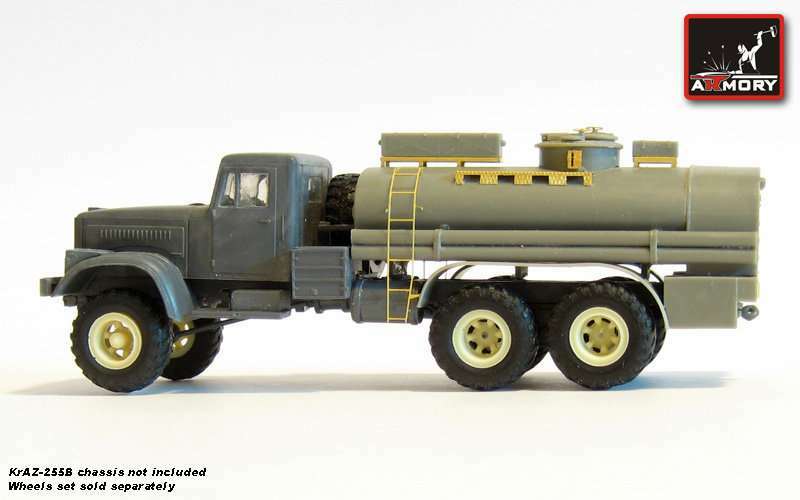 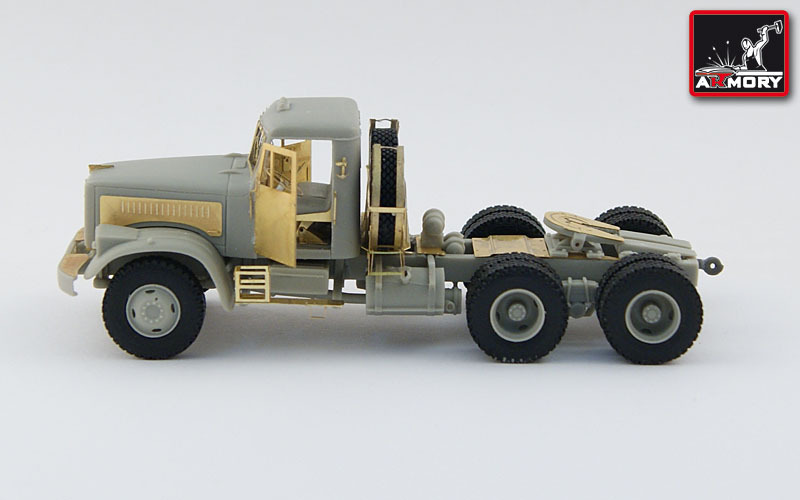 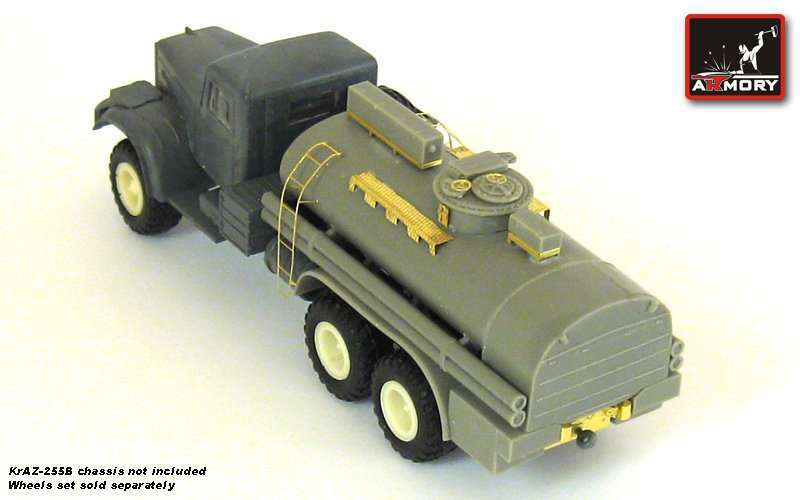 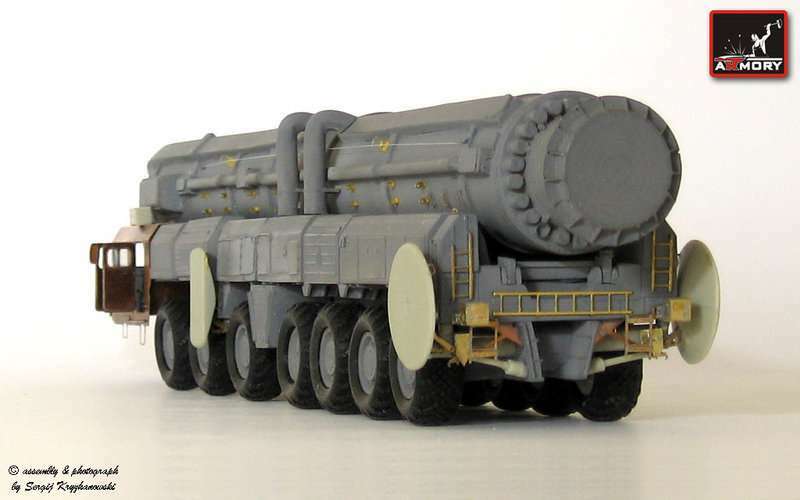 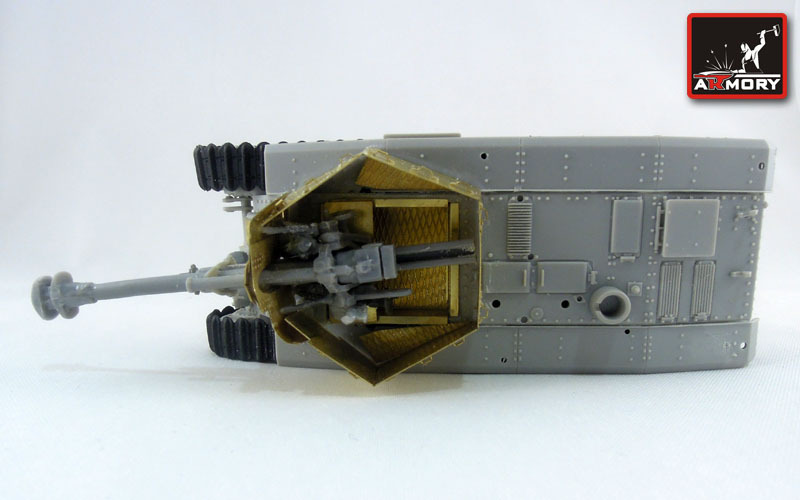 Kit AR M72306 - TZ-22 heavy airfield refueler, early version. 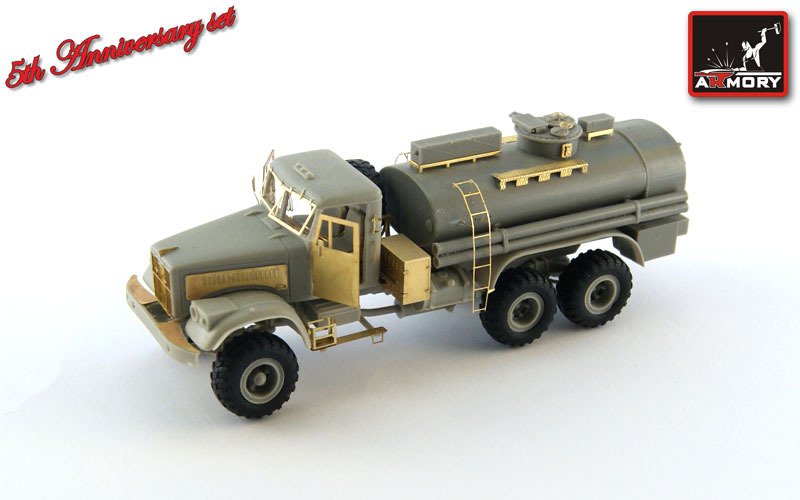 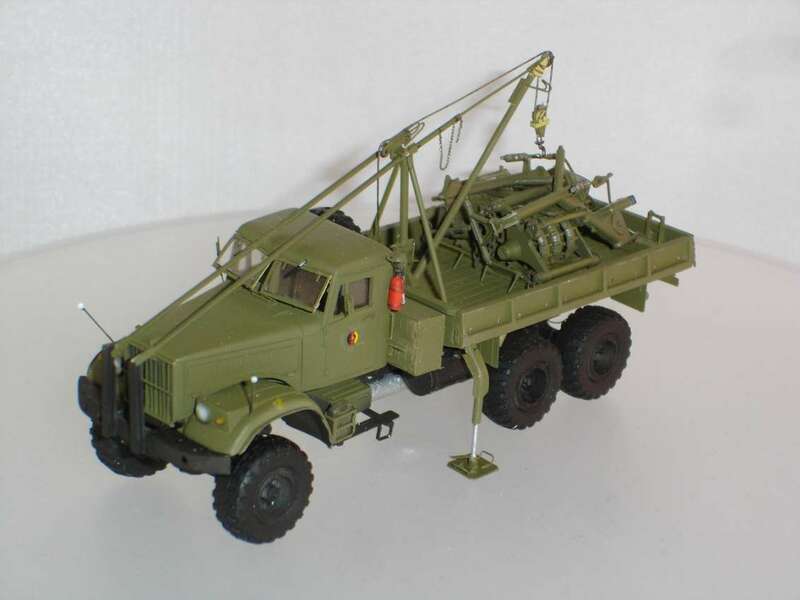 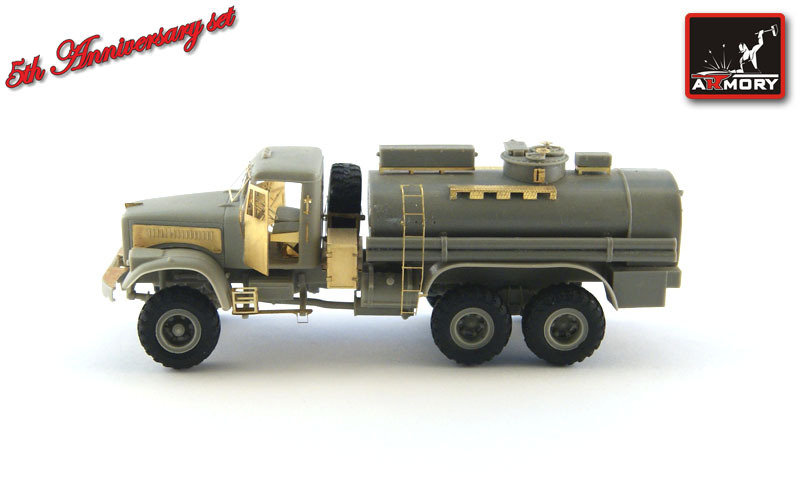 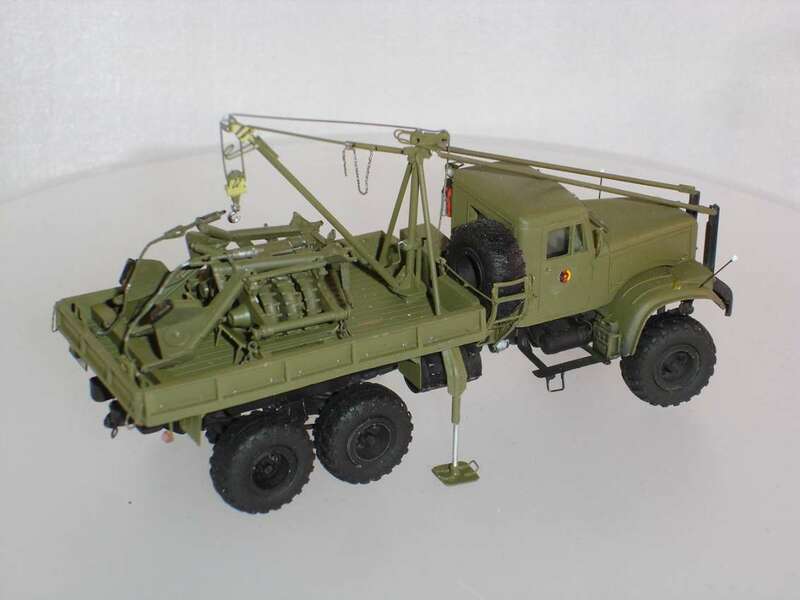 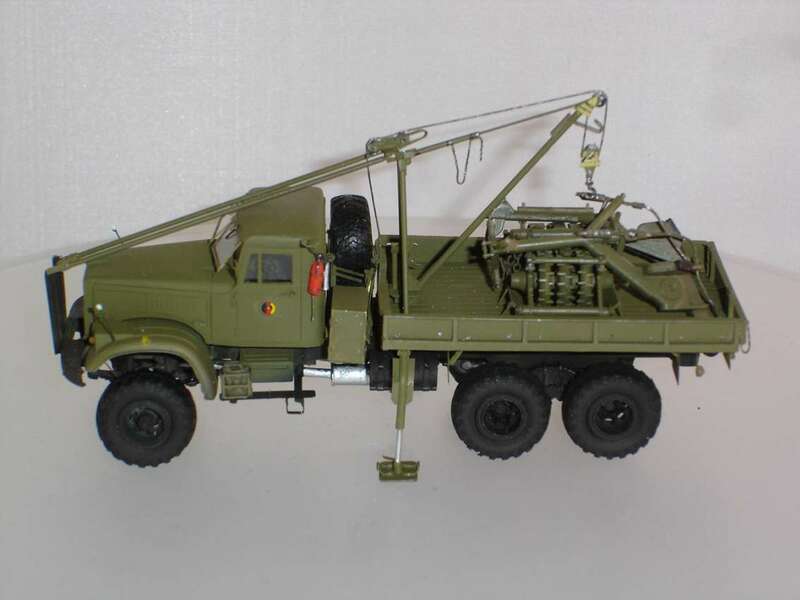 Kit AR M72307 - AAPT-4 airfield fire fighting truck on TZ-22 old version chassis. 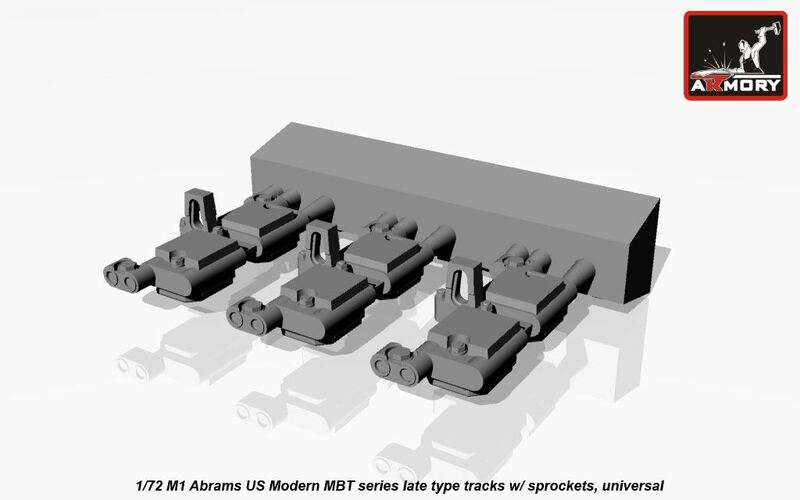 Kit Code: AR M724XX - Modern military vehicles. 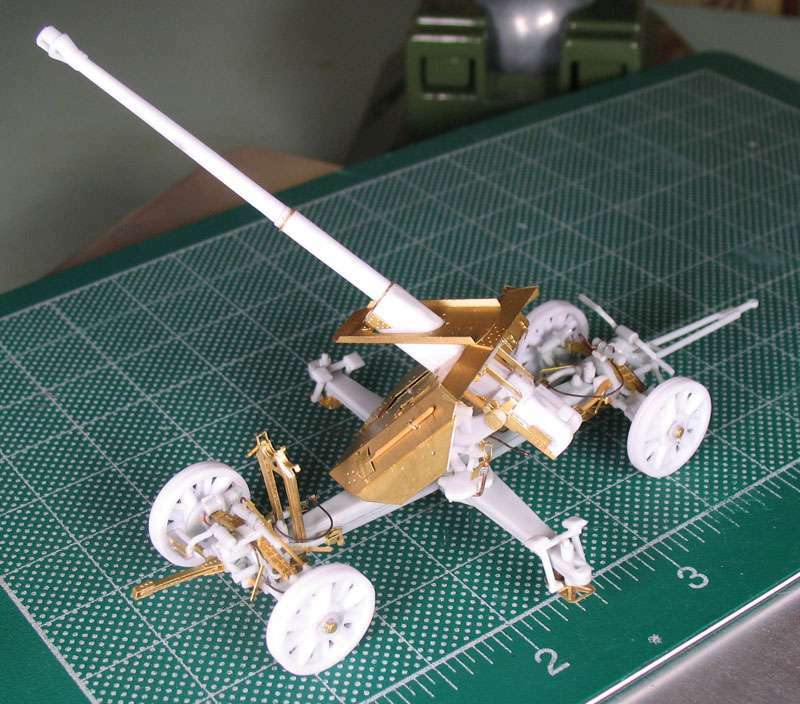 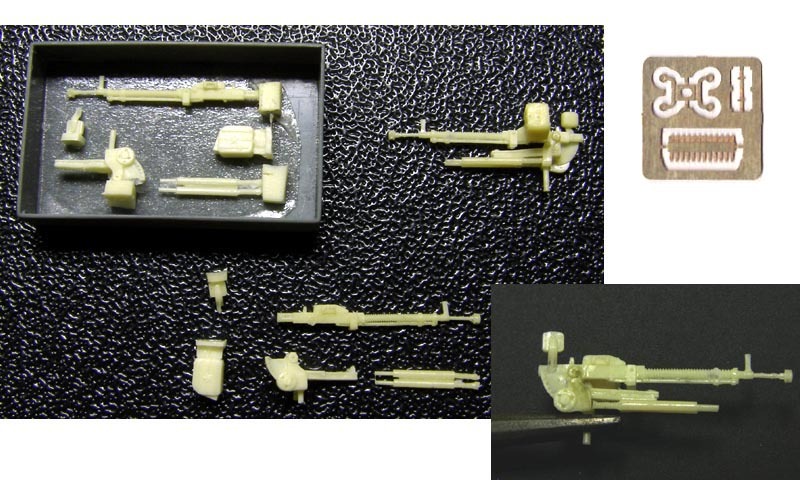 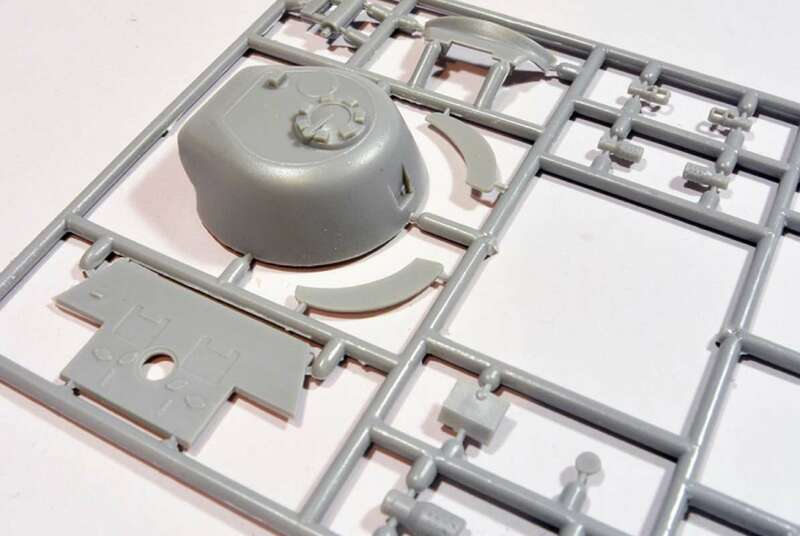 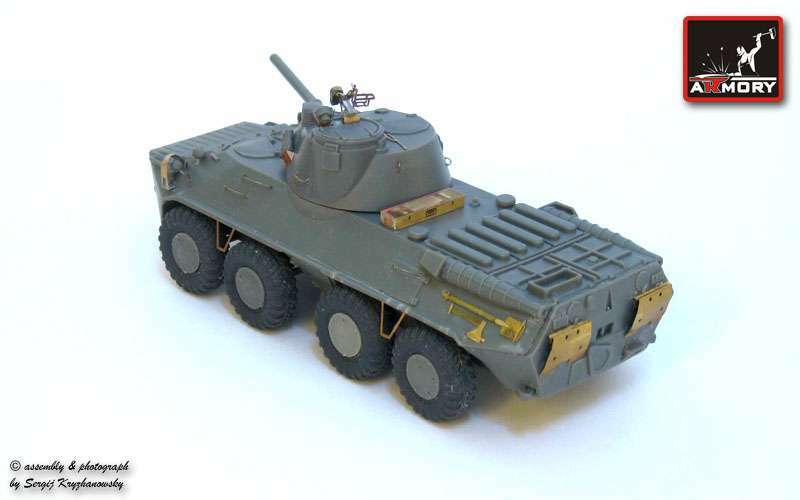 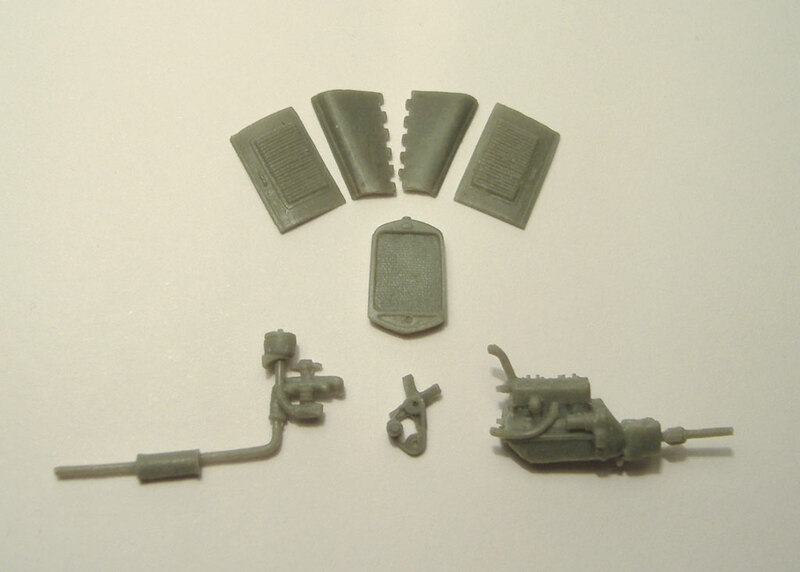 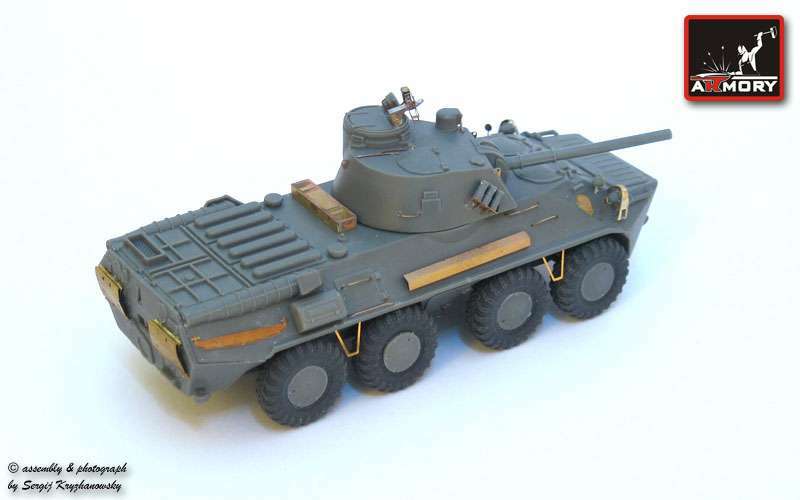 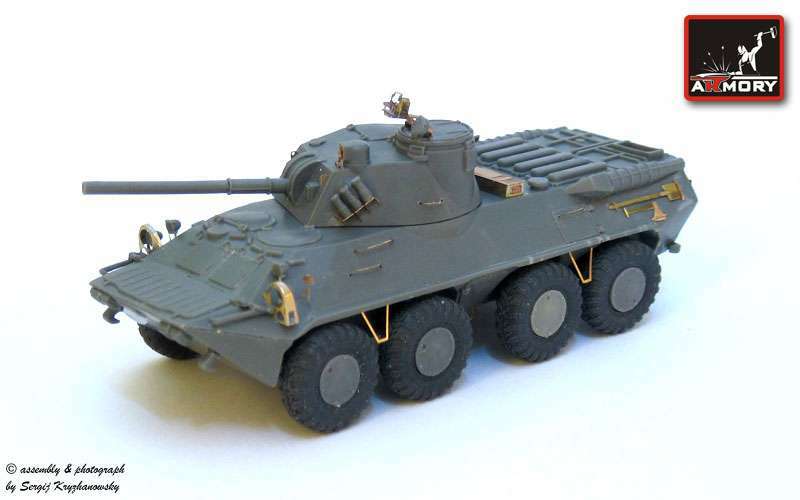 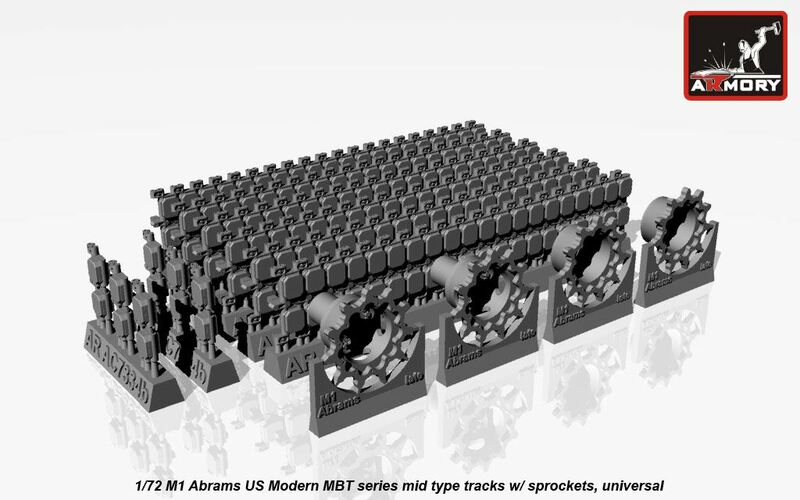 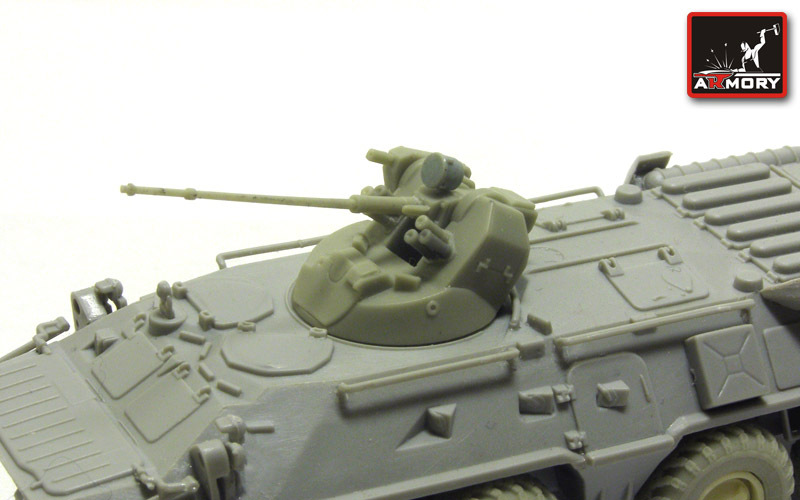 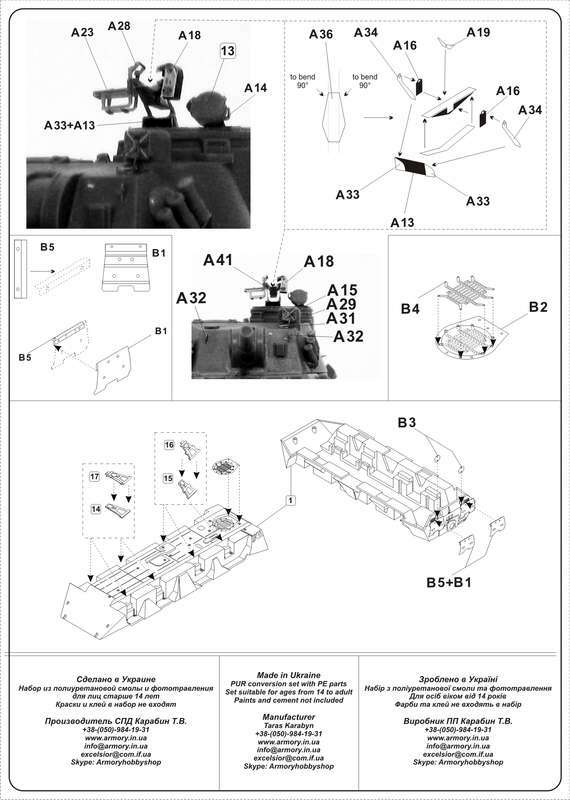 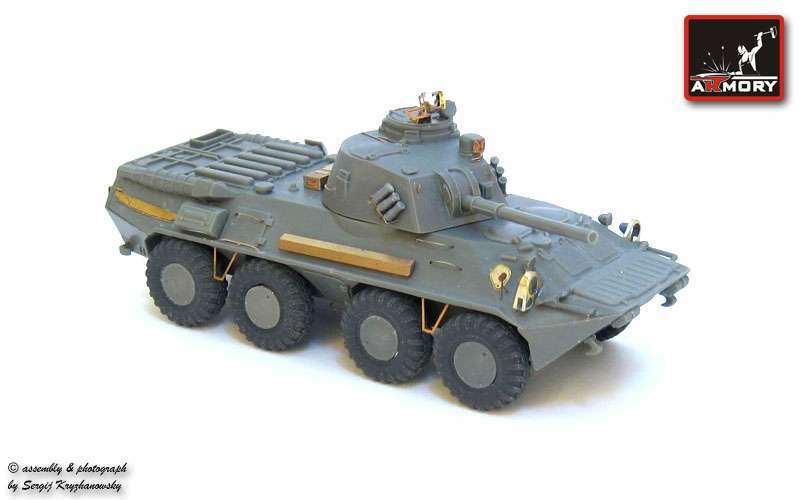 Kit AR M72401 - BTR-80A - conversion set for Trumpeter kit. 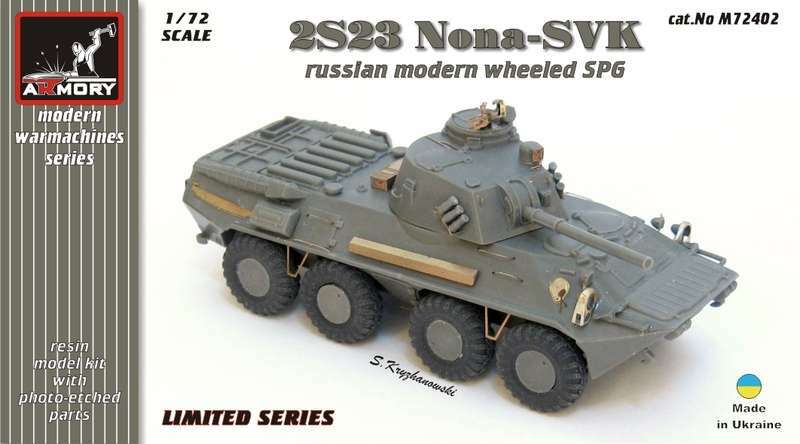 Kit AR M72402 - 2S23 Nona SVK - Russian modern wheeled SPG. 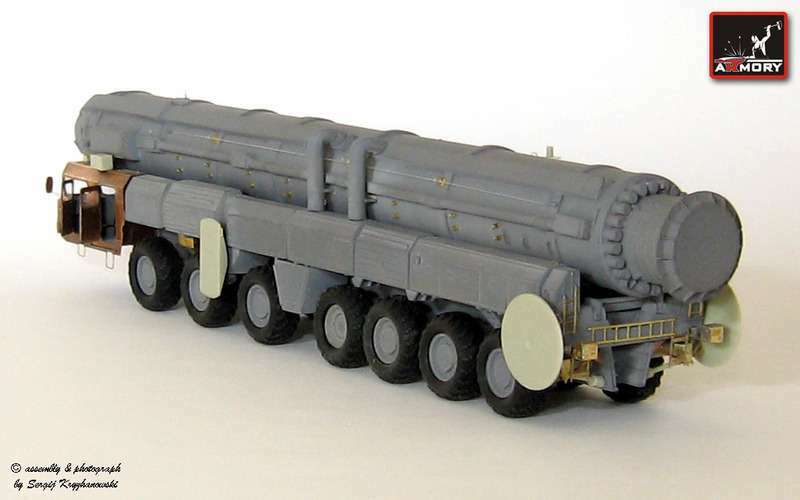 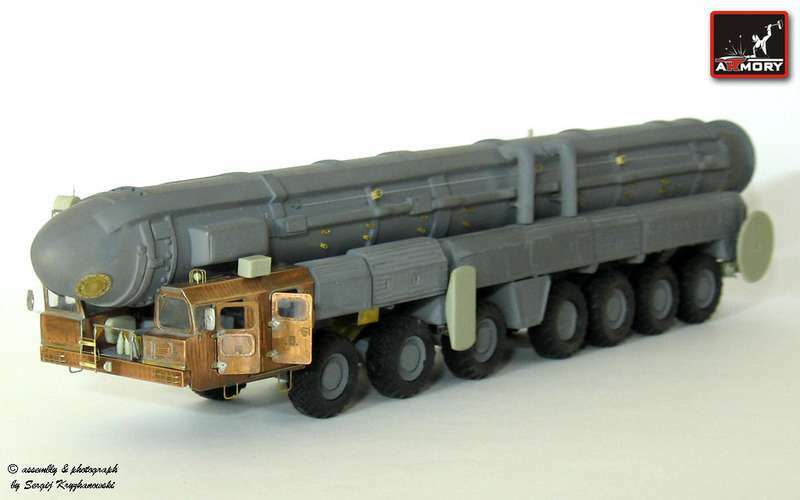 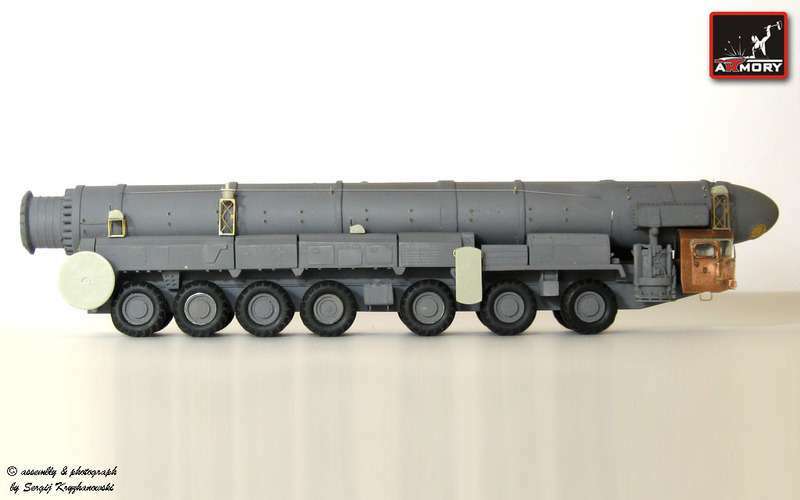 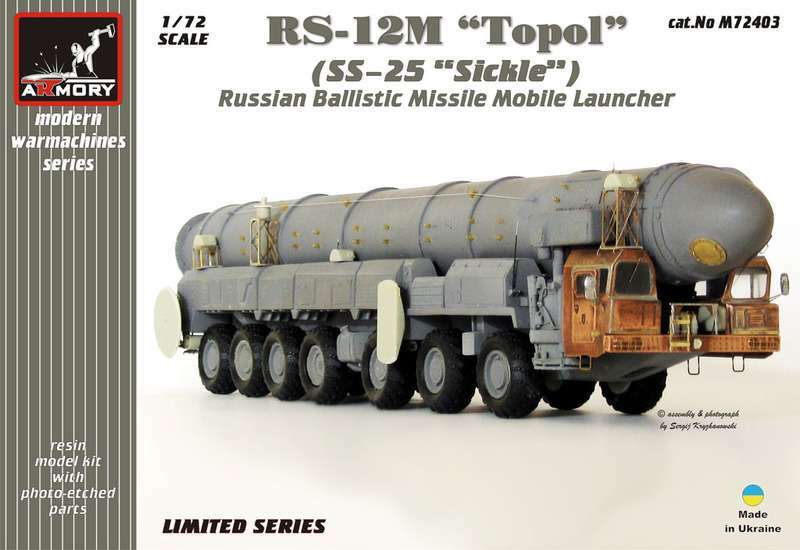 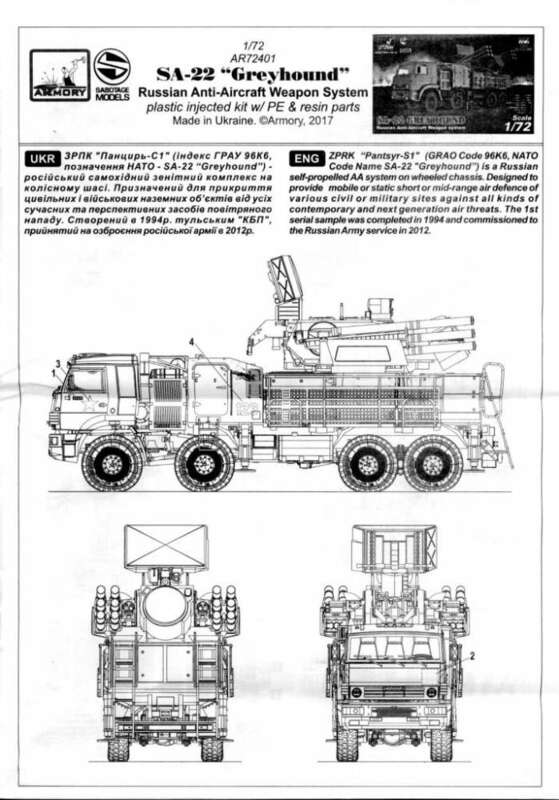 Kit AR M72403 - RS-12M Topol, SS25 missile launcher. 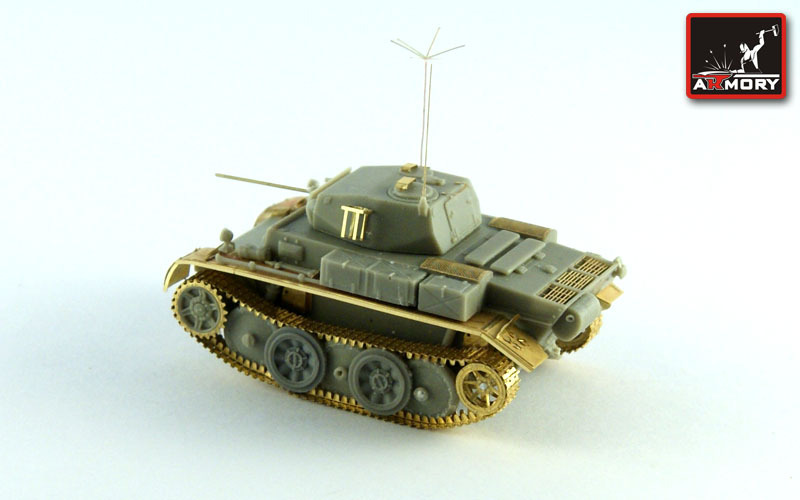 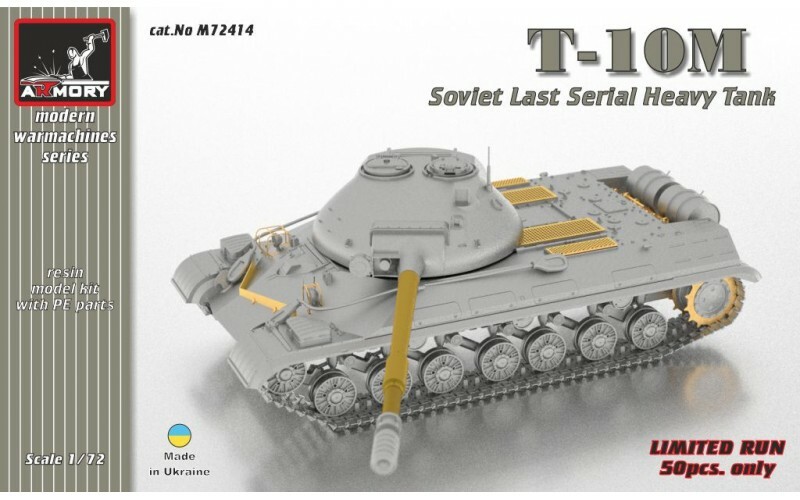 Kit AR M72414 - T-10M Soviet last serial heavy tank - limited edition. 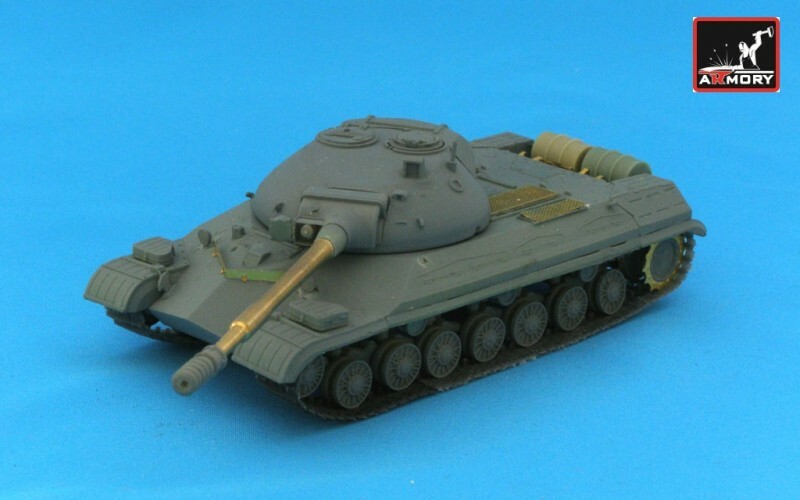 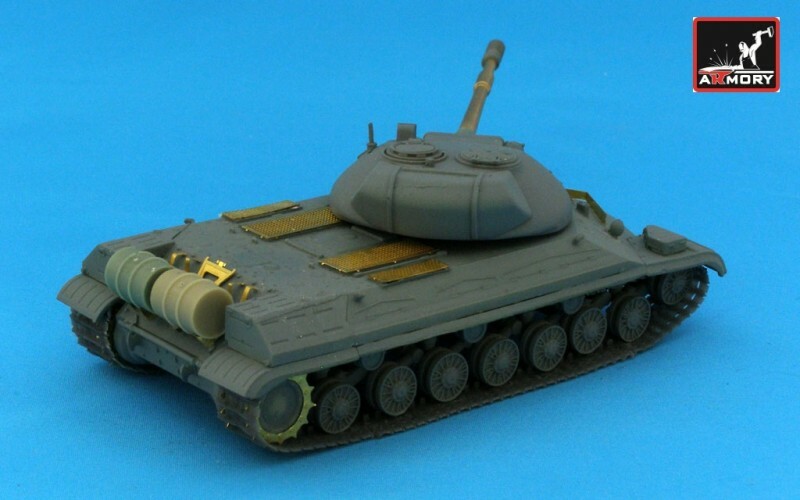 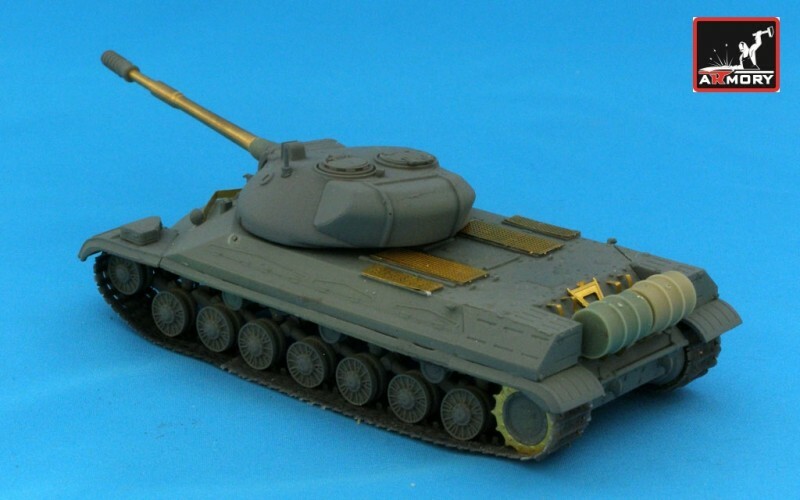 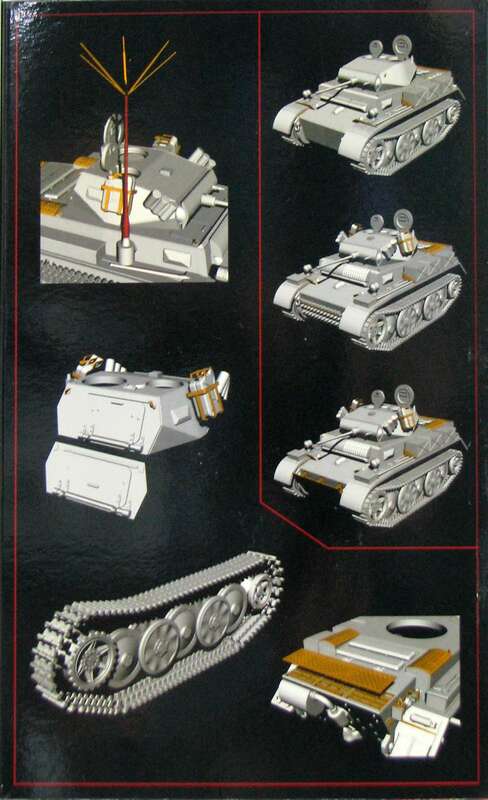 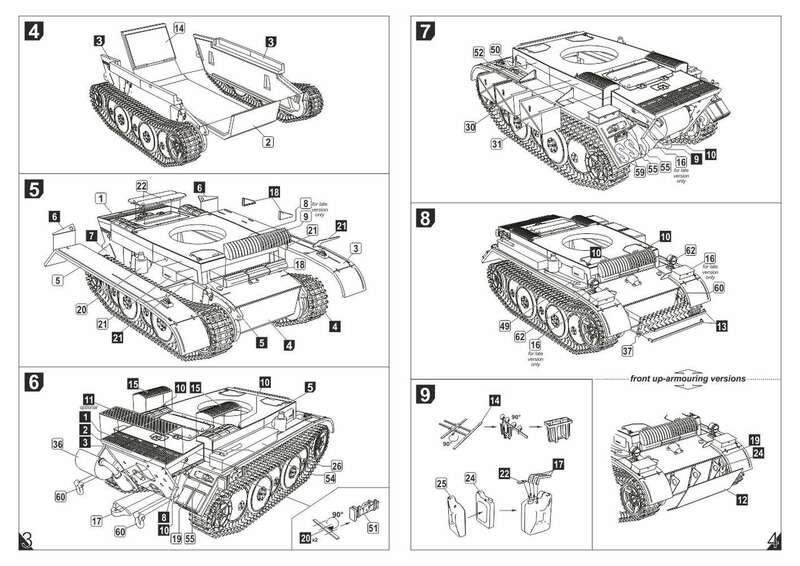 Kit AR M72418 - T-72B Soviet MBT - conversion set (REV). 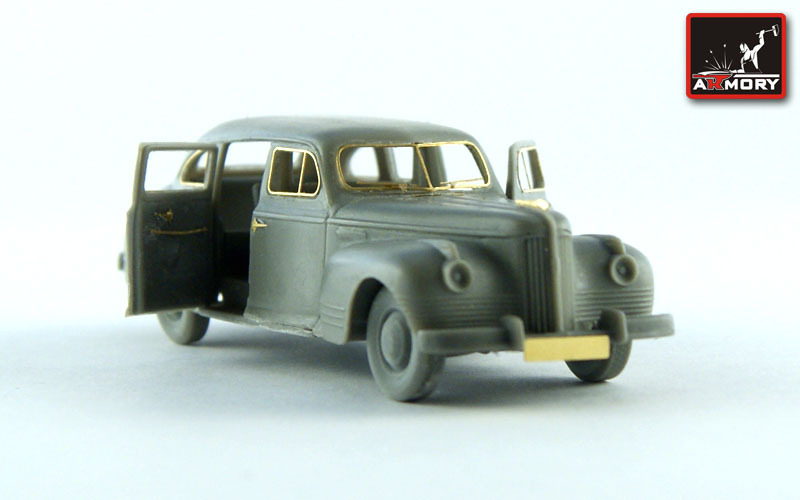 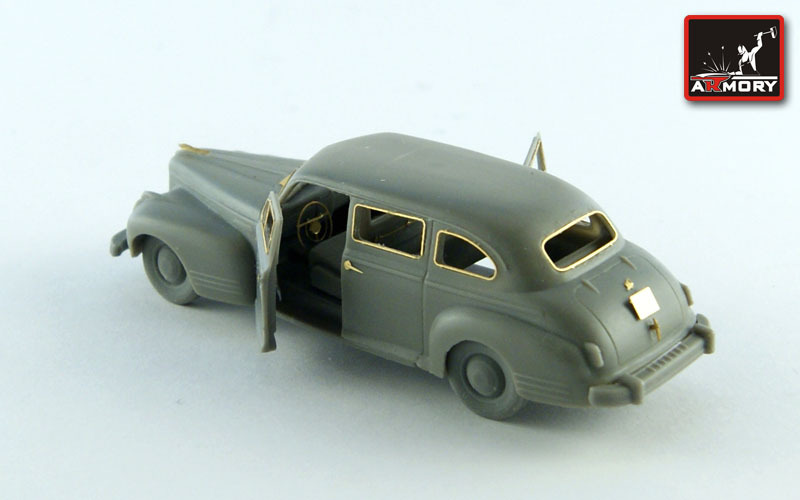 Kit Code: AR M726XX - staff cars. 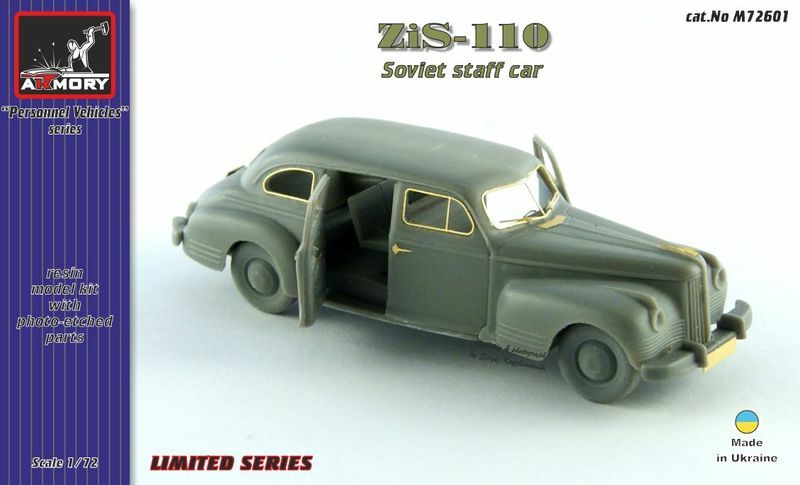 Kit AR M72601 - Zis-110 staff car limousine. 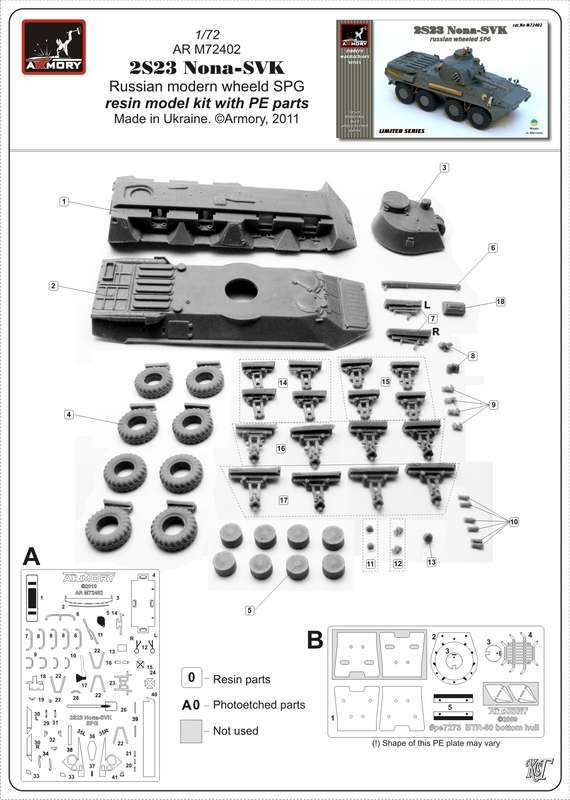 Kit AR PE7201 - Pak 40 German AT gun detailing set - for Roden kit. 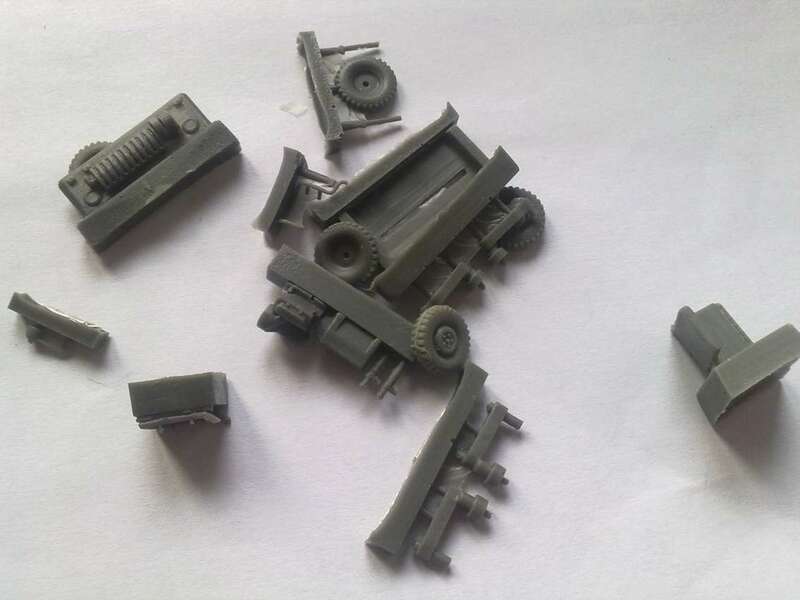 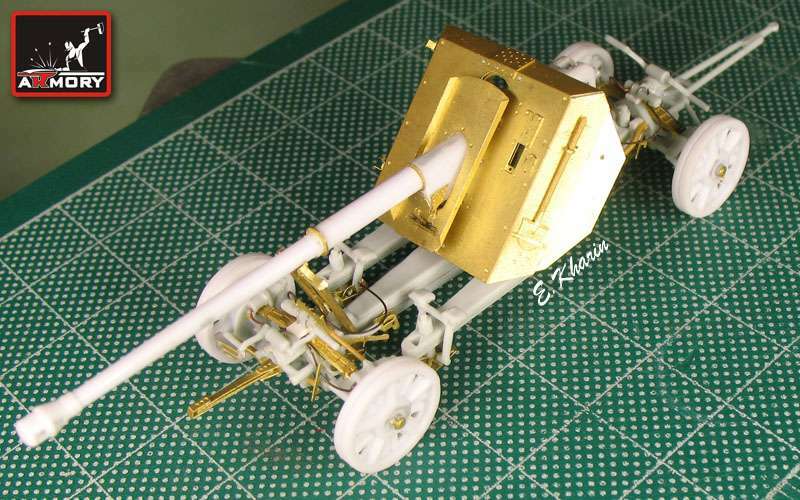 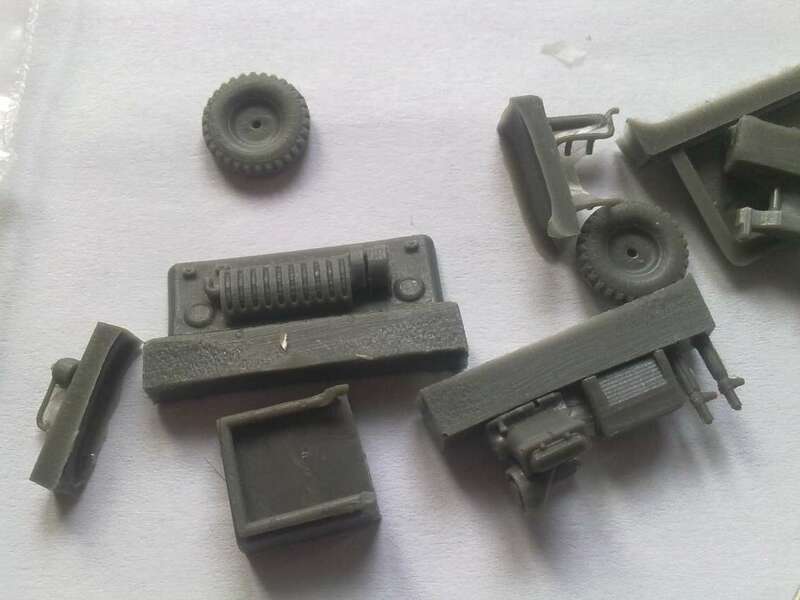 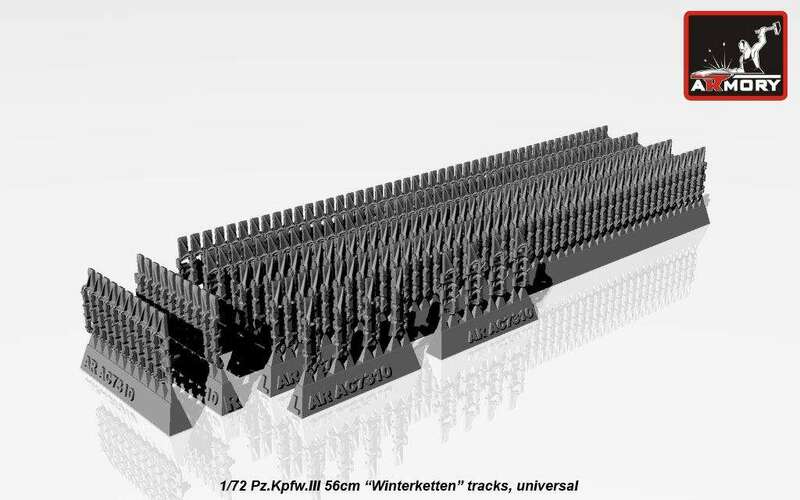 Kit AR PE7204 - 8.8cm Pak 43 German gun detailing set. 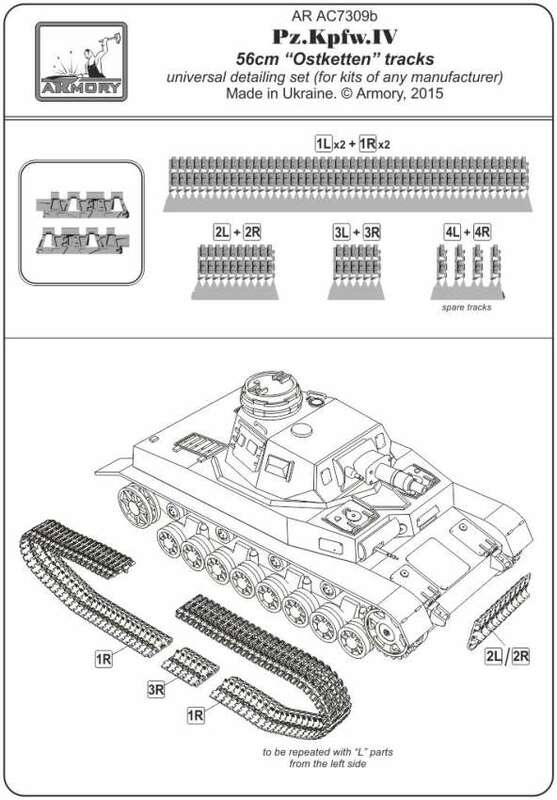 Kit AR PE7205 - 105mm M101 US light howitzer detailing set for ACE kit. 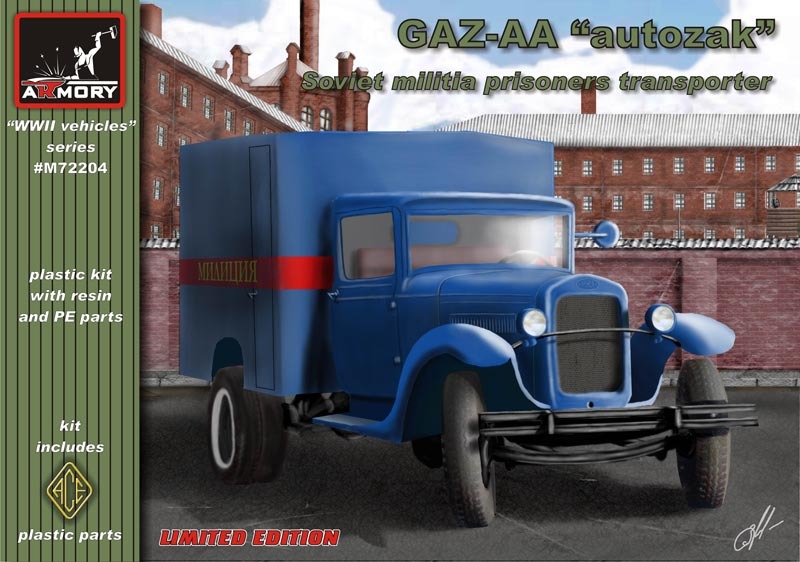 Kit AR PE7206 - Gaz-MI Emka staff car - for Ace. 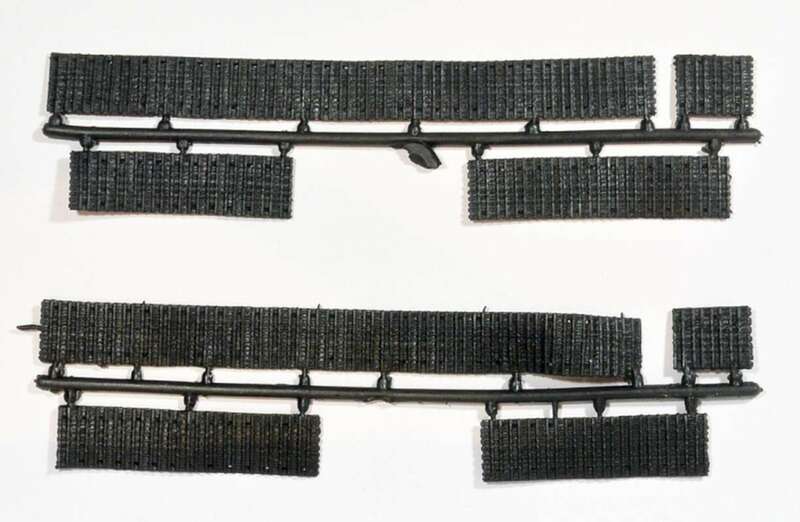 Kit AR PE7207 - GAZ-11-73 staff car detailing set for ACE kit. 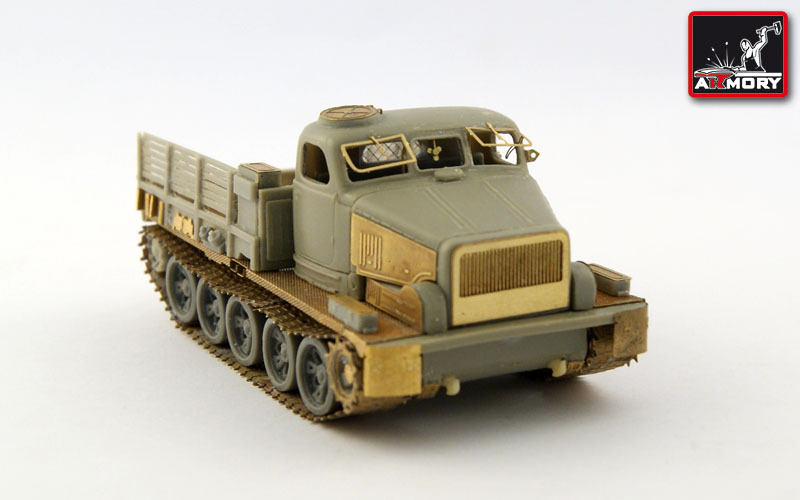 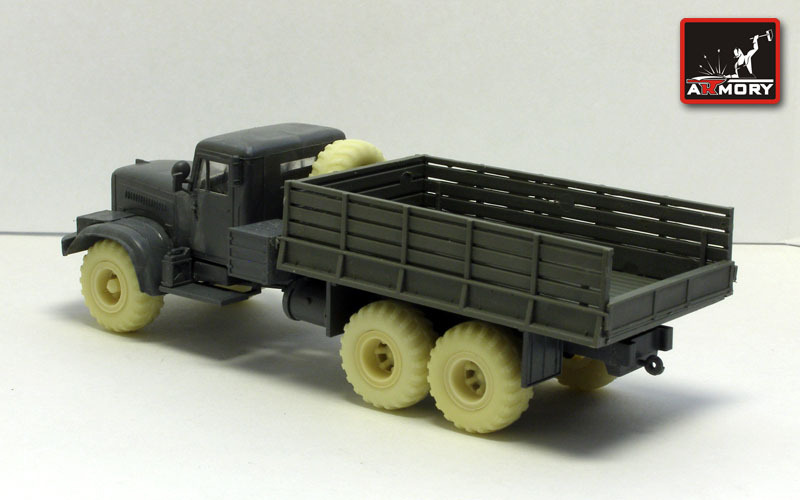 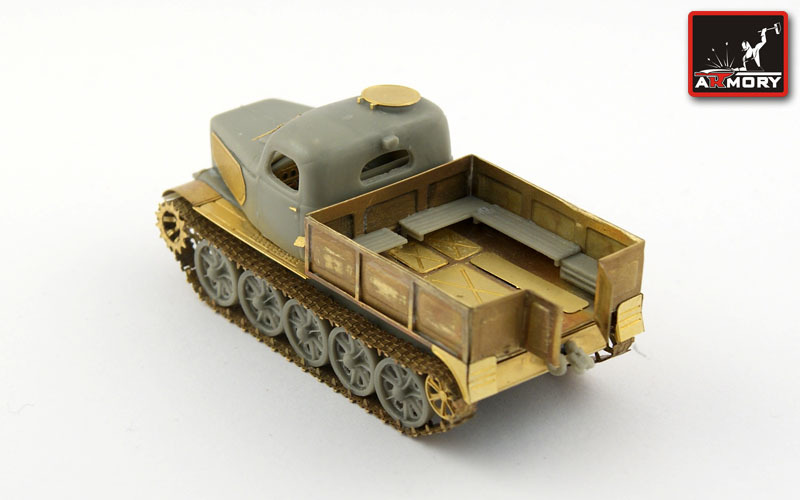 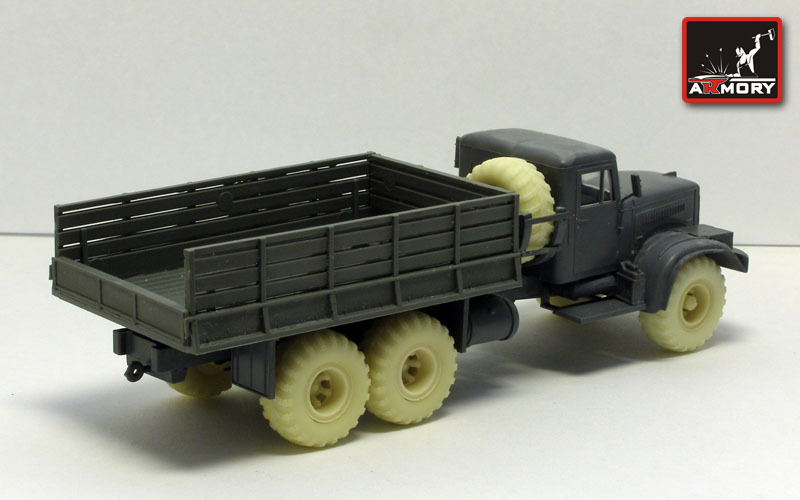 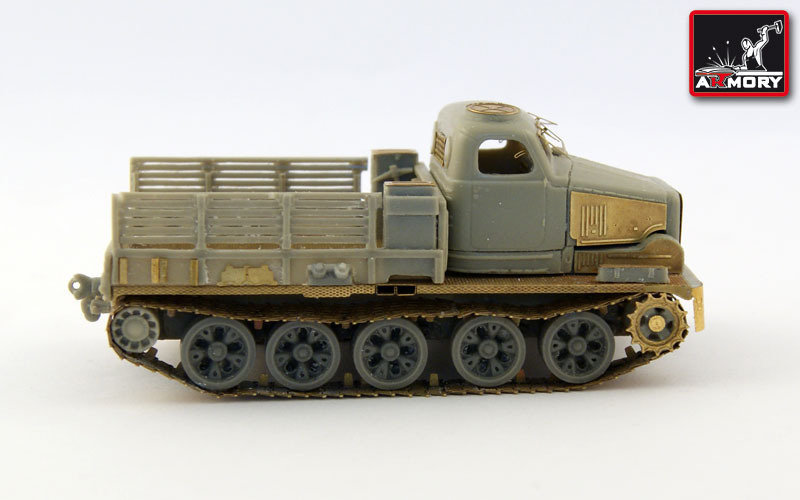 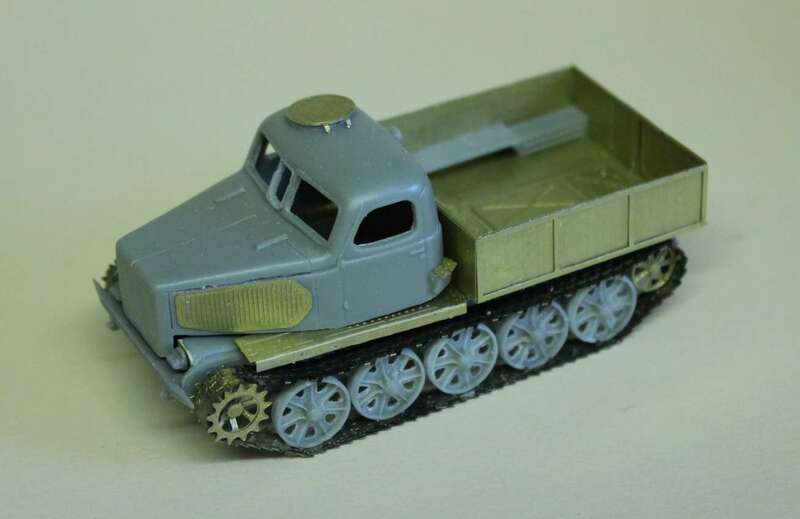 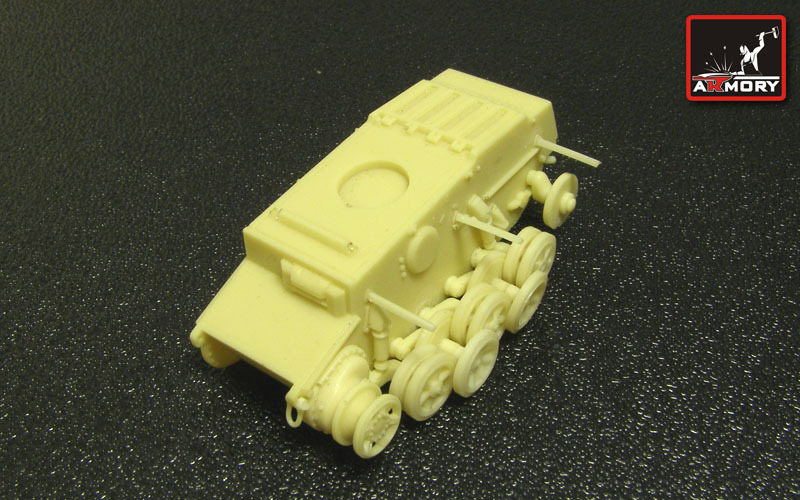 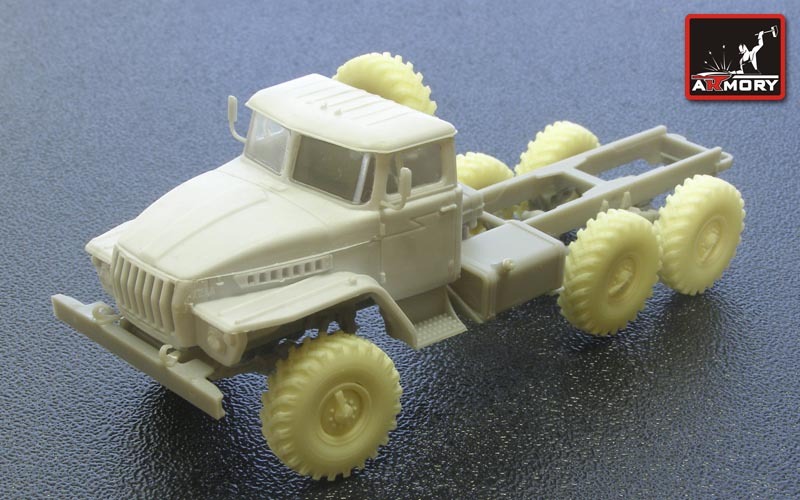 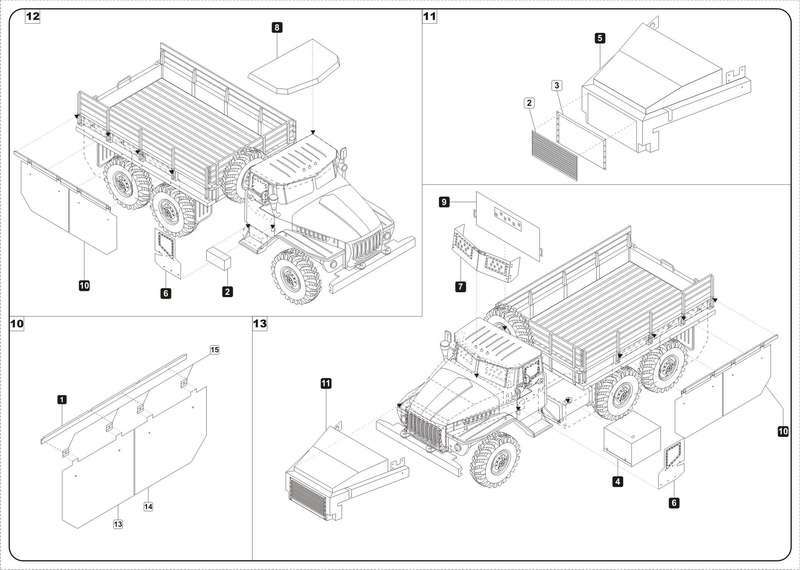 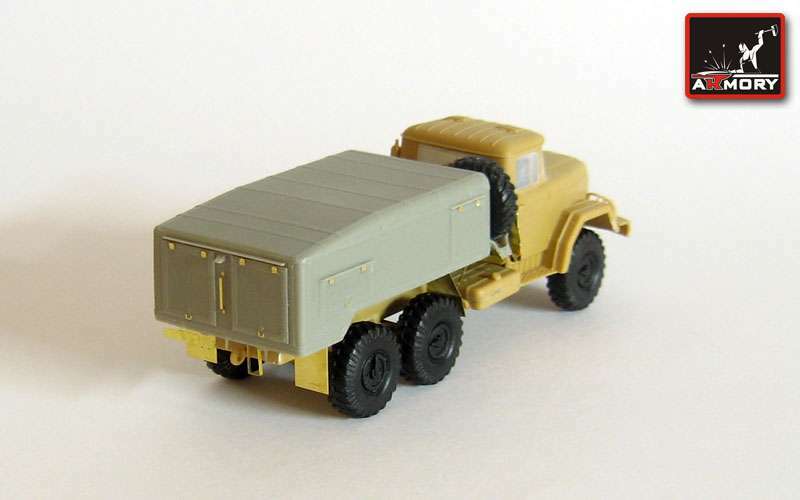 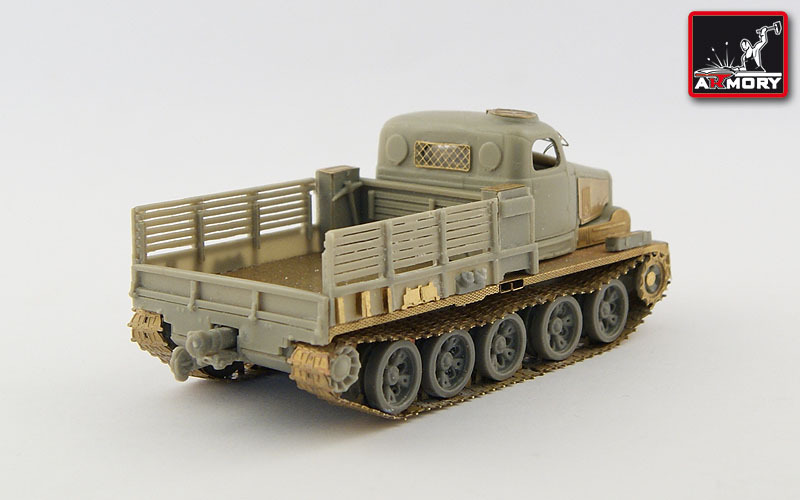 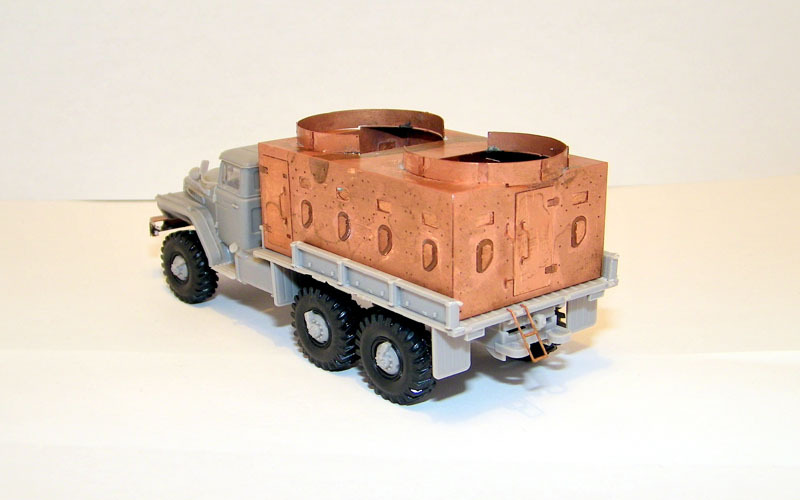 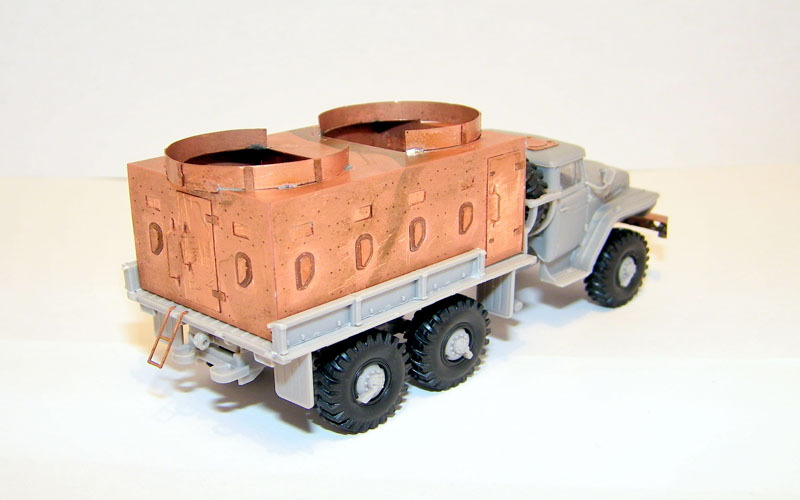 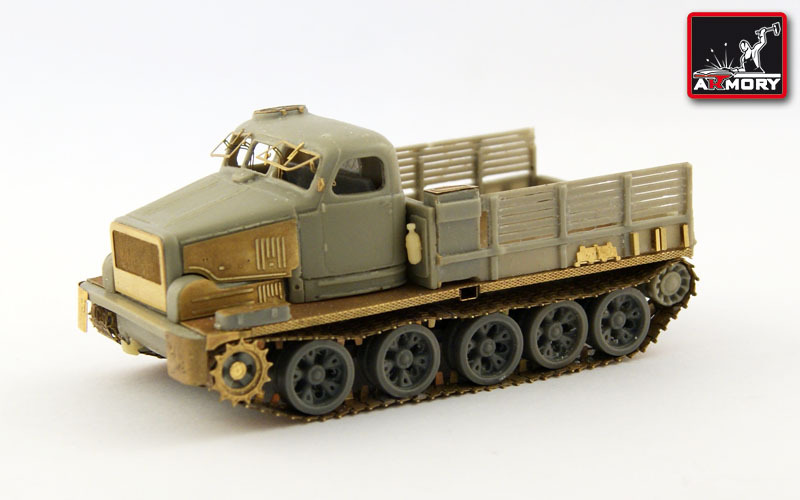 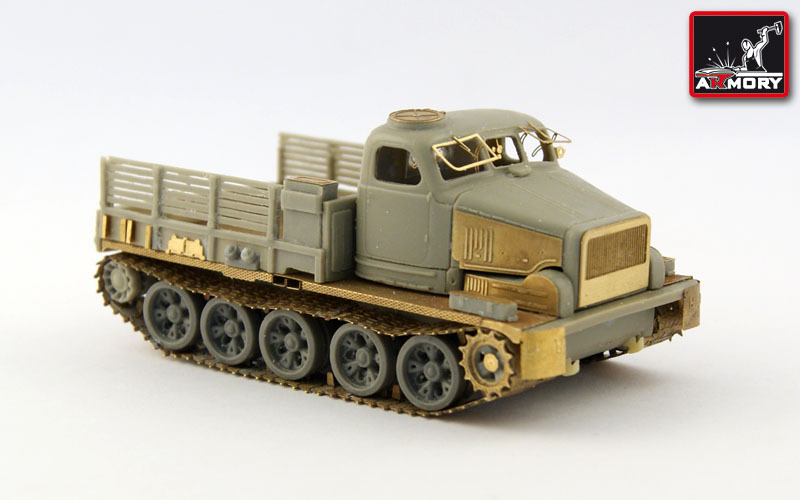 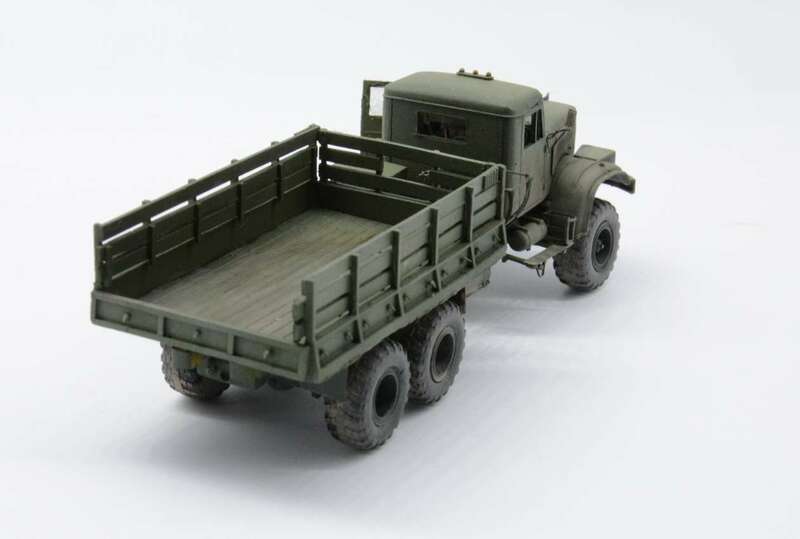 Kit AR PE7208 - Ural 4320 cargo with armor plates - conversion for ICM kit. 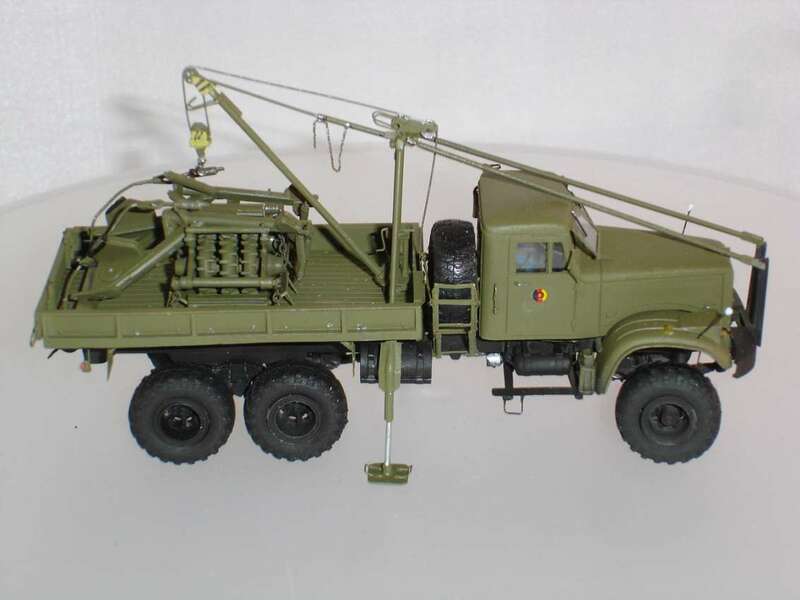 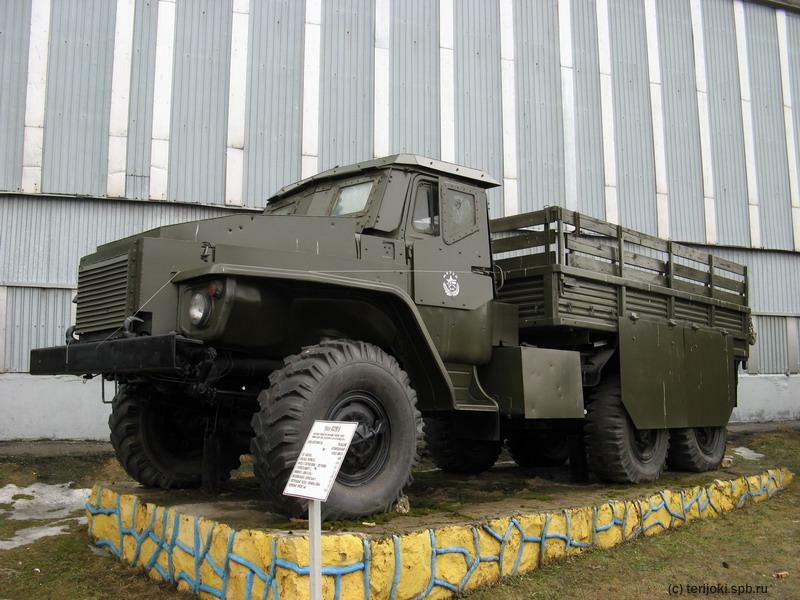 Kit AR PE7210 - Ural-4320 gun truck with barbetts military formations of the Ministry of Internal Affairs of Russian Federation. 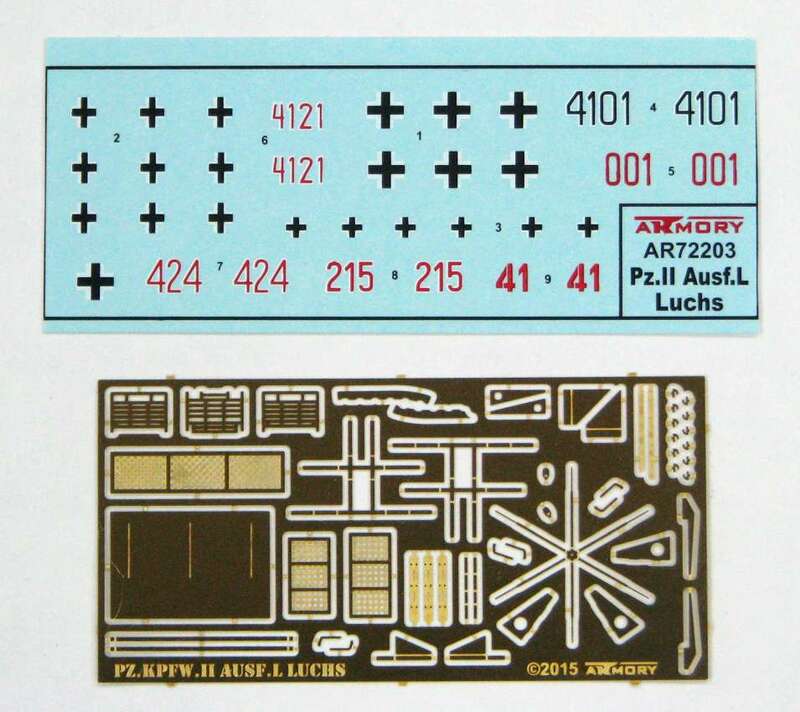 Kit AR PE7211 - FlaK 30 detailing set. 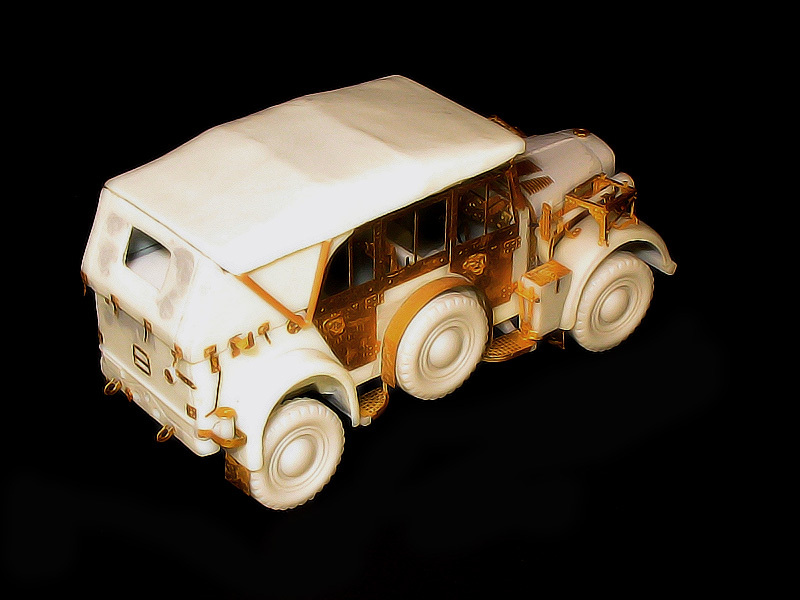 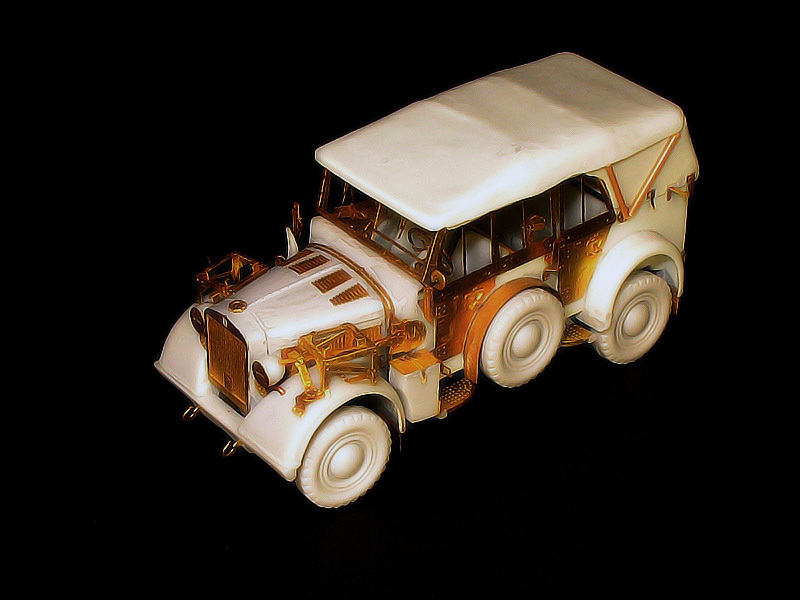 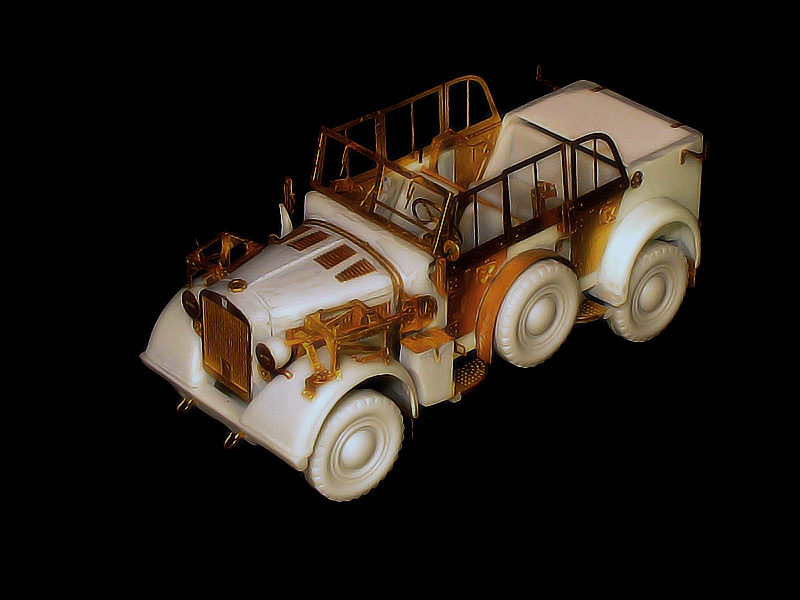 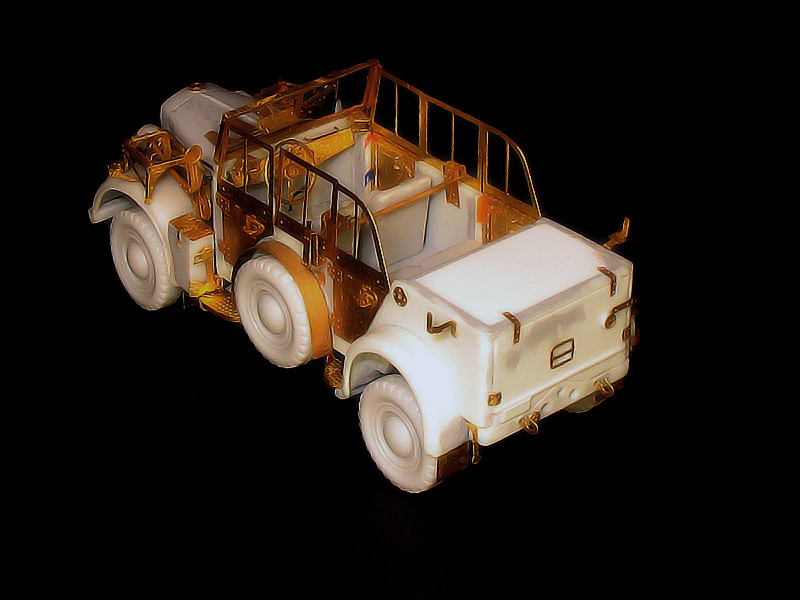 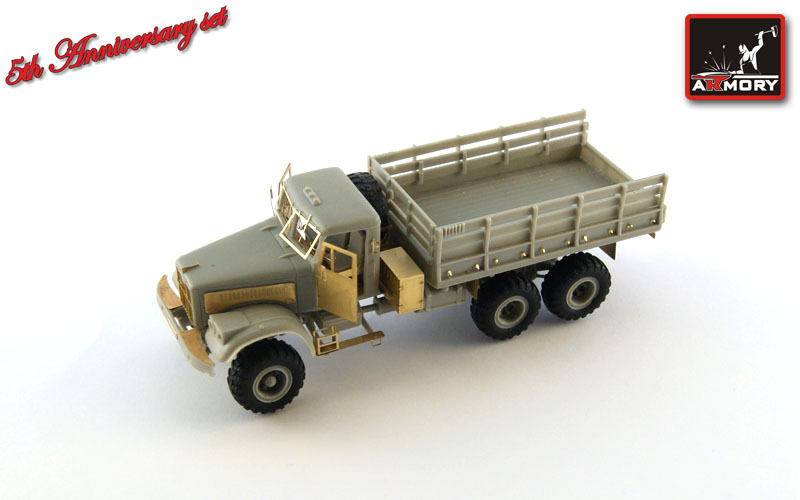 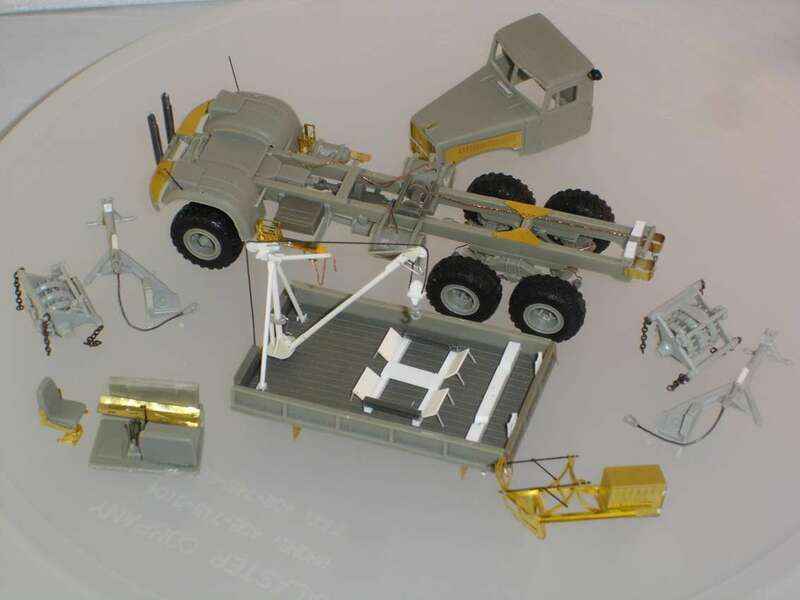 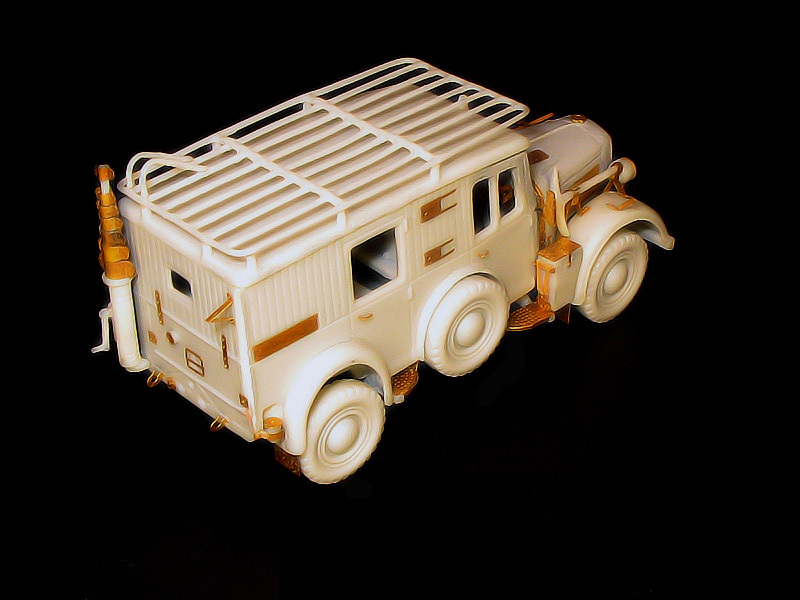 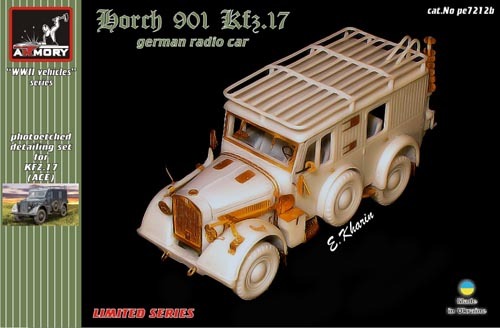 Kit AR PE7212a - Horch 901 Kfz.15 - PE detailing set. 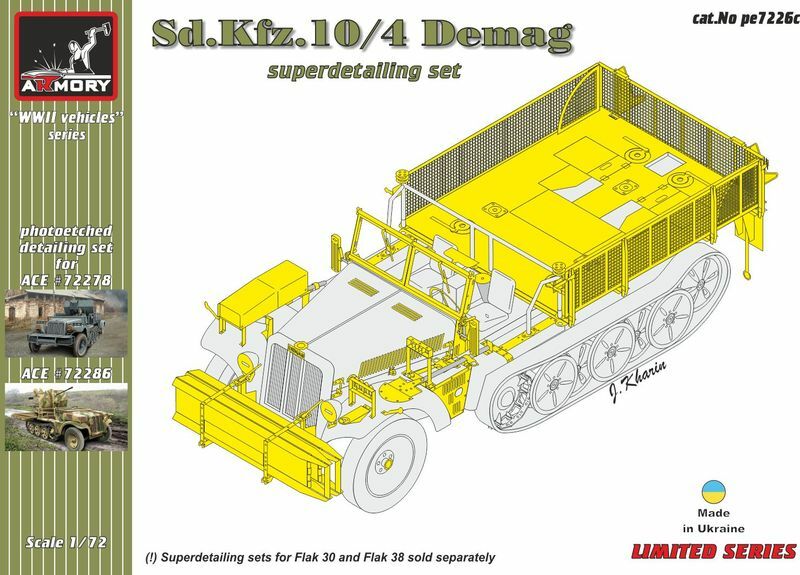 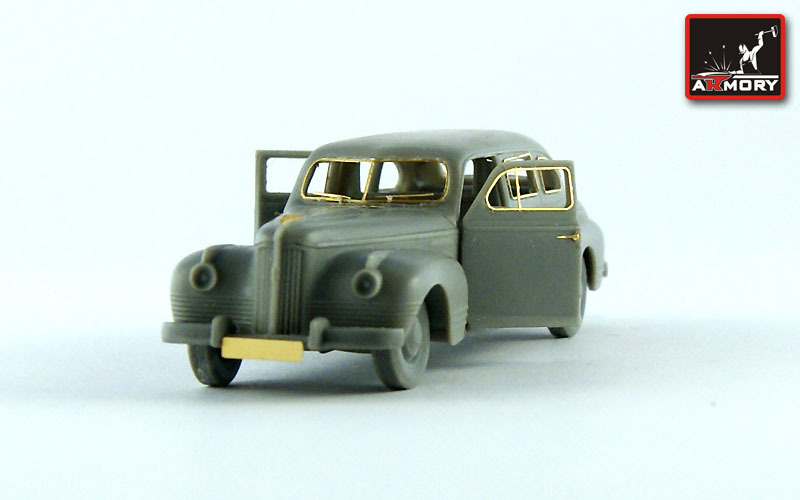 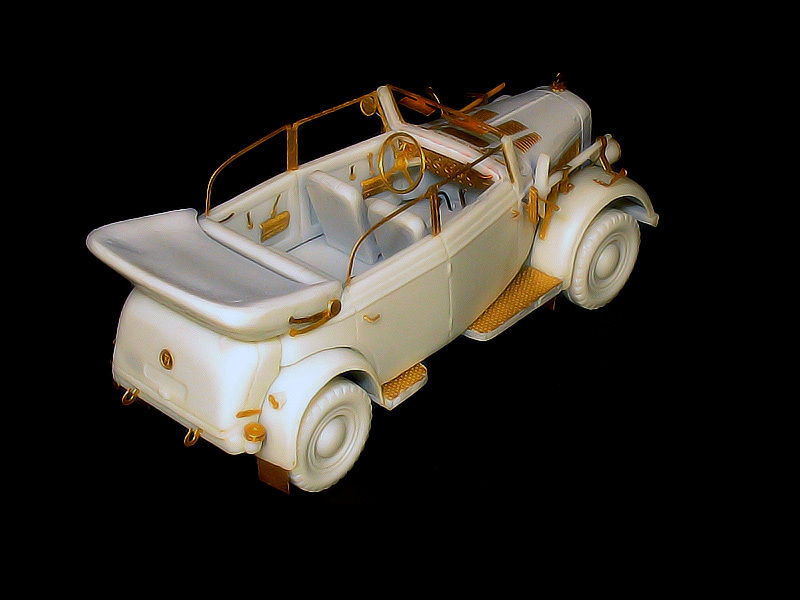 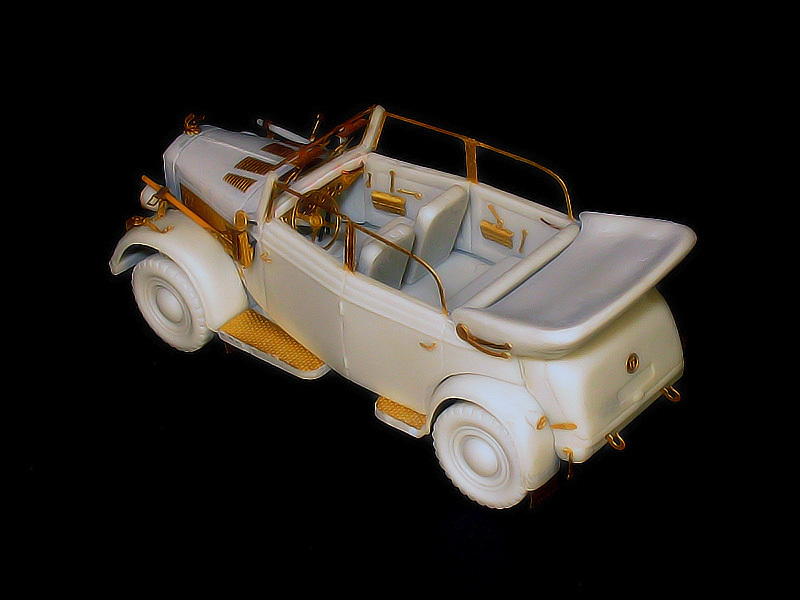 Kit AR PE7212b - Horch 901 Kfz.17 - PE detailing set. 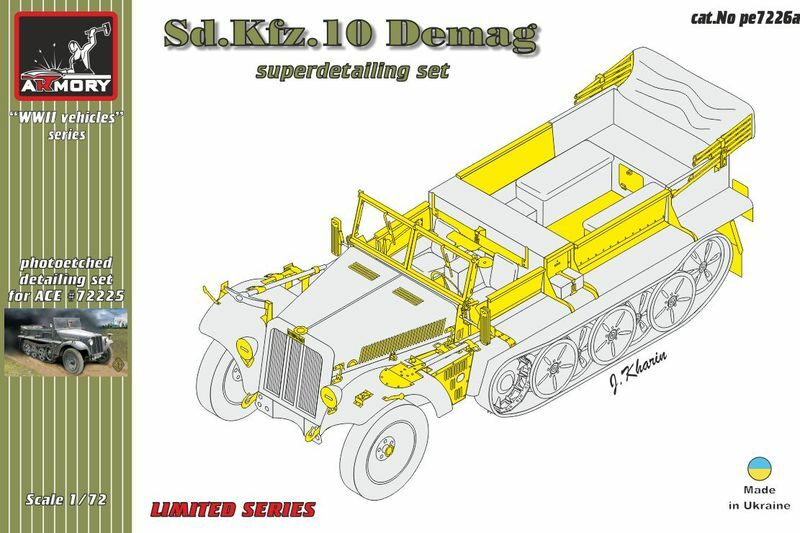 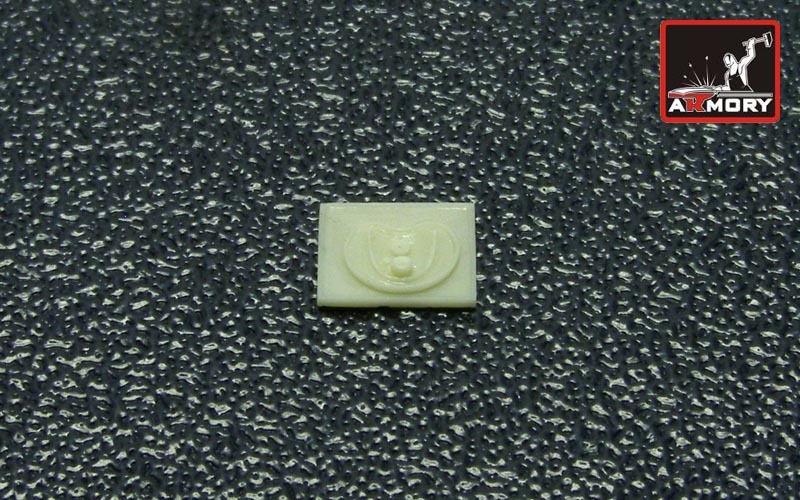 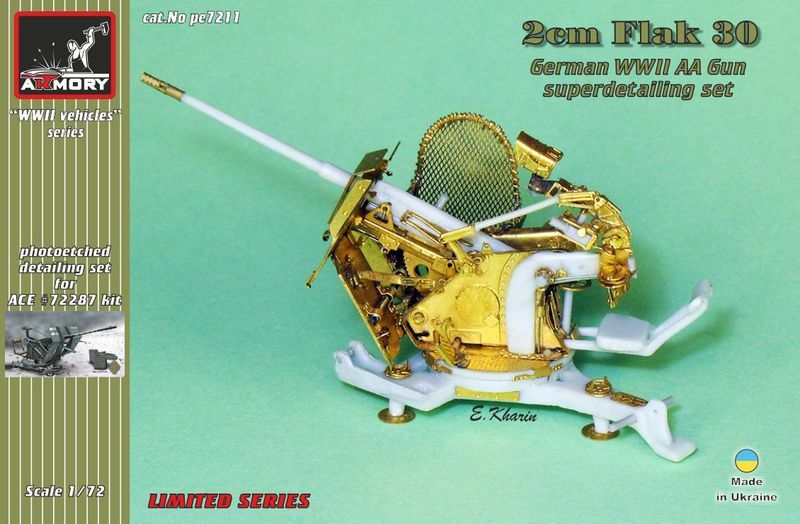 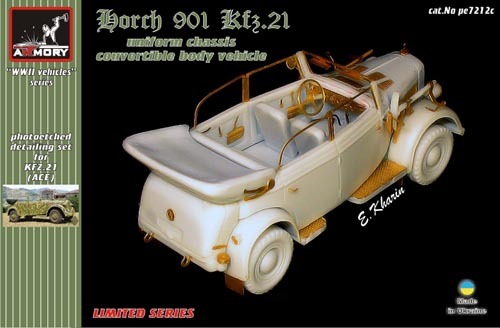 Kit AR PE7212c - Horch 901 Kfz.21 - PE detailing set. 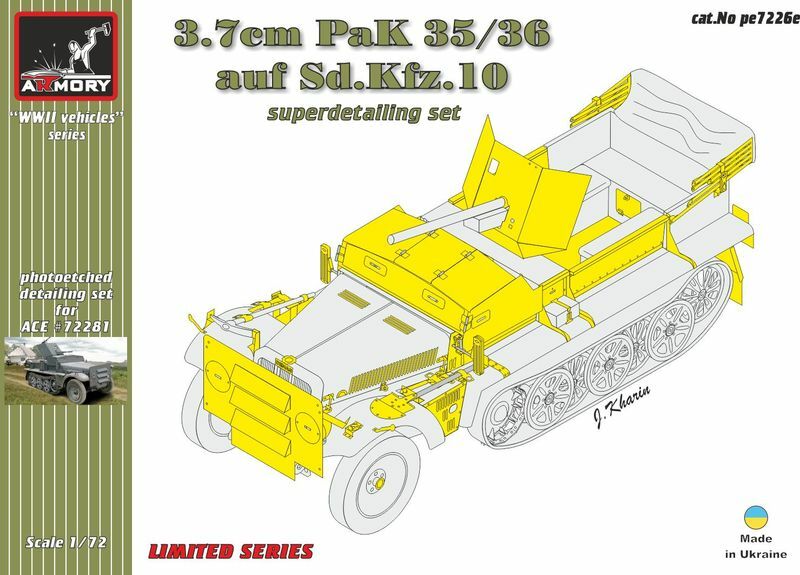 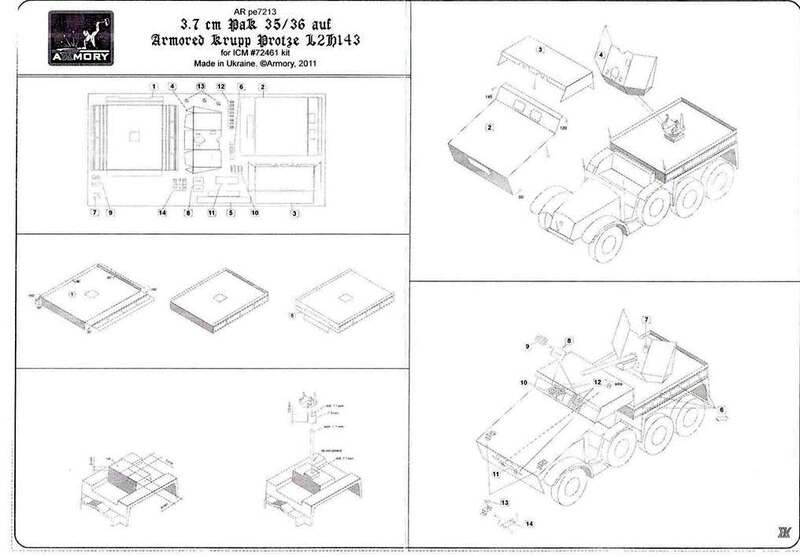 Kit AR PE7213 - Kfz.69 Krupp Protze with 3.7cm PaK add-on armor - PE conversion set for ICM. 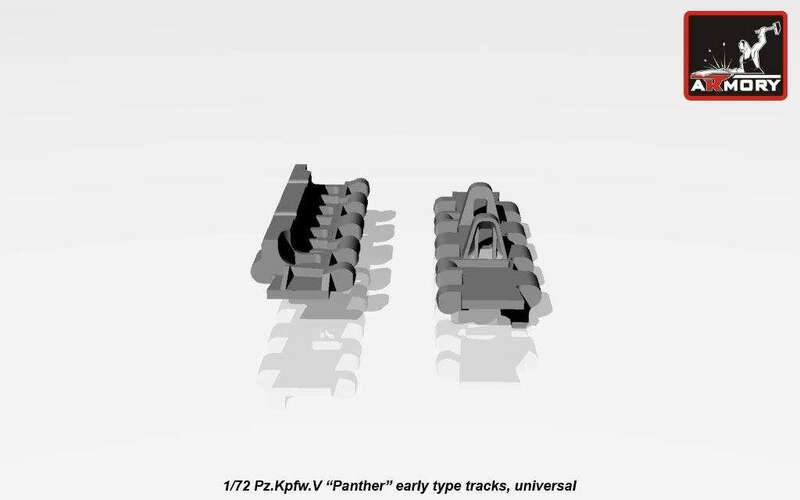 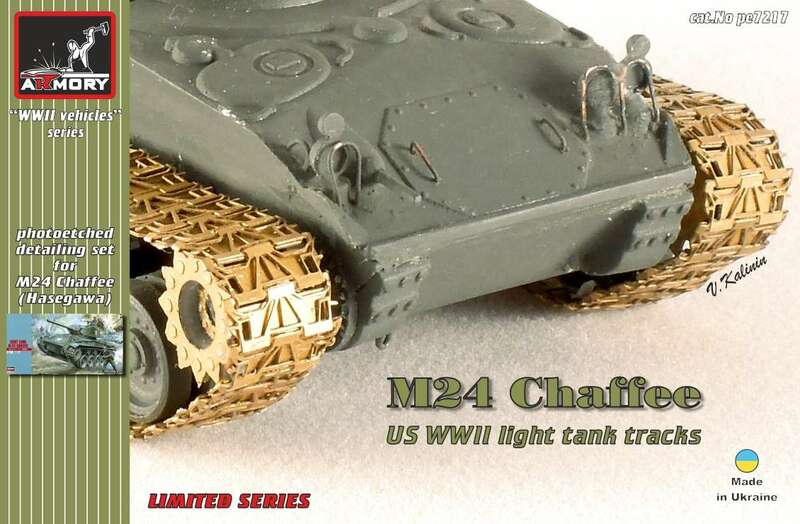 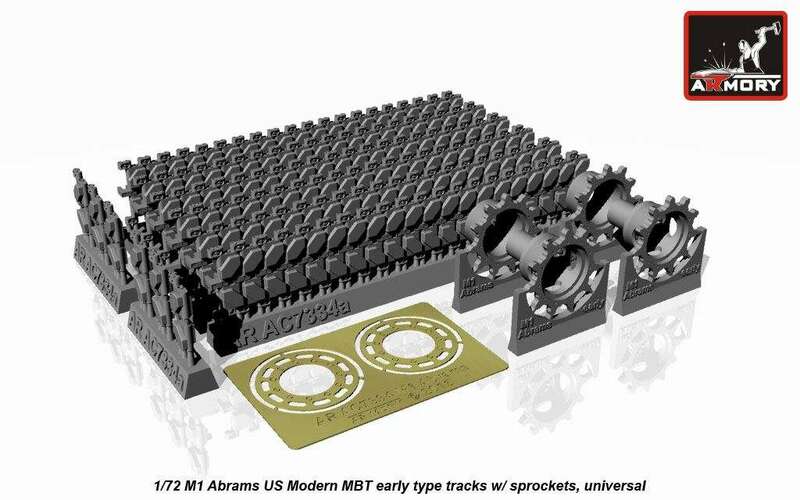 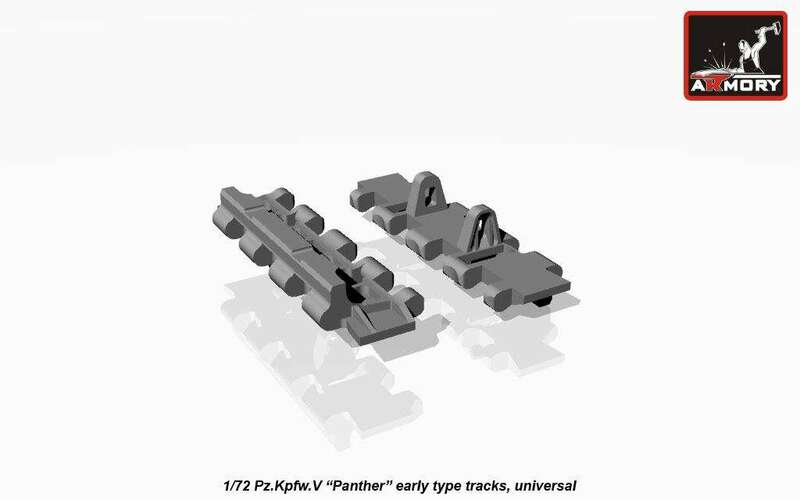 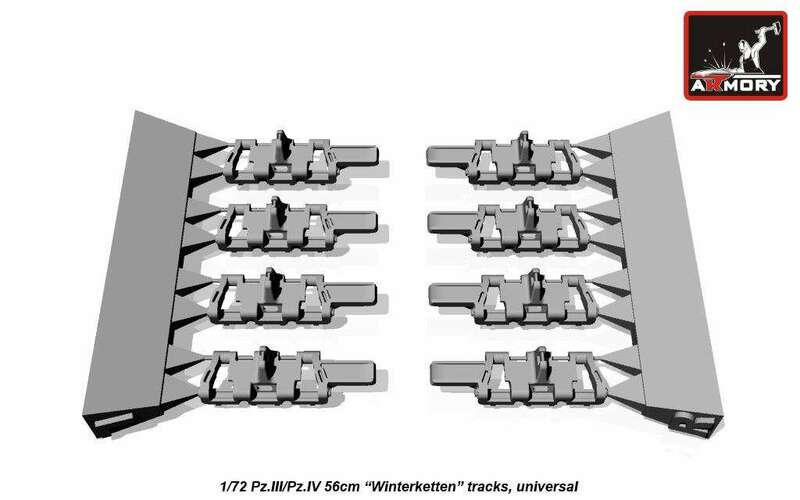 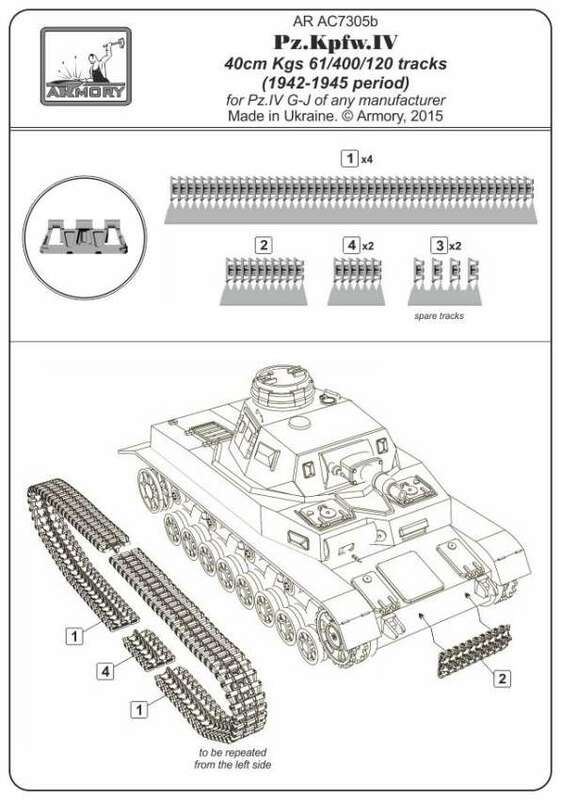 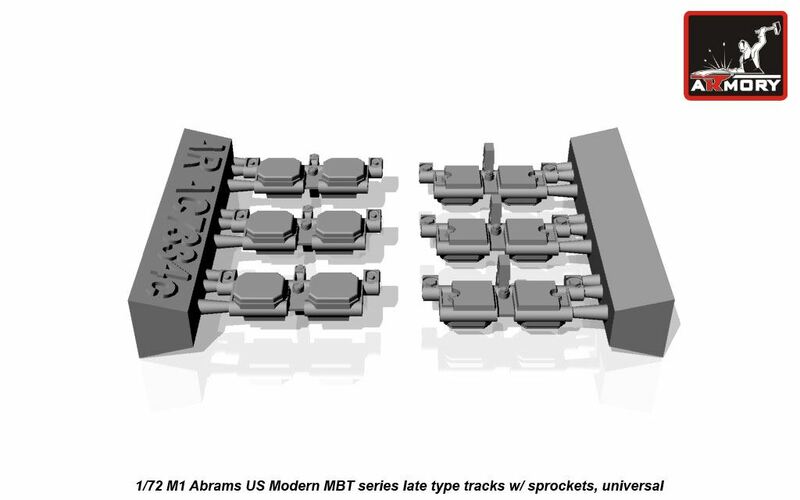 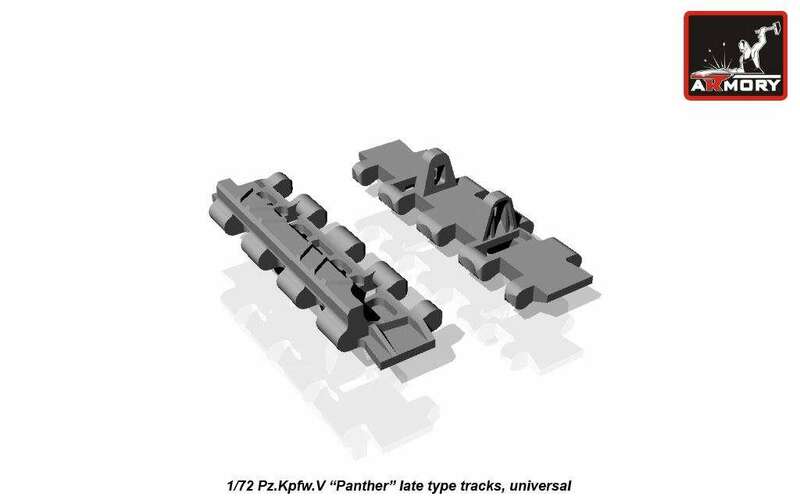 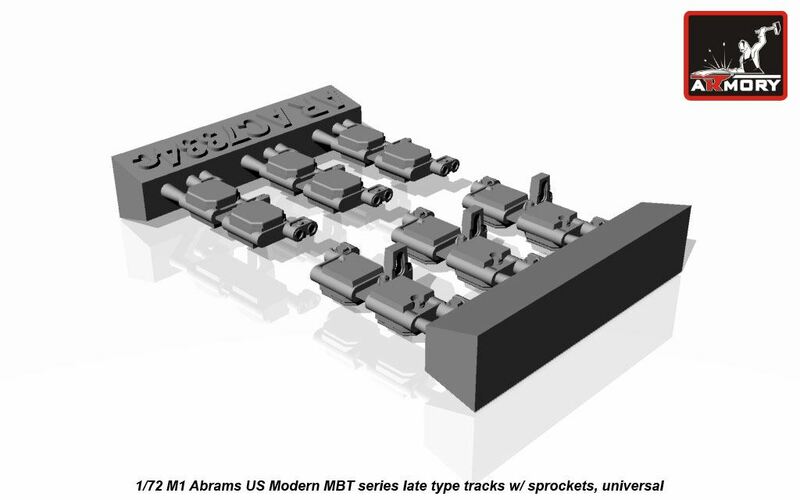 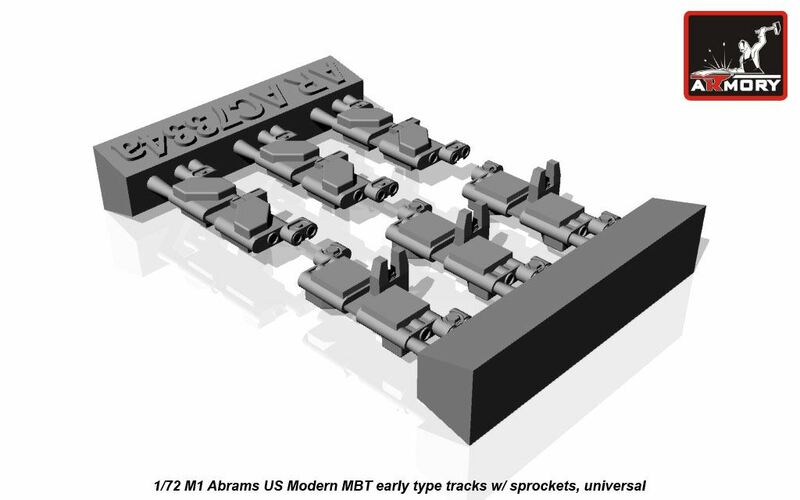 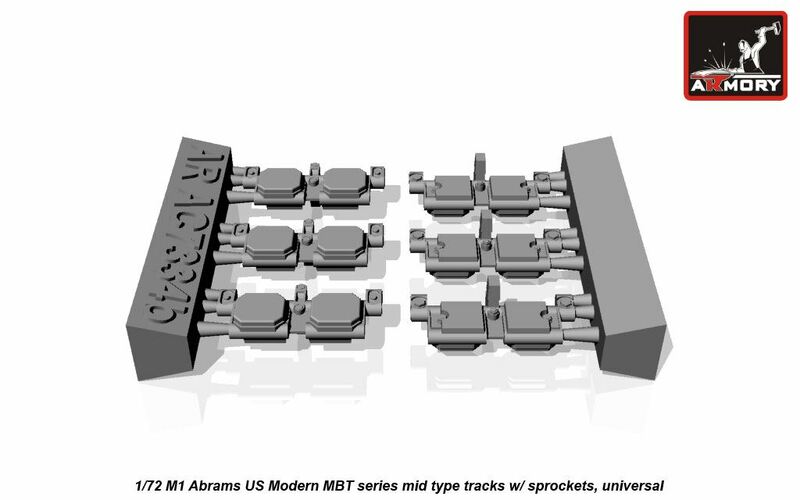 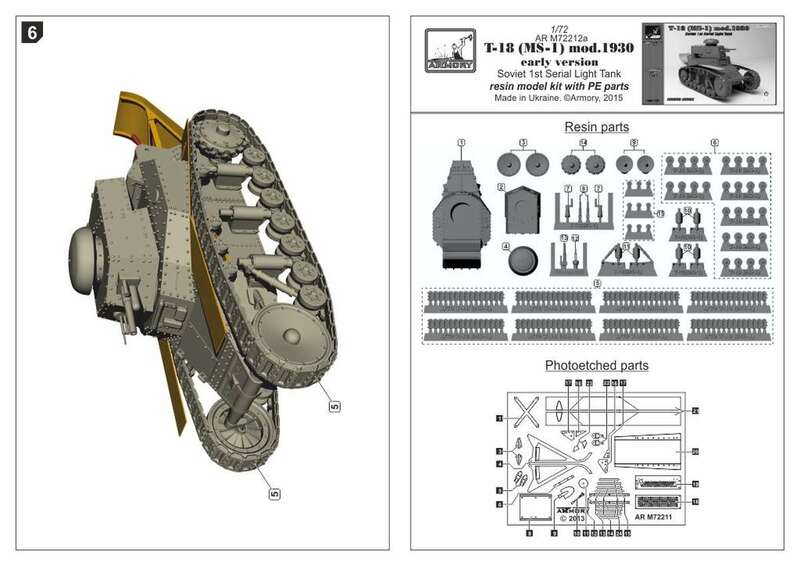 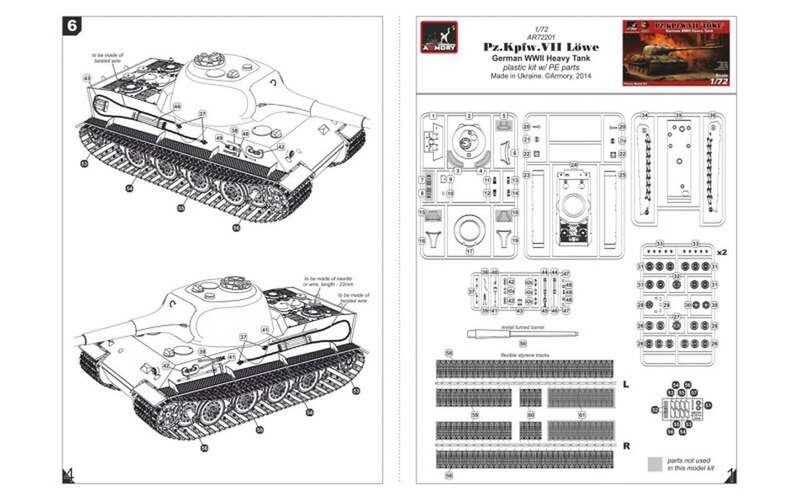 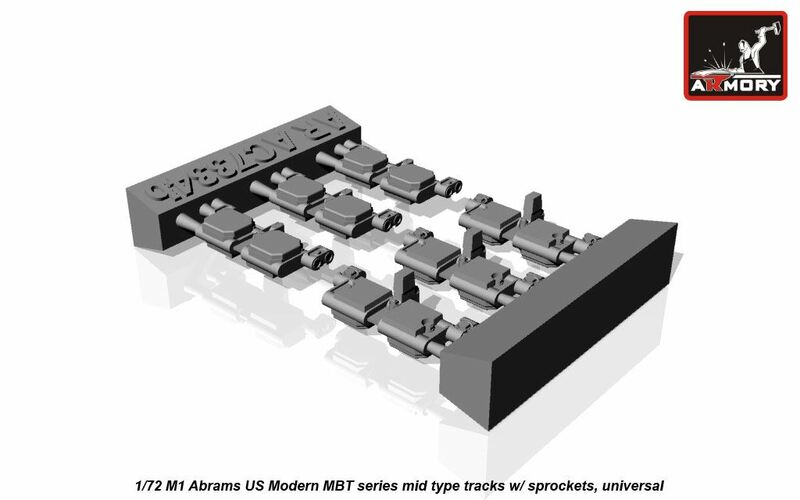 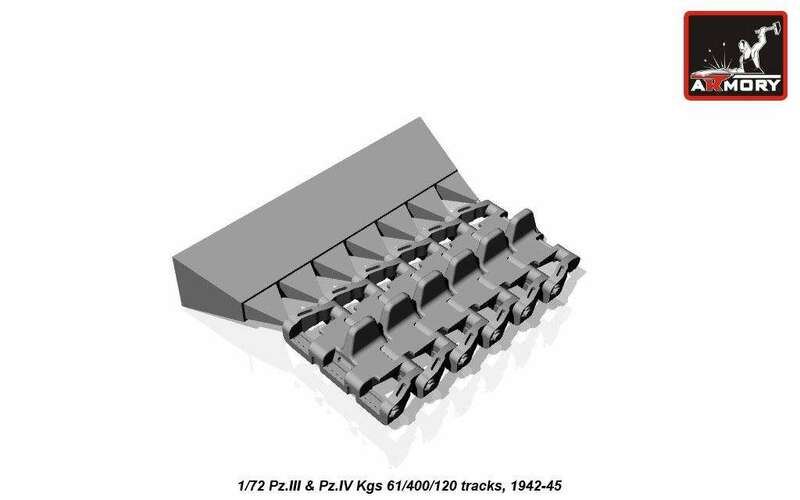 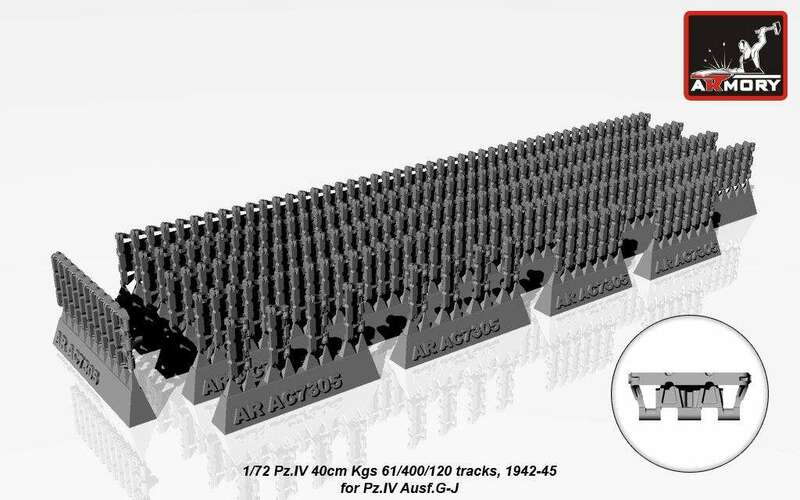 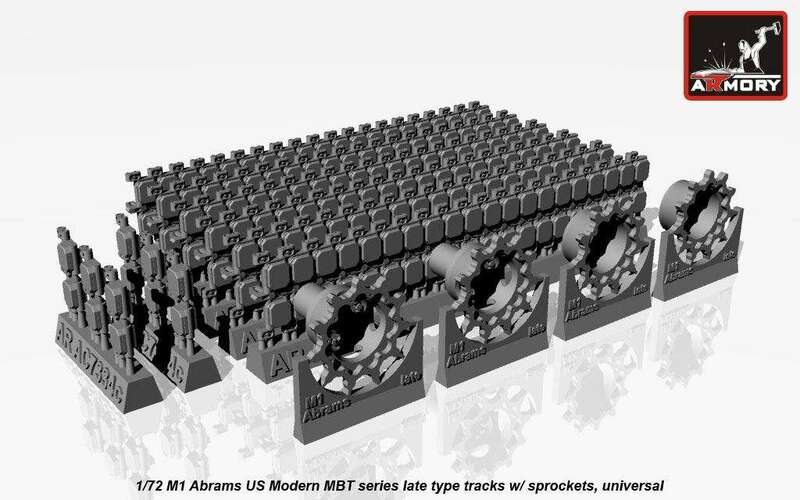 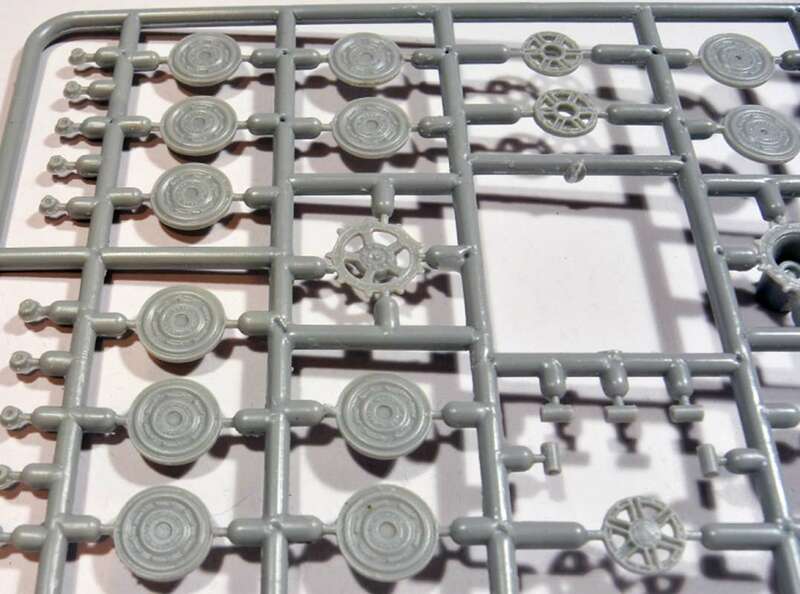 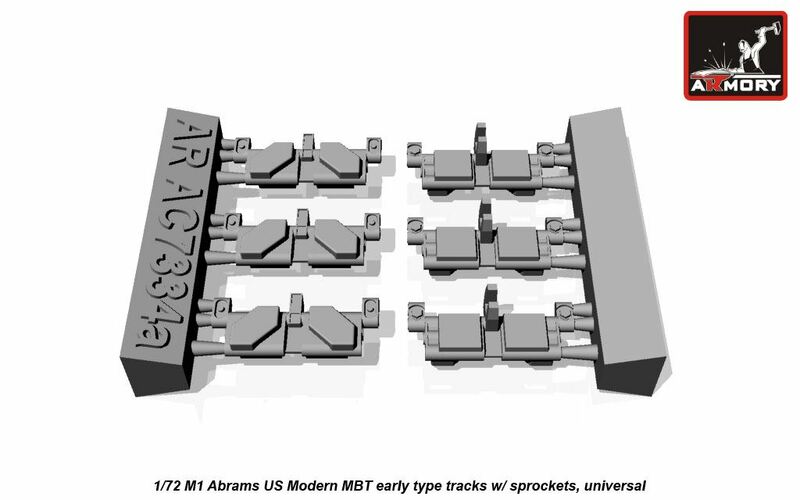 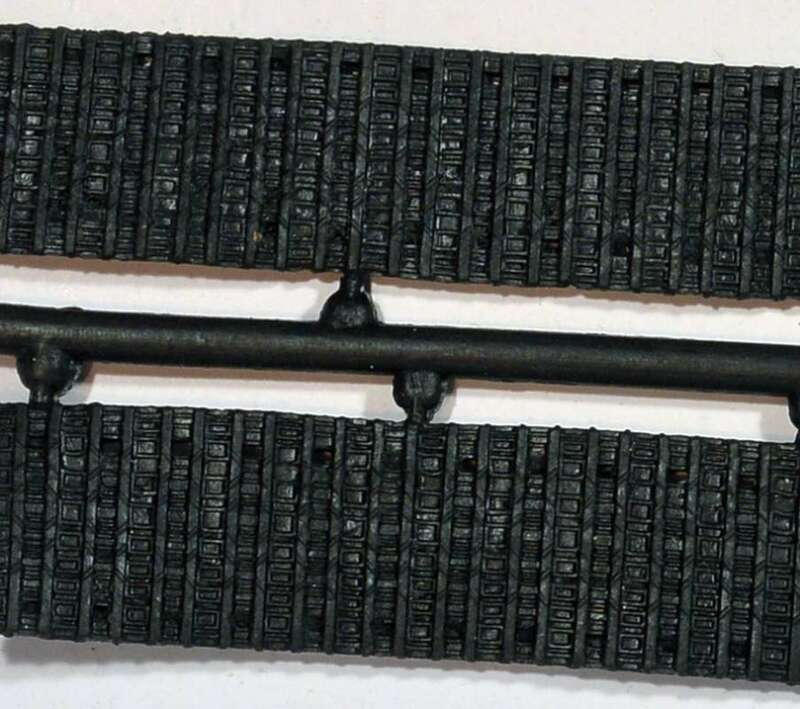 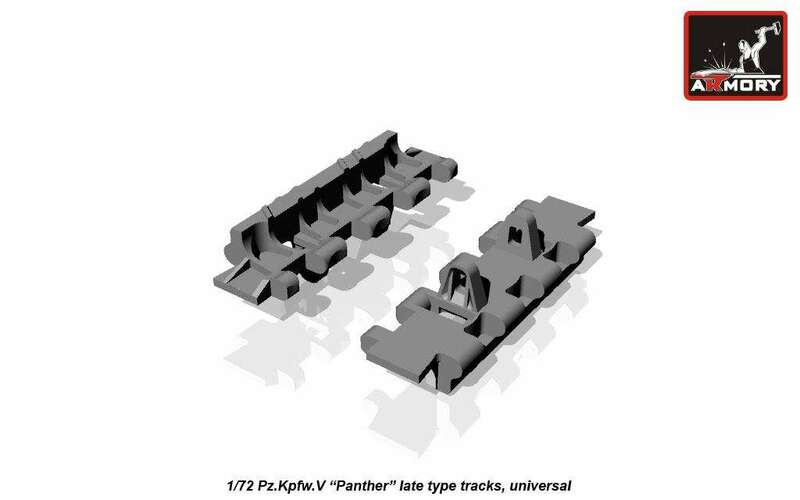 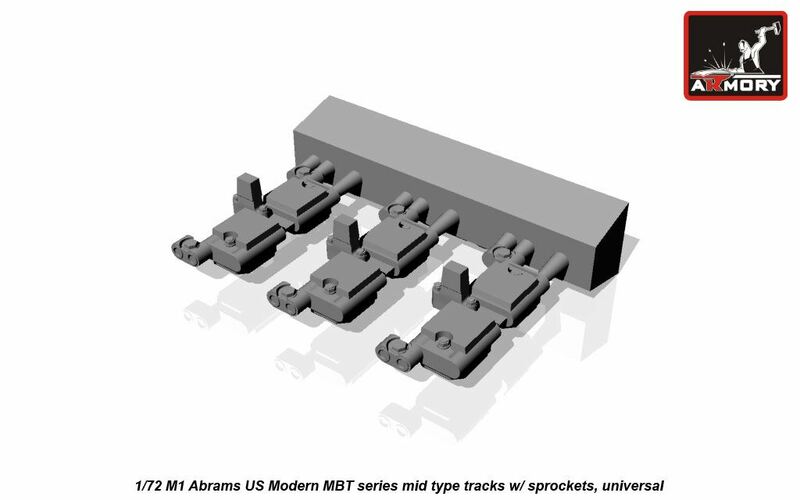 Kit AR PE7217 - M24 Chaffee tracks - PE set. 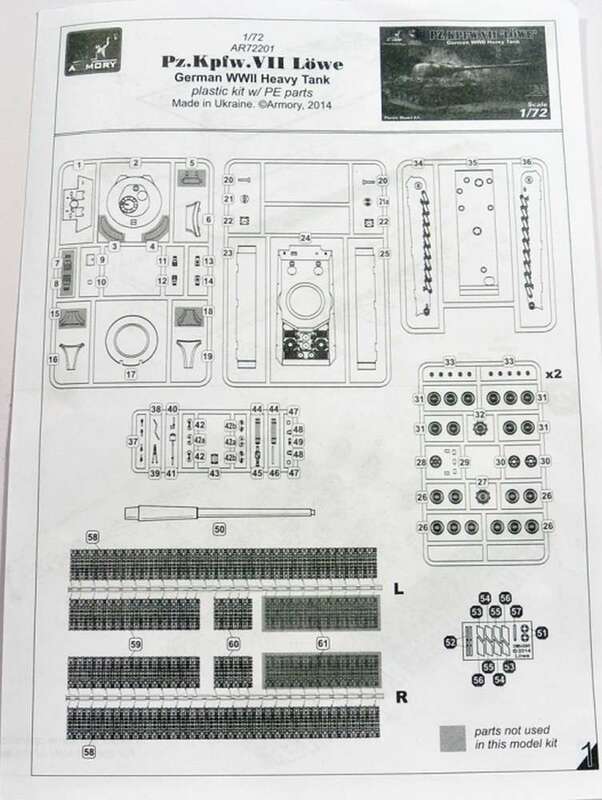 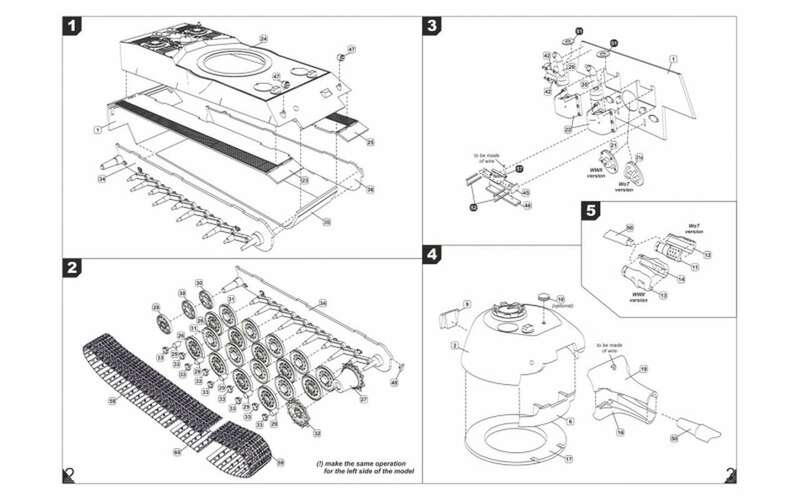 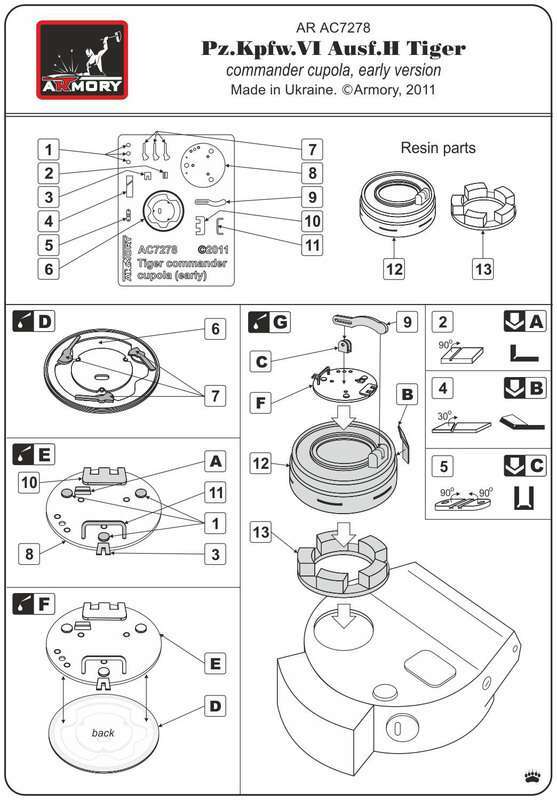 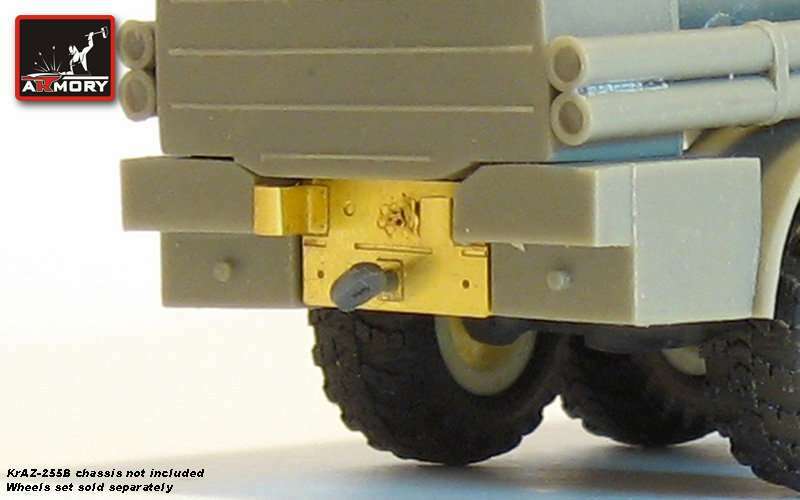 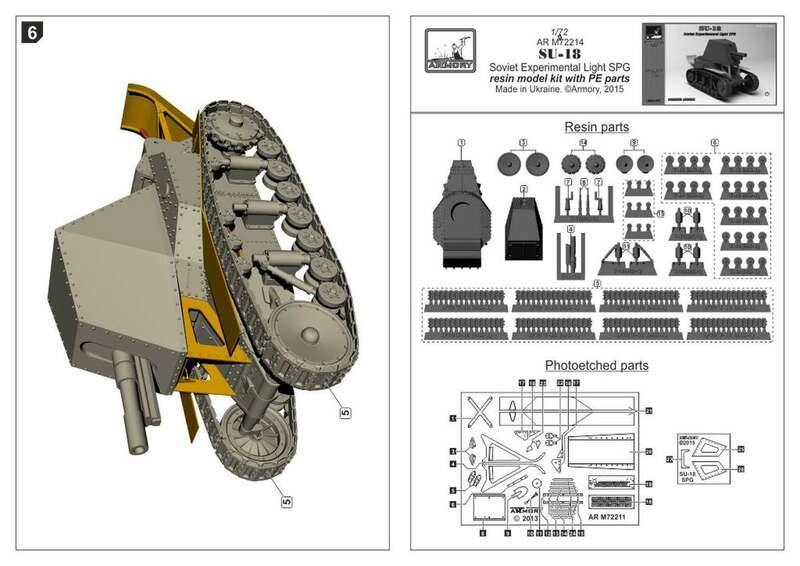 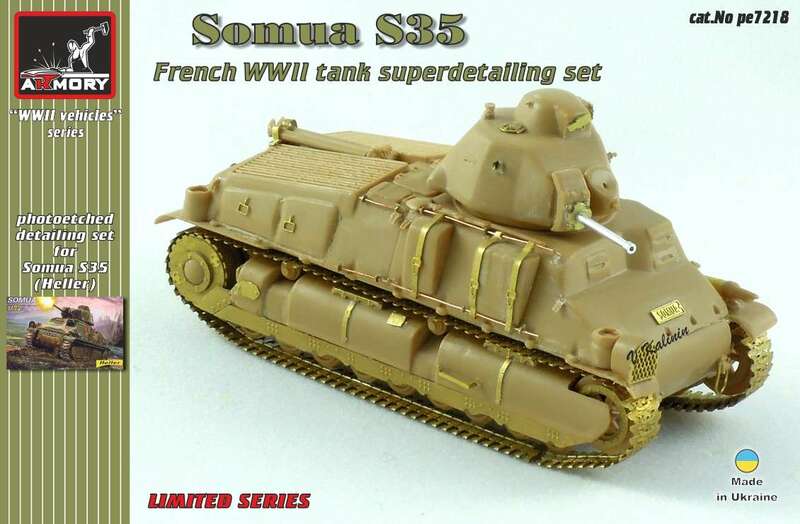 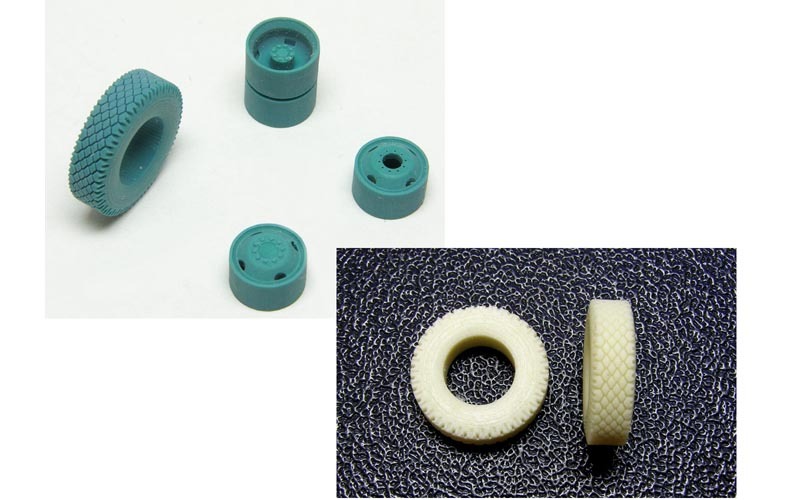 Kit AR PE7218 - Somua S35 details - PE set. 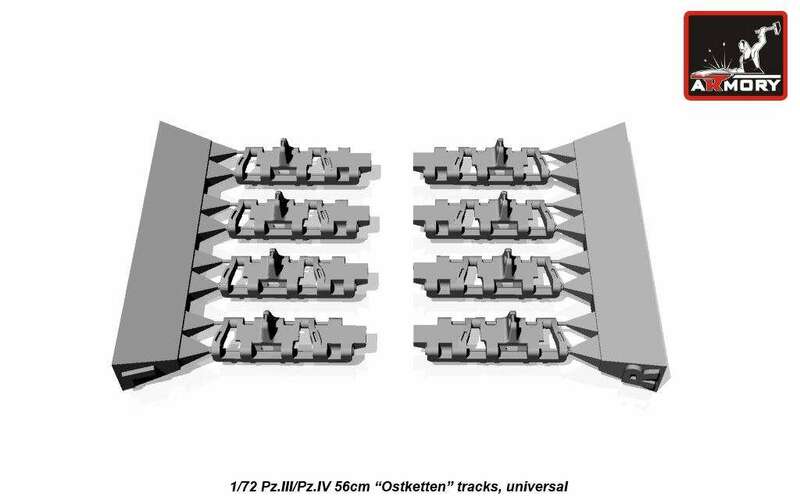 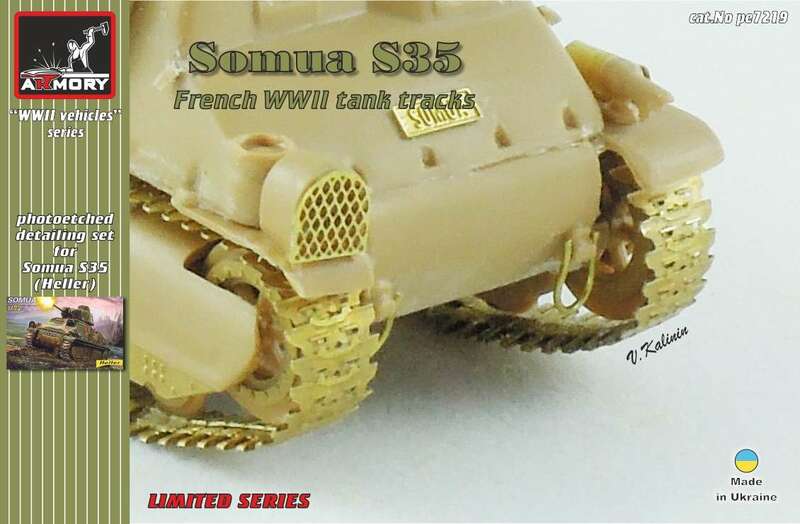 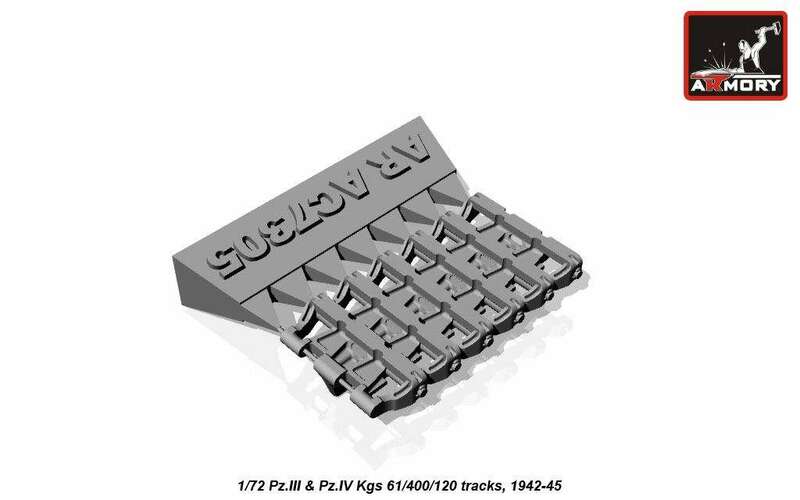 Kit AR PE7219 - Somua S35 tracks - PE set. 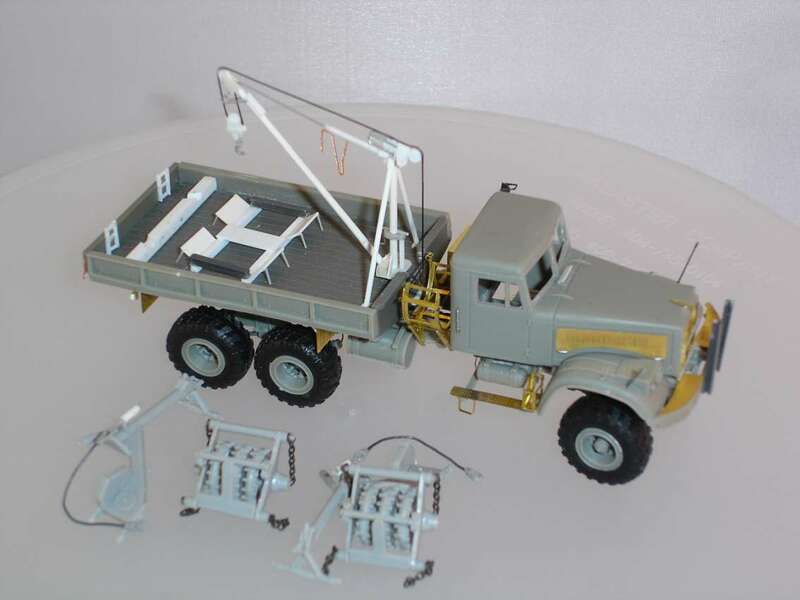 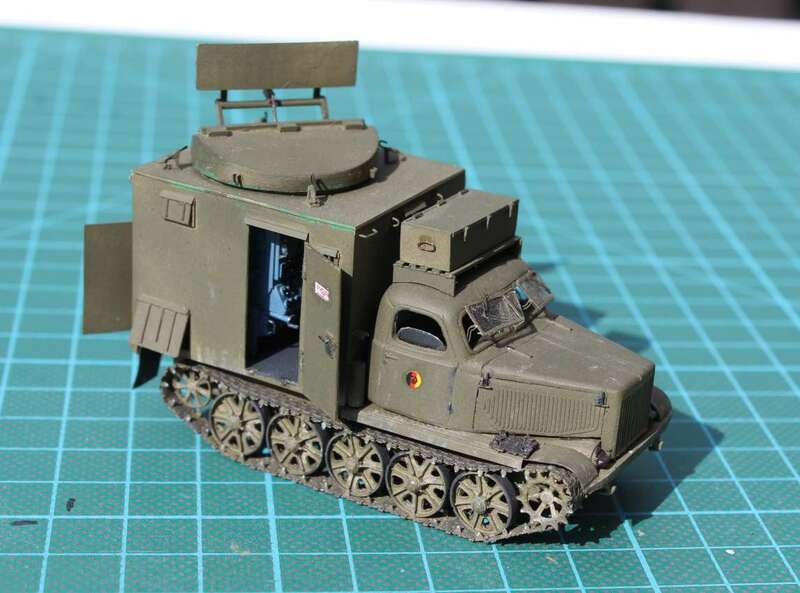 Kit AR PE7226A - Sd.Kfz.10 Demag D7. 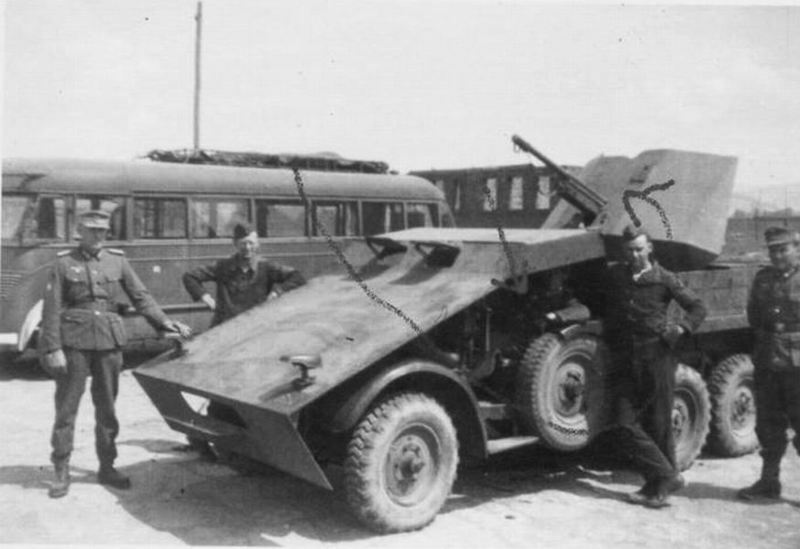 Kit AR PE7226C - Sd.Kfz.10/4 Demag. 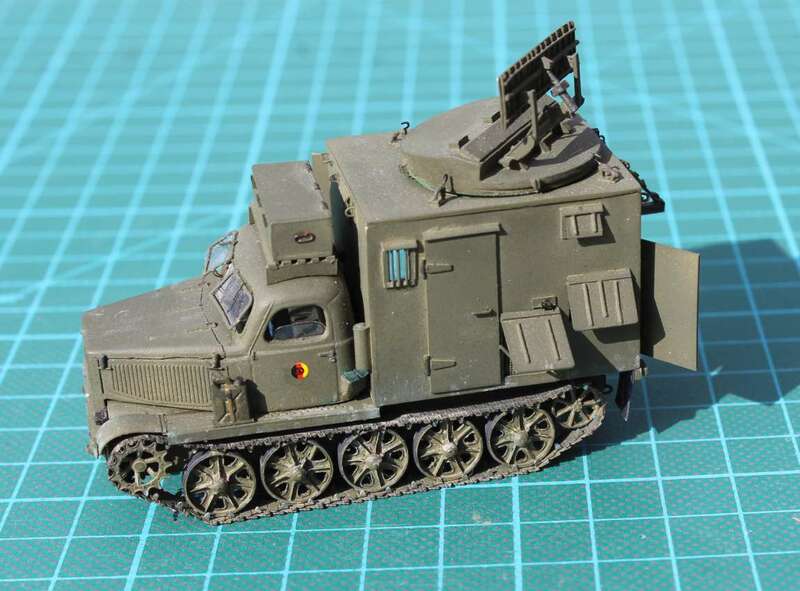 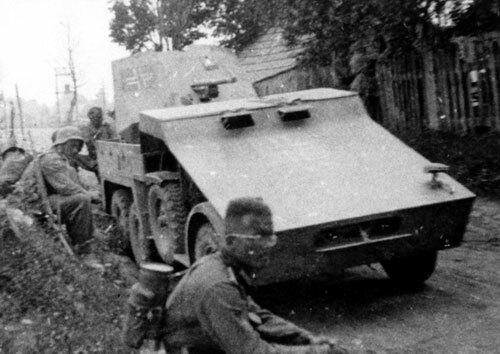 Kit AR PE7226E - 37mm PaK 35/36 auf Sd.Kfz 10. 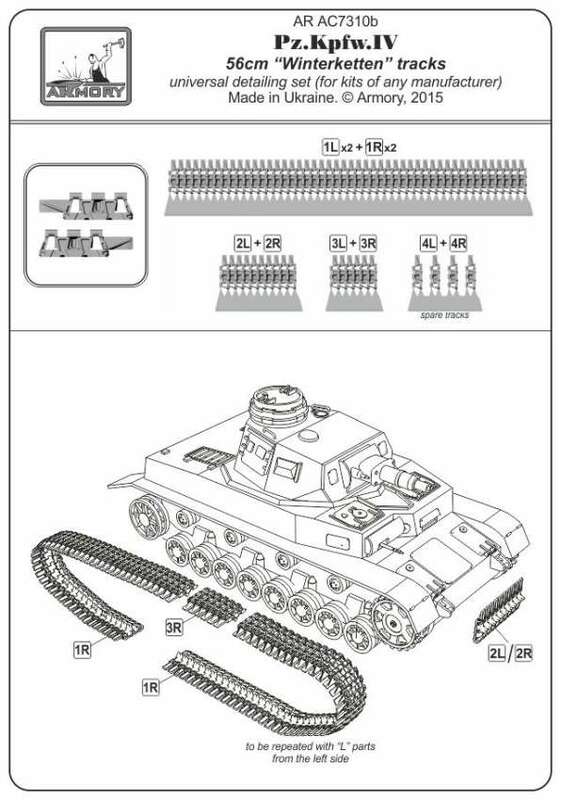 Kit AR PE7238 - T-34 confiscated - universal PE set. 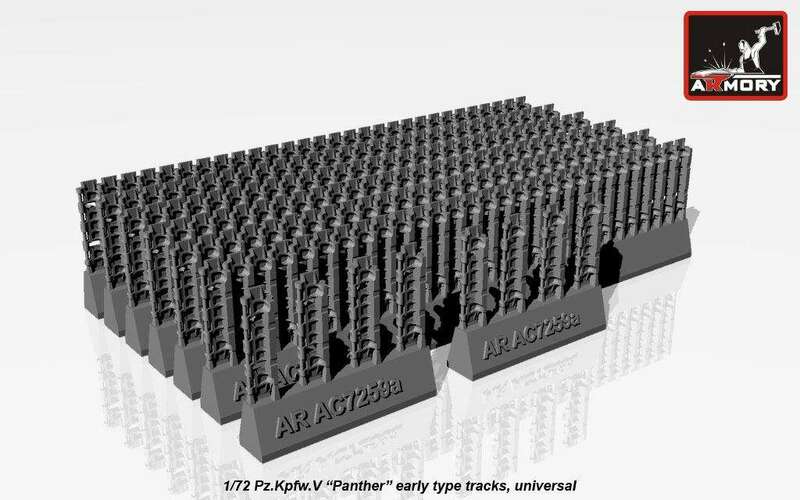 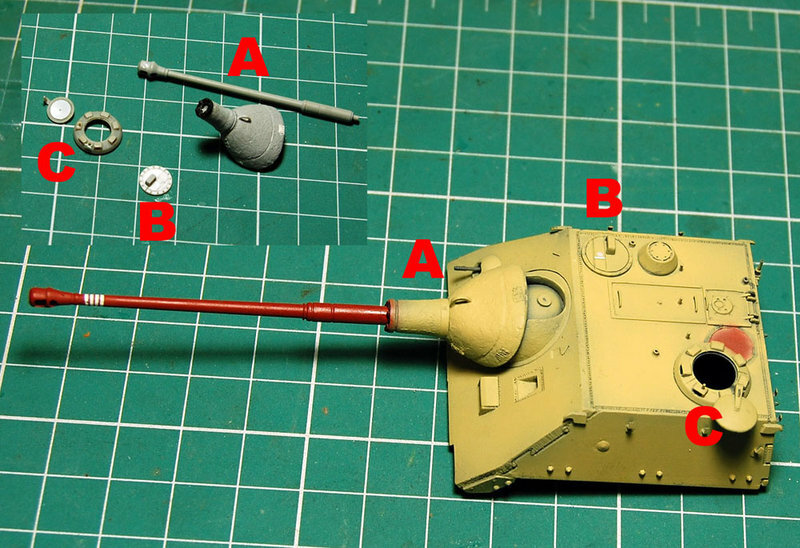 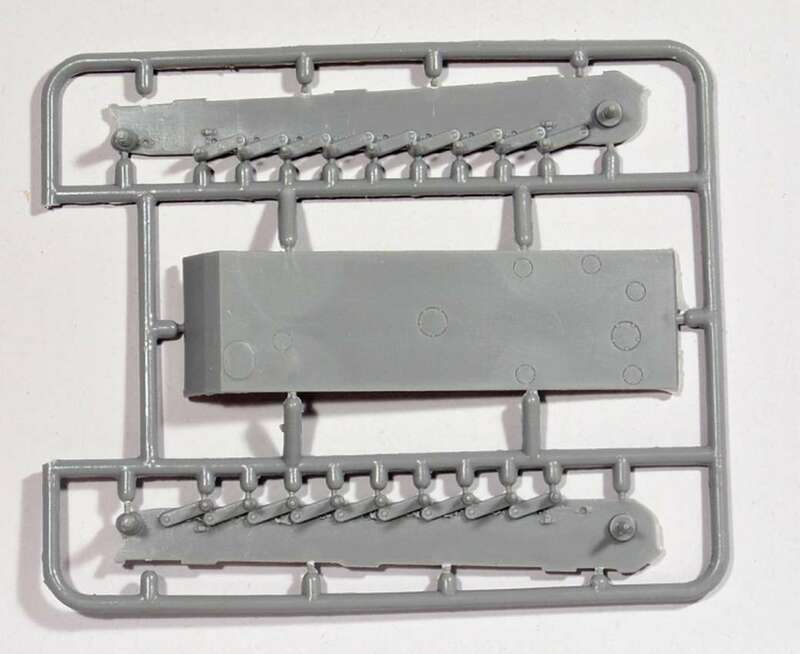 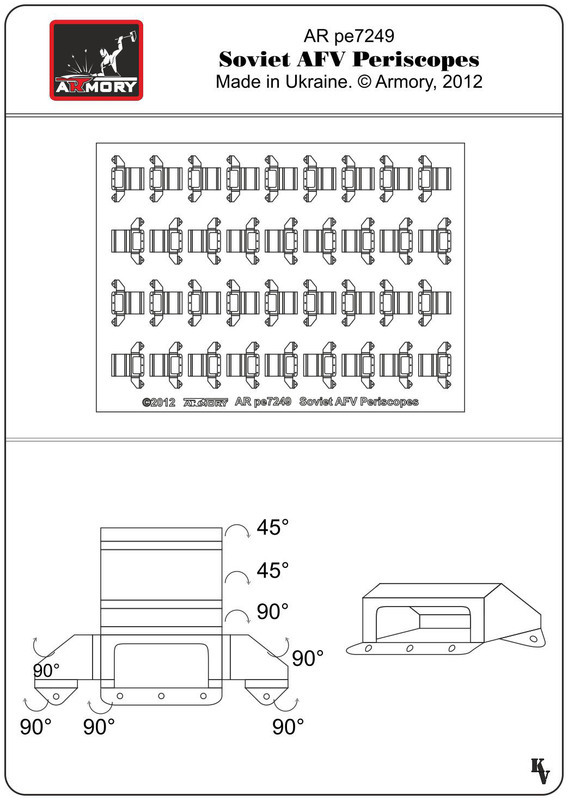 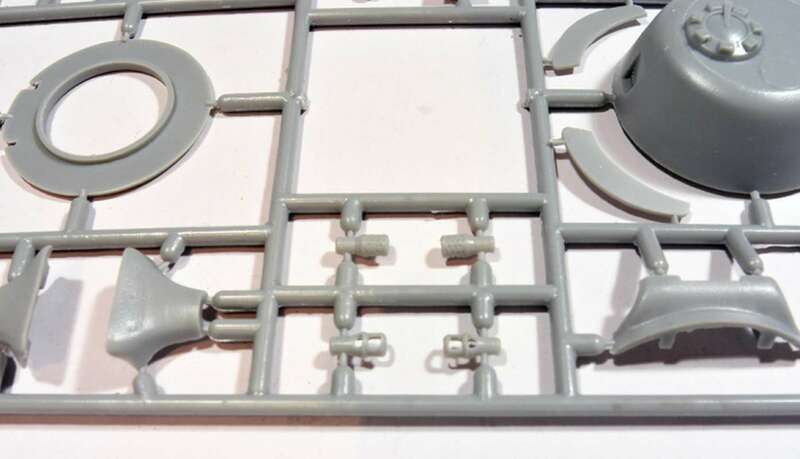 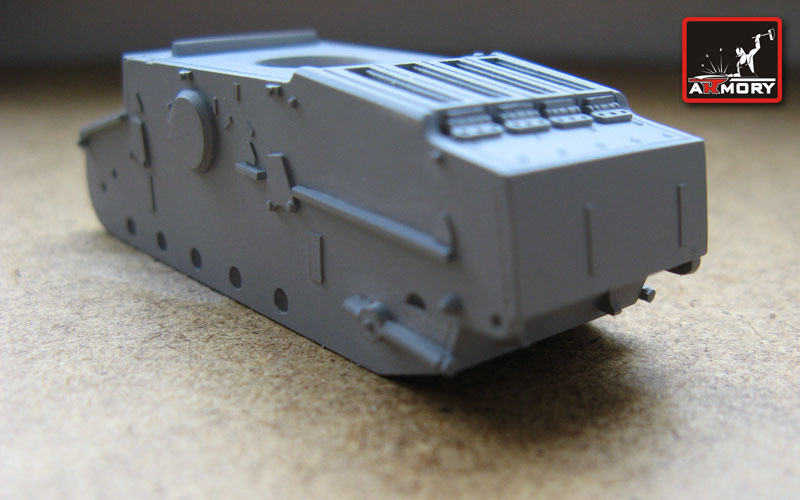 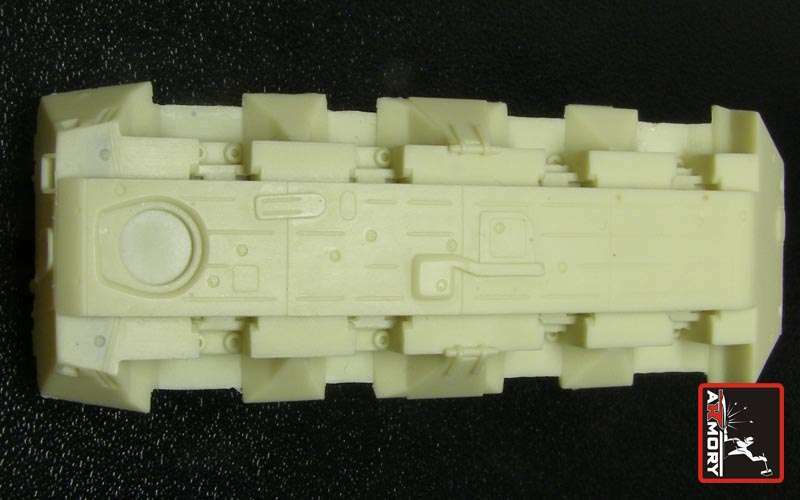 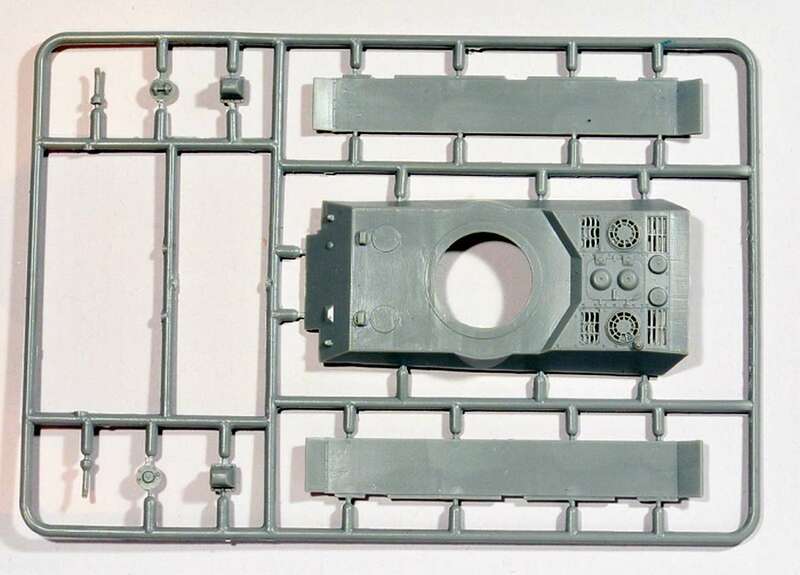 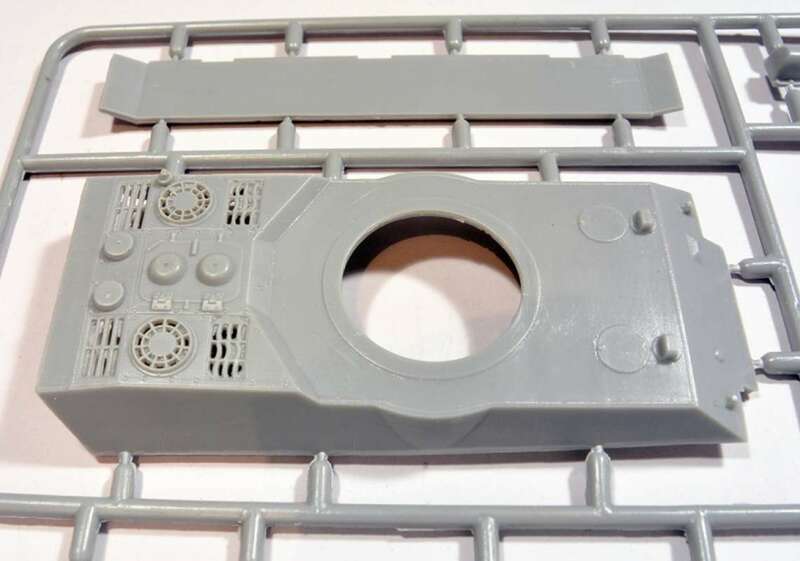 Kit AR PE7249 - Soviet AFV periscope openings.